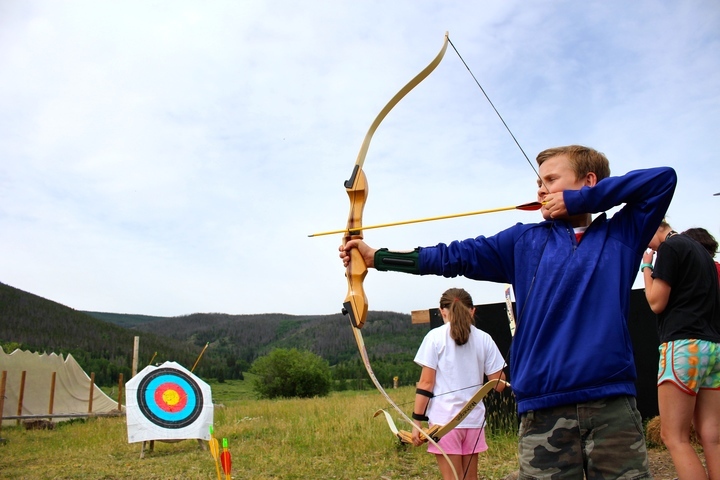 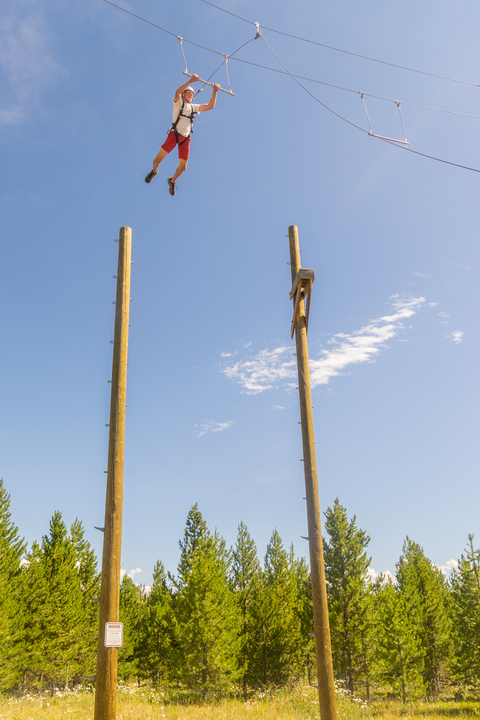 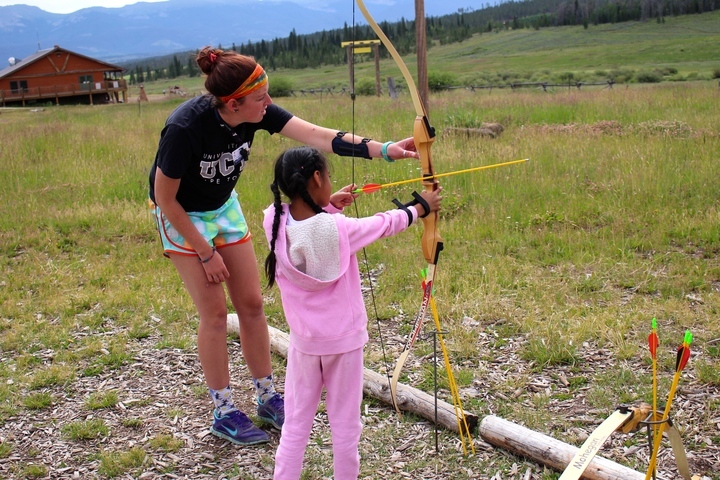 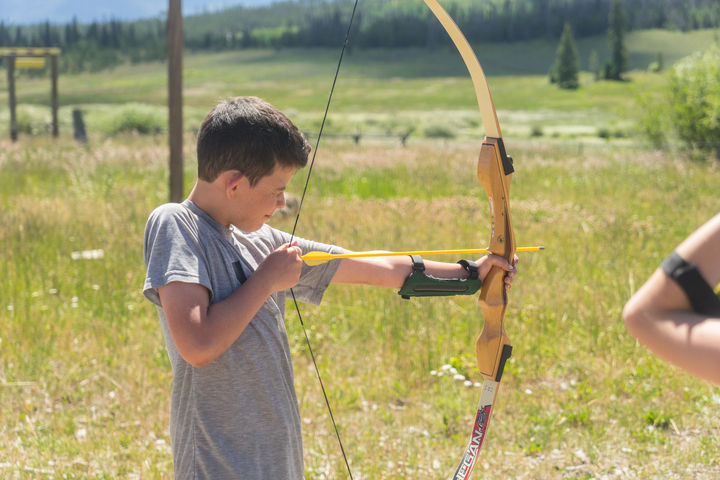 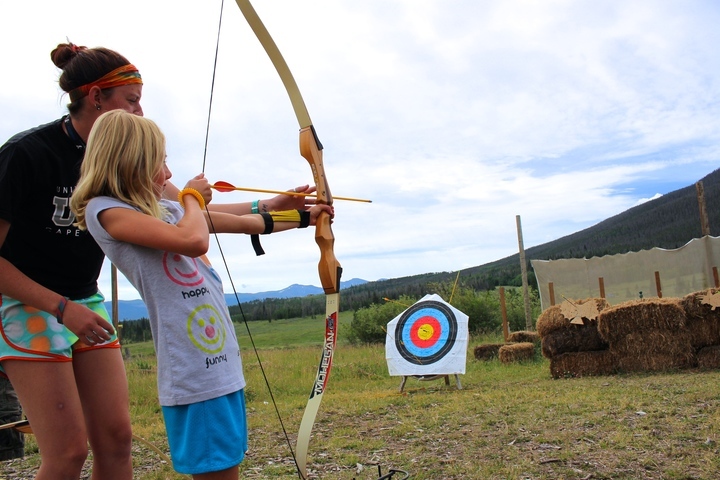 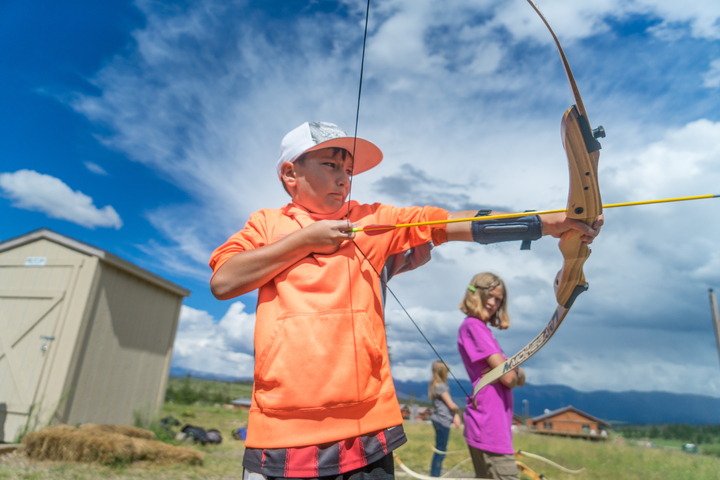 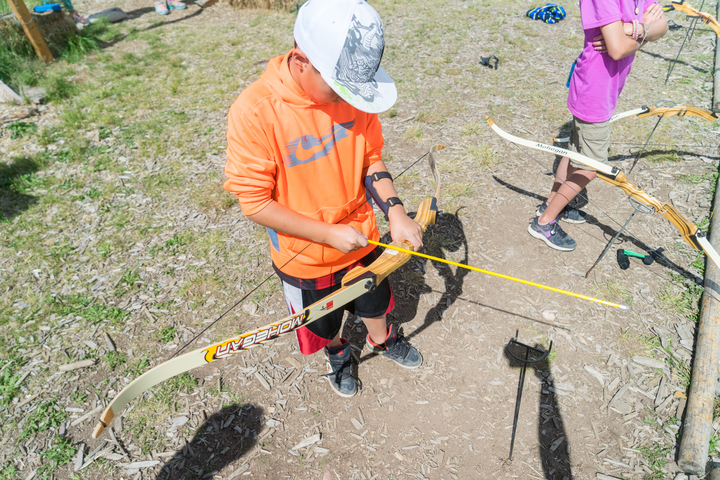 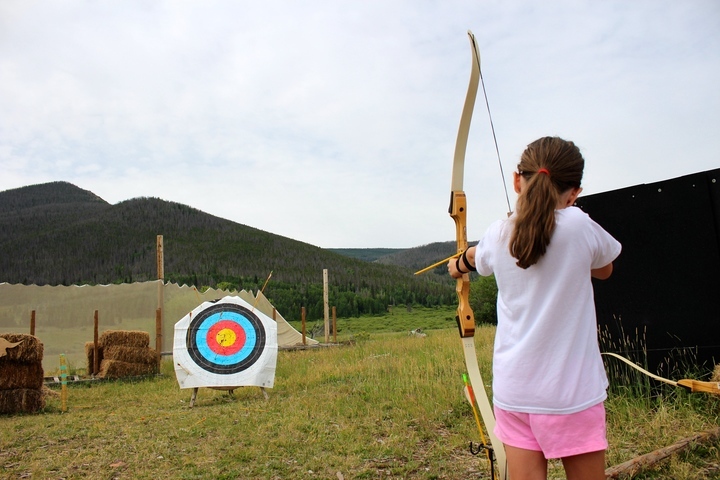 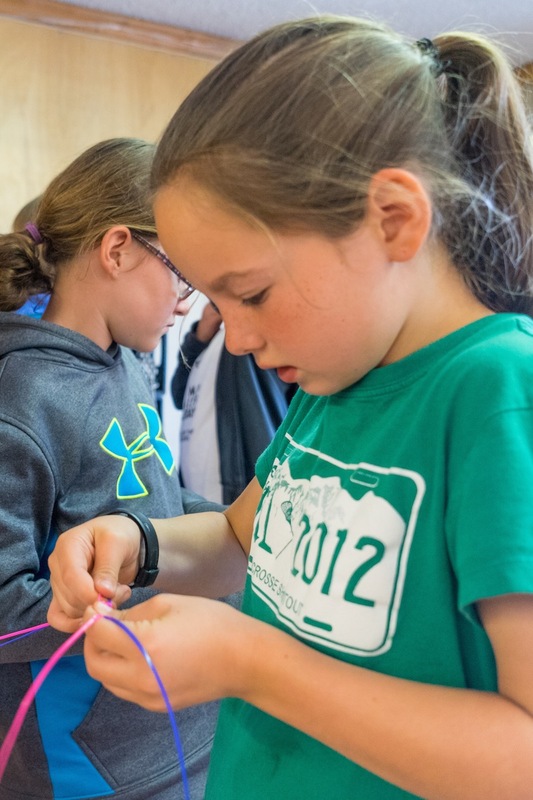 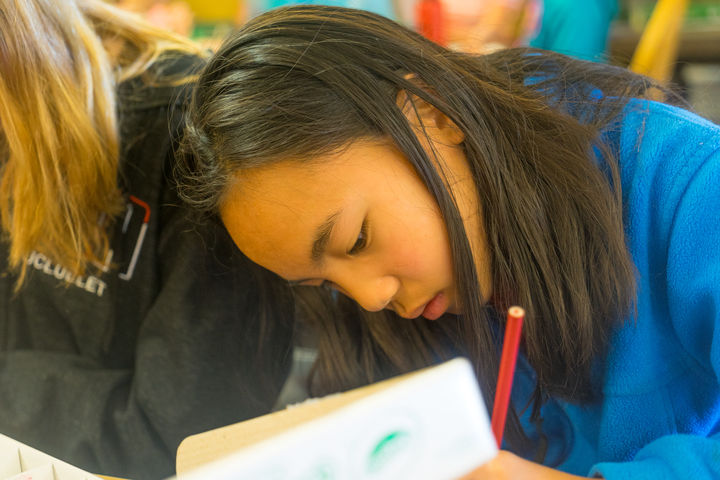 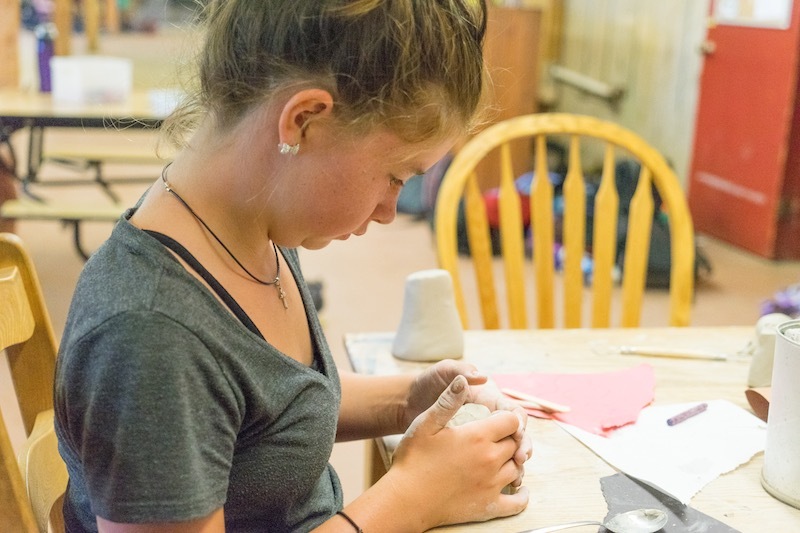 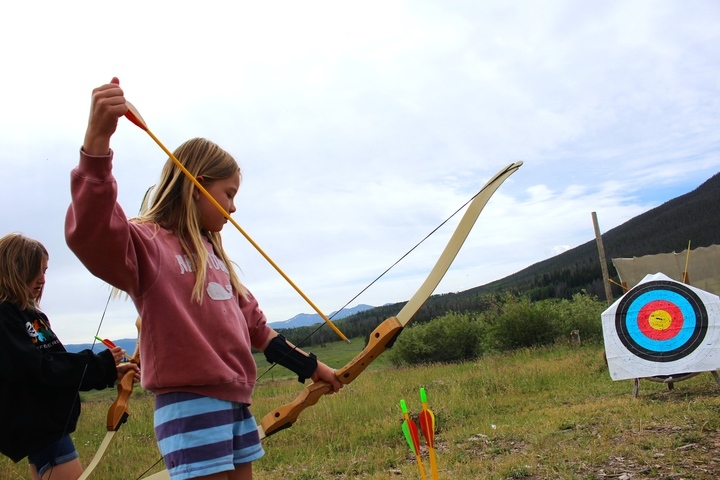 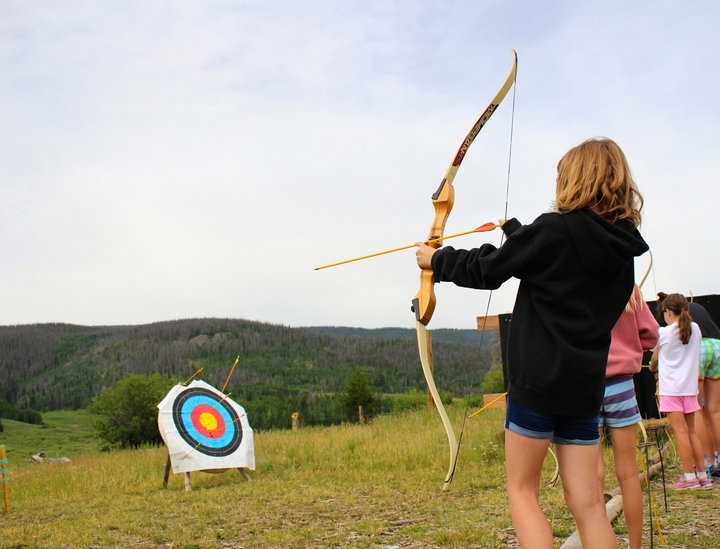 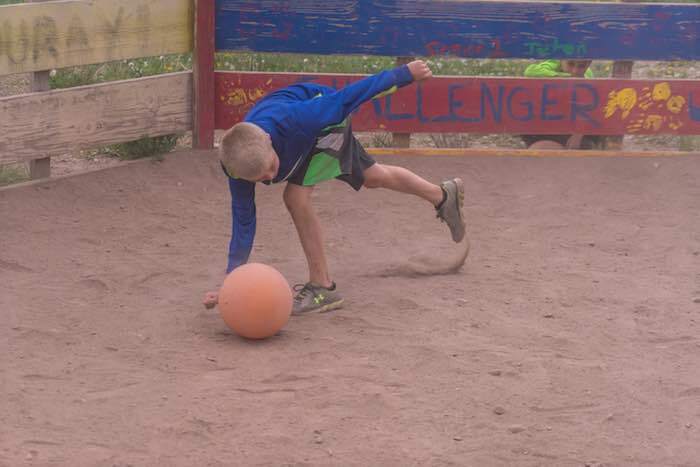 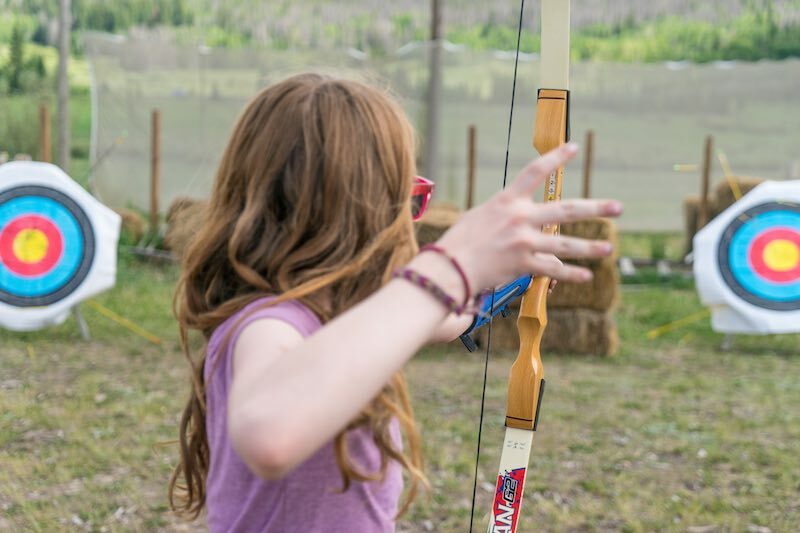 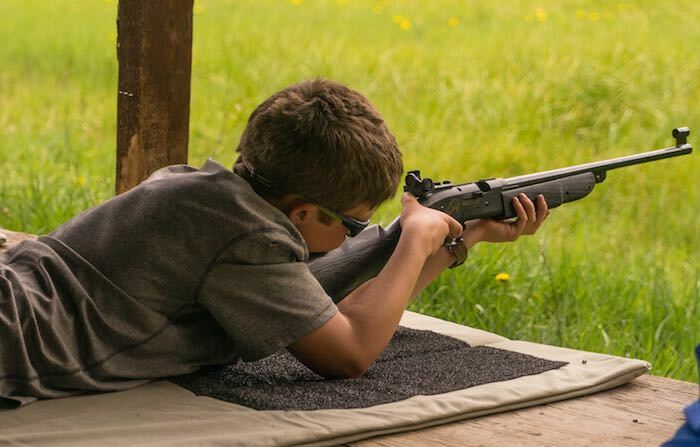 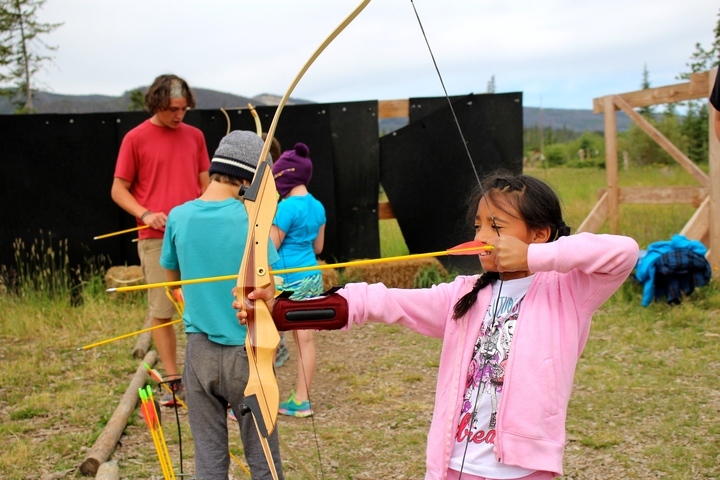 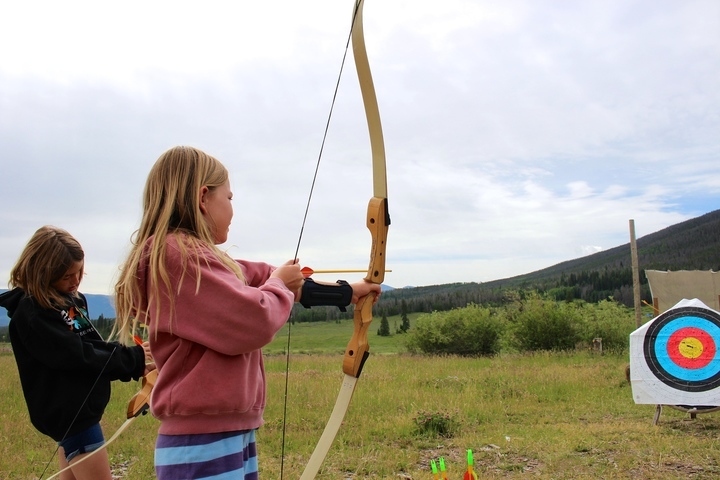 Campers will get a chance to try new activities, but mastery of skills will take time. 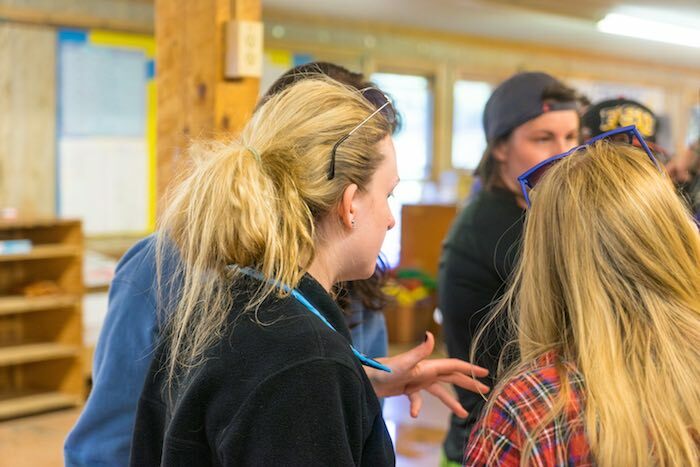 That is what we mean when we talk about progressive programs at CCO, your camper will try things out to see what they like, but then over the years they will build mastery of the programs they really identify with, while we intentionally building in our core values as part of the lessons. 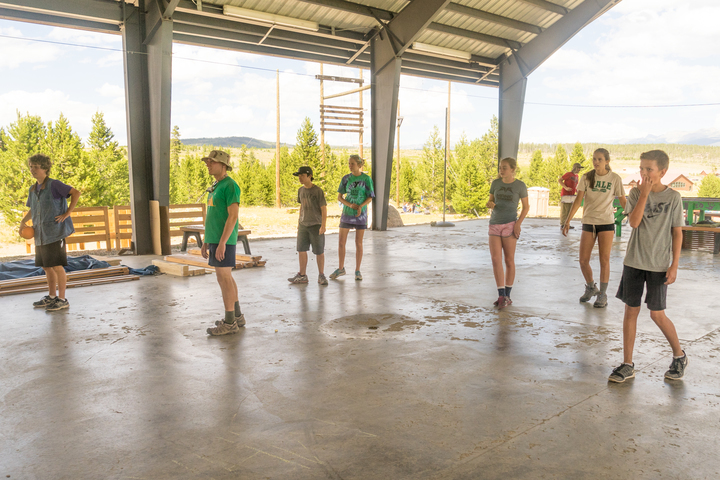 Below is a snapshot of how we have set up the progression at camp to benefit your camper’s development with us. 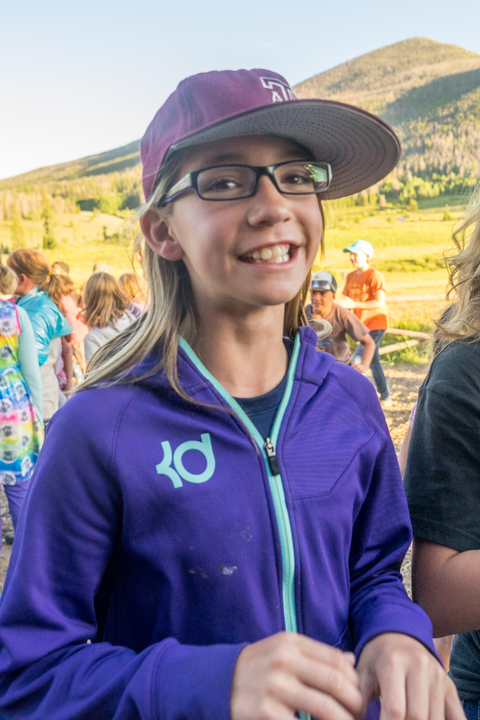 Mini Camp (ages 7-12): This is purposely designed to be 3 days/2 nights for those campers who have never spent the night away from home. 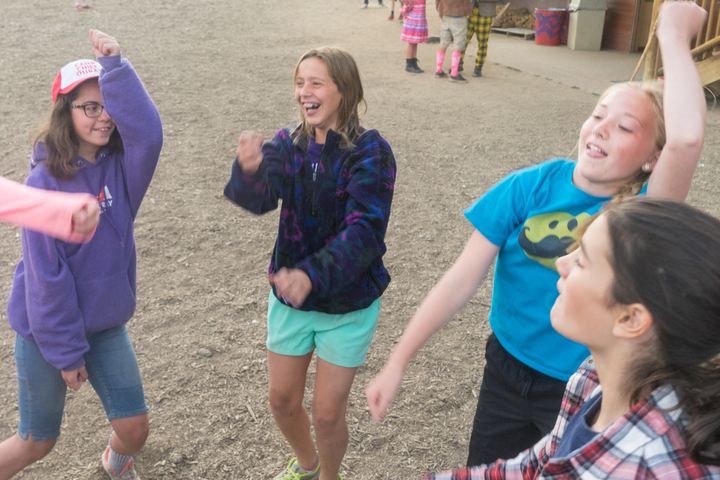 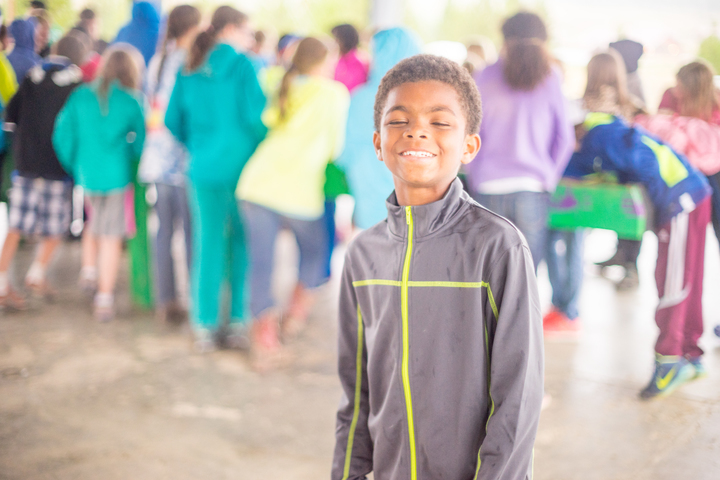 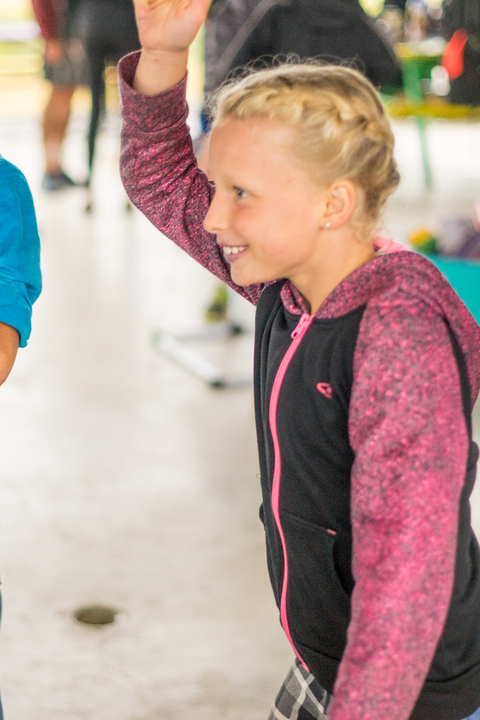 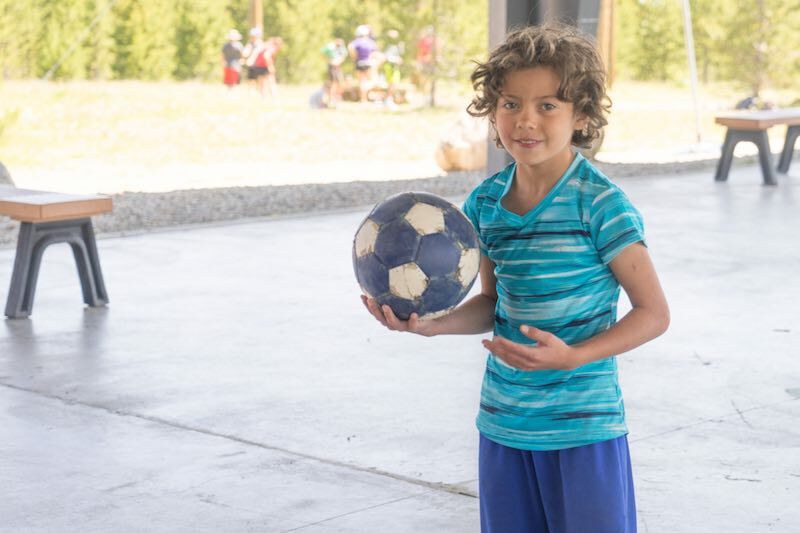 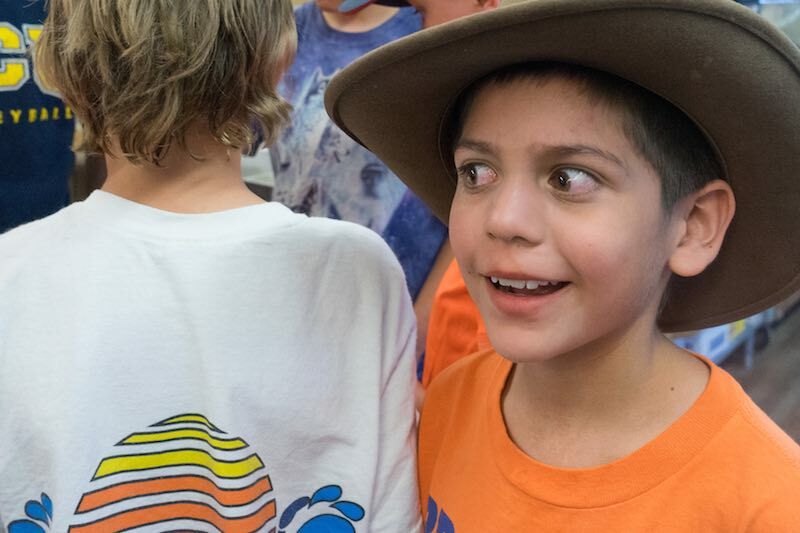 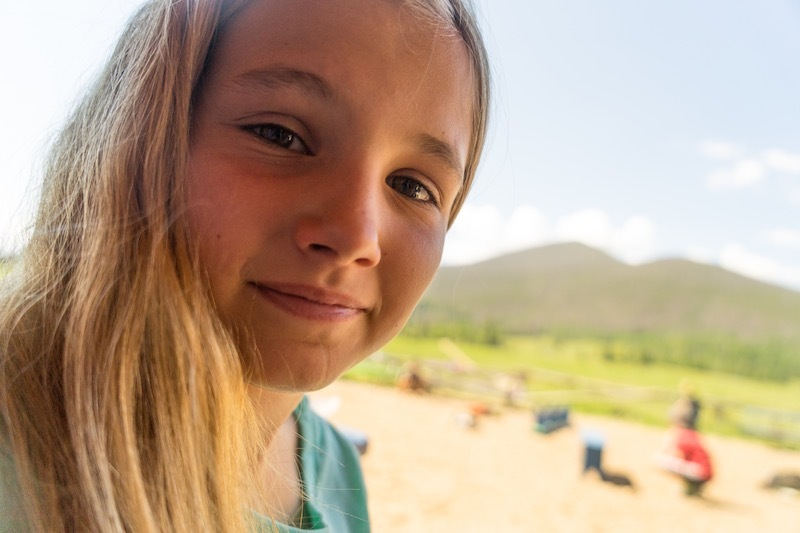 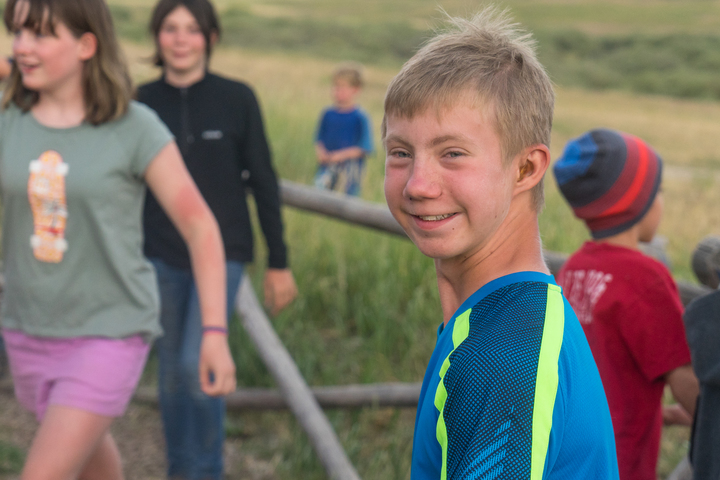 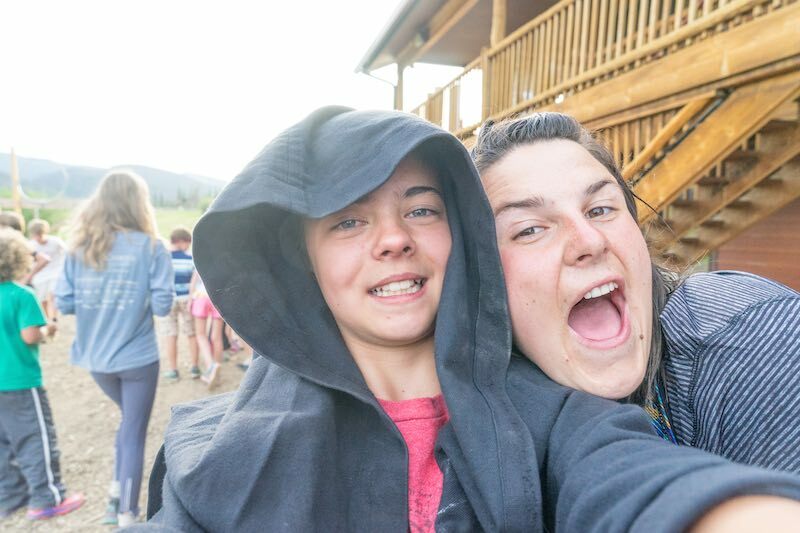 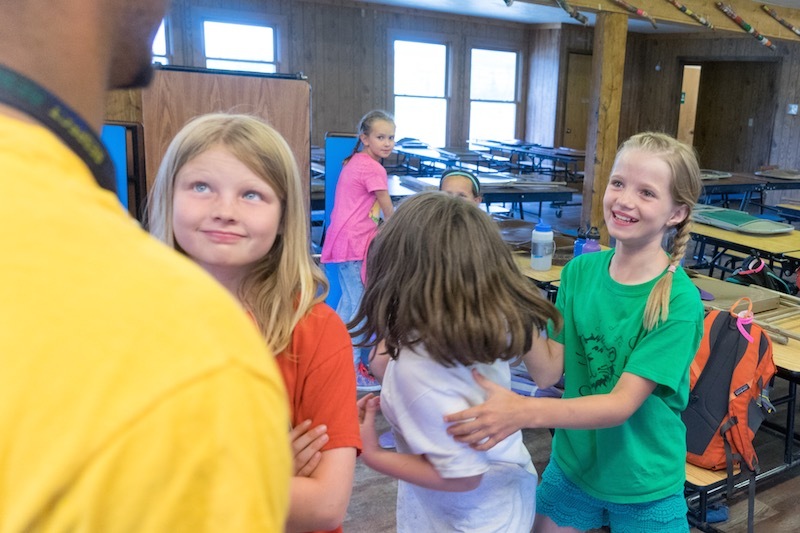 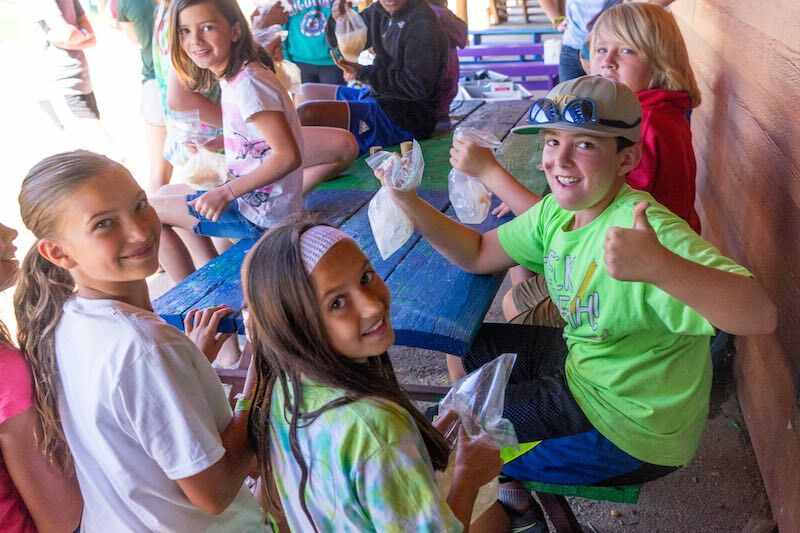 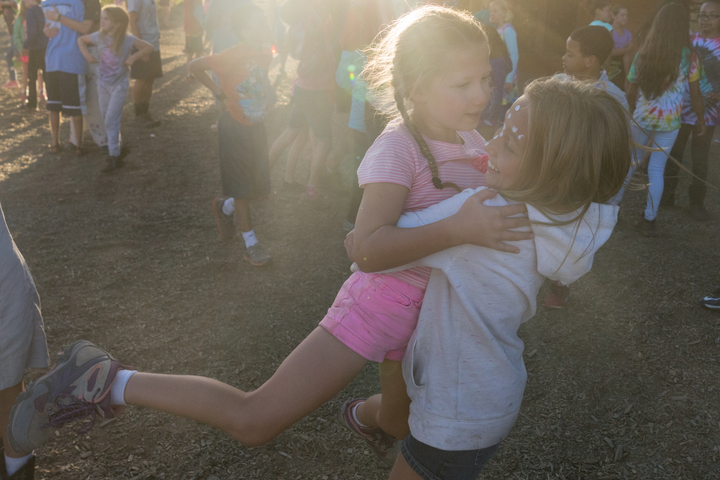 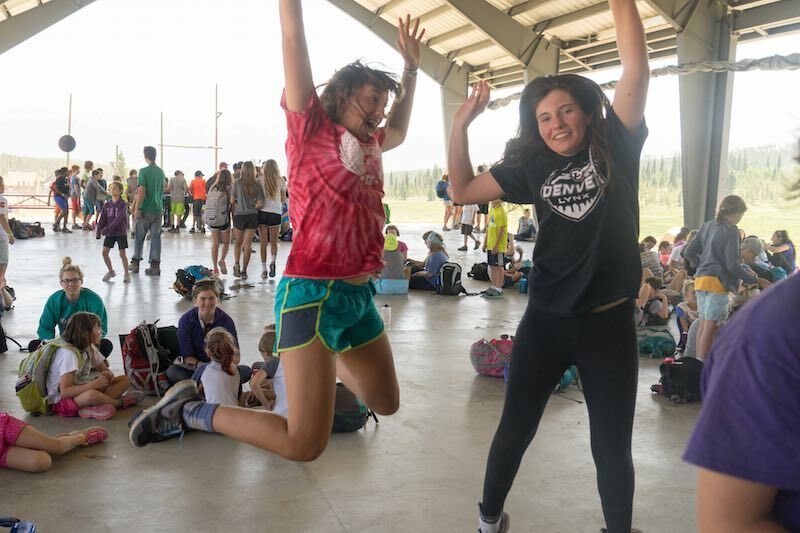 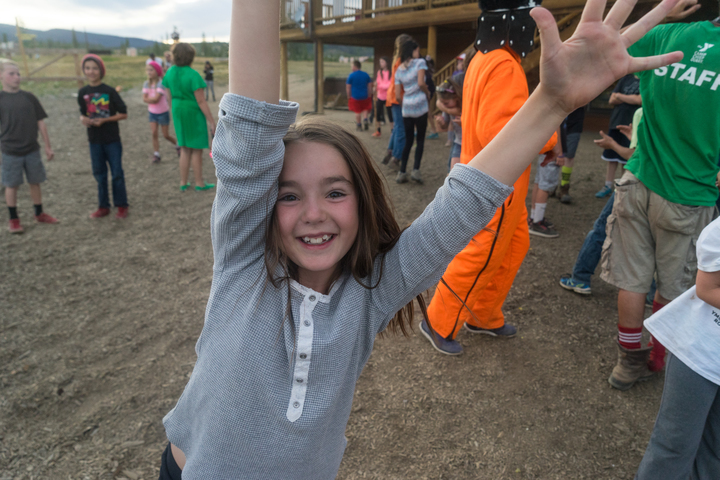 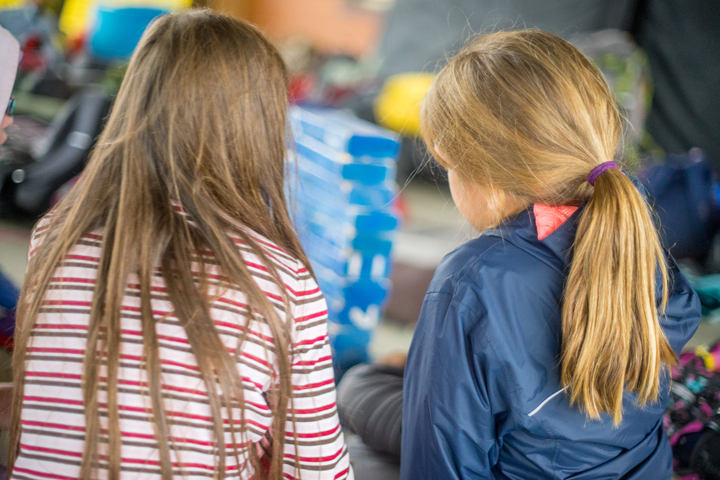 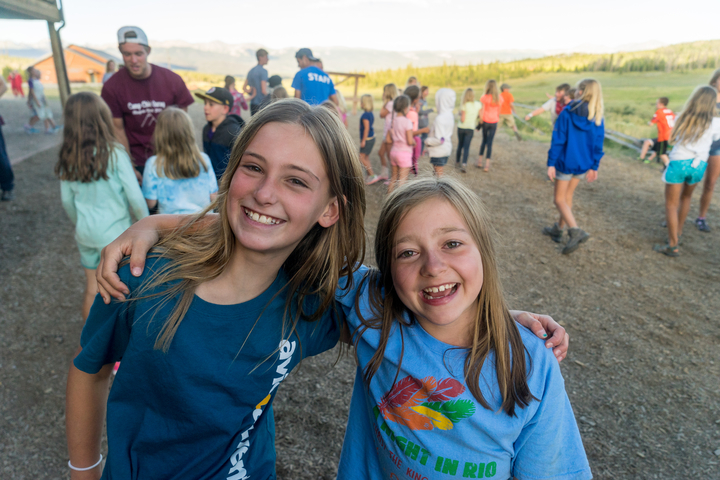 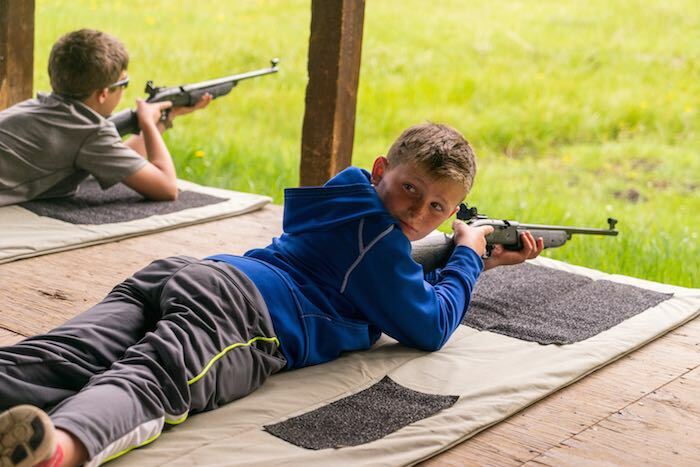 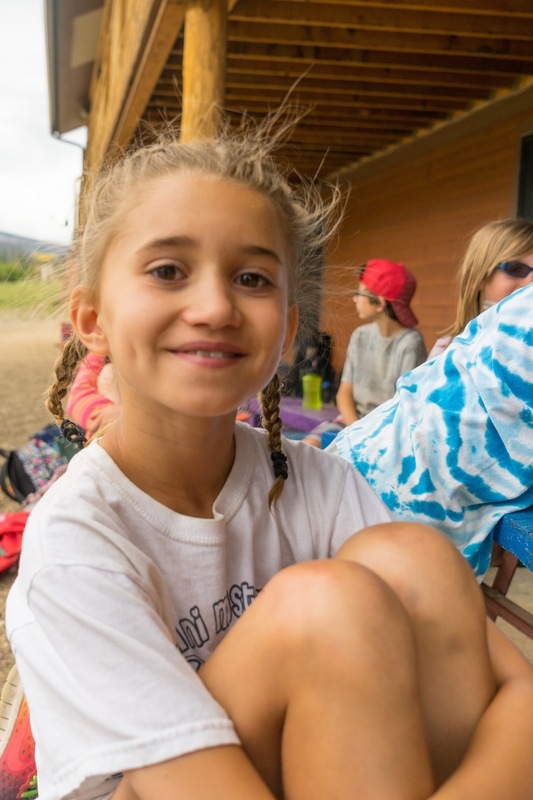 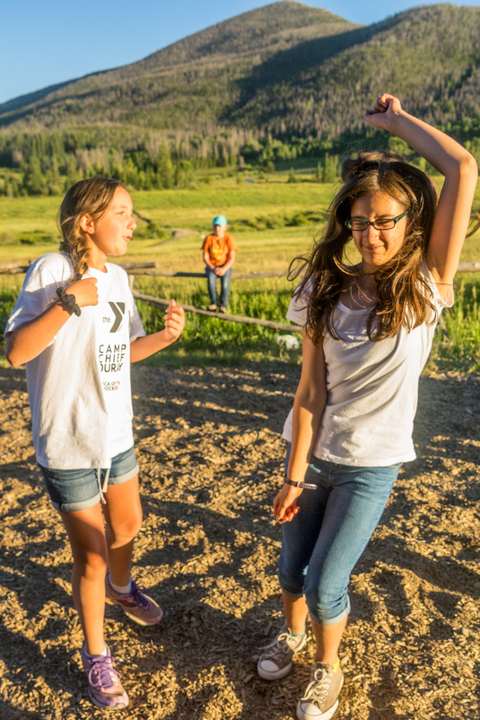 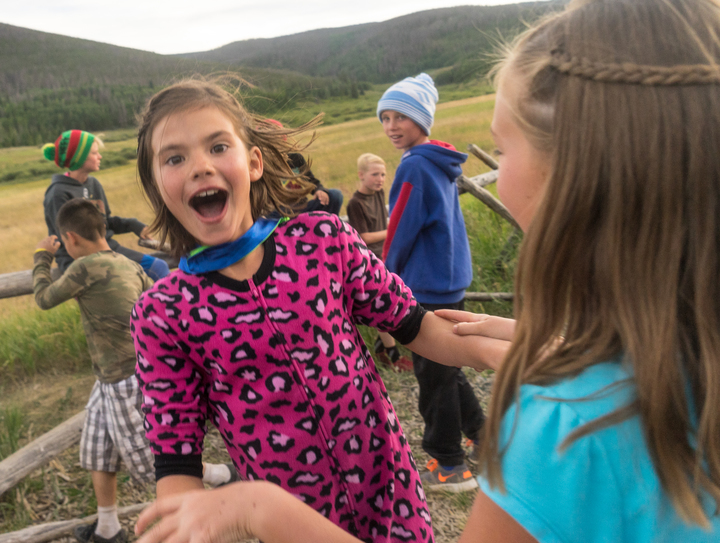 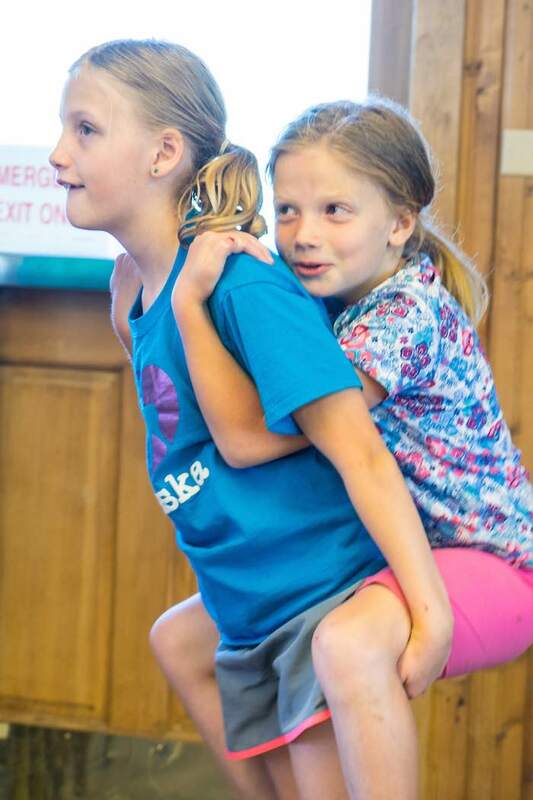 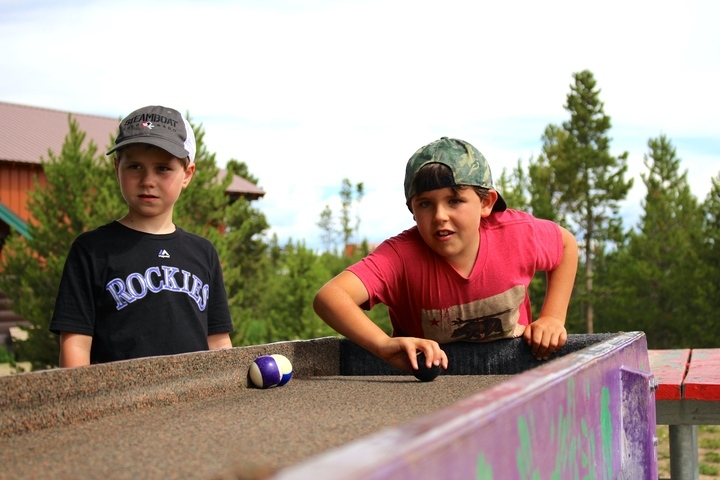 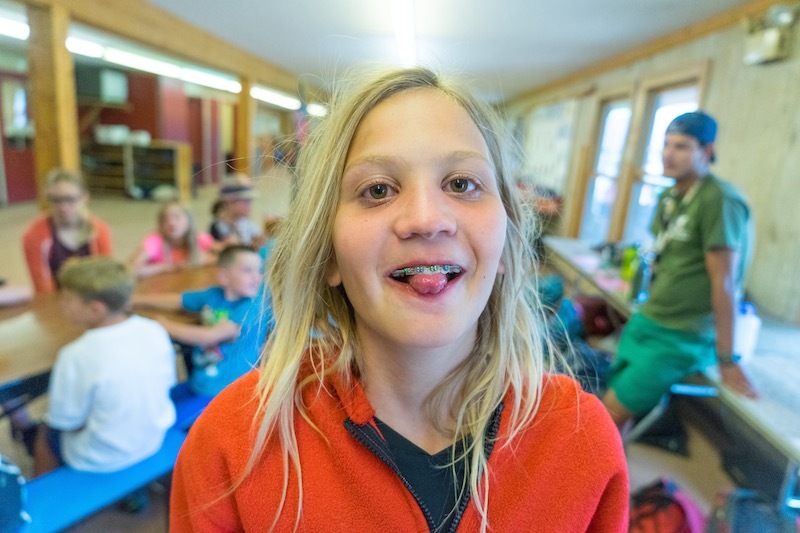 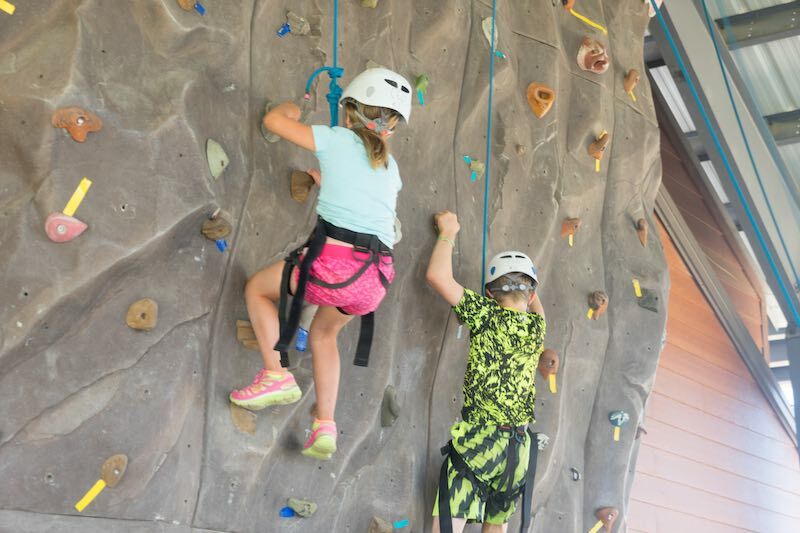 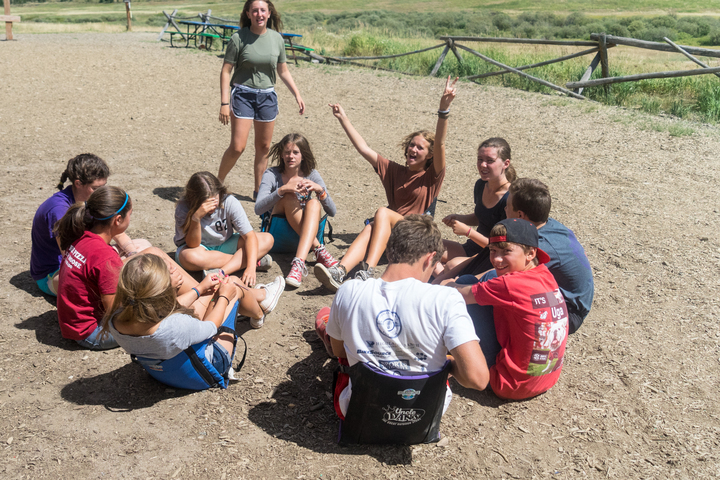 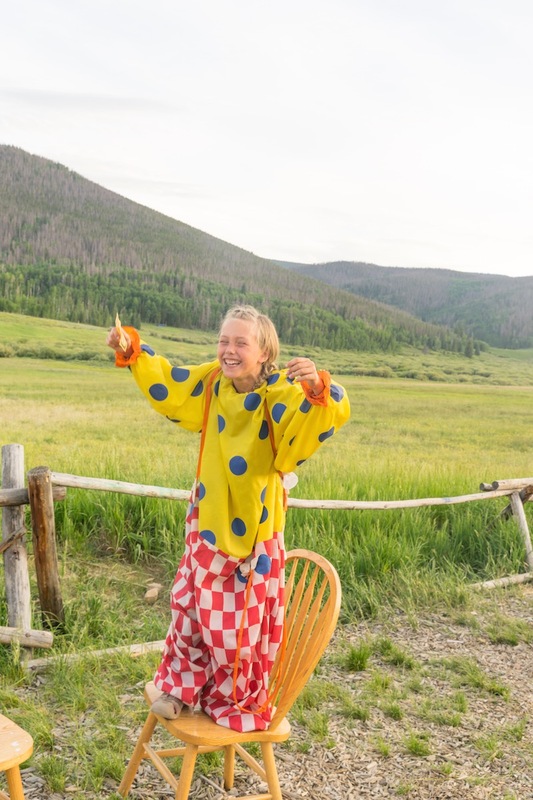 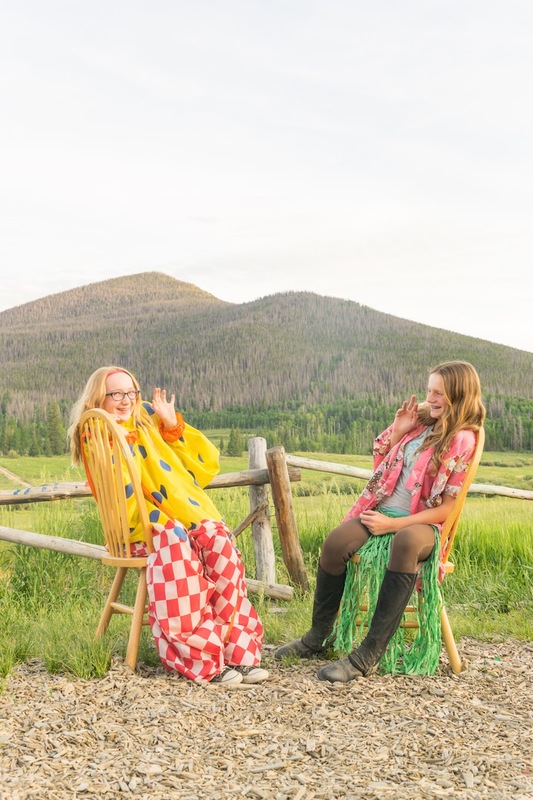 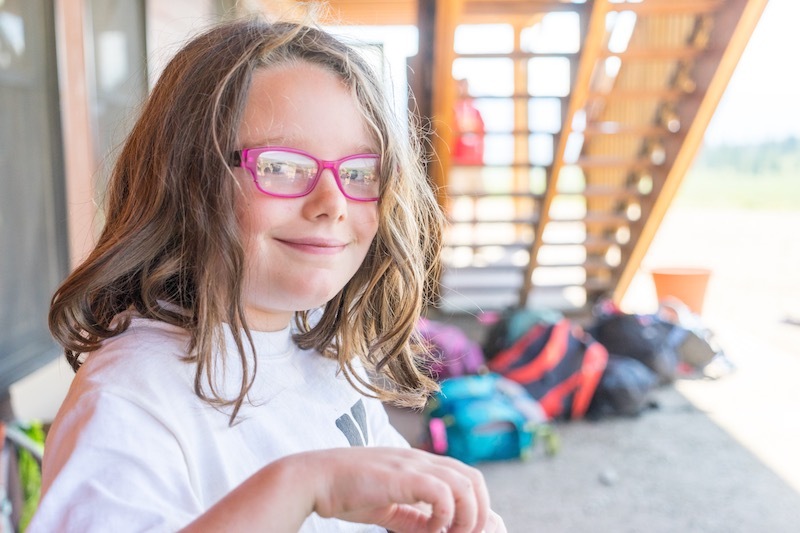 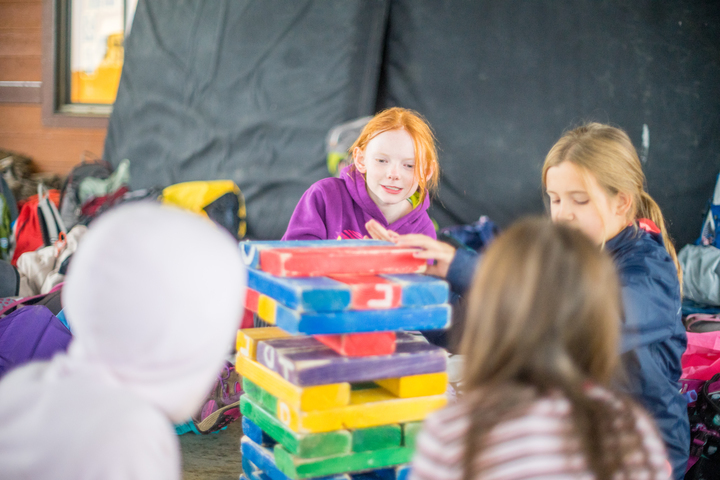 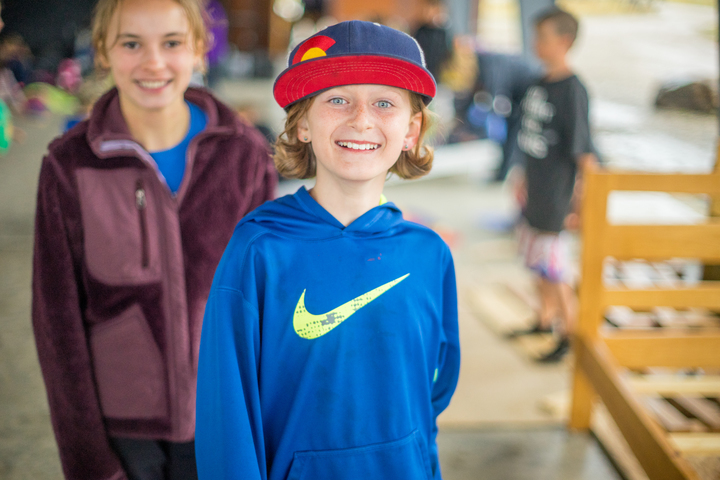 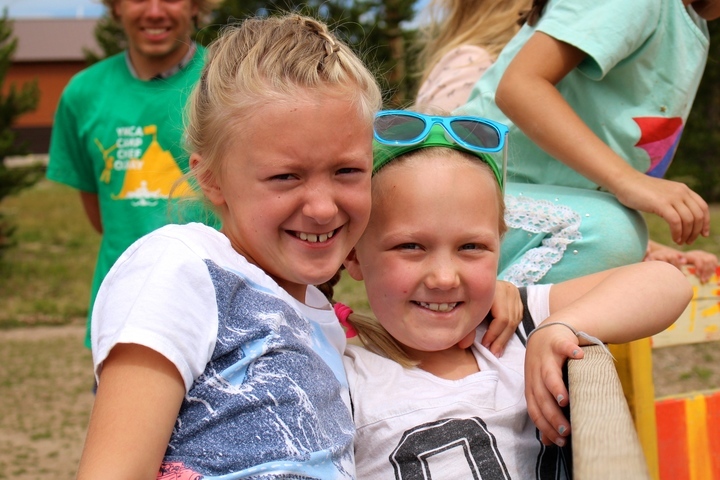 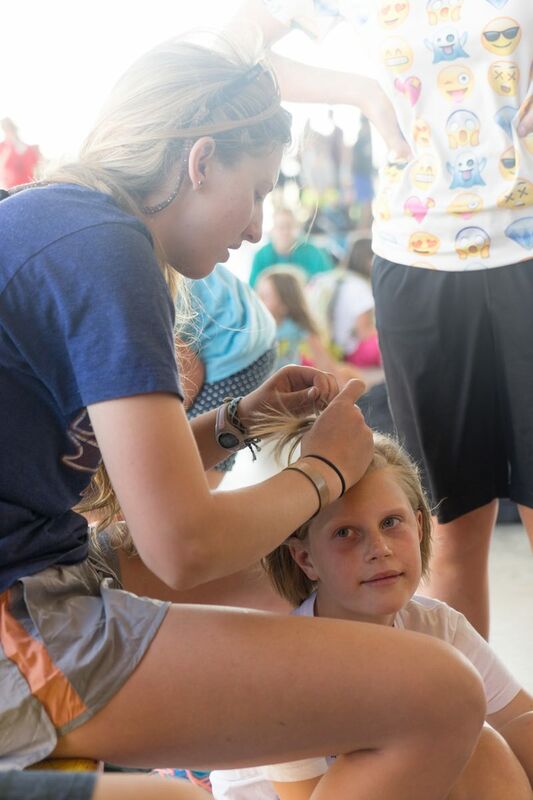 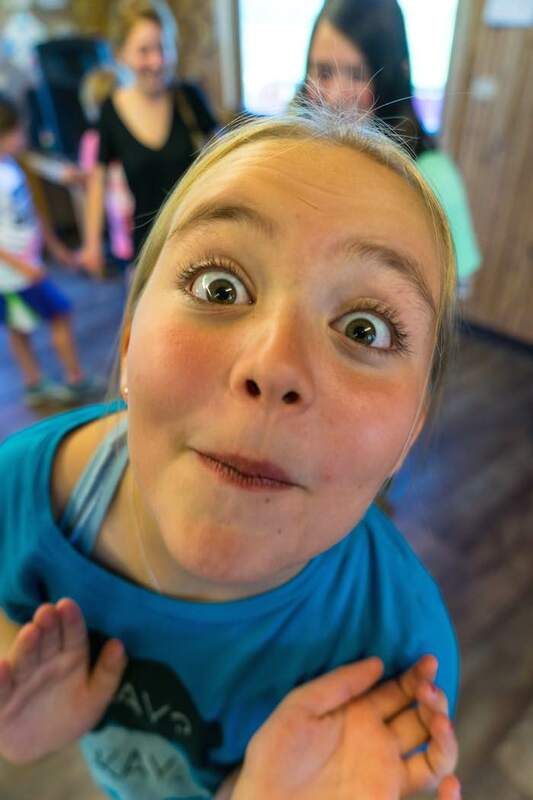 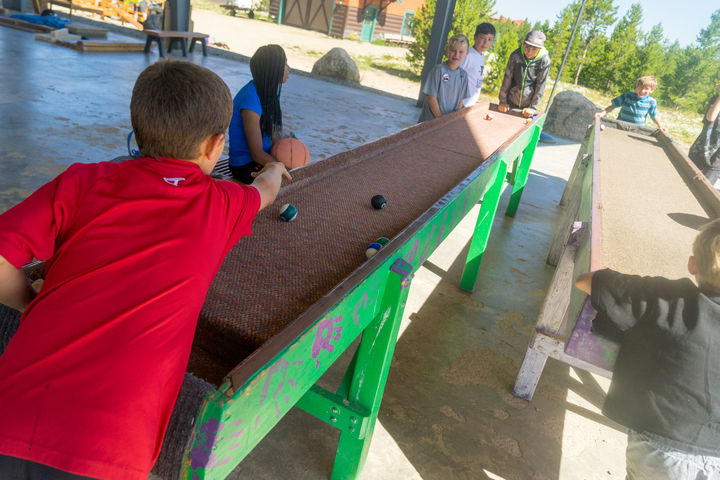 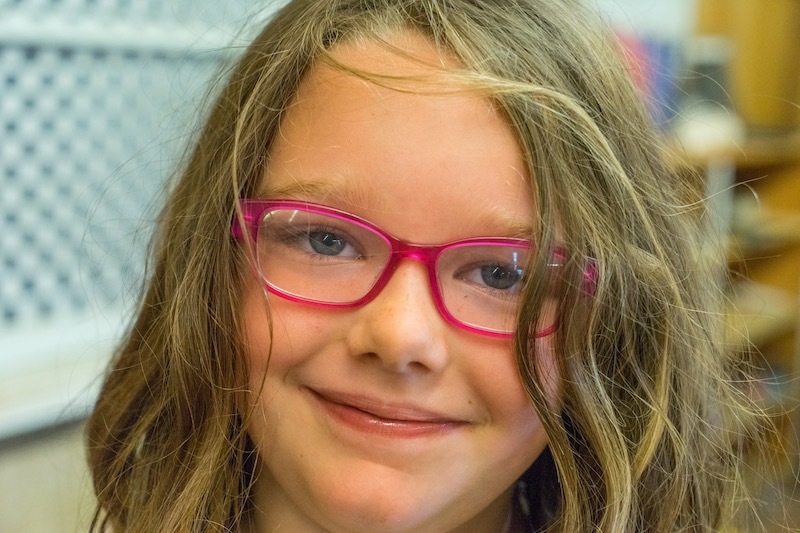 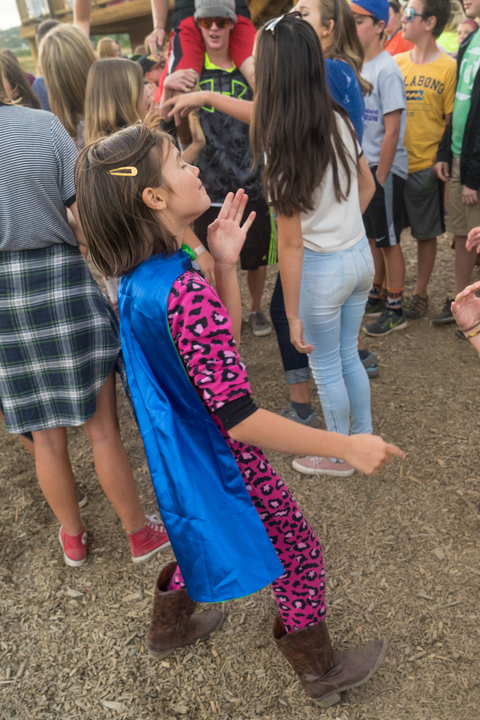 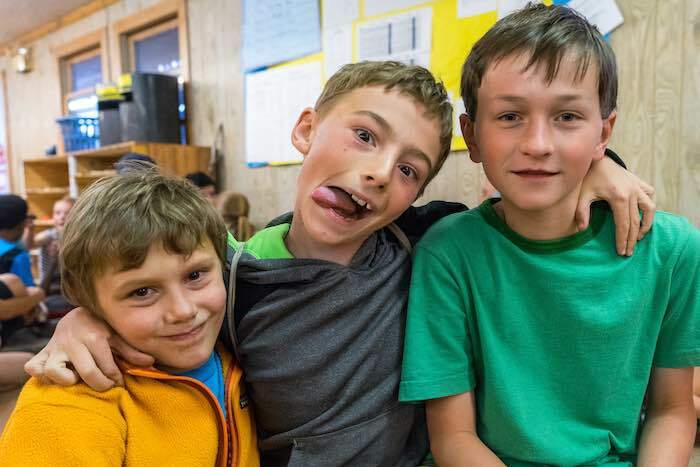 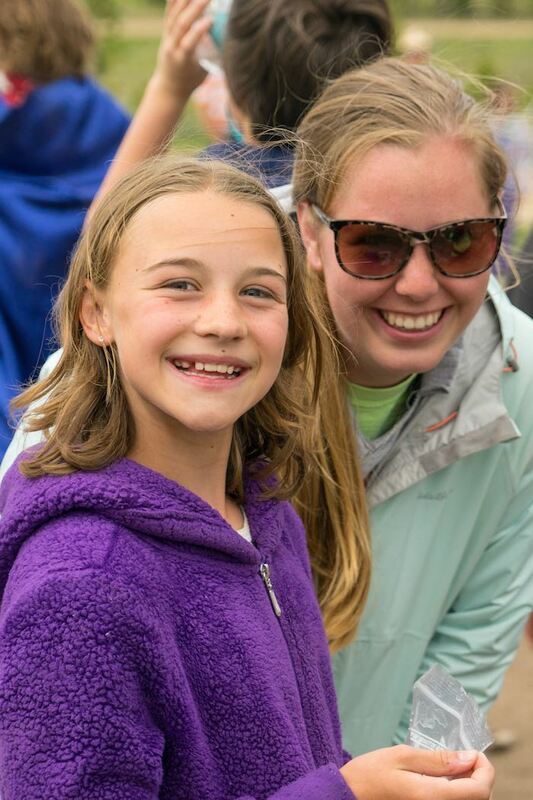 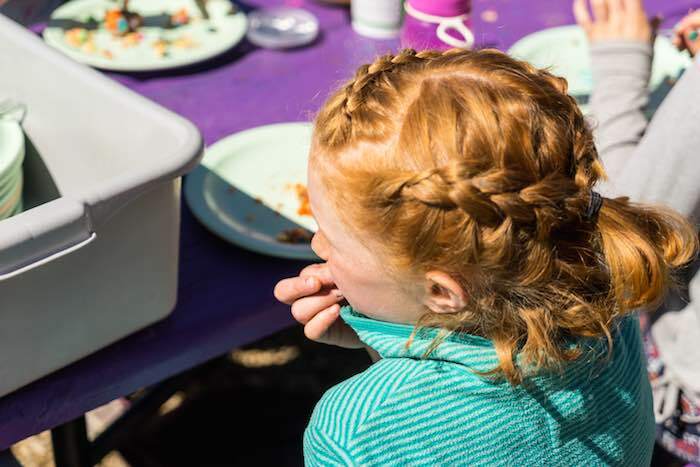 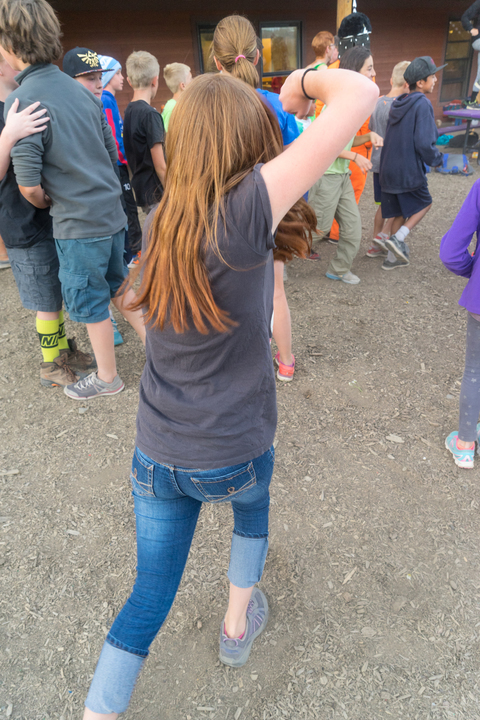 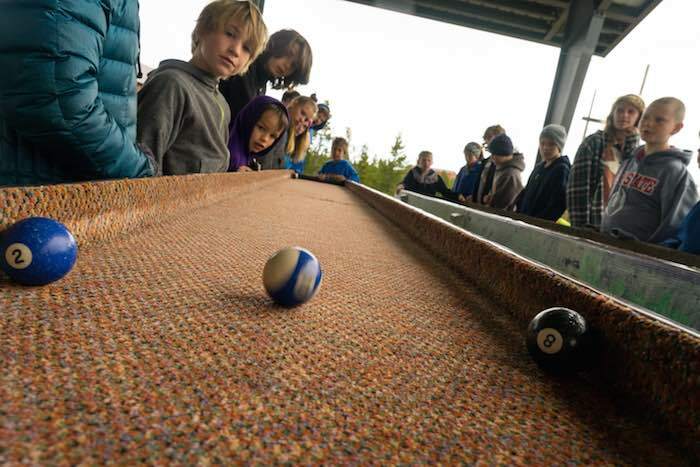 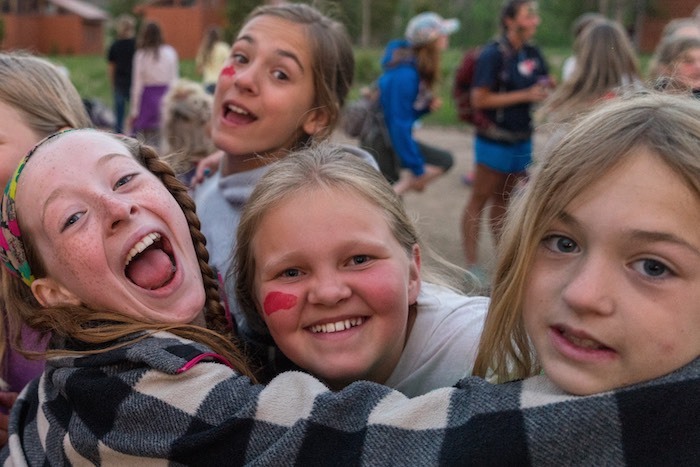 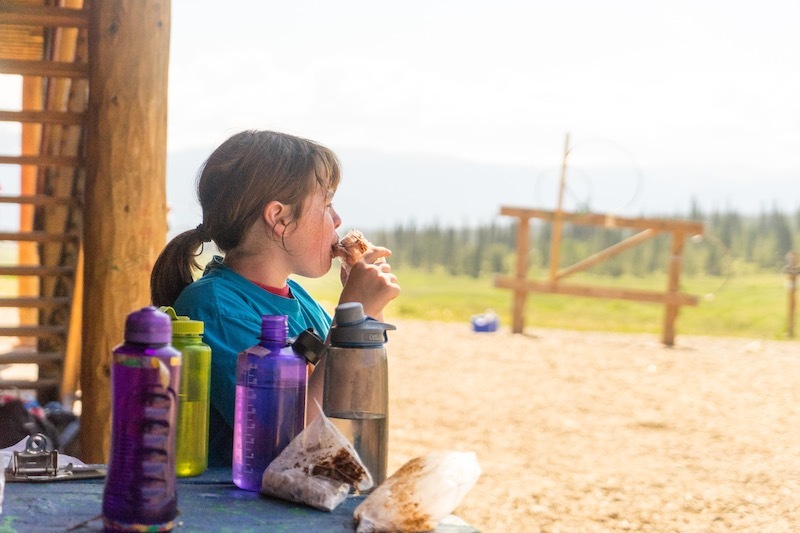 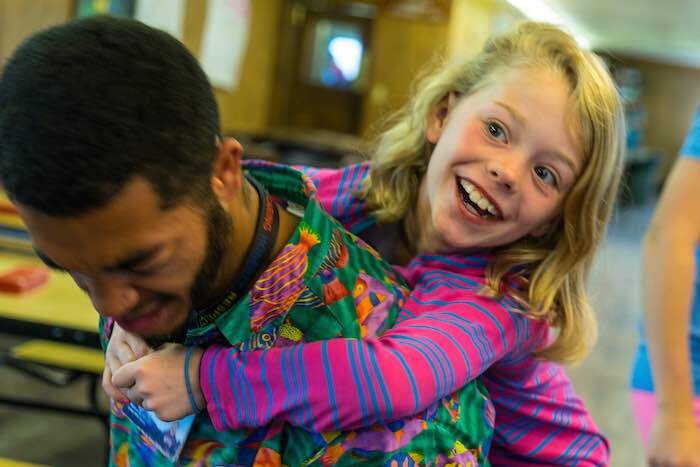 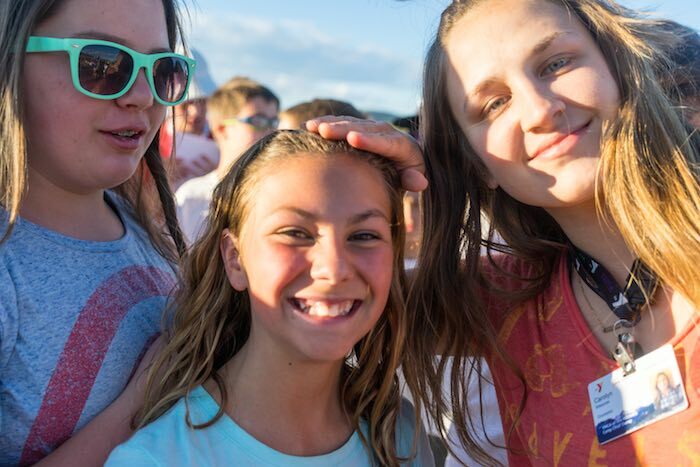 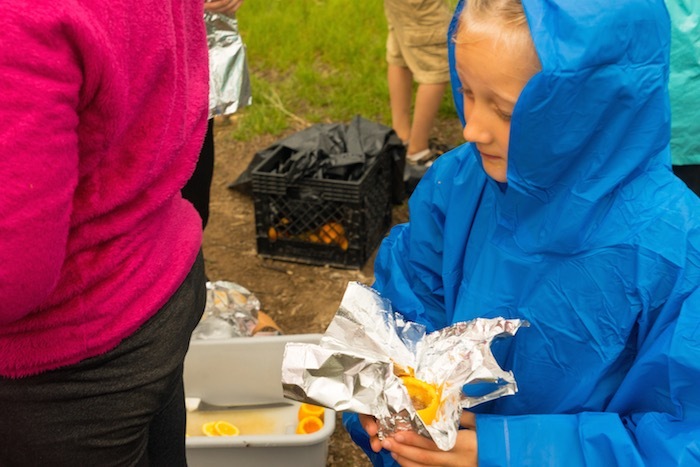 They can get comfortable (and parents can see how they will react without their camper at home too) and meet new friends as they all get comfortable at camp. 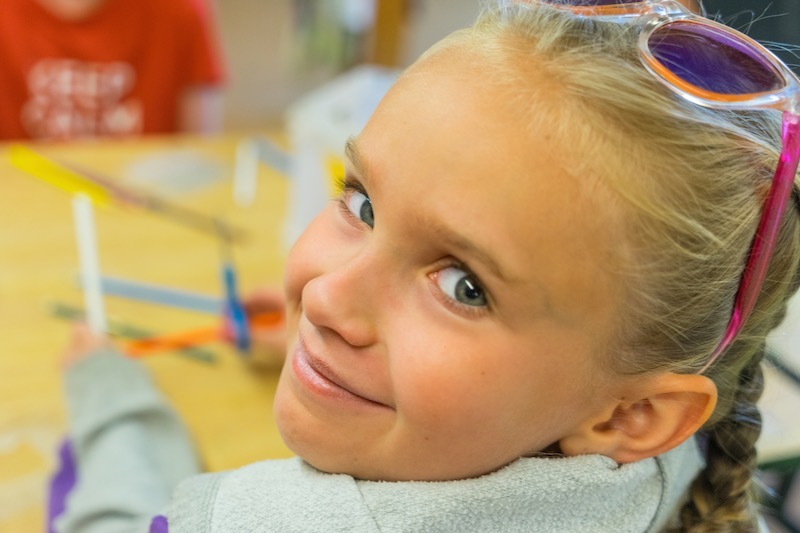 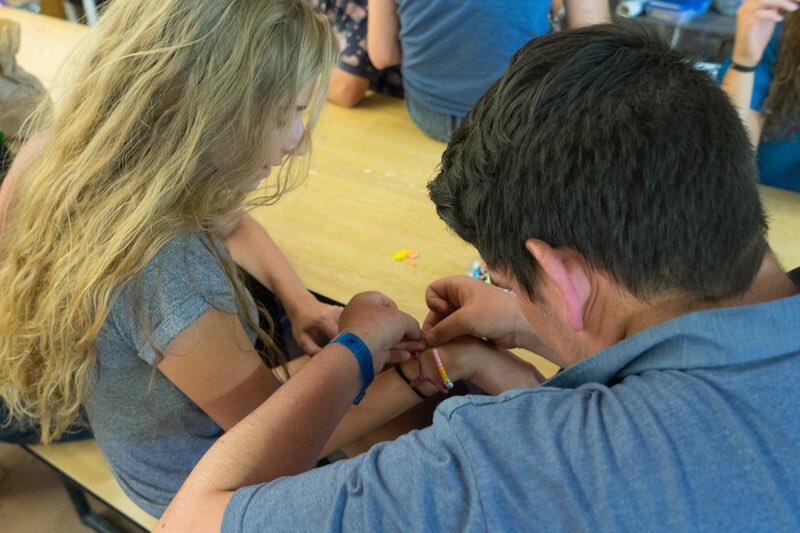 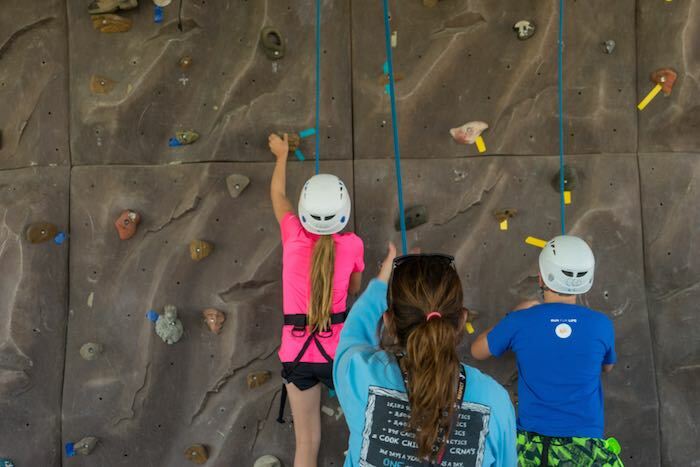 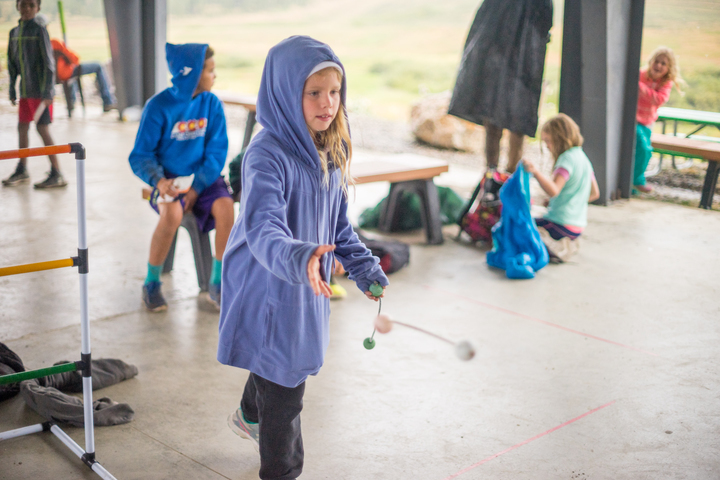 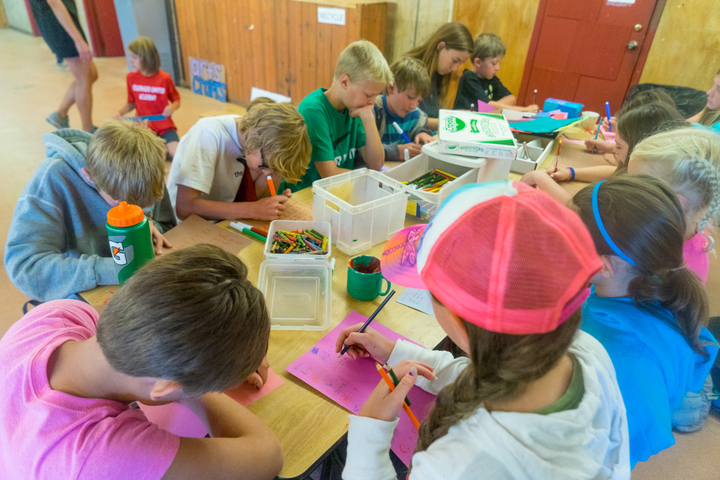 This beginner camp takes all the activities and shortens the time frame so campers can try a lot to see interests for future years at CCO. 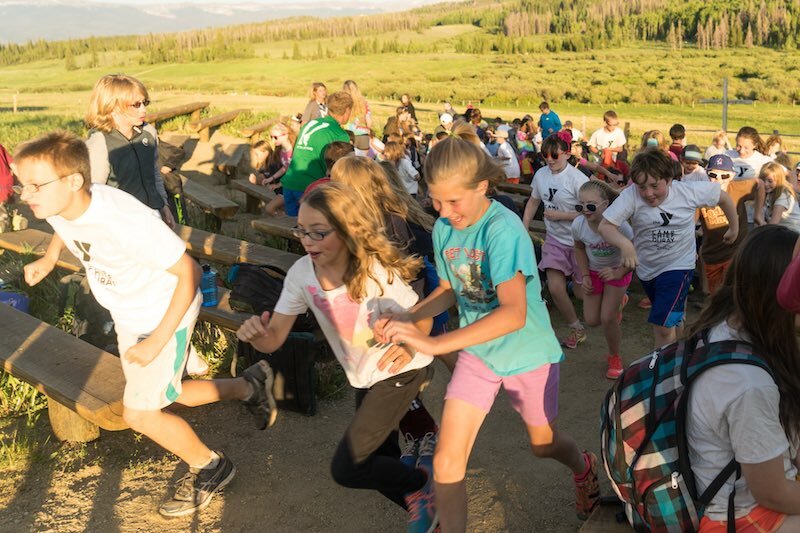 NEXT: A full-week of camp! 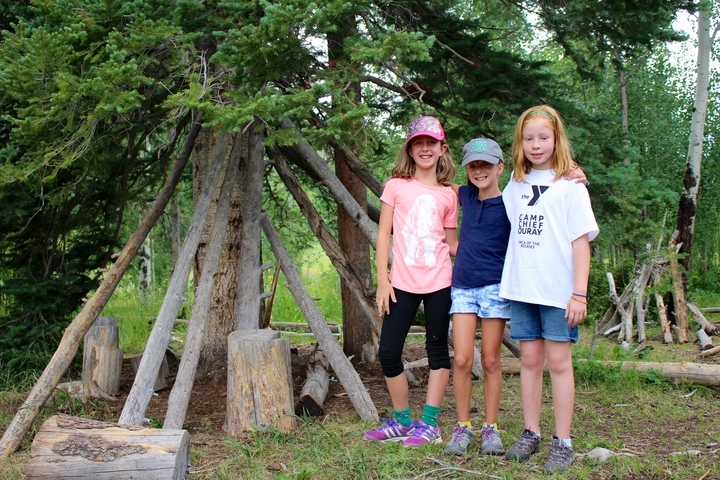 Traditional Camp (ages 7-8): Our youngest campers during the full-week option of traditional camp. 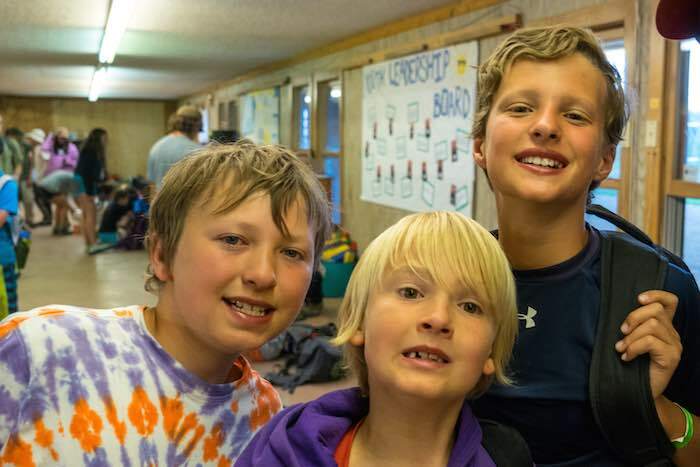 These campers stay in lodges with heat and facilities inside the building. 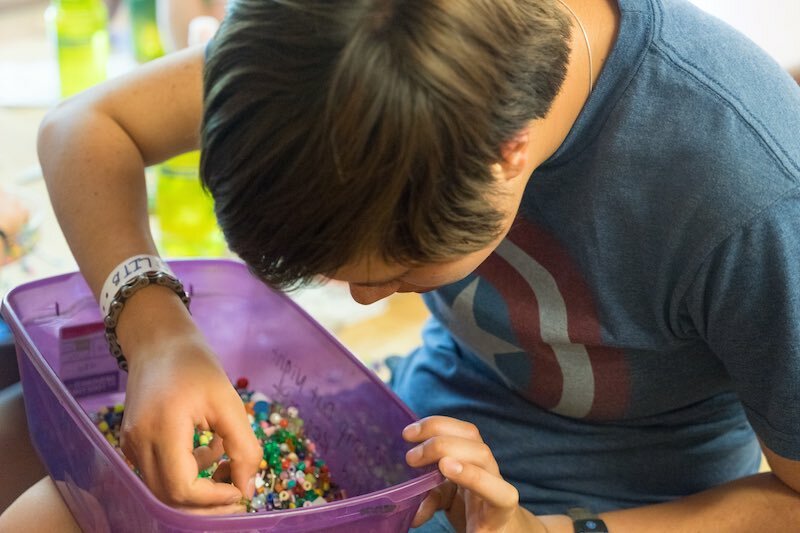 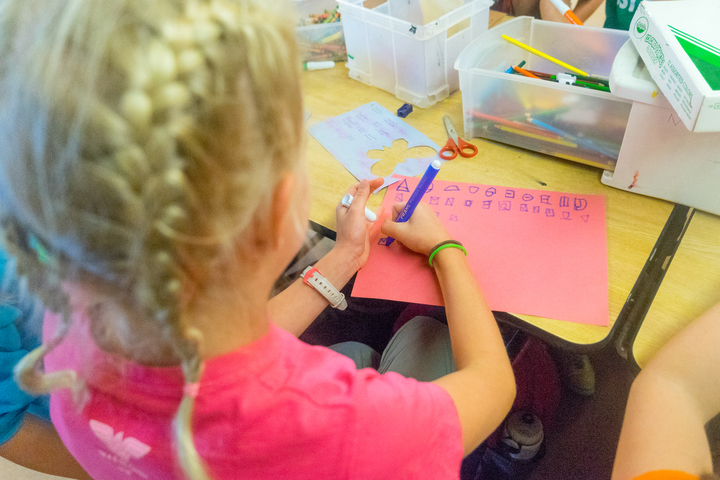 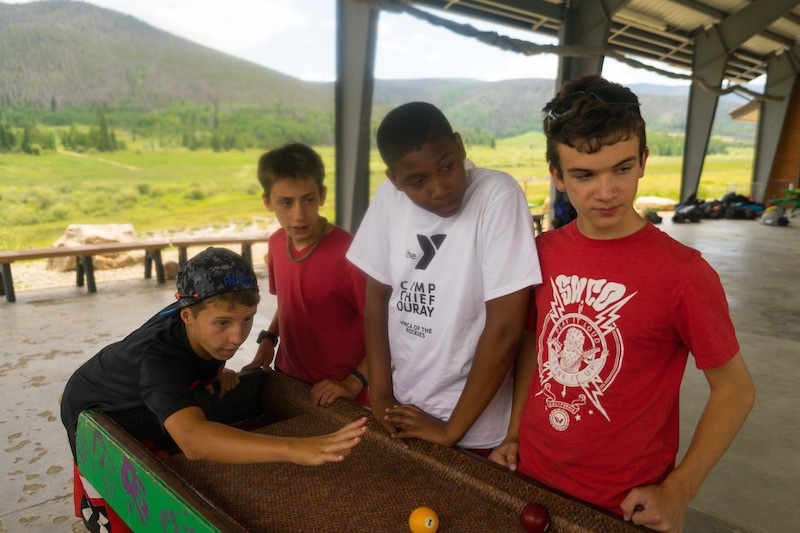 They do have choices of what activities they sign up for, and counselors will encourage them to choose what they want as opposed to what their friend is doing. 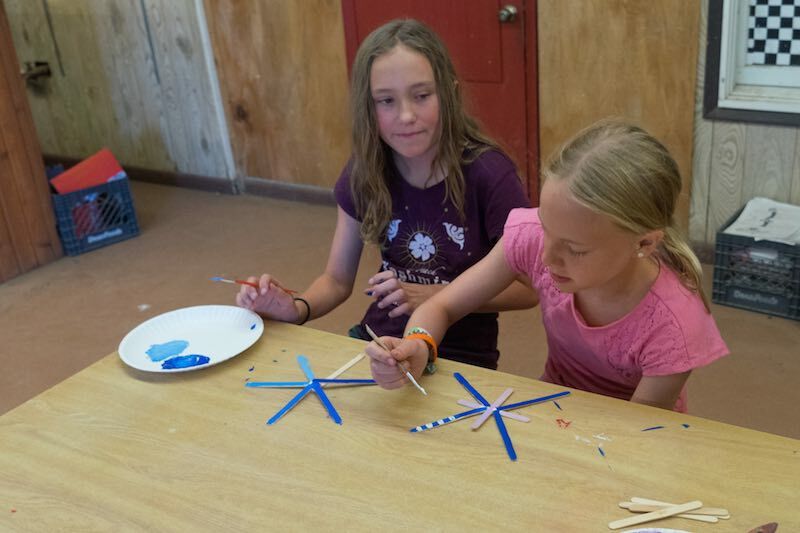 These campers are starting at the beginner levels of most activities we offer unless they have received instruction elsewhere. 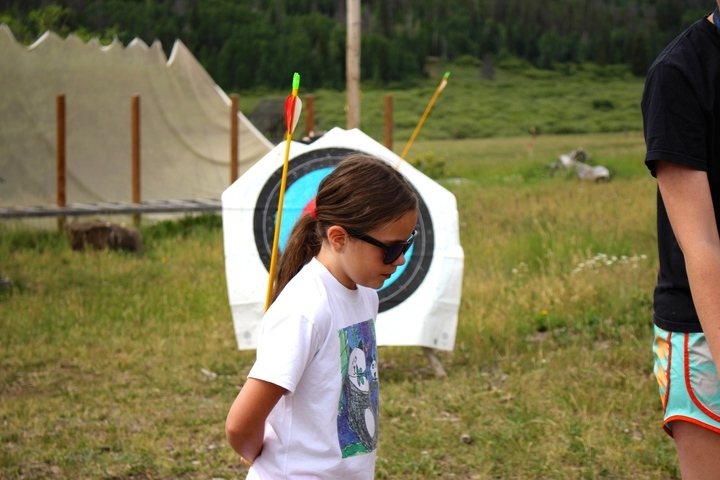 NEXT: Focusing in on skill mastery of their favorite program area. 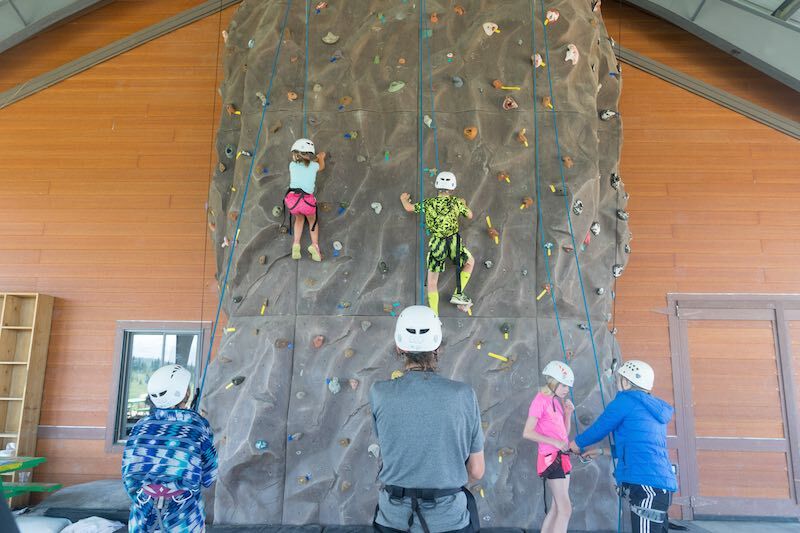 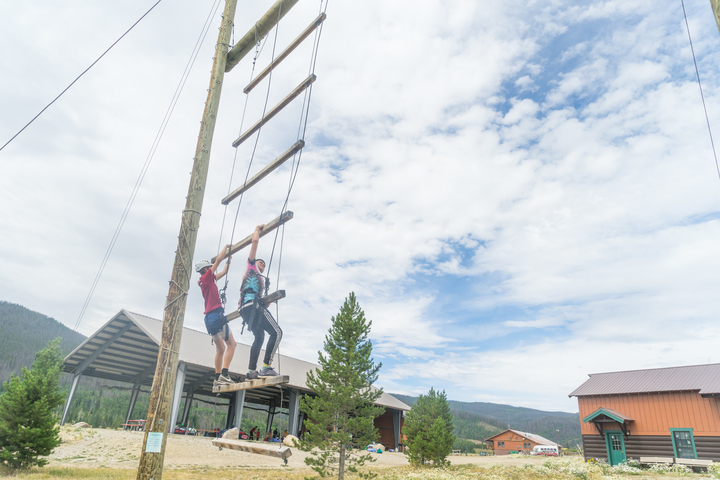 Also opening up at the next age group is rafting (9 year olds), two-week camp (11-13 year olds), and high ropes (12 year olds). 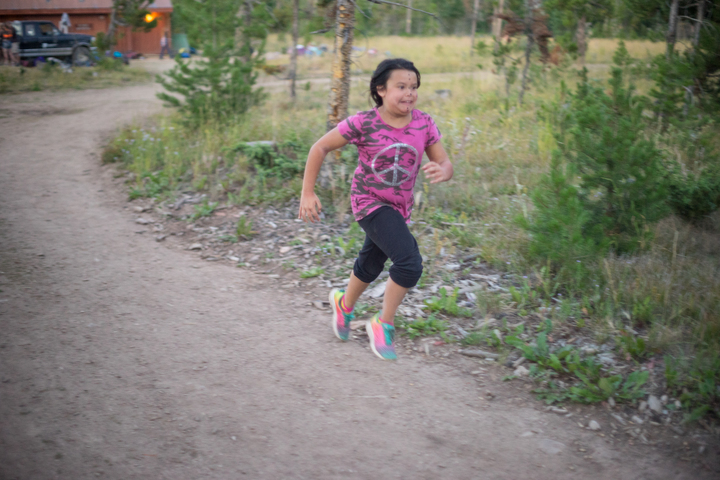 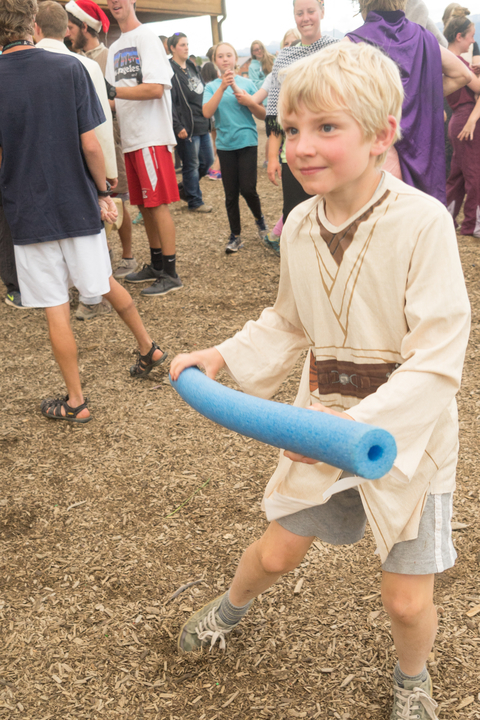 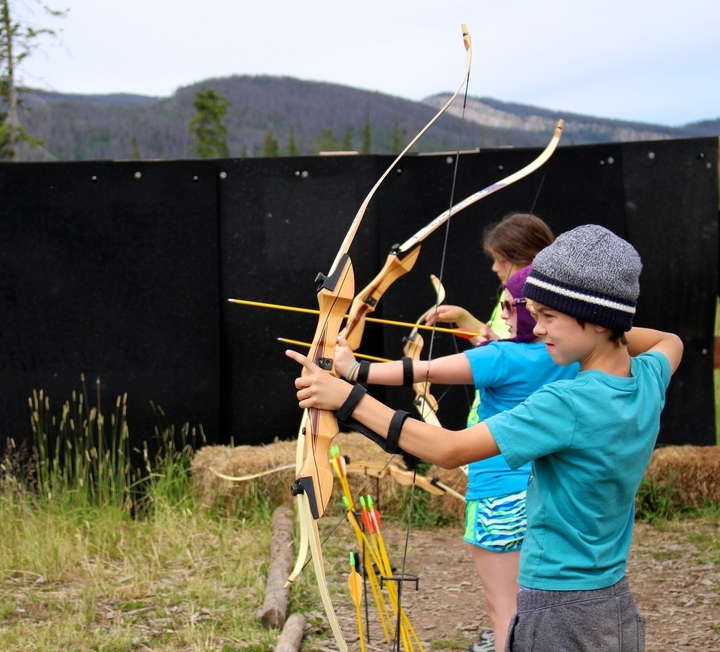 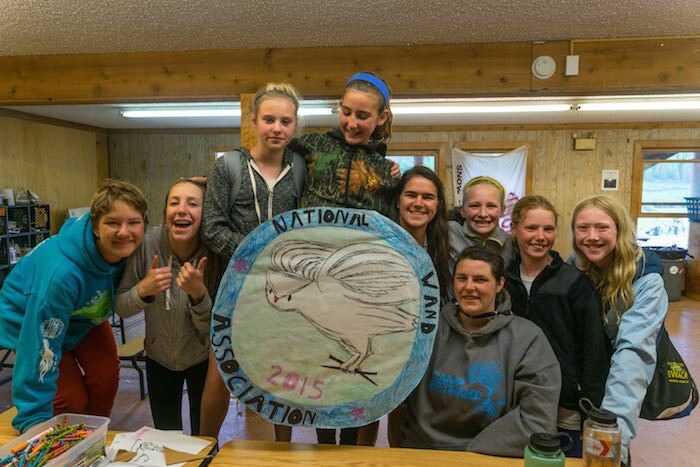 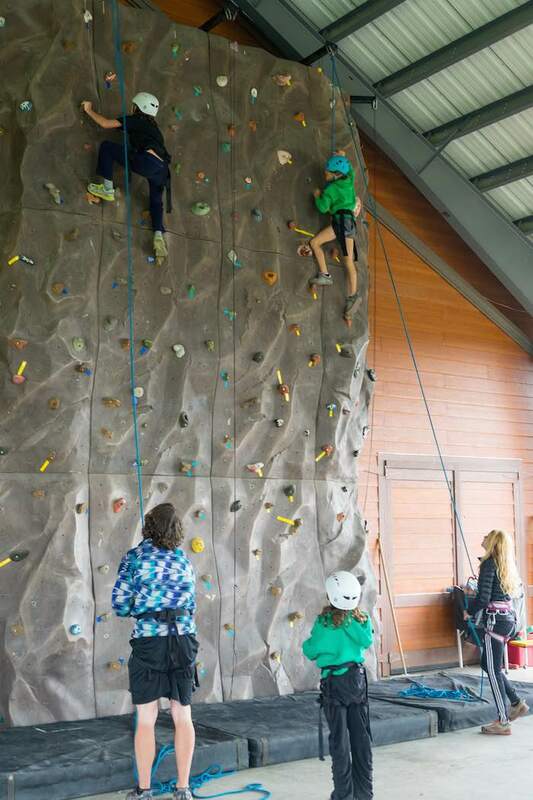 Traditional Camp (ages 9-12): Our middle aged campers are moving up in the progression of activities. 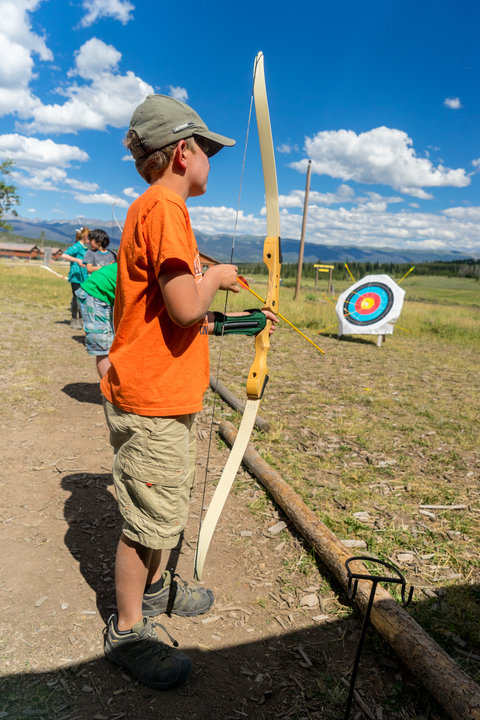 This means they will have better skill mastery and higher confidence in their own abilities. 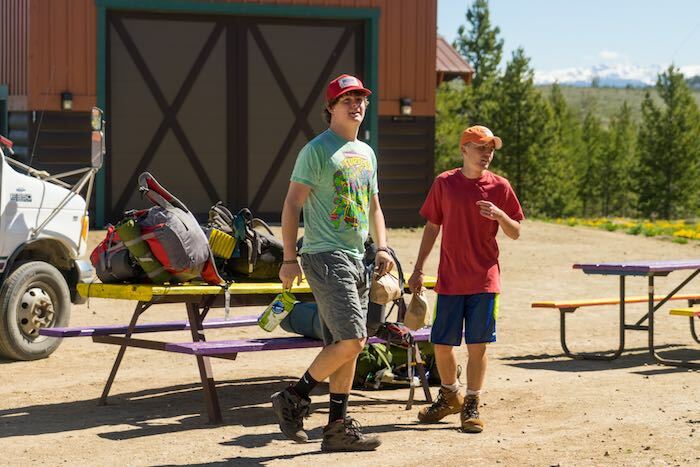 They will also be staying in our rustic cabins with a shared bathhouse that is separate from the cabin. 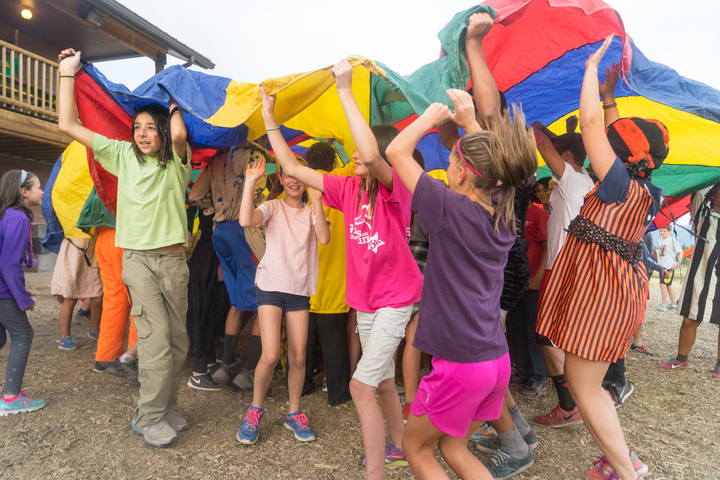 NEXT: Two-Week Camp, Challenger Camp and Adventure Trips. 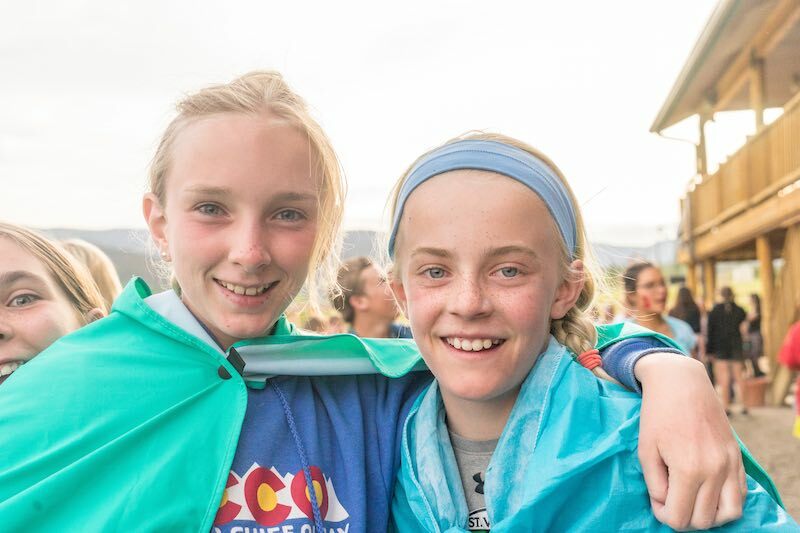 Two-Week Camp (ages 10-14): For those wanting more of camp at once, the two week program allows for more in-depth program skill development since the time frame is twice as long as traditional camp. 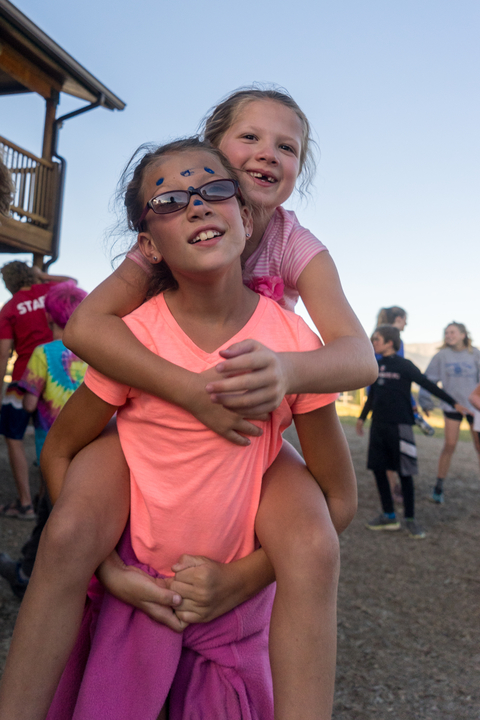 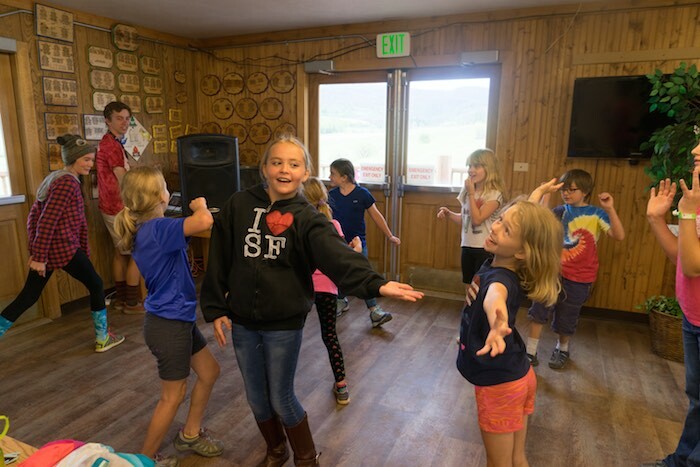 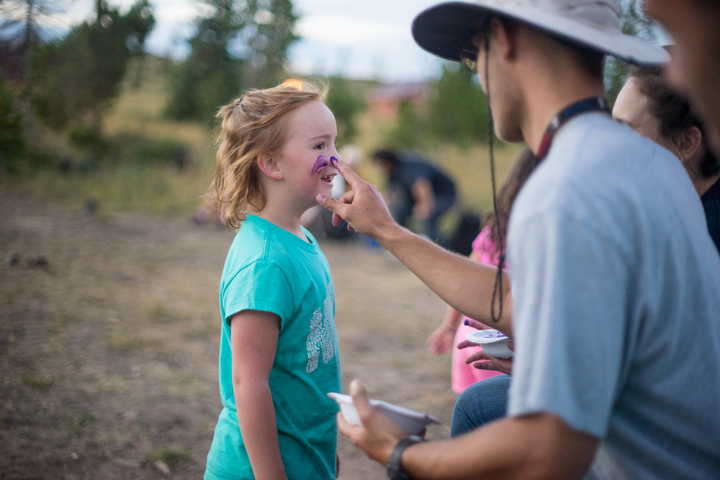 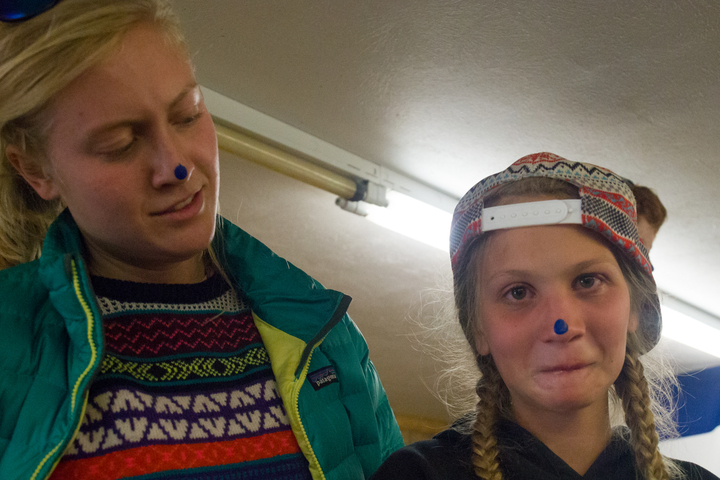 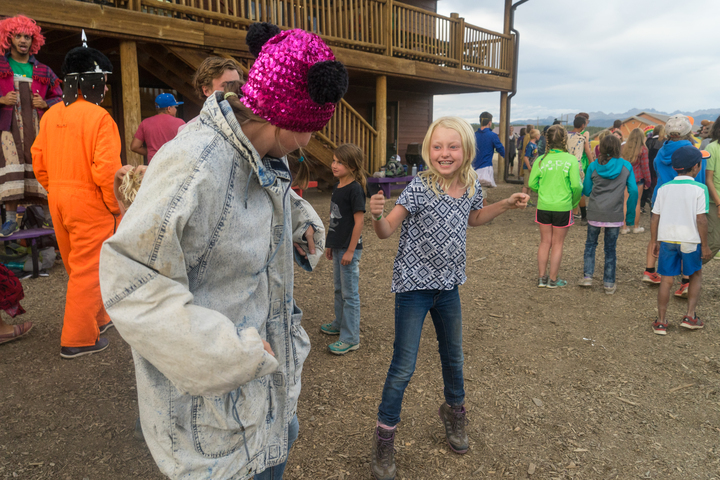 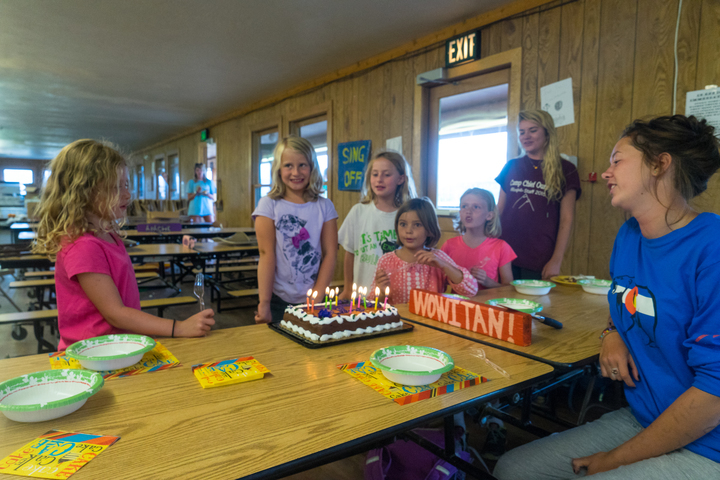 Each week is different and there are some special activities that happen on the weekends and evenings separate from the rest of camp. 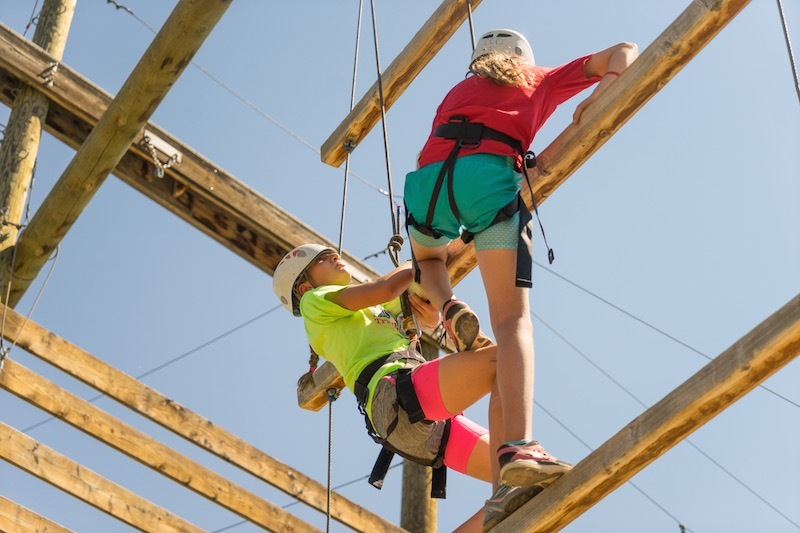 NEXT: Challenger Camp and Adventure Trips. 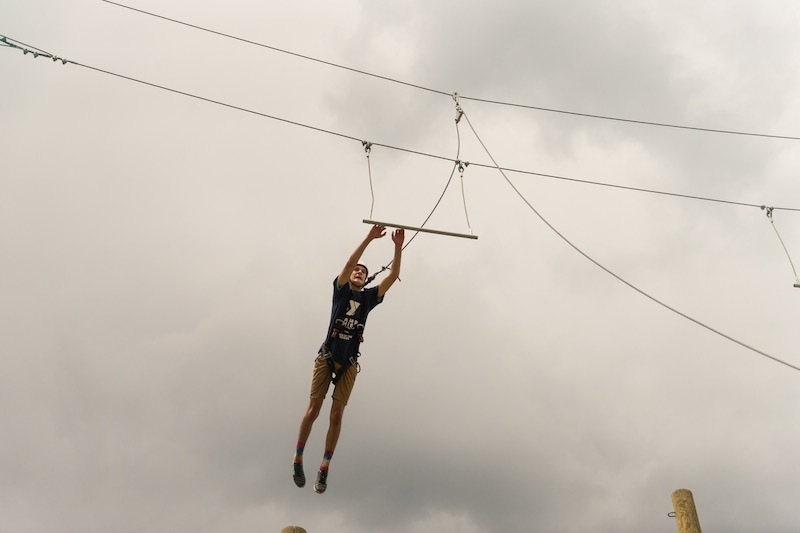 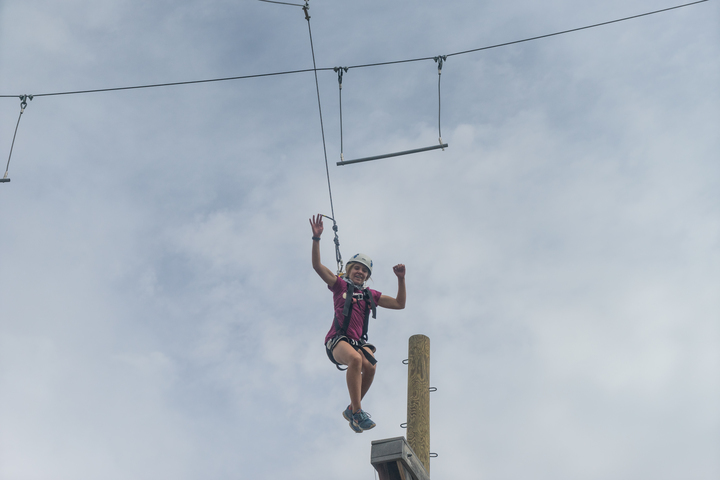 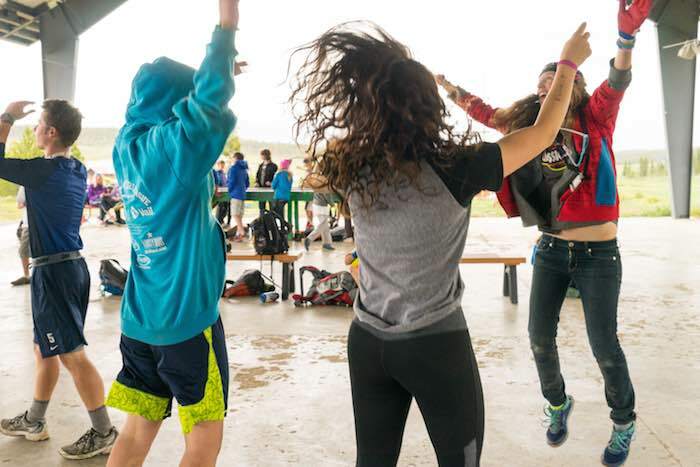 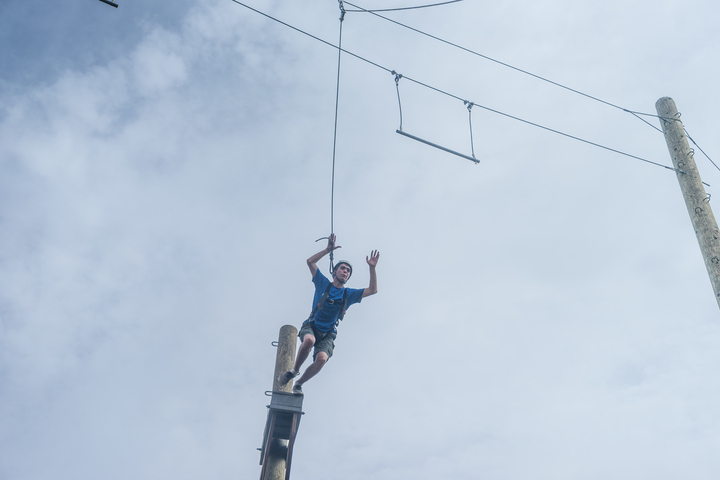 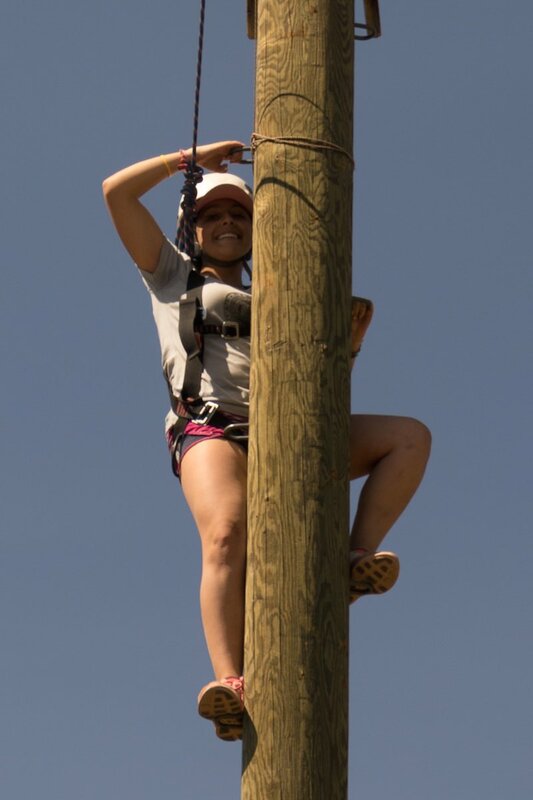 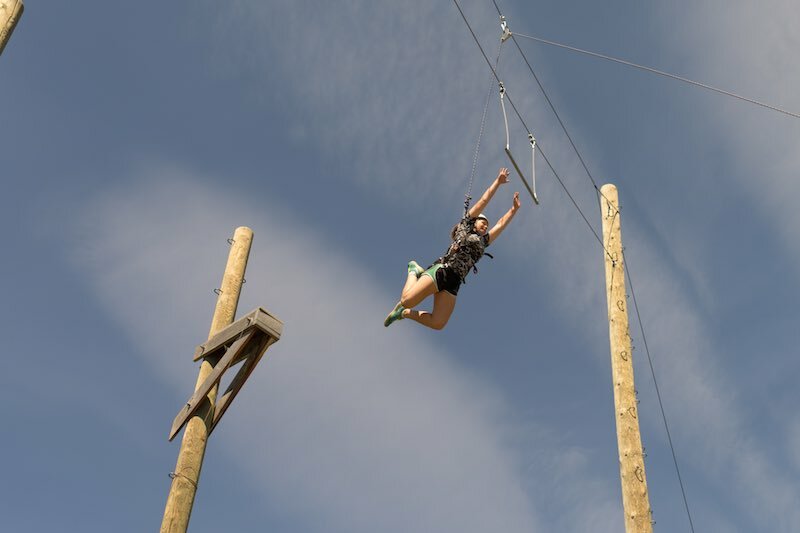 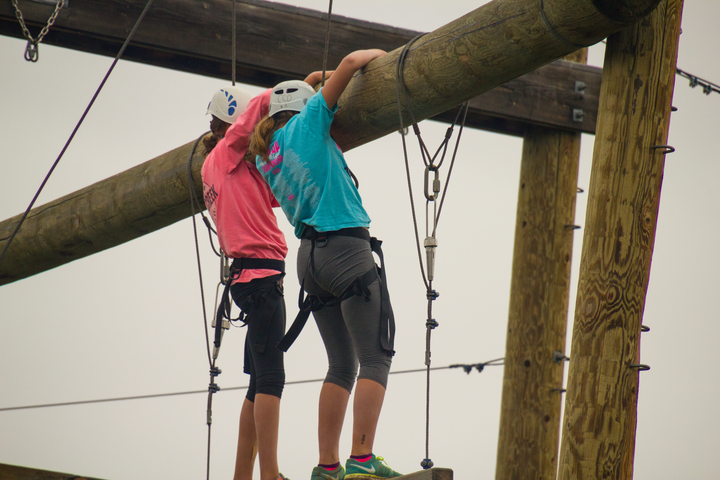 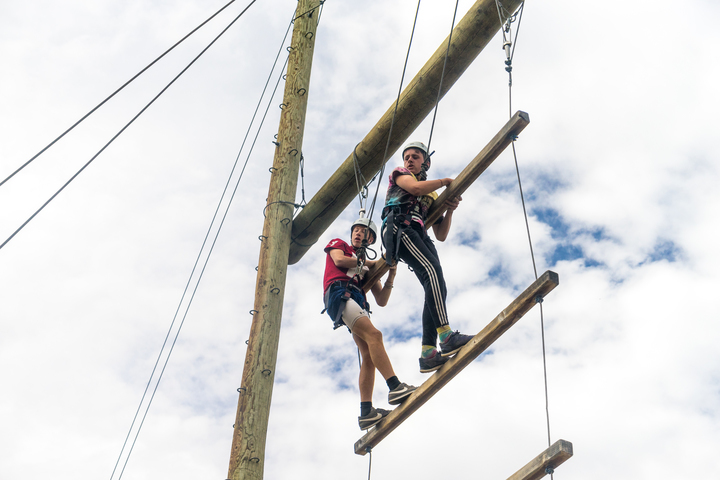 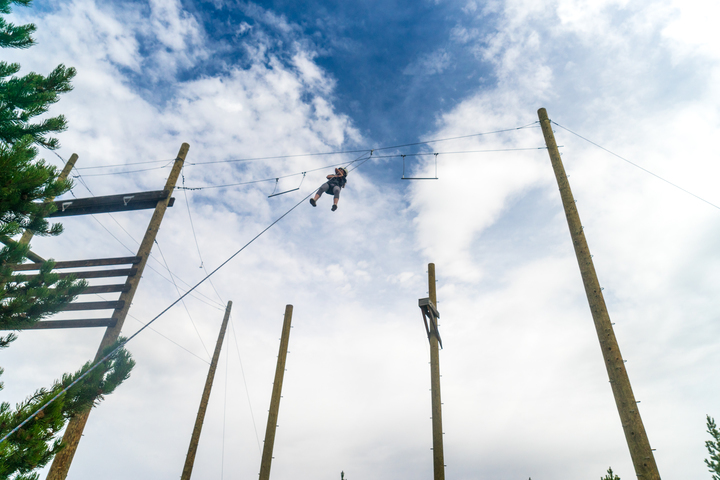 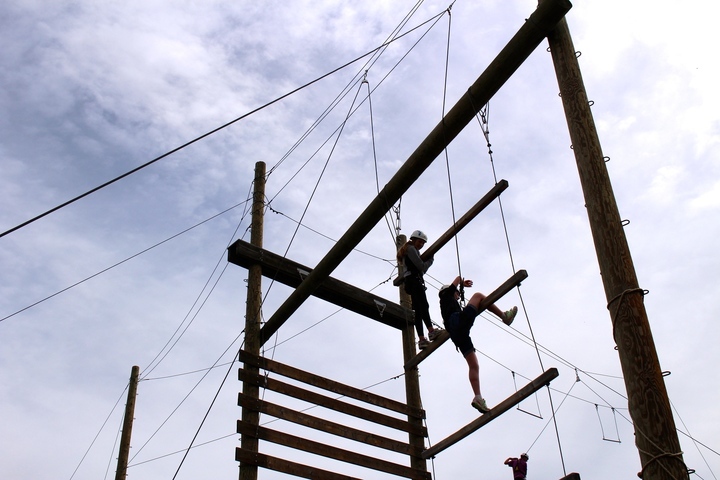 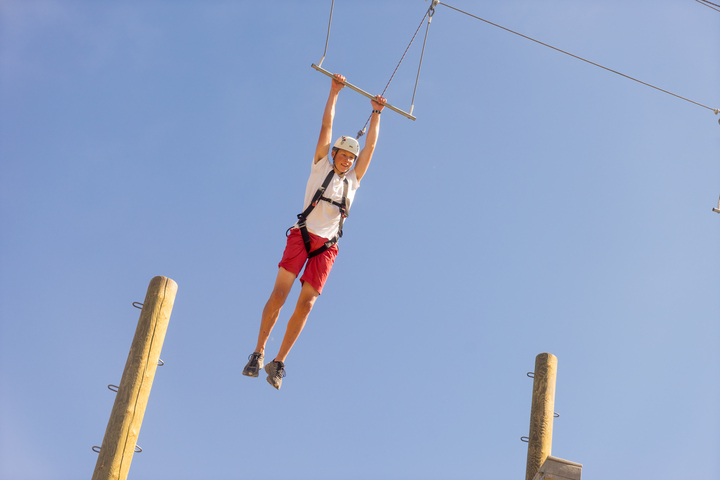 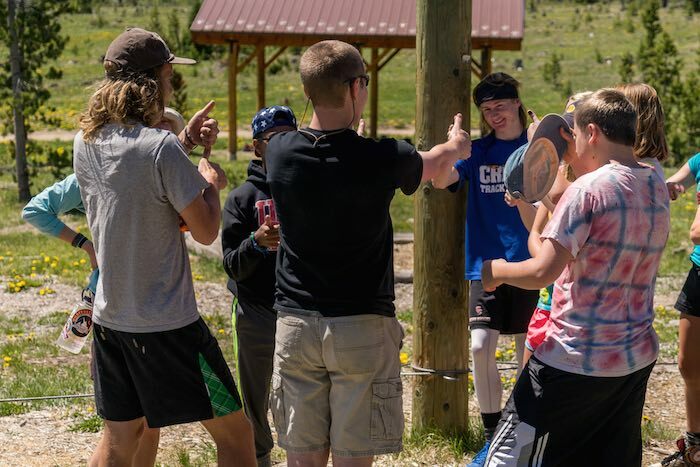 Challenger Camp (ages 13-14): Challenger camp is for our teenagers and offers more freedom to choose activities with other teenagers. 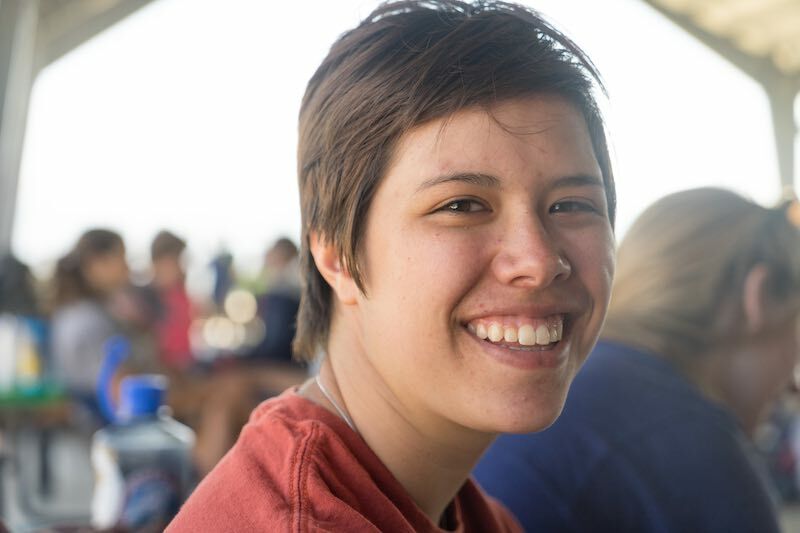 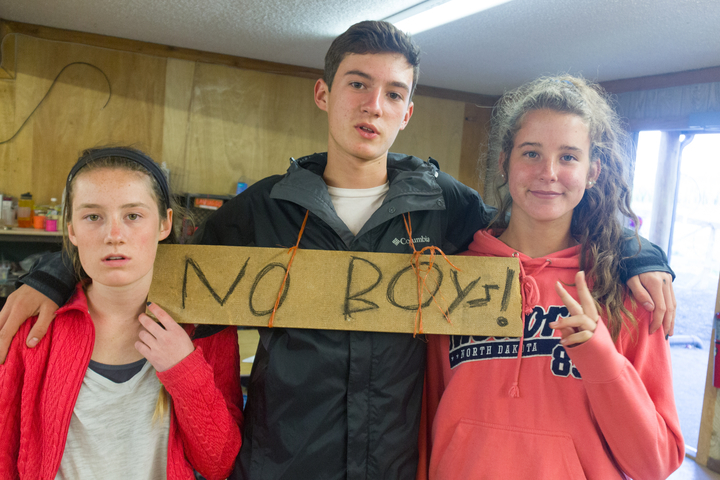 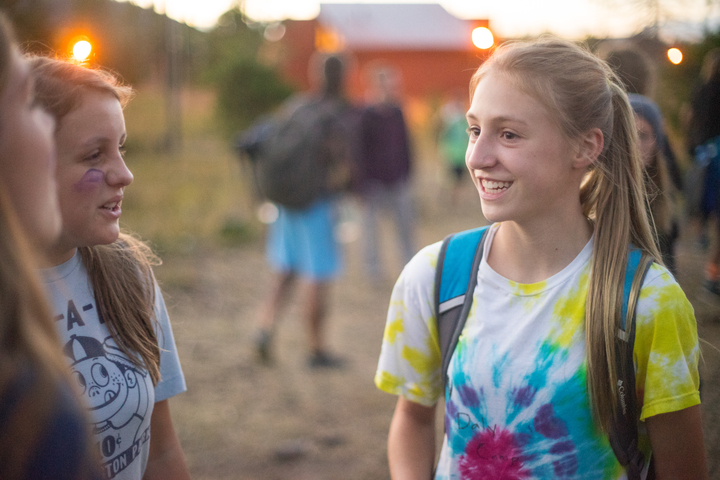 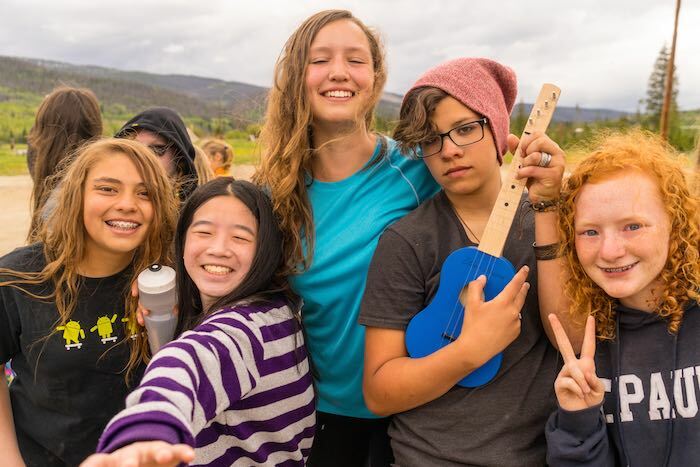 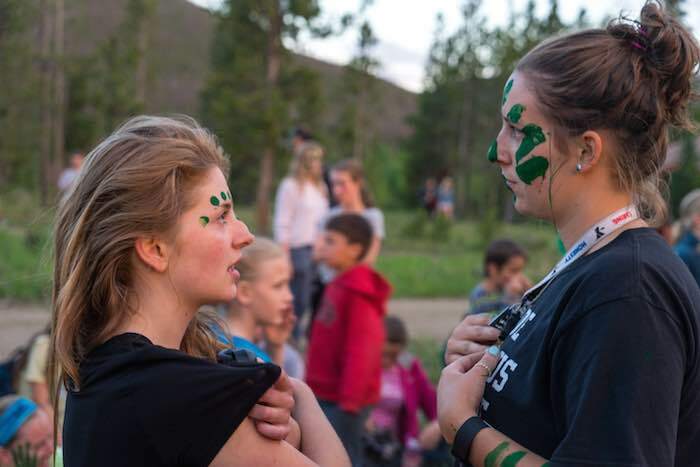 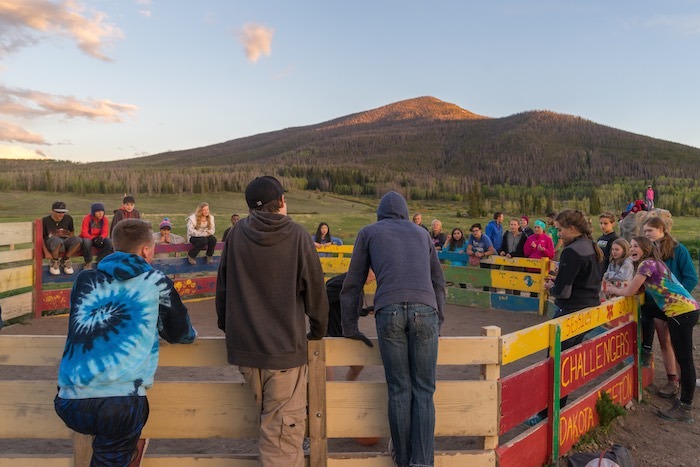 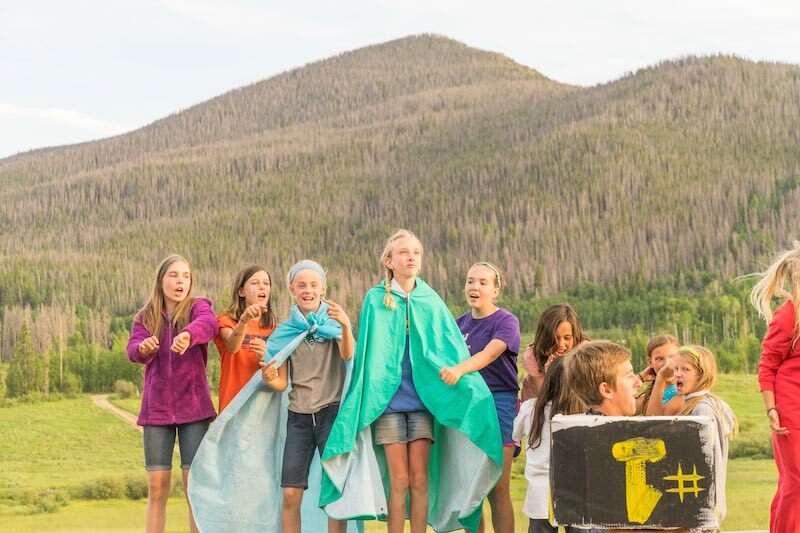 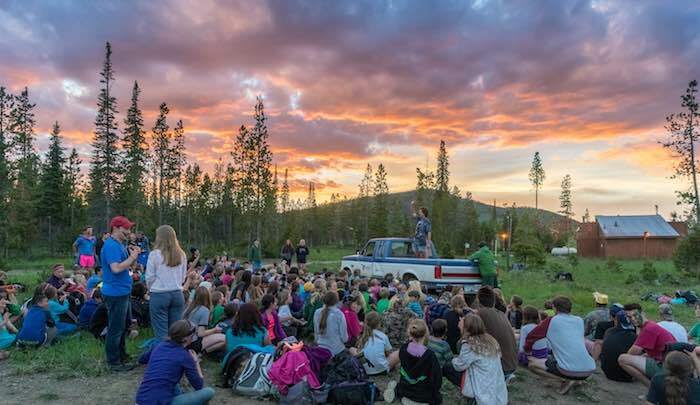 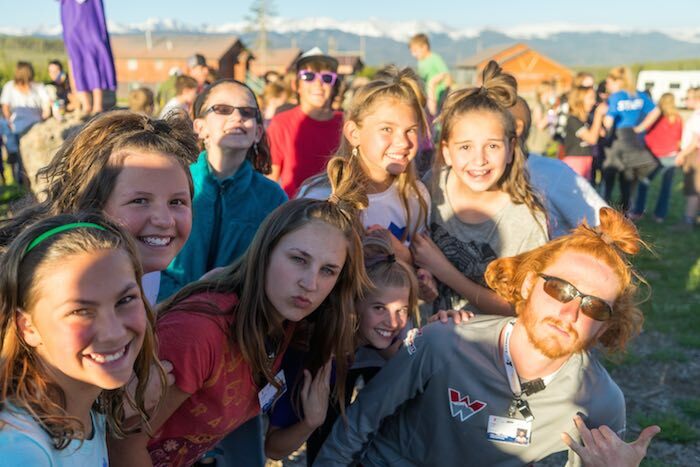 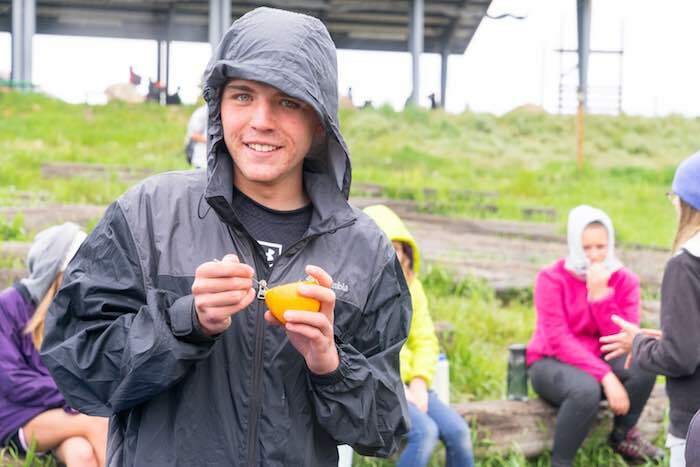 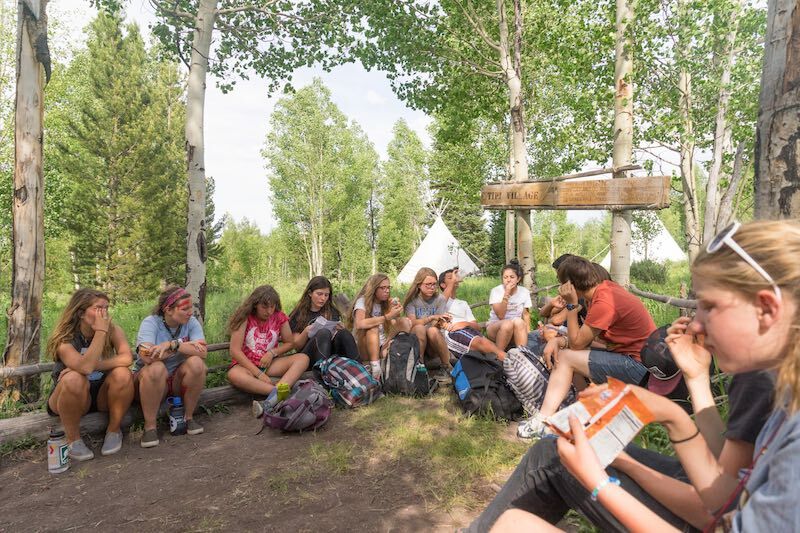 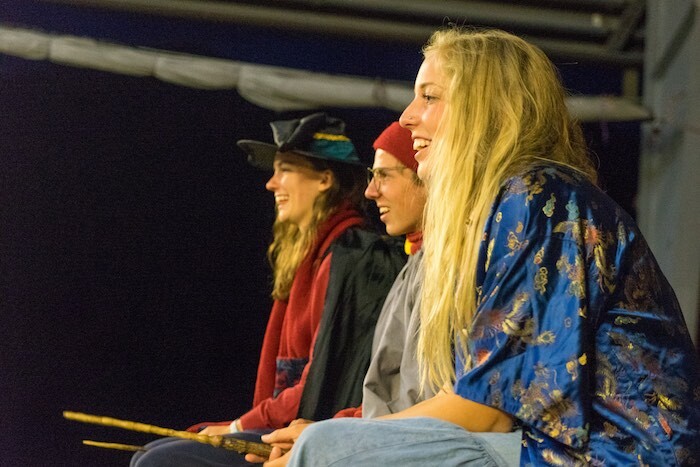 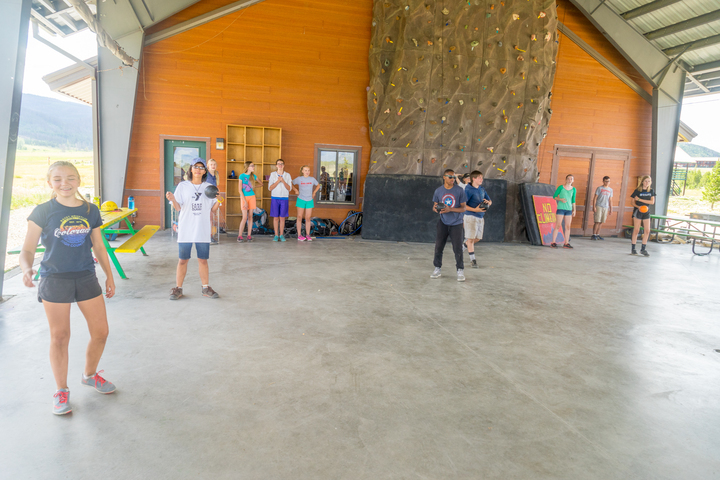 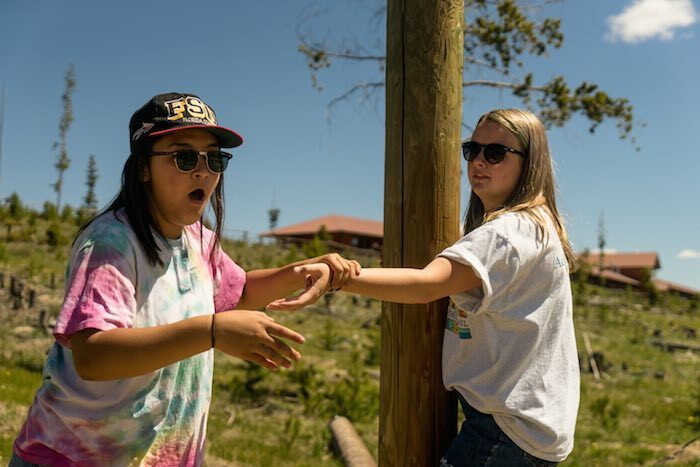 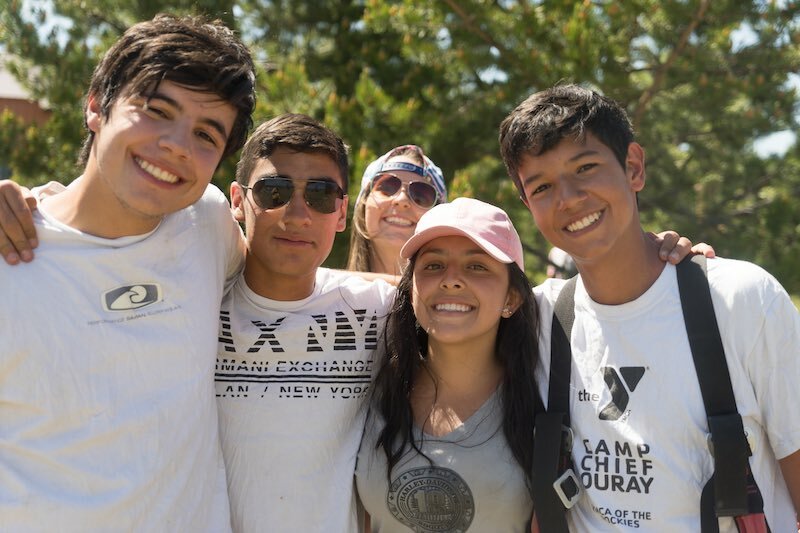 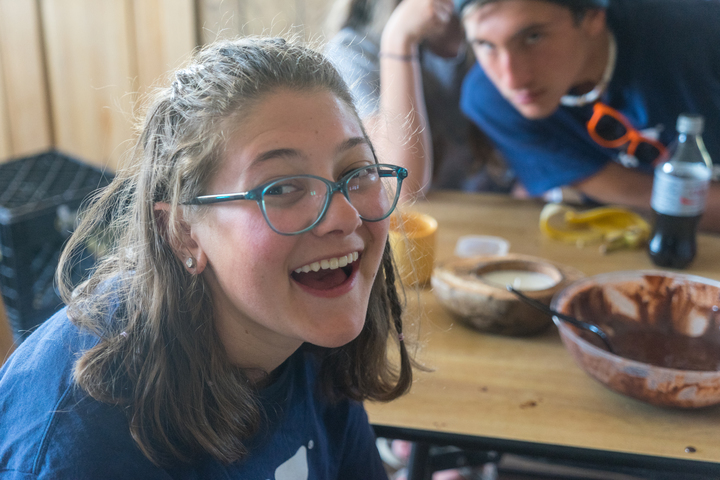 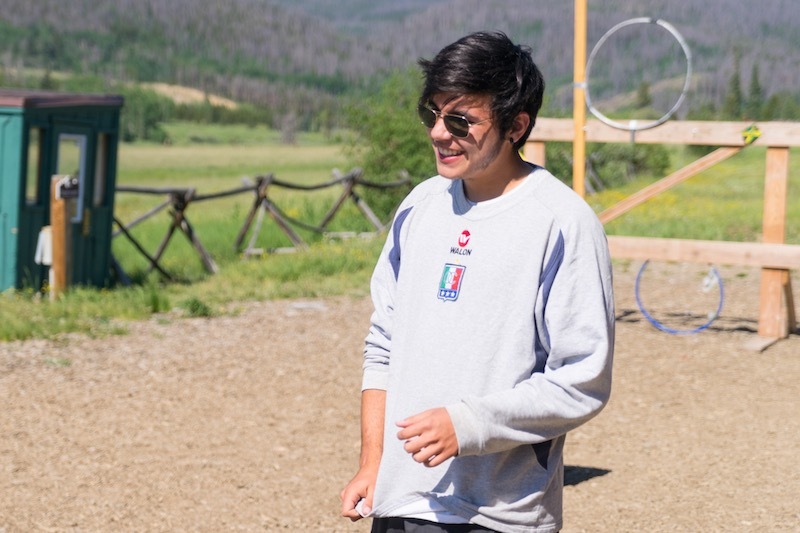 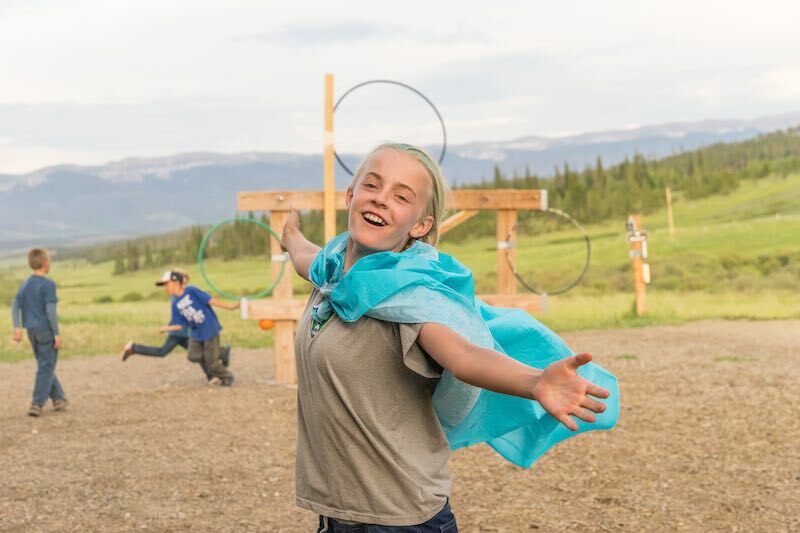 They have their own special camp out spot, they have a chance to talk with teens in the leadership programs to learn more about becoming a camp leader, and they have more flexibility in the schedule. 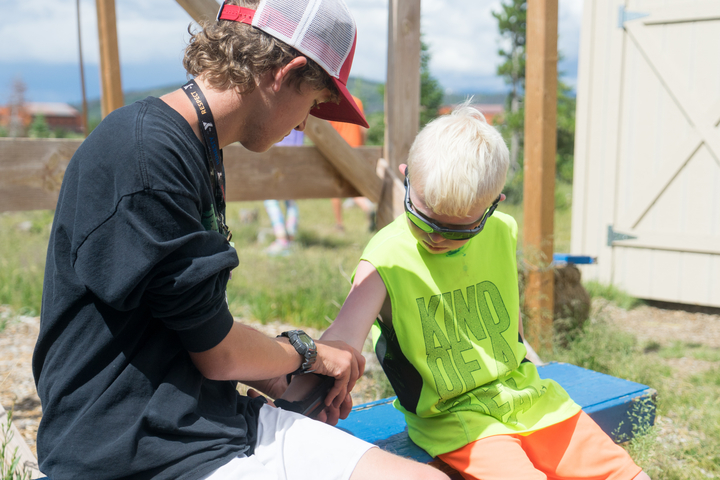 This is a week long camp program. 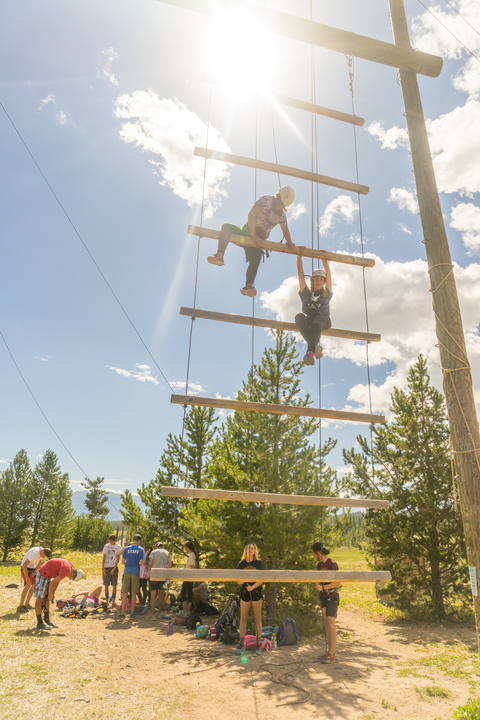 NEXT: Adventure Trips, Wrangler-In-Training, Leader-In-Training and Trekker Trips. 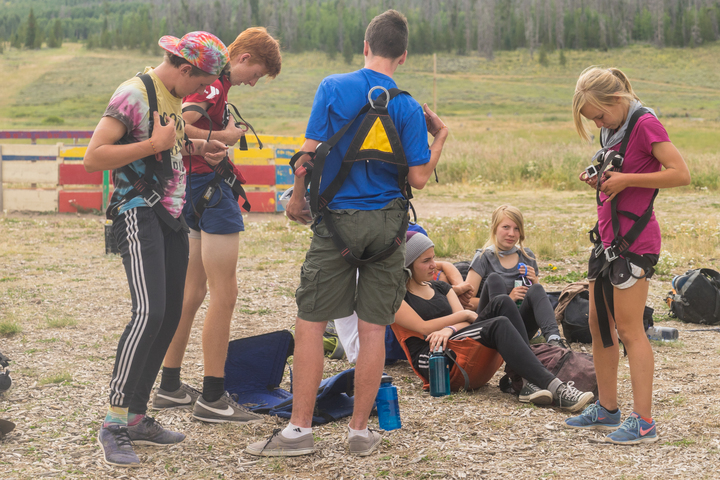 Adventure Trips (ages 13-14): These trips are one week long and differ depending on the trip. 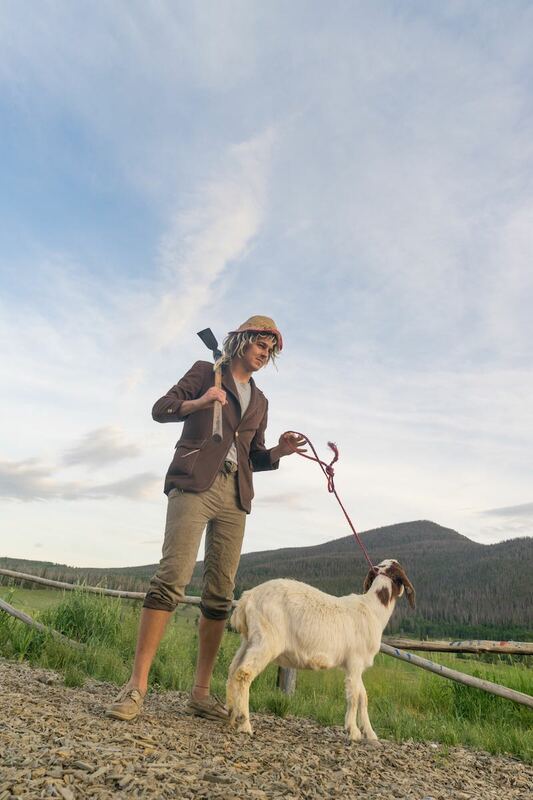 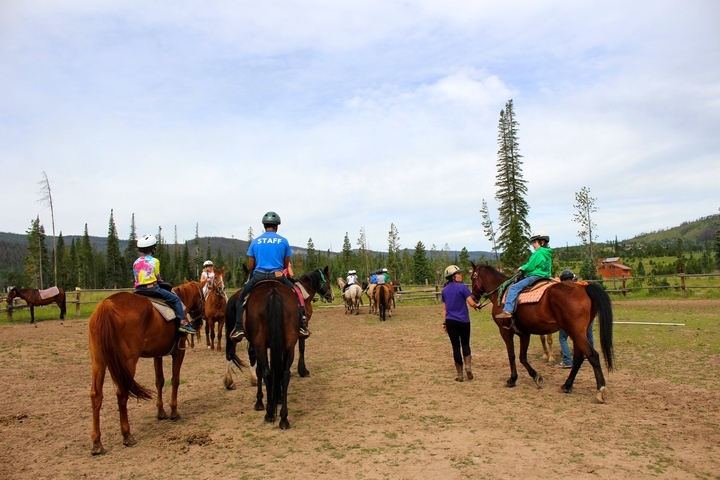 We have the straight forward trips like Backpacking, Kayaking, Rafting, and Horse Pack. 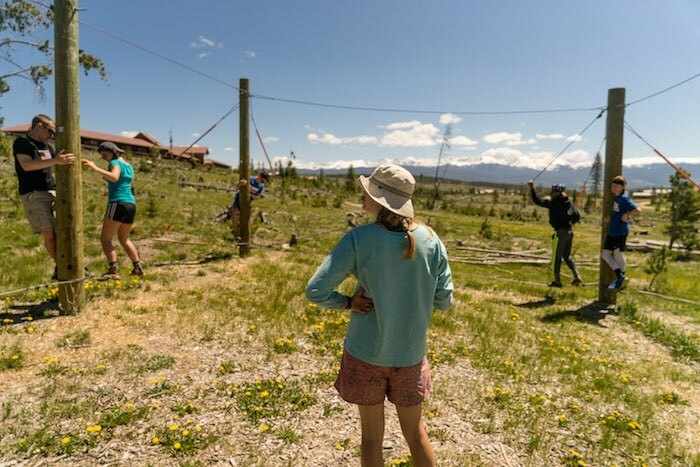 Then we also have conglomerate trips like Fusion (mountain biking, climbing, and rafting) and Odyssey (mountain biking, climbing, rafting and backpacking). 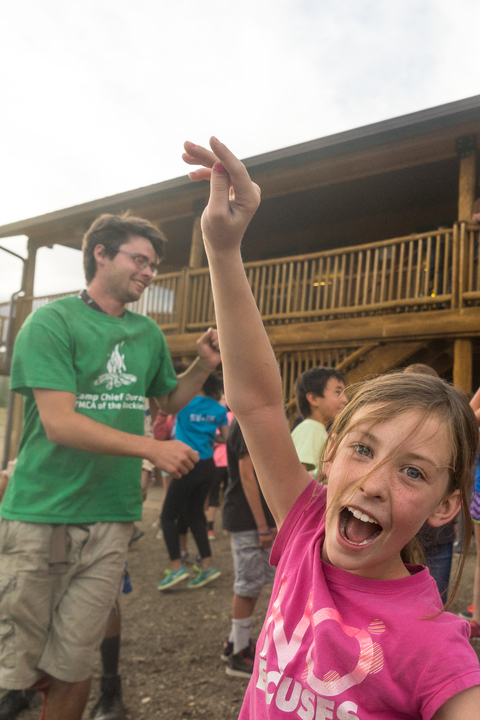 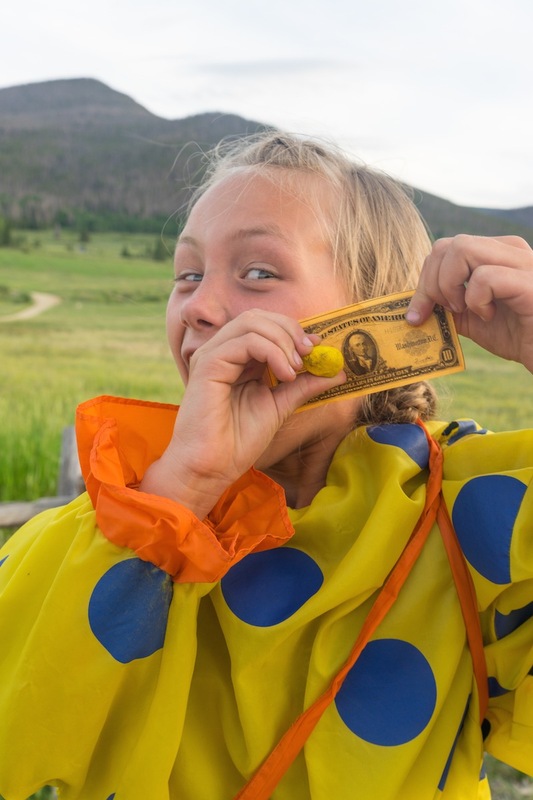 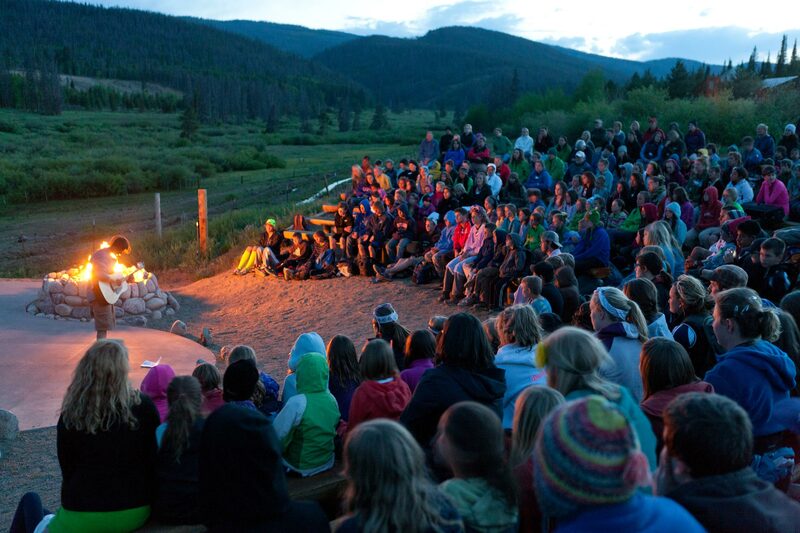 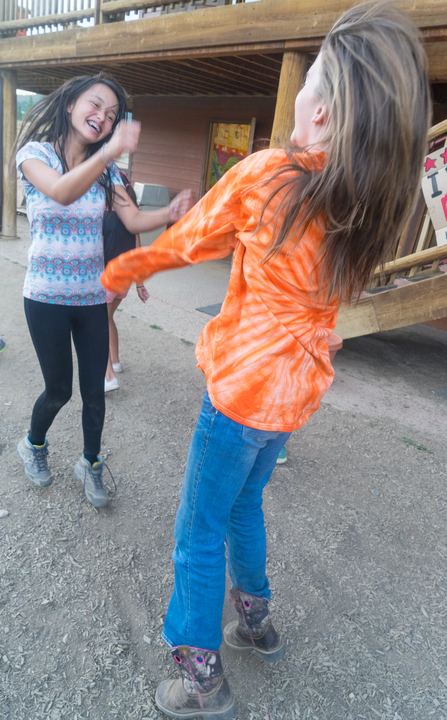 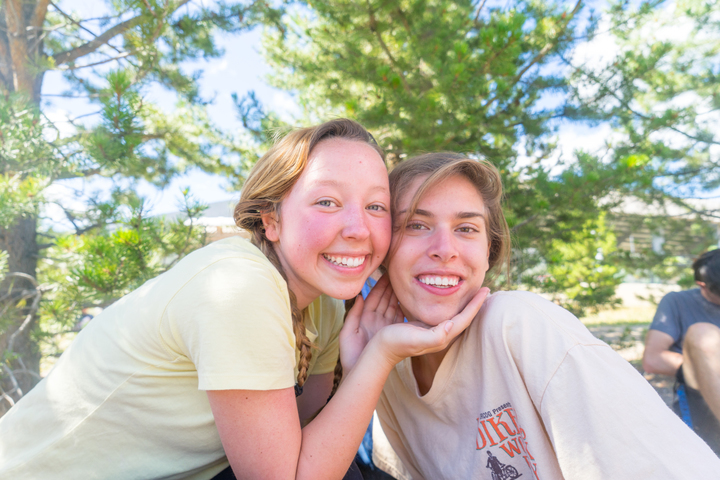 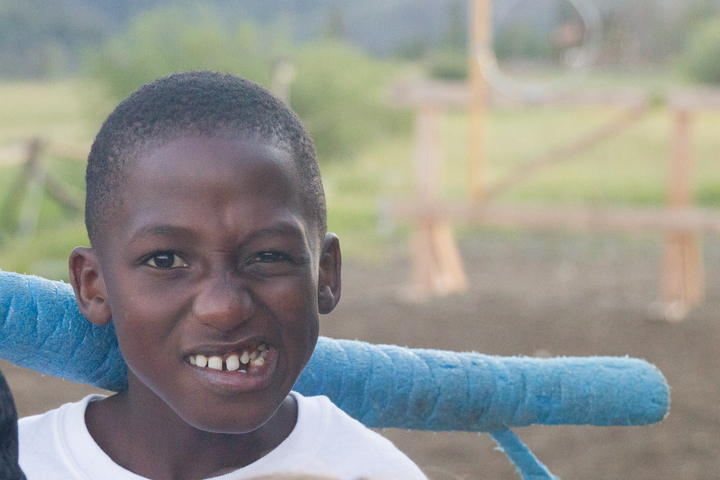 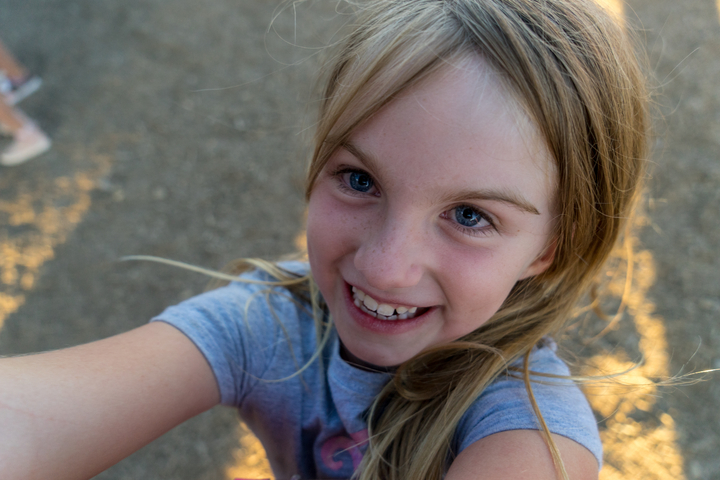 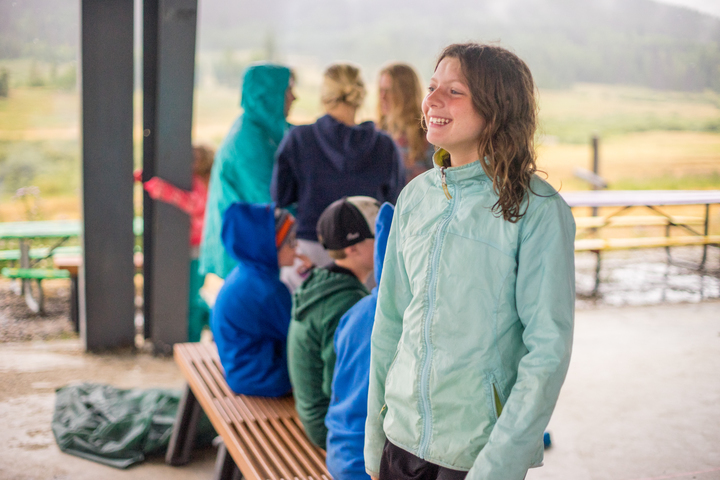 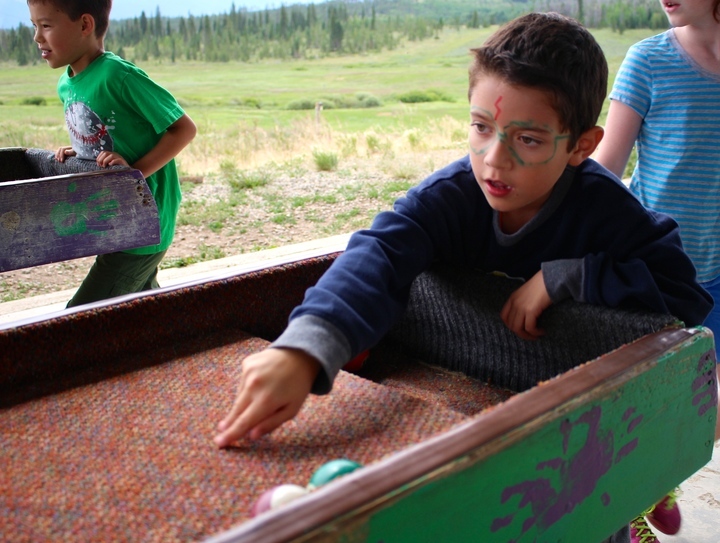 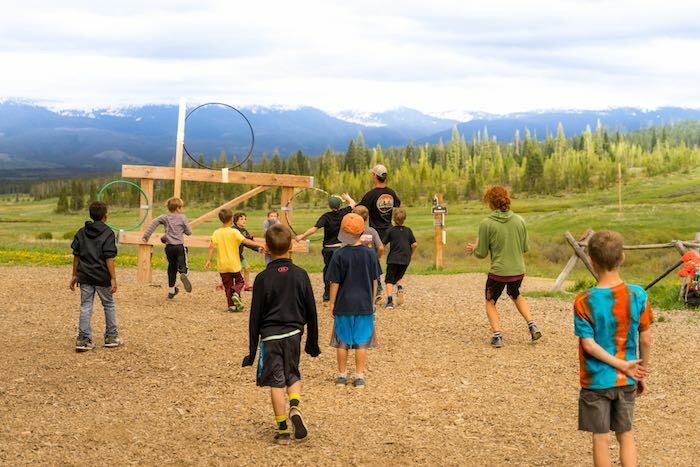 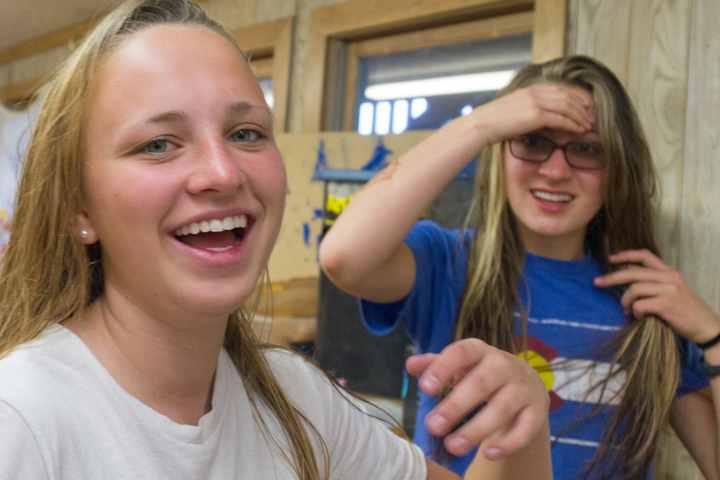 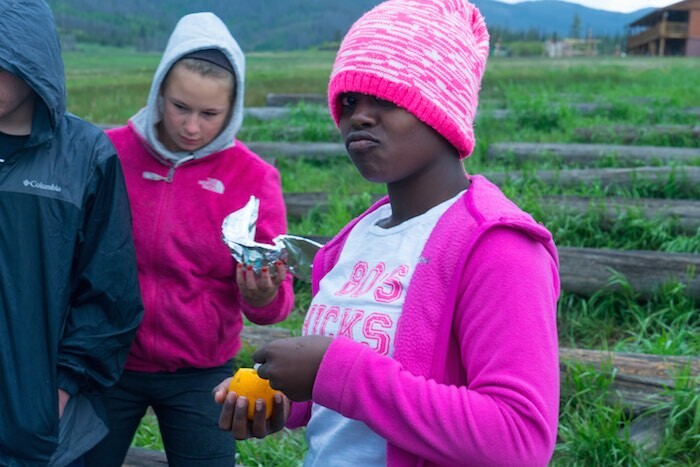 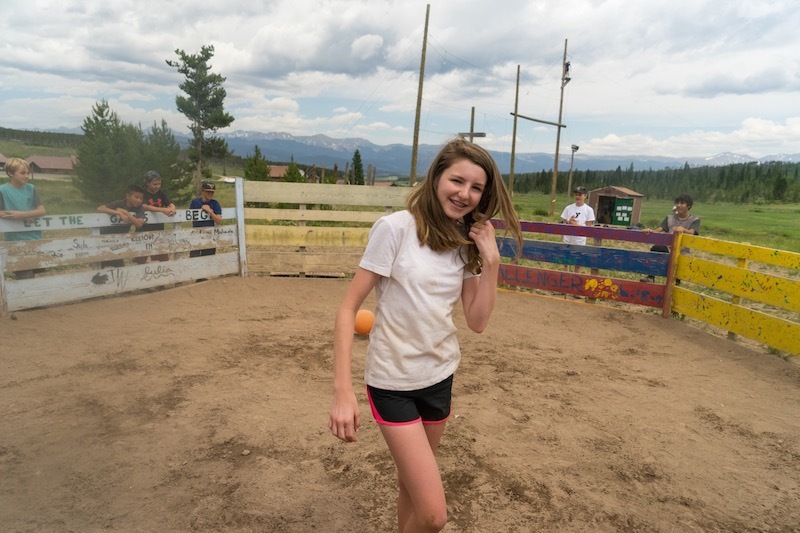 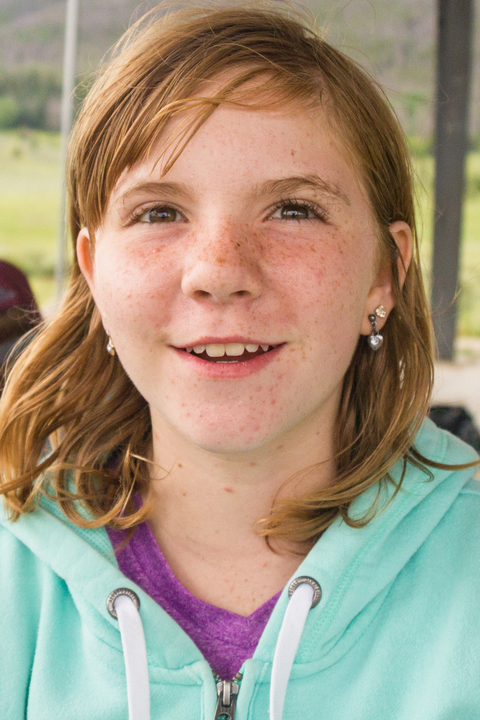 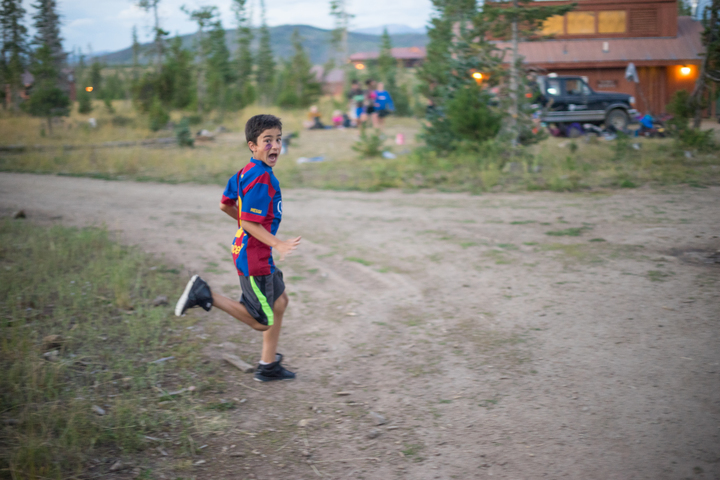 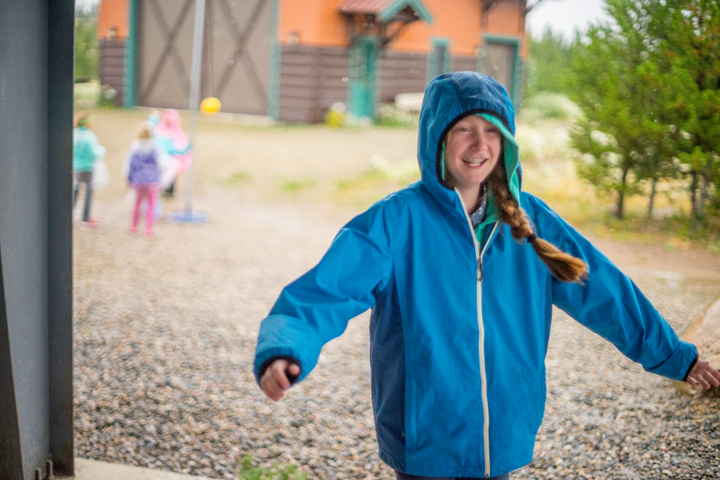 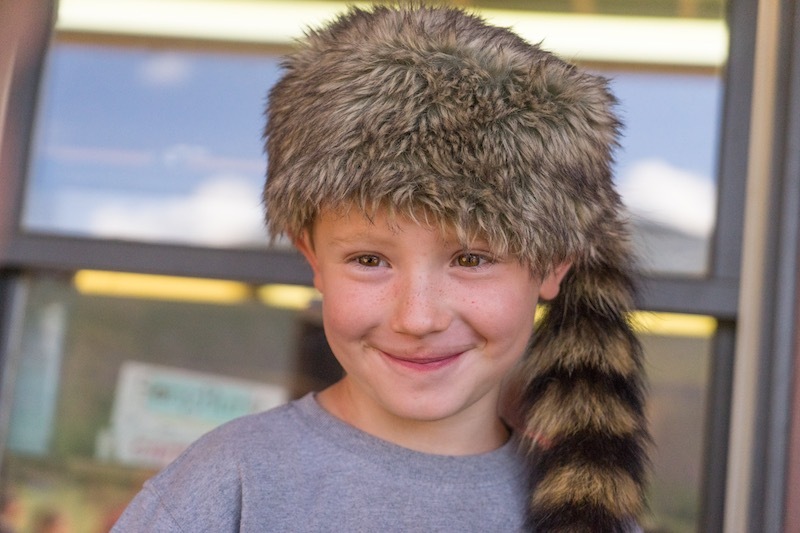 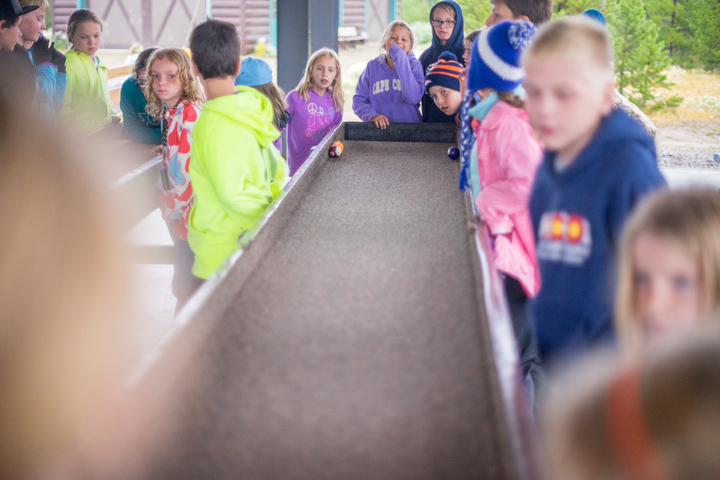 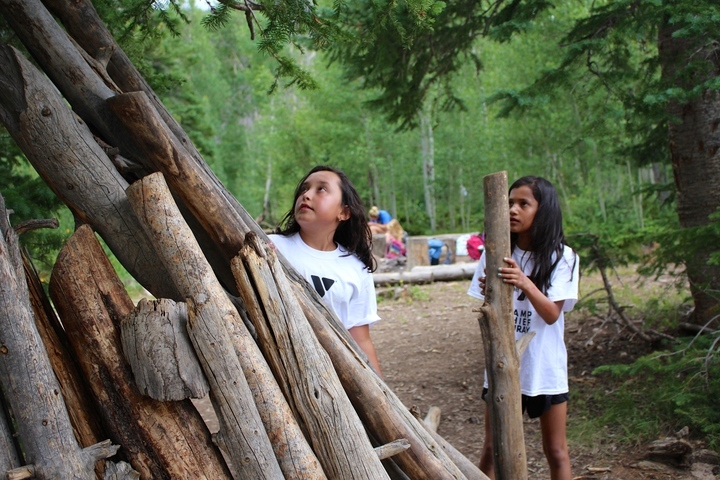 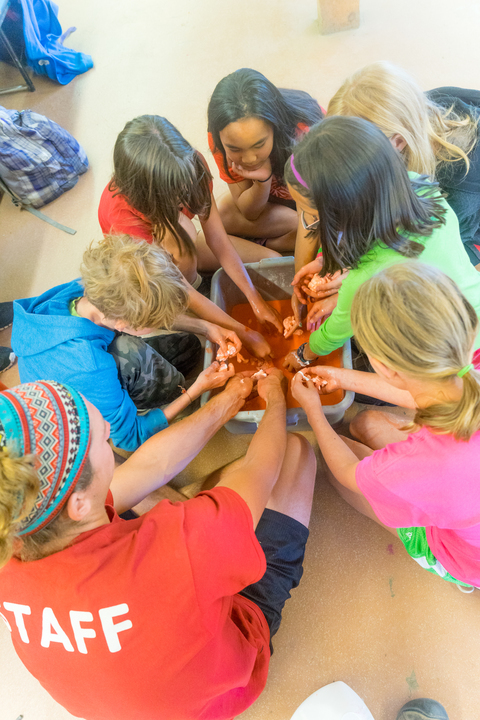 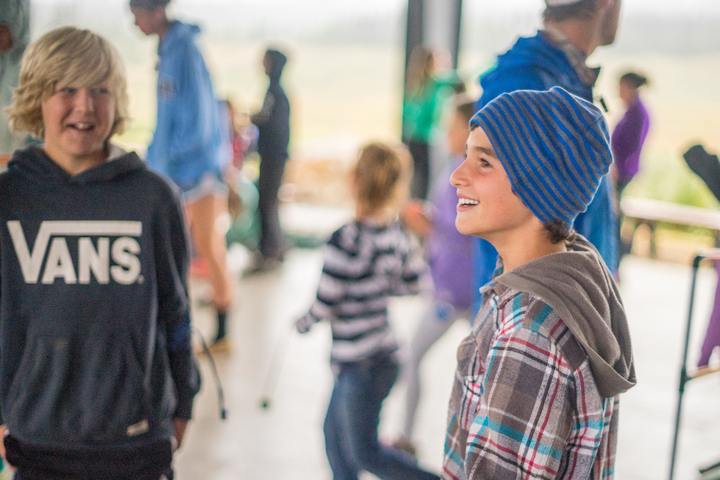 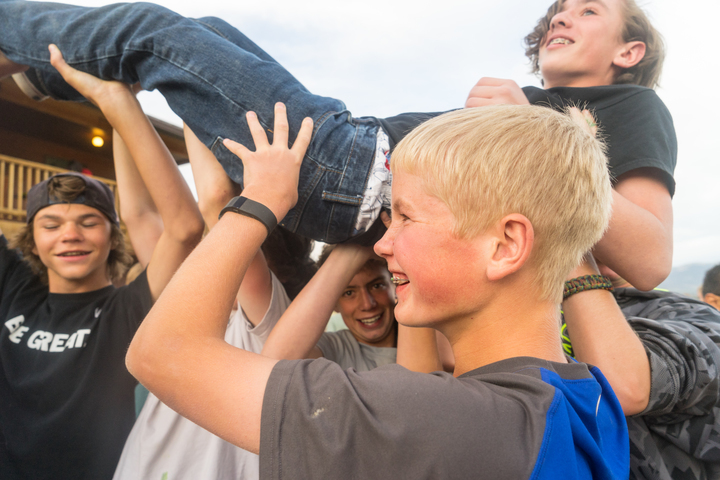 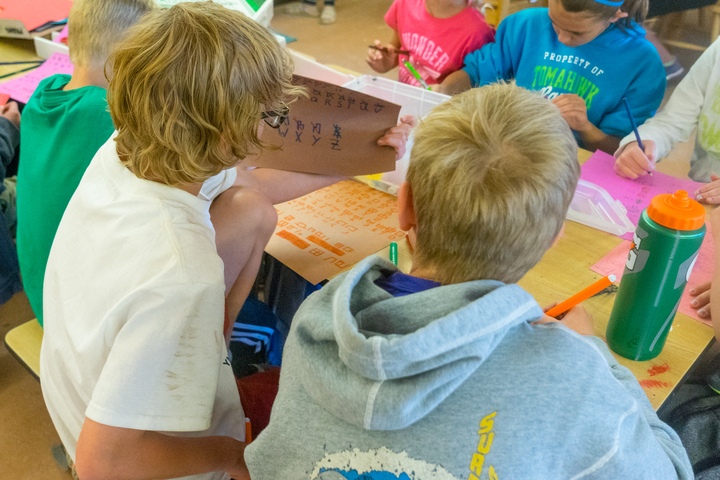 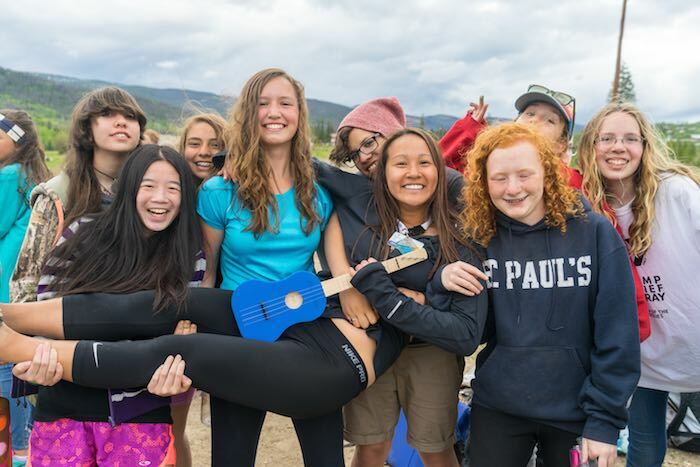 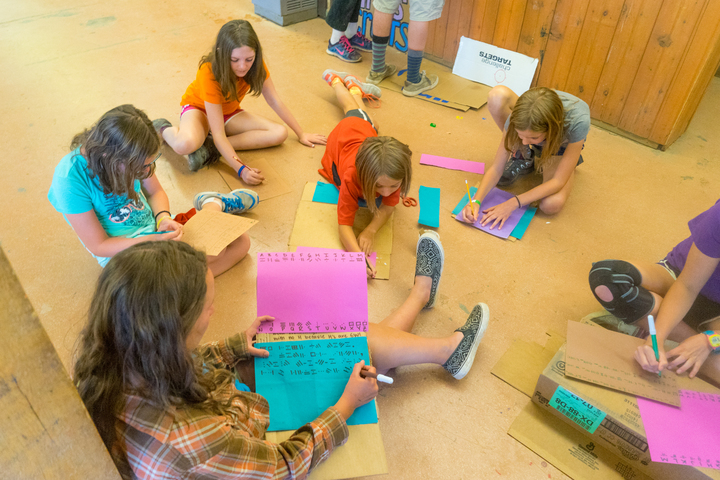 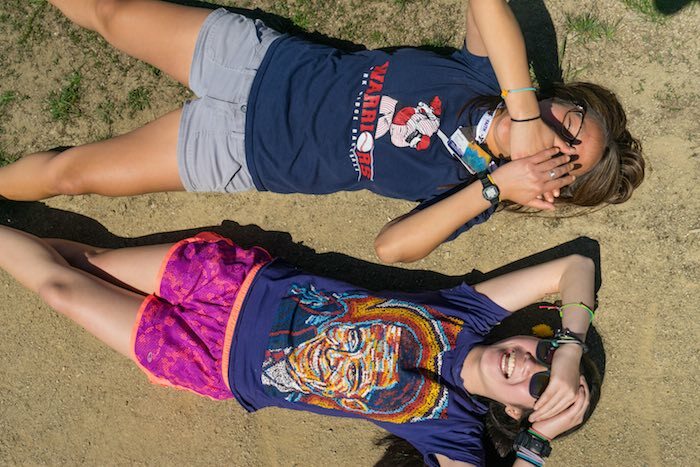 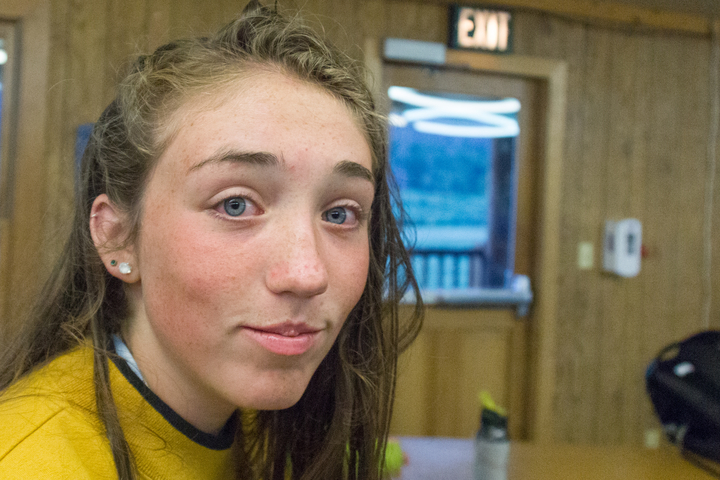 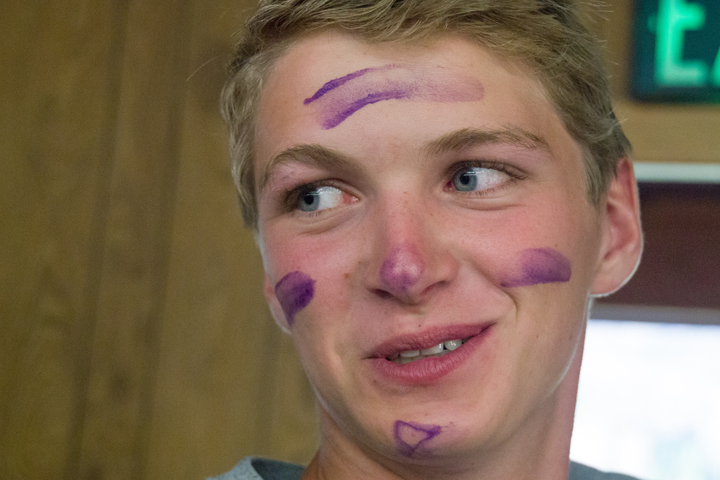 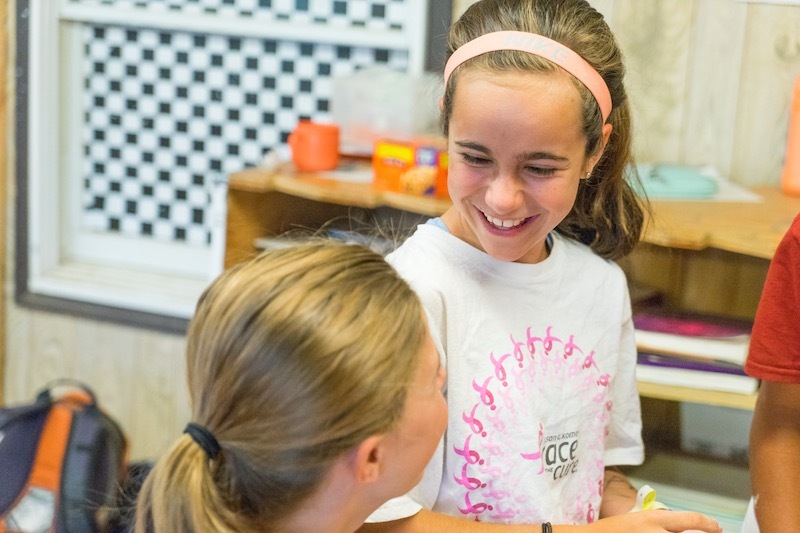 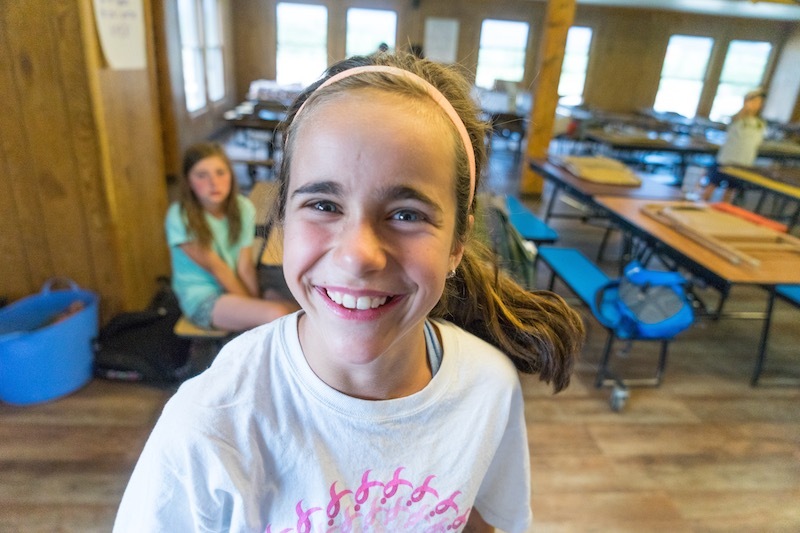 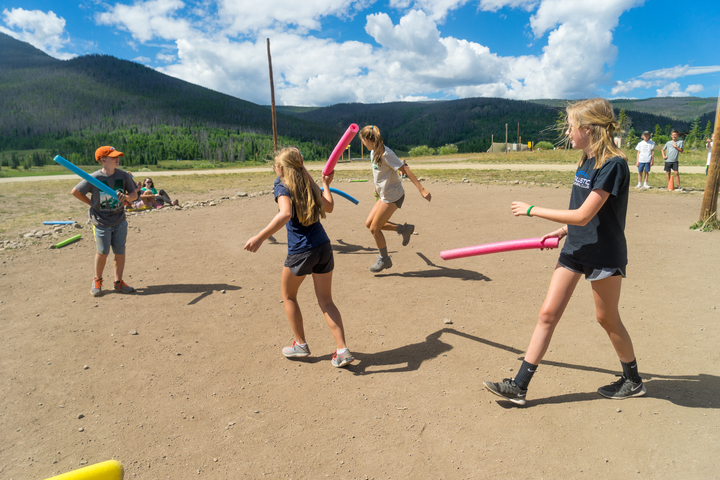 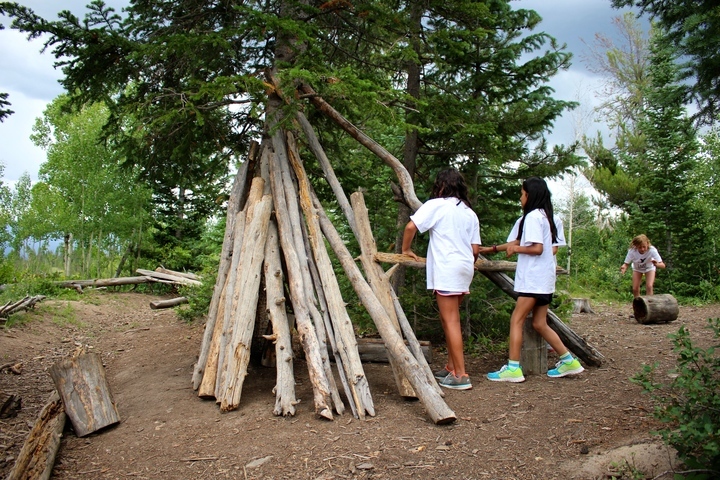 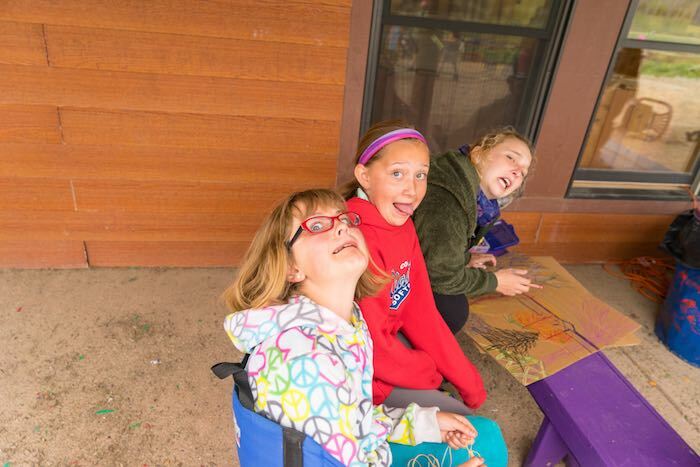 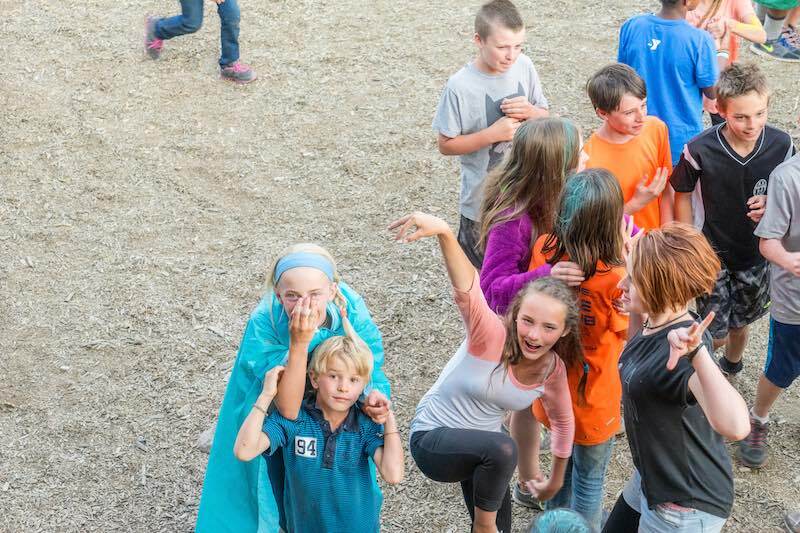 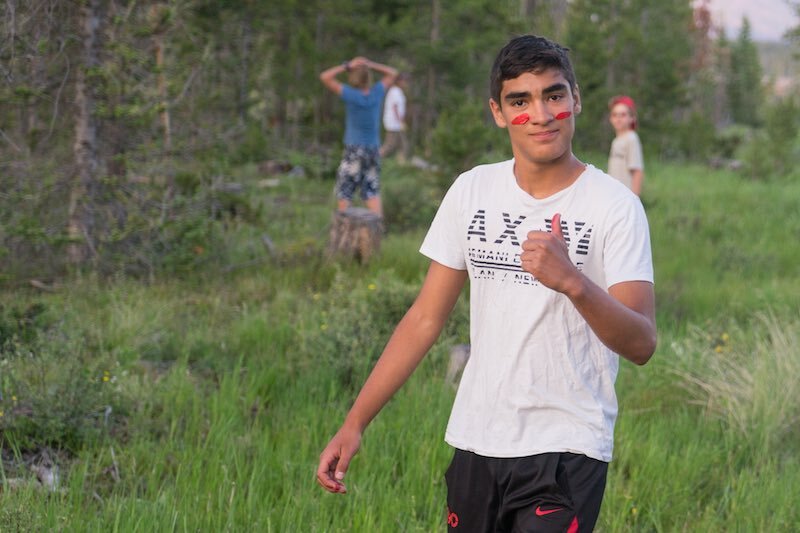 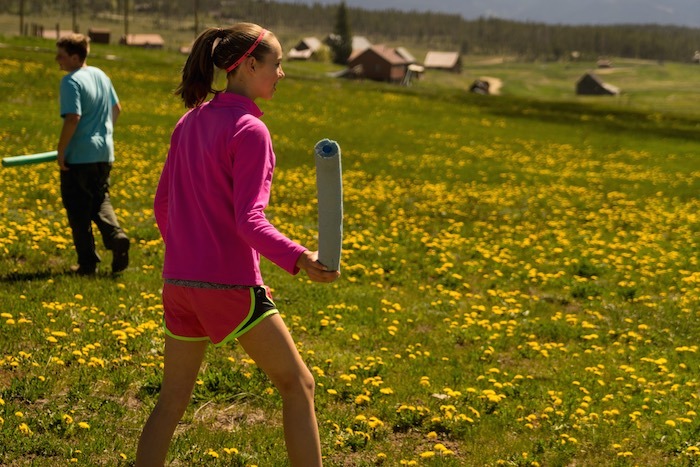 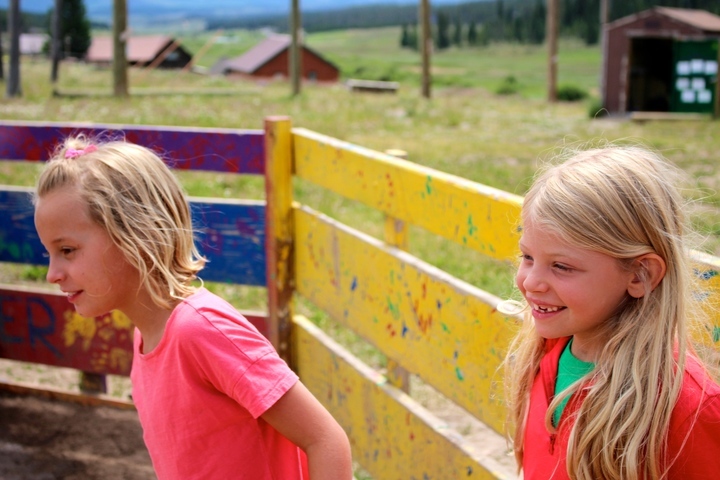 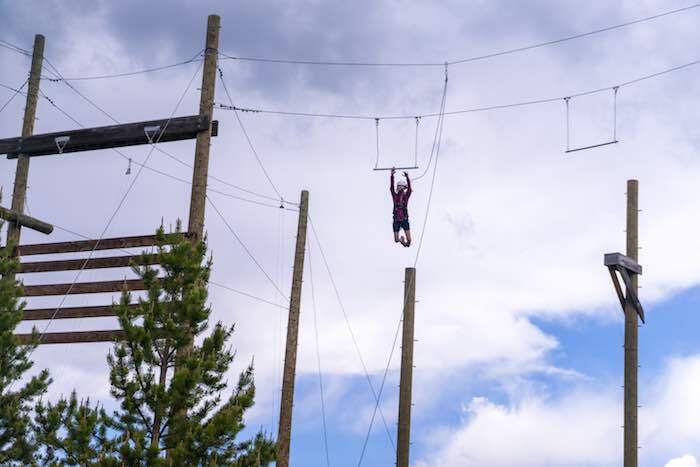 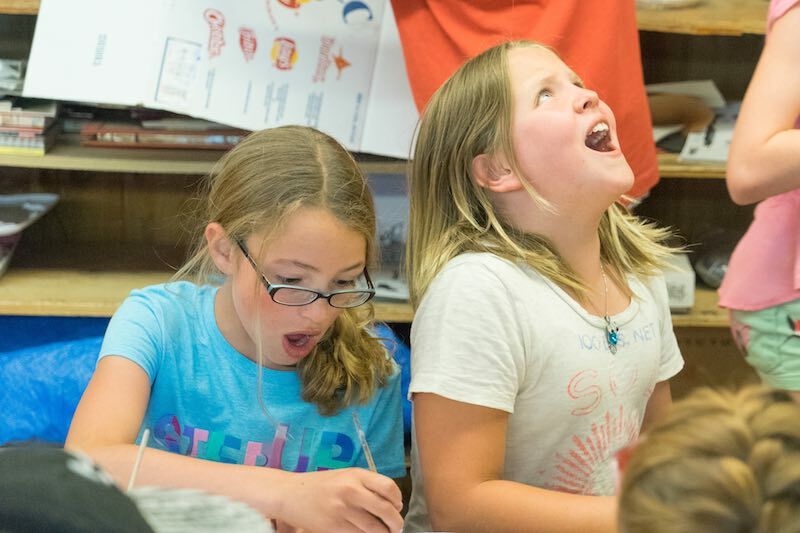 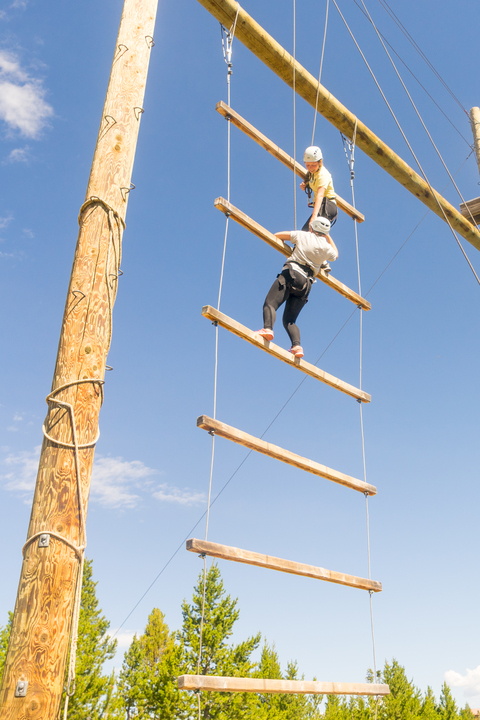 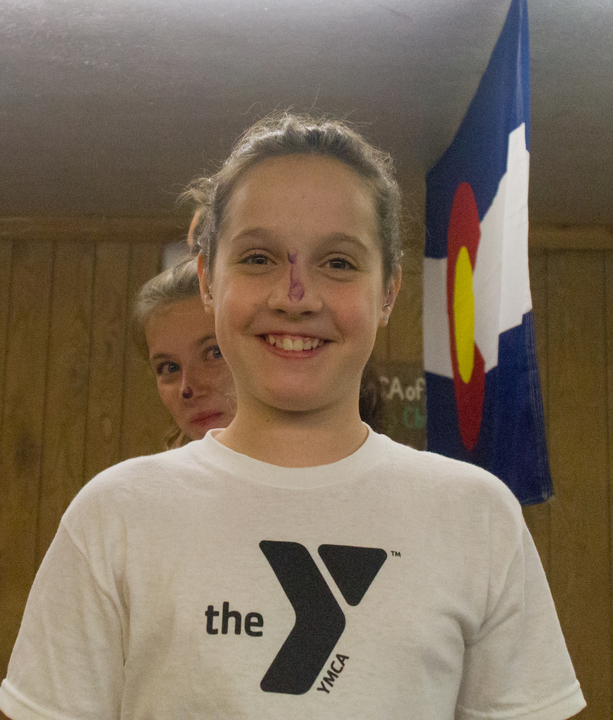 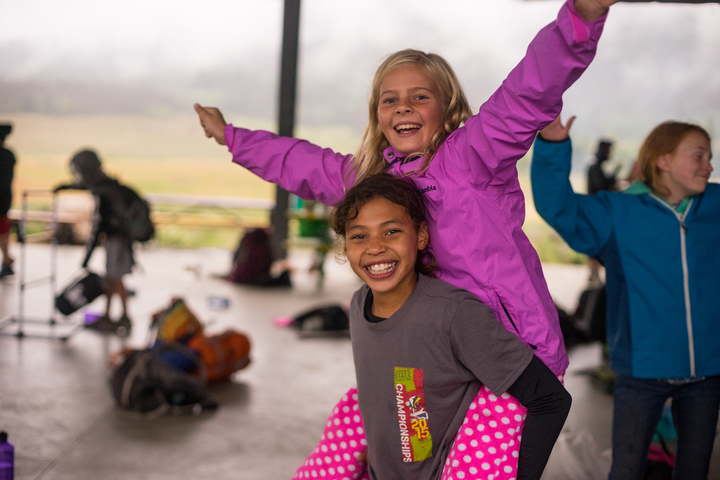 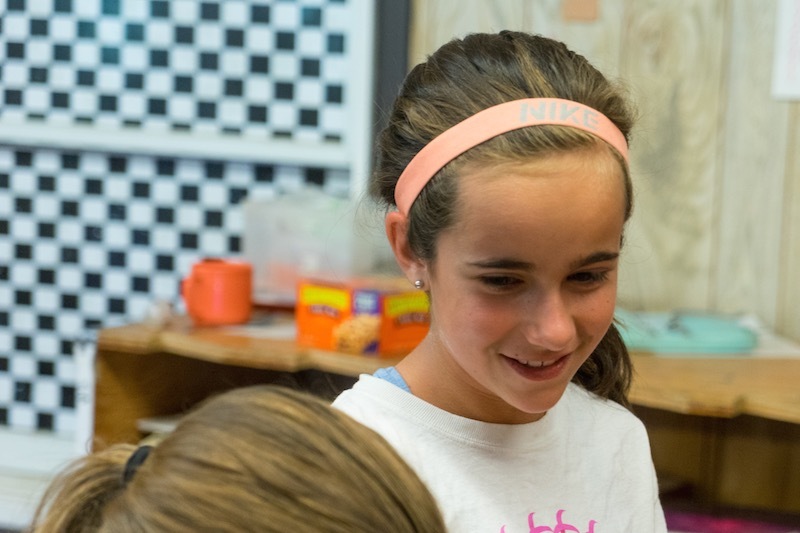 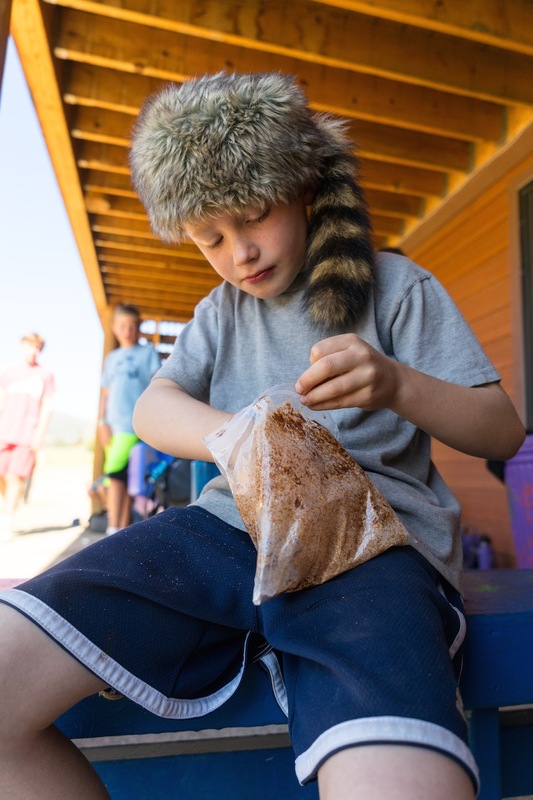 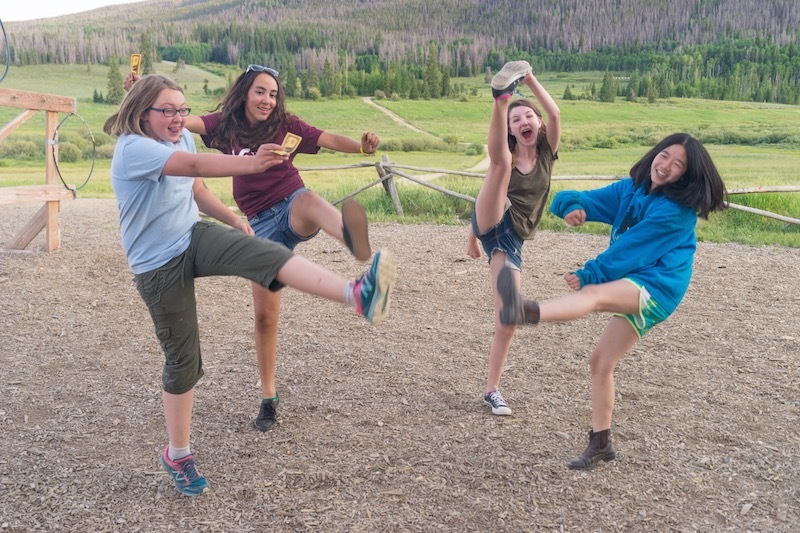 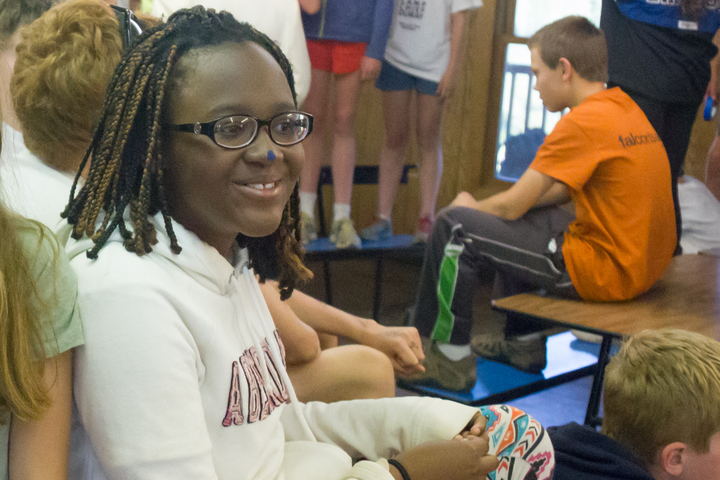 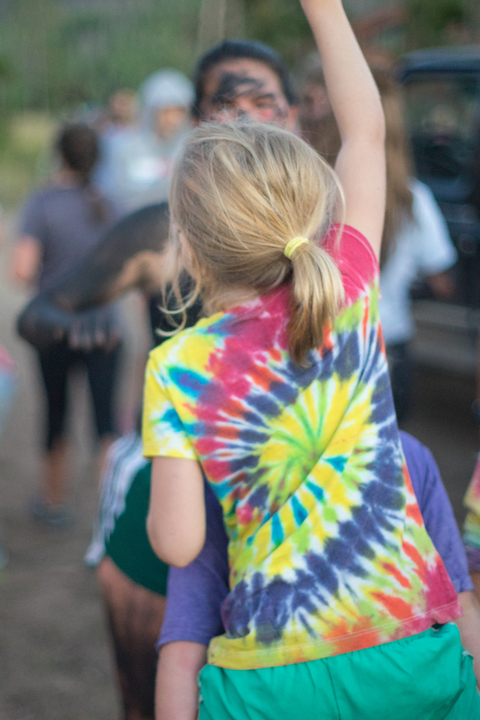 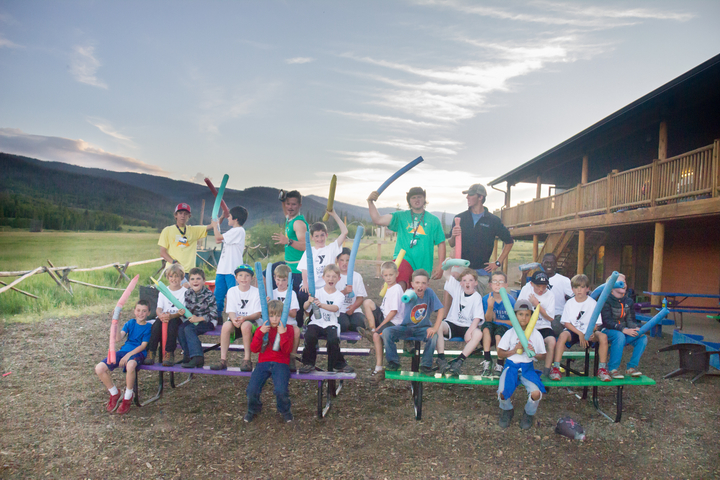 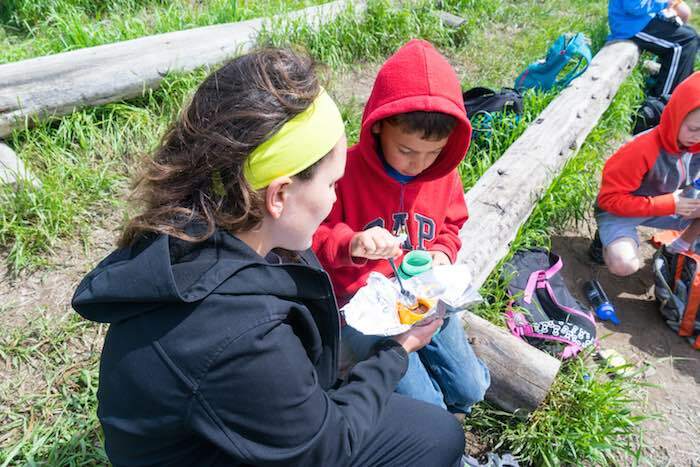 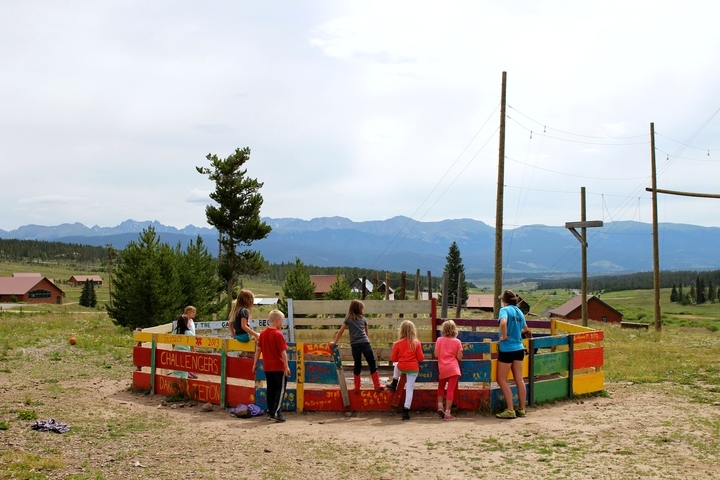 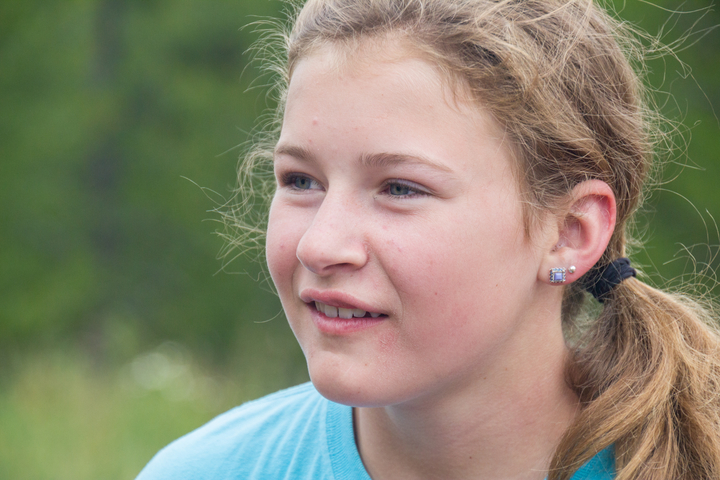 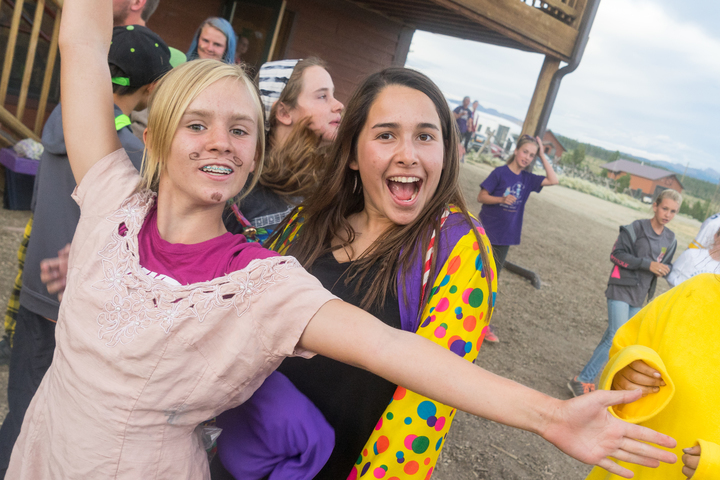 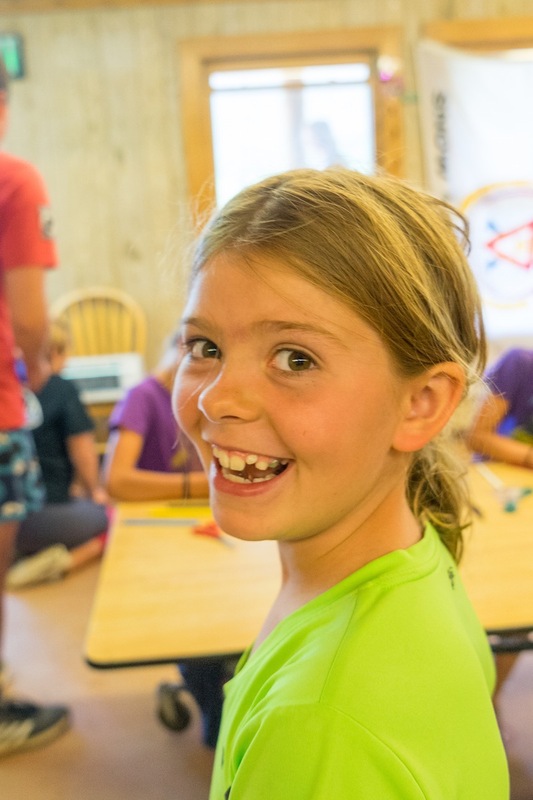 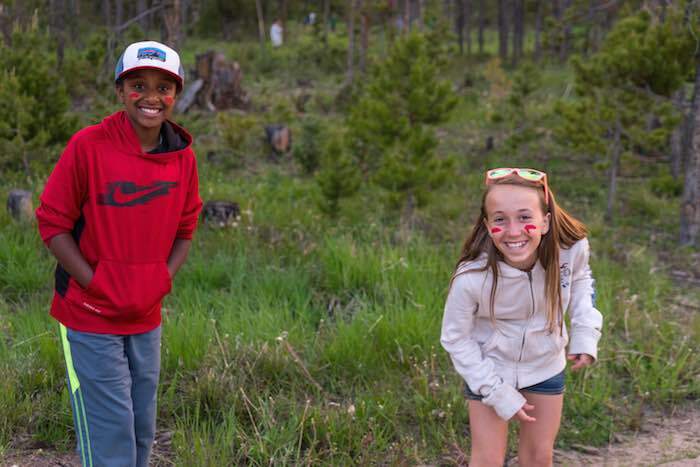 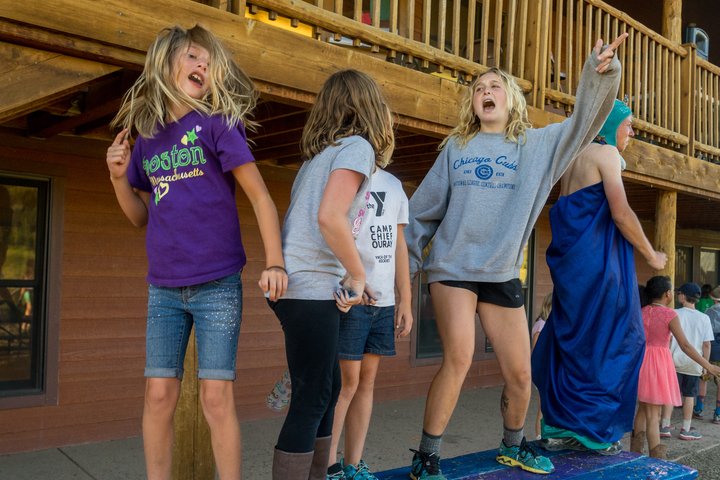 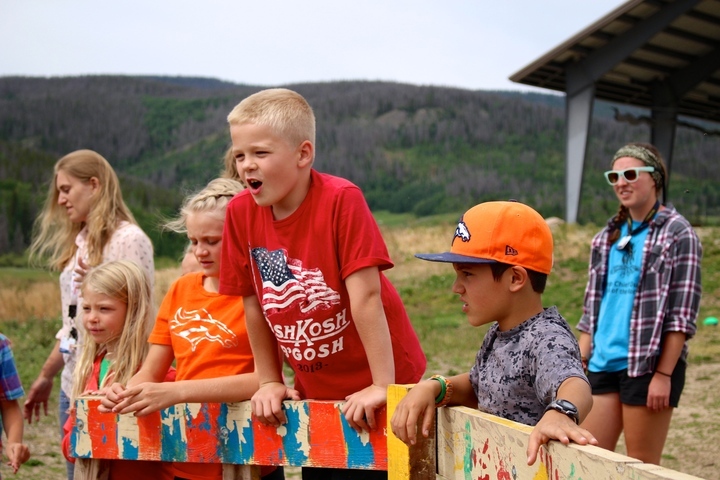 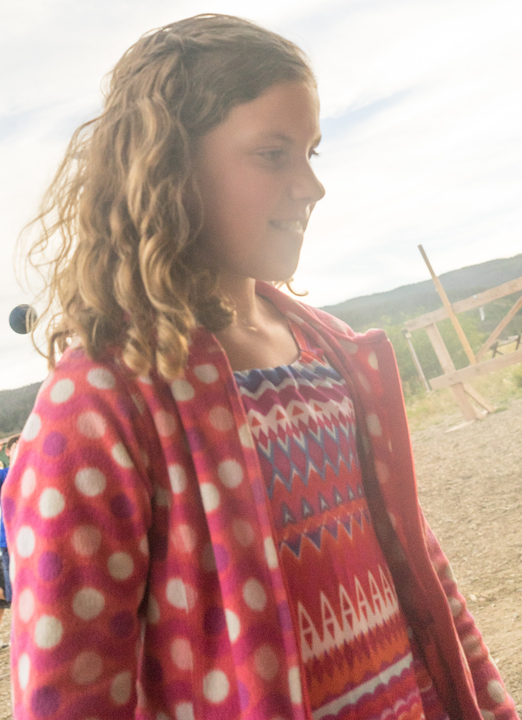 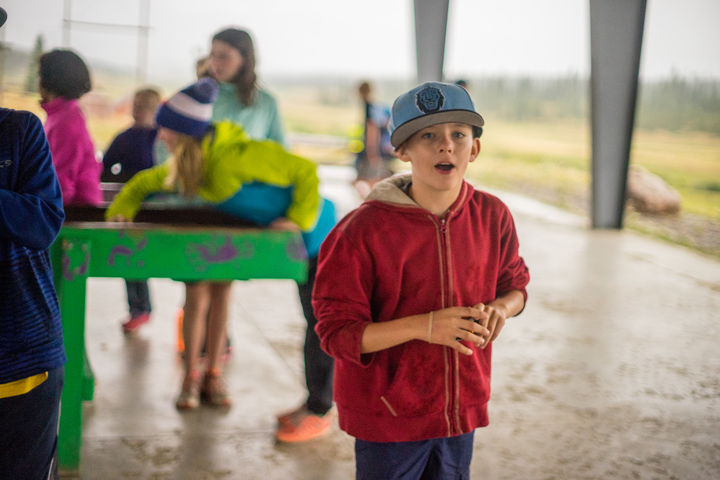 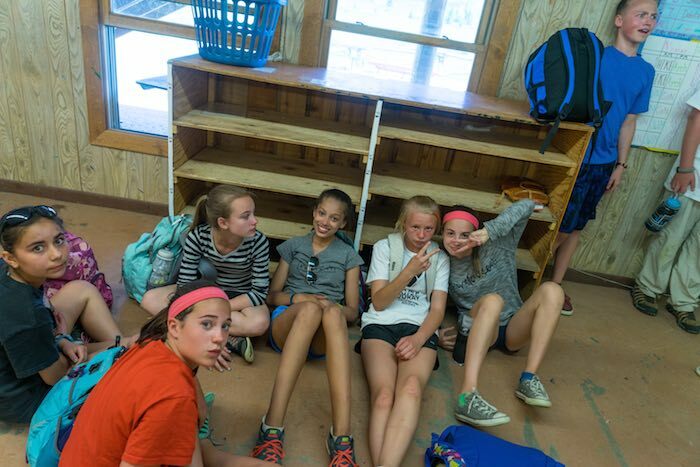 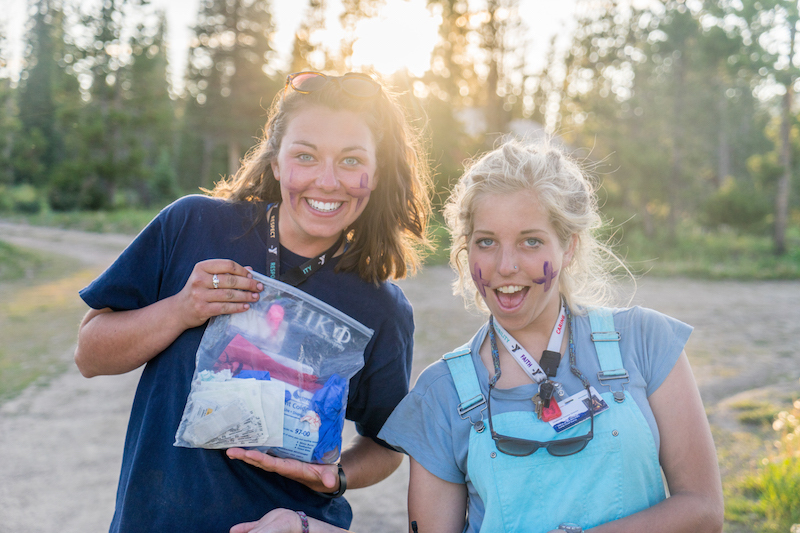 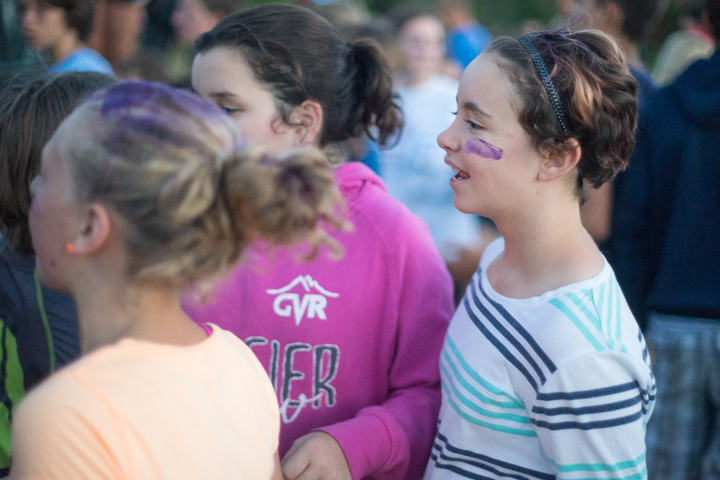 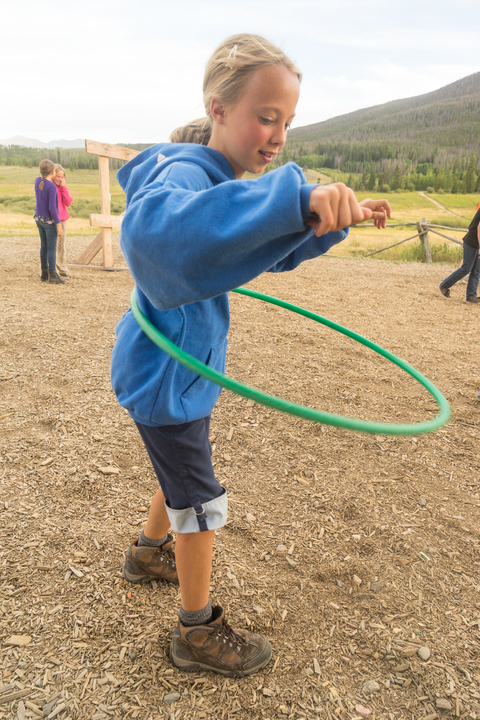 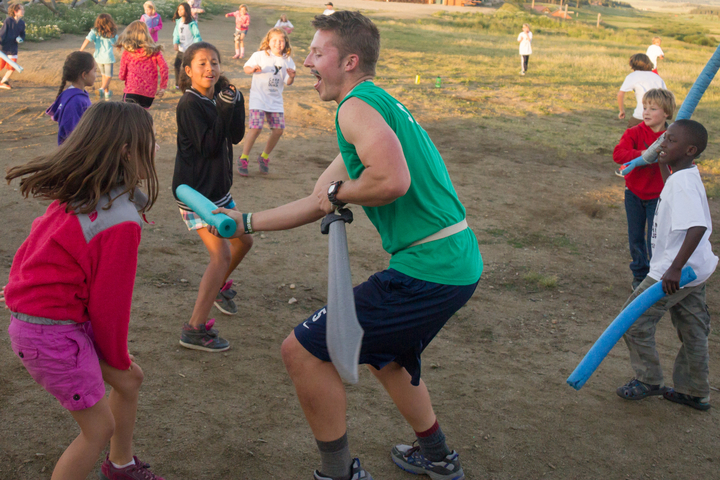 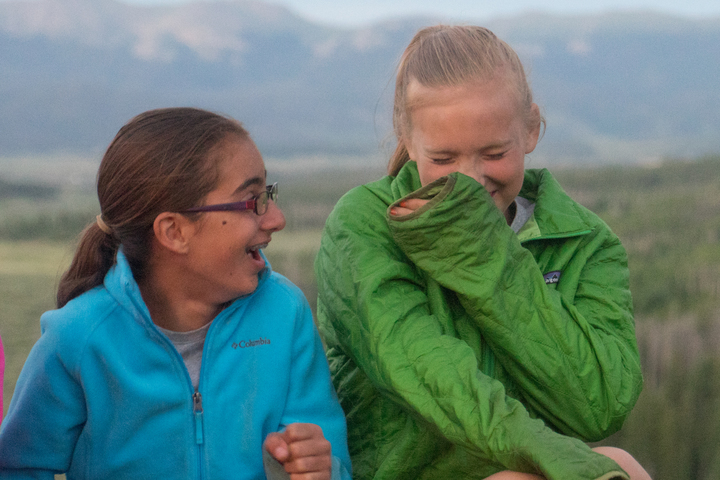 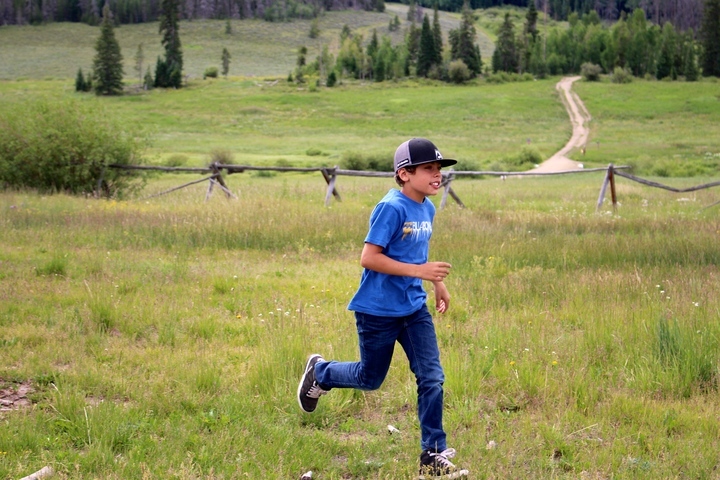 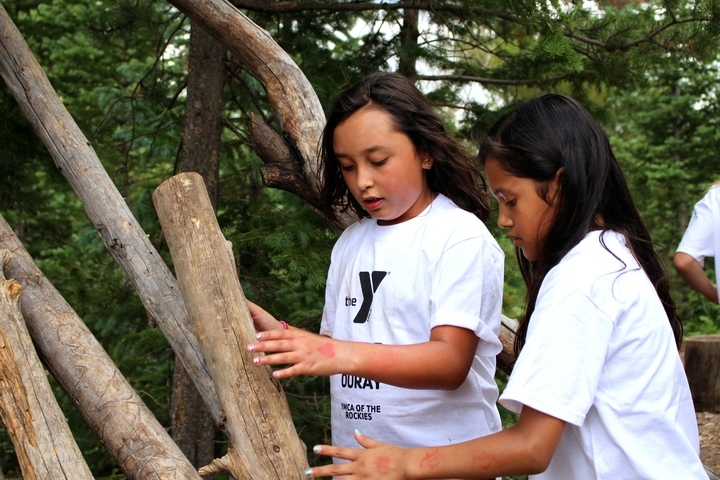 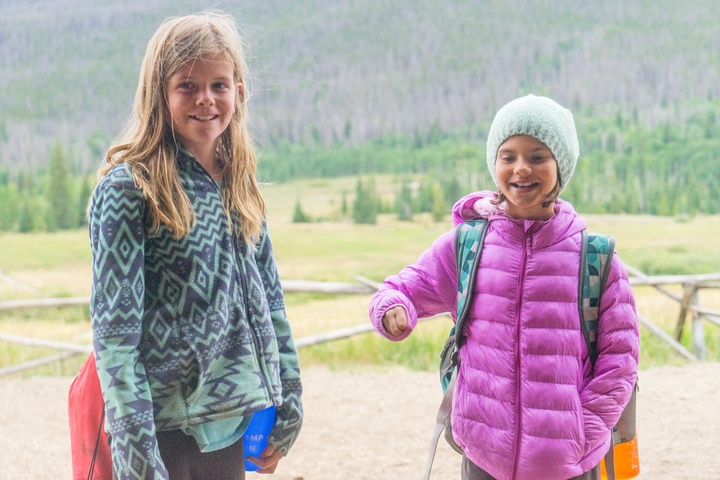 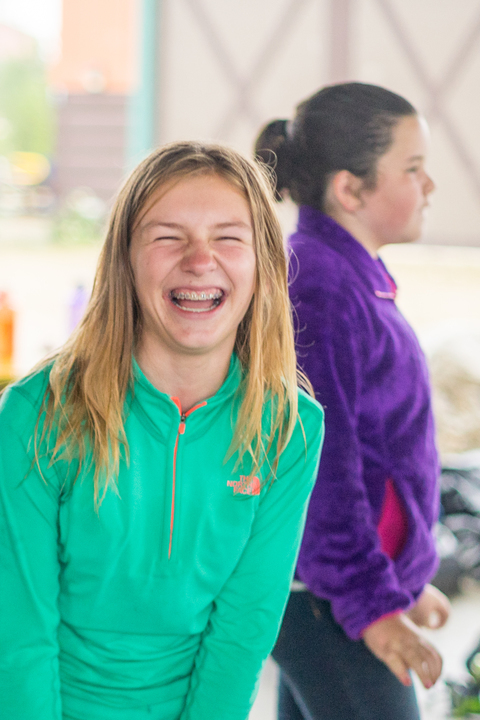 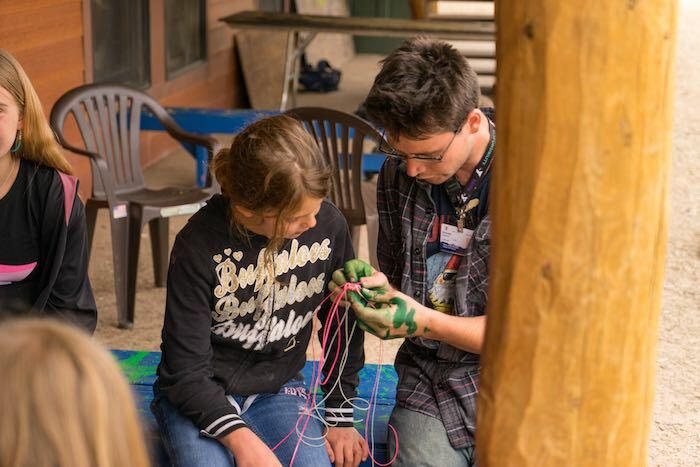 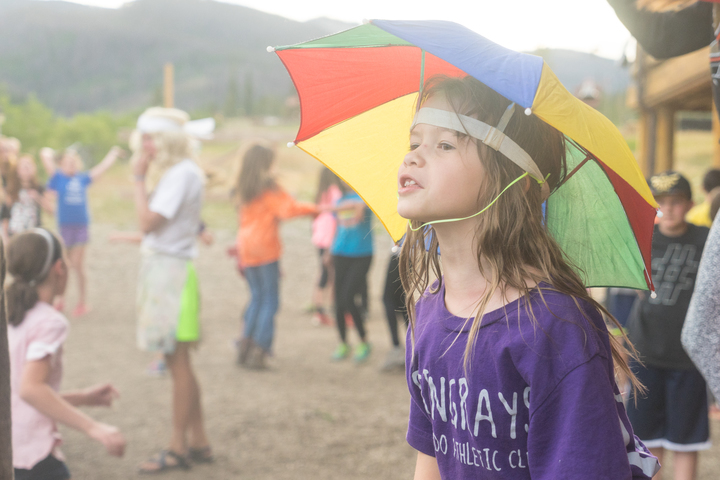 The campers start and end at CCO, but then spend the rest of the week out of camp exploring. 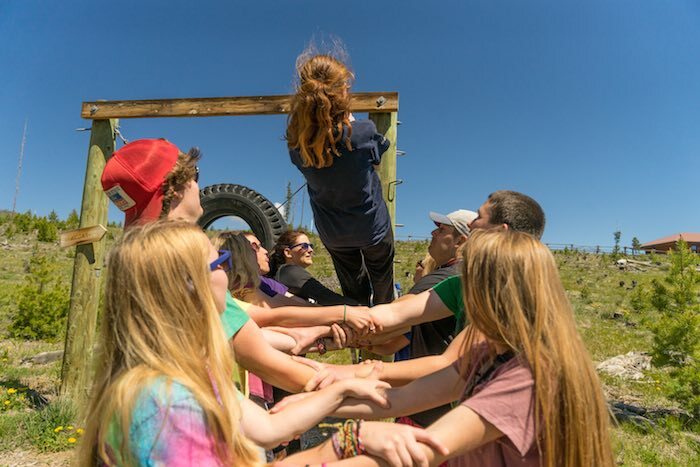 NEXT: Wrangler-In-Training, Trekker Trips, and Leaders-In-Training. 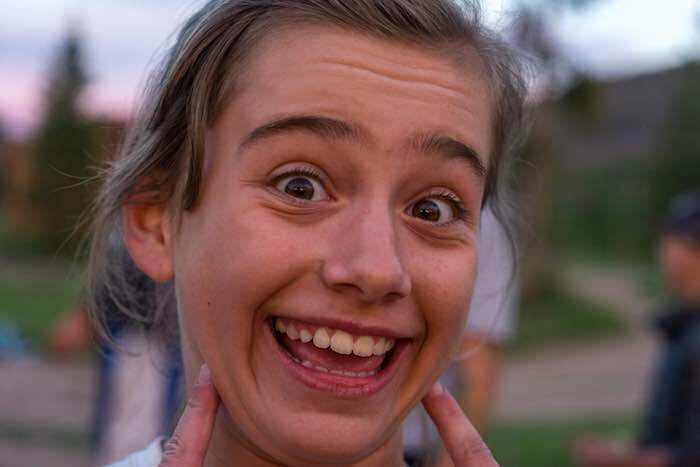 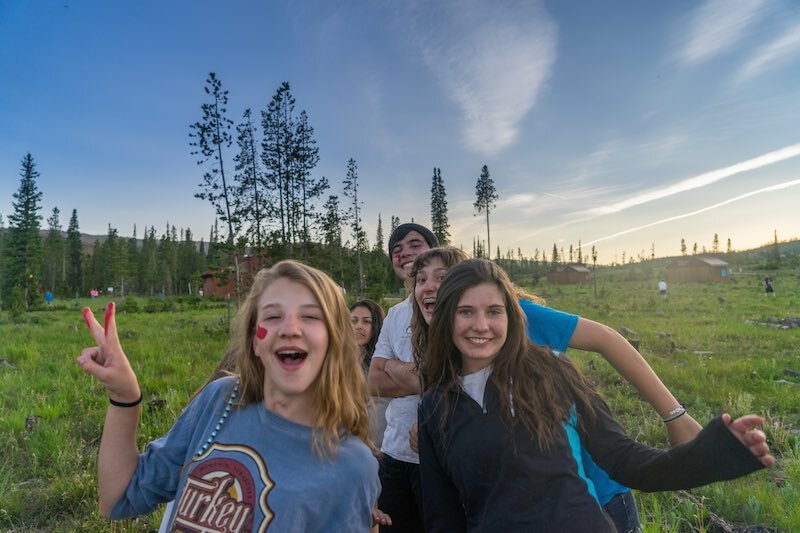 Trekker Trips (ages 14-17): These are longer trips for the adventurous camper, typically ranging between 2 and 3 weeks. 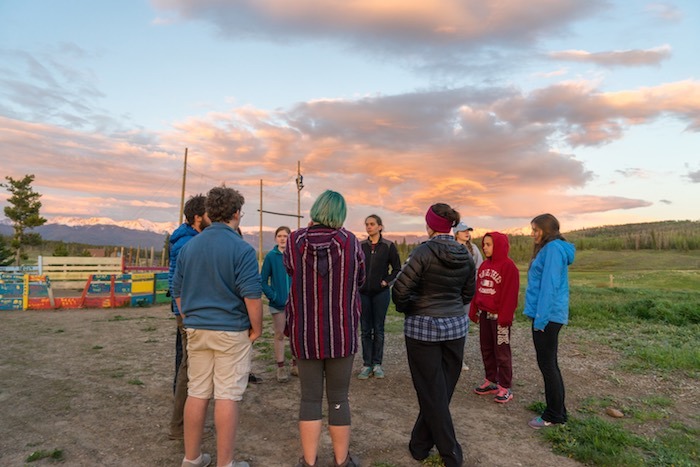 These trips will start and end at CCO, but then range from across the country (Wyoming, California, Utah, South Dakota) to International trips (Russia, Peru). 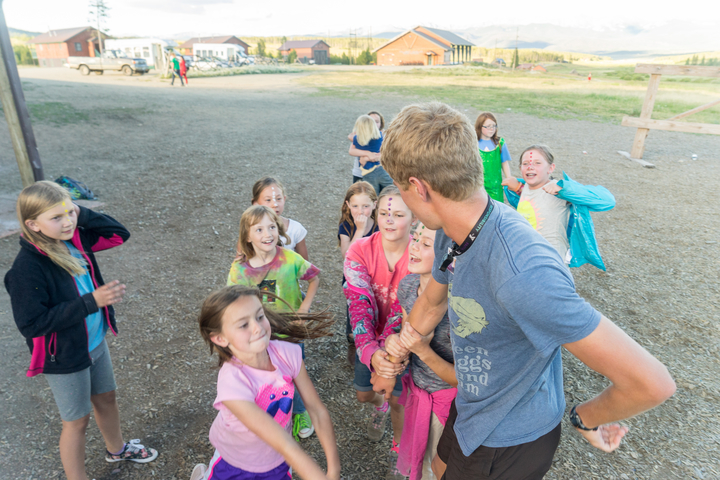 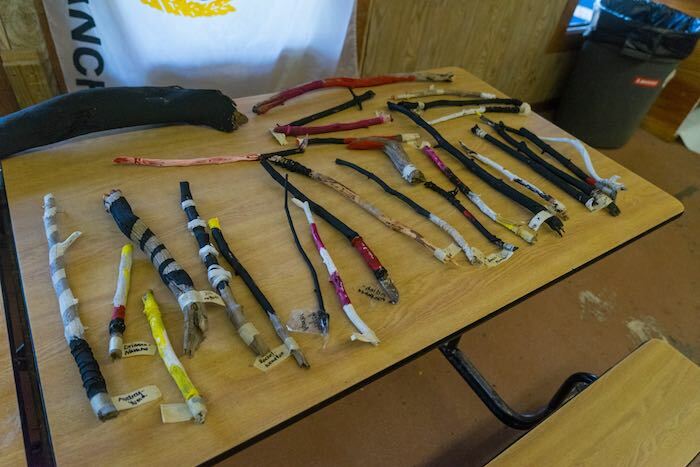 NEXT: Leaders-In-Training, Wrangler-In-Training, Specialist-In-Training, Wilderness Leadership, and Counselor-In-Training. 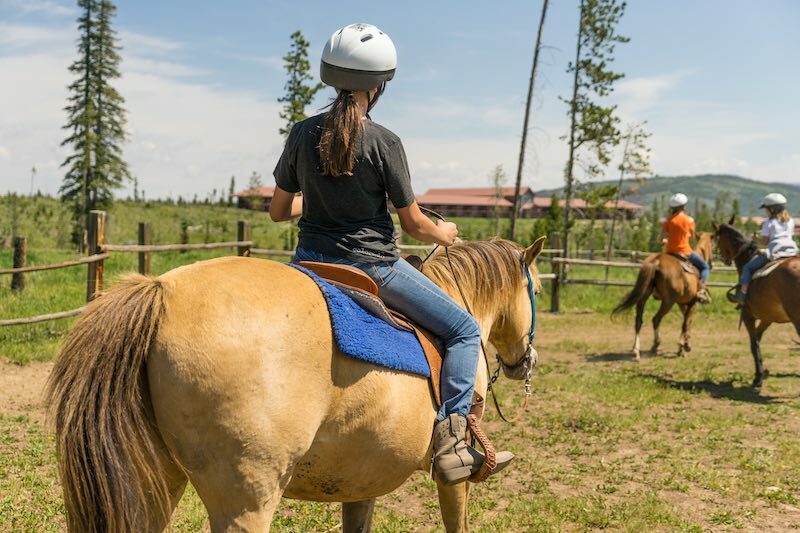 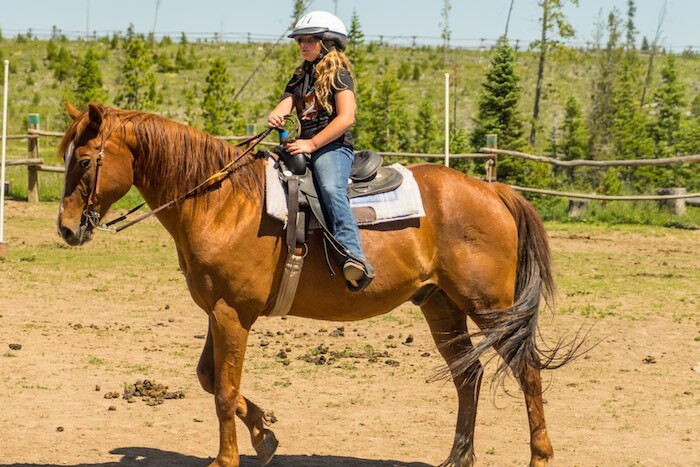 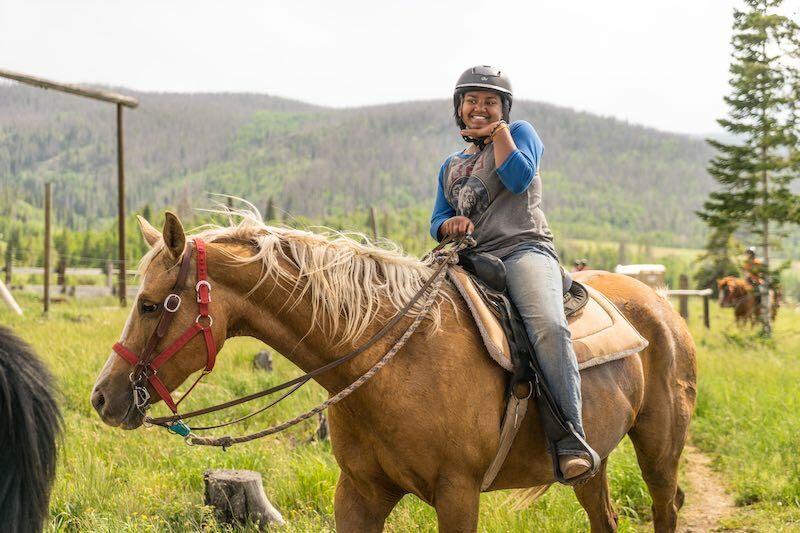 Wrangler-In-Training (ages 15-16): Those interested in living a horse life will enjoy this program. 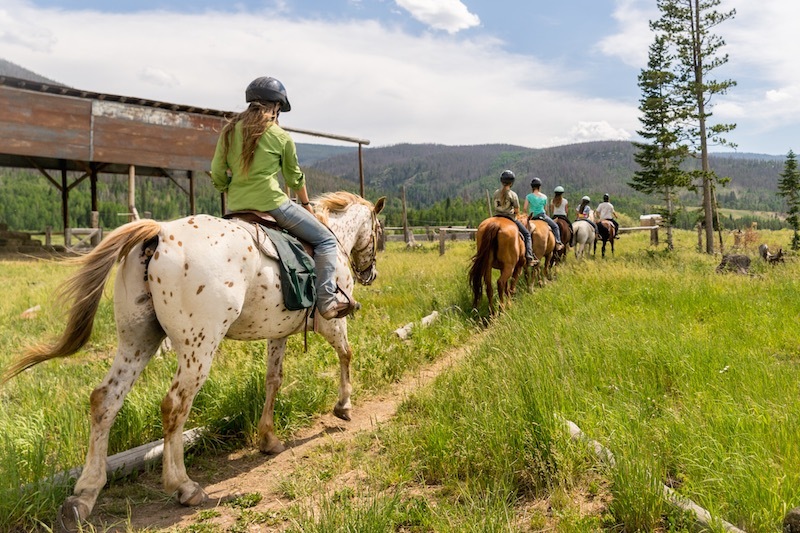 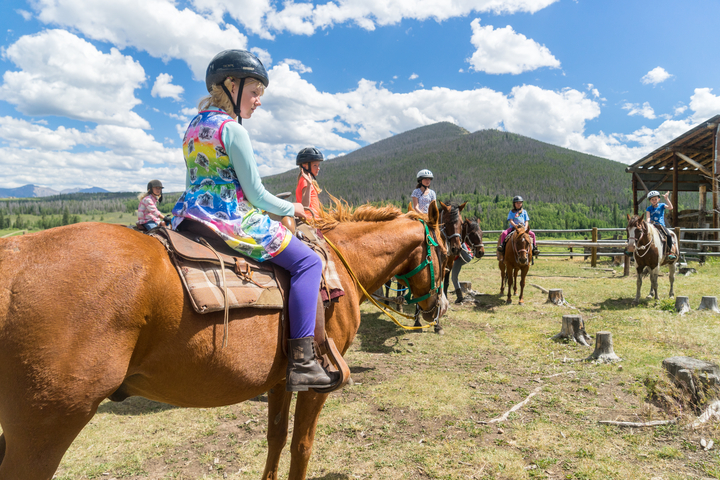 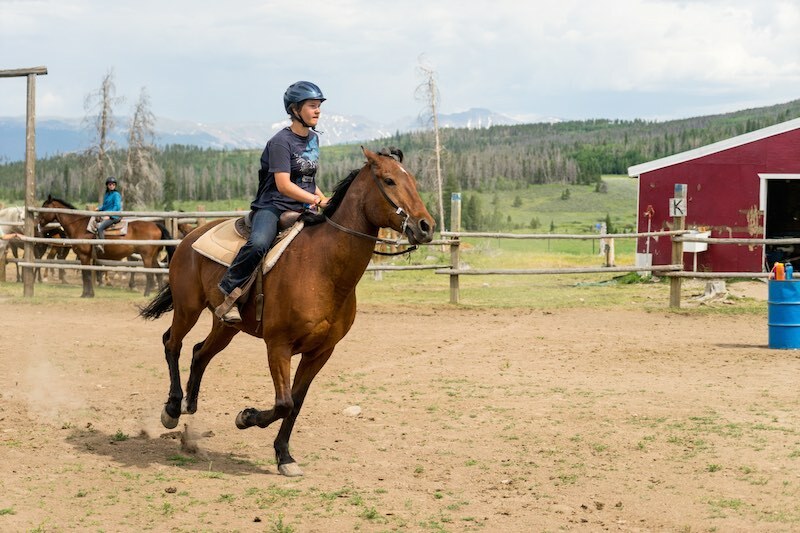 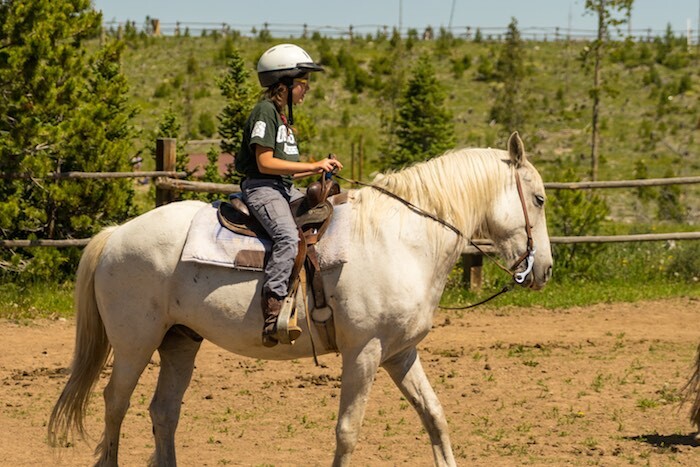 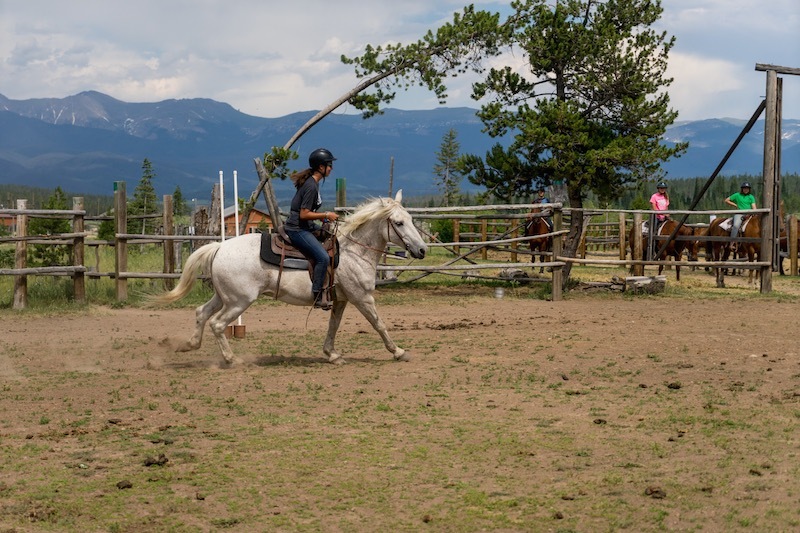 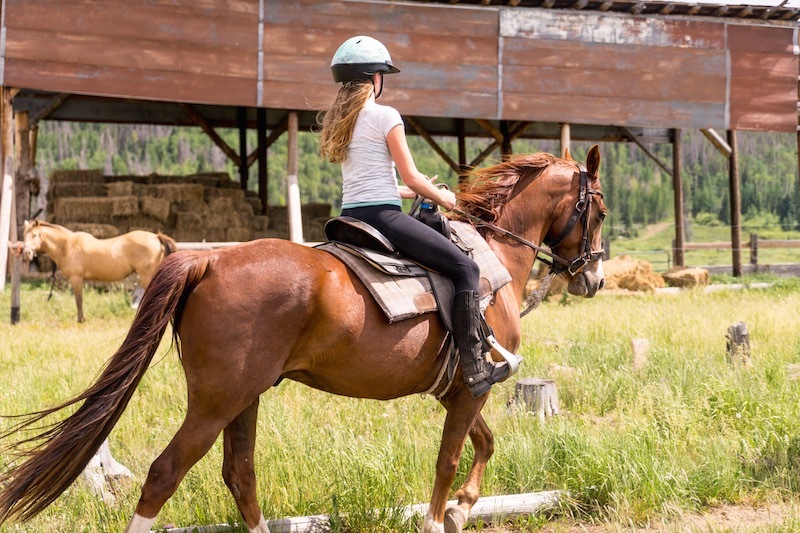 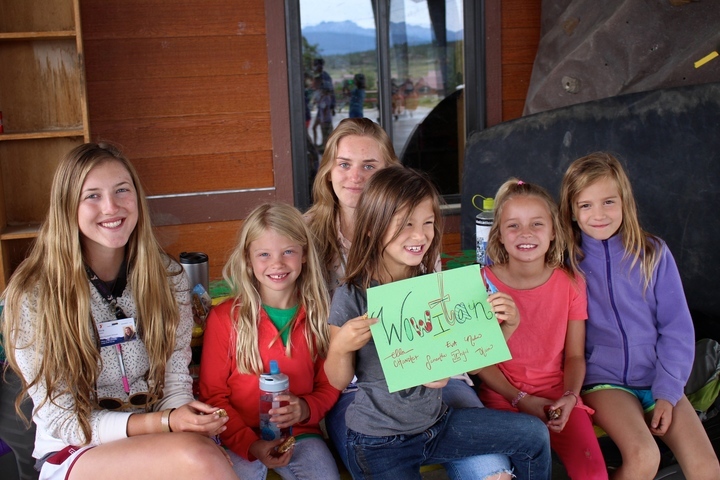 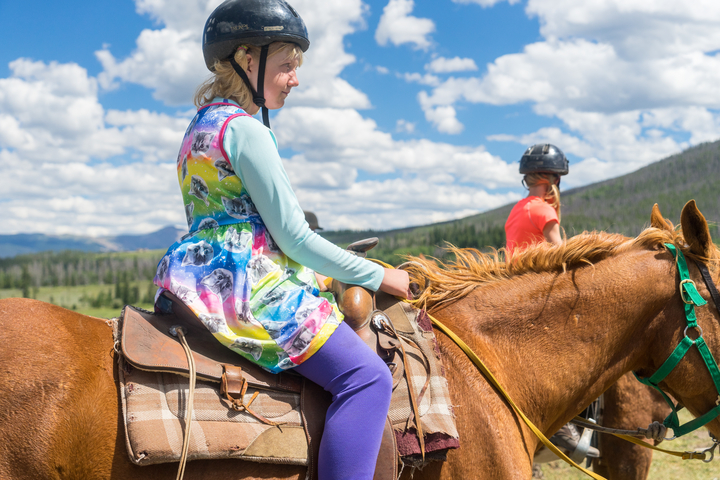 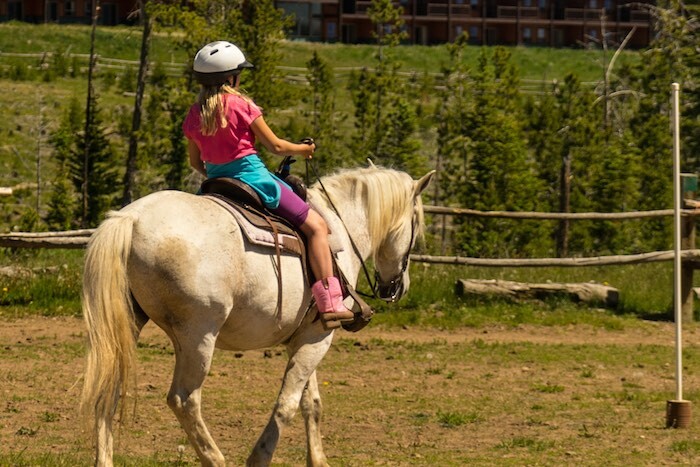 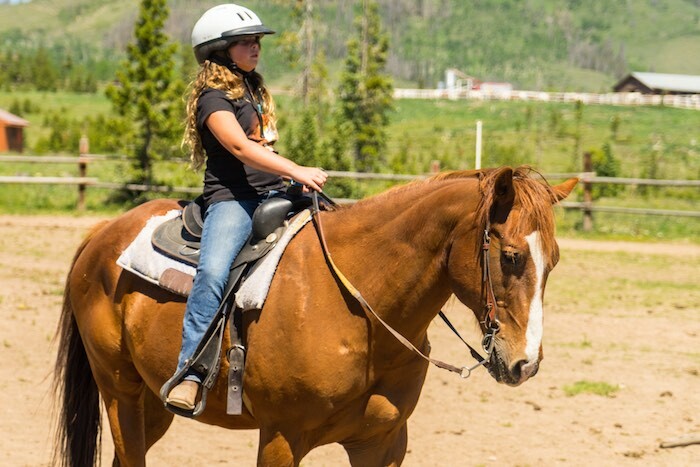 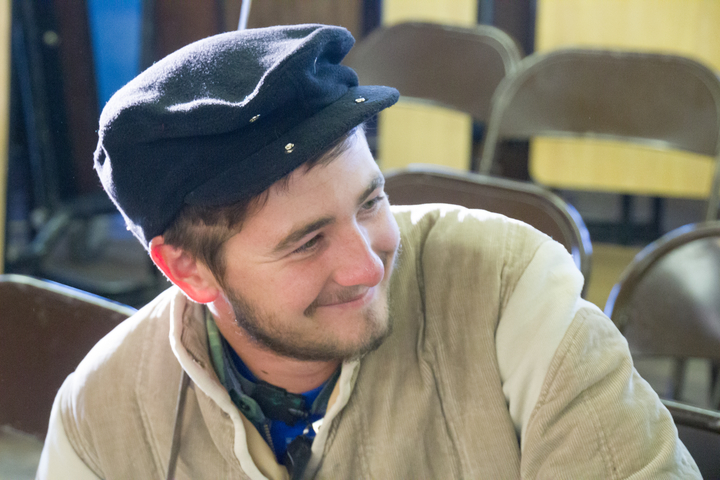 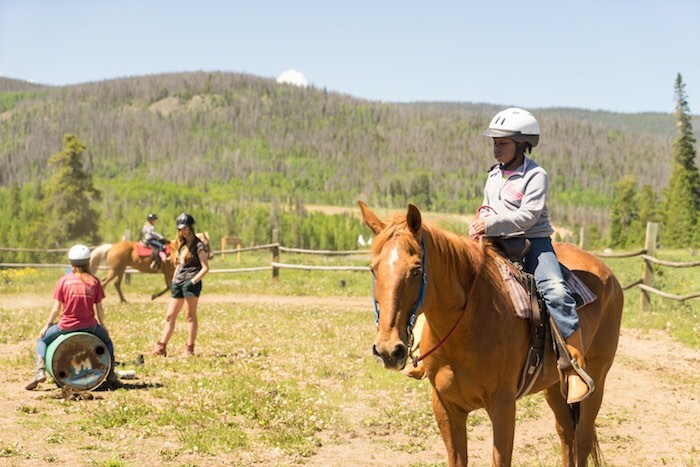 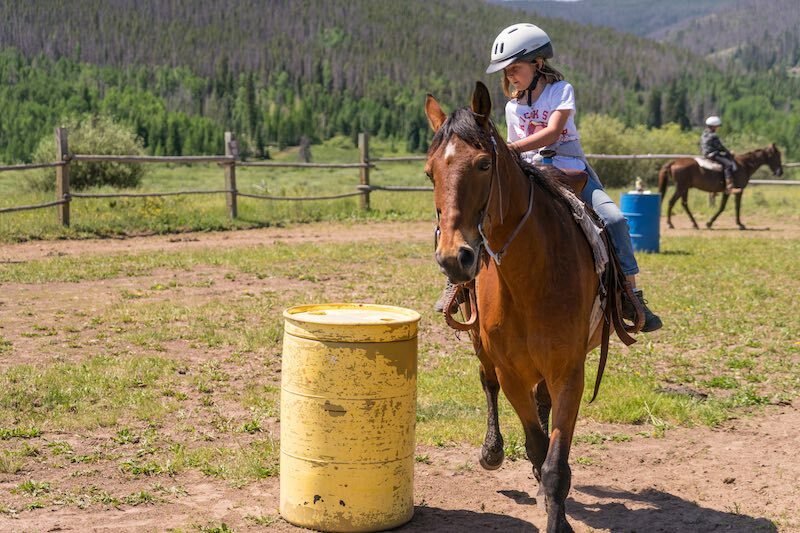 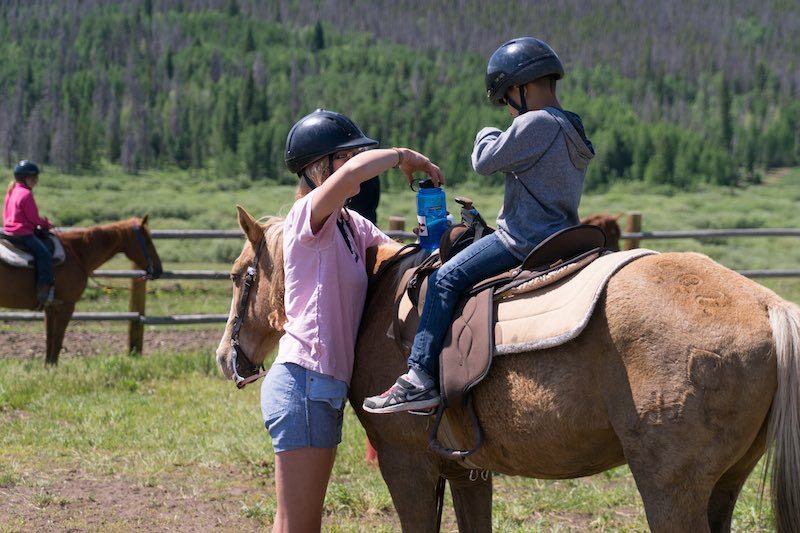 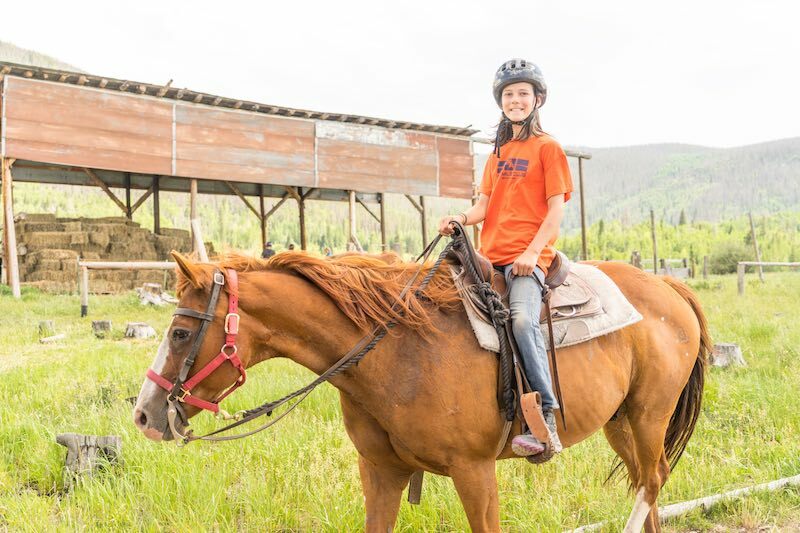 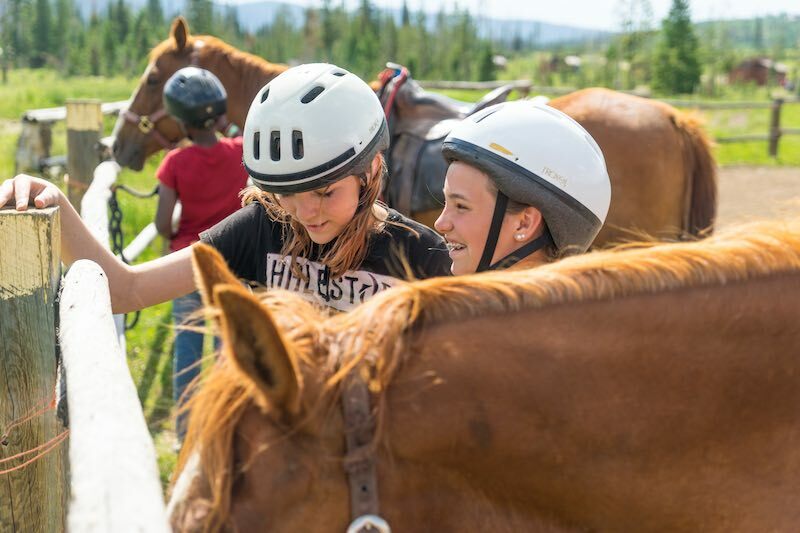 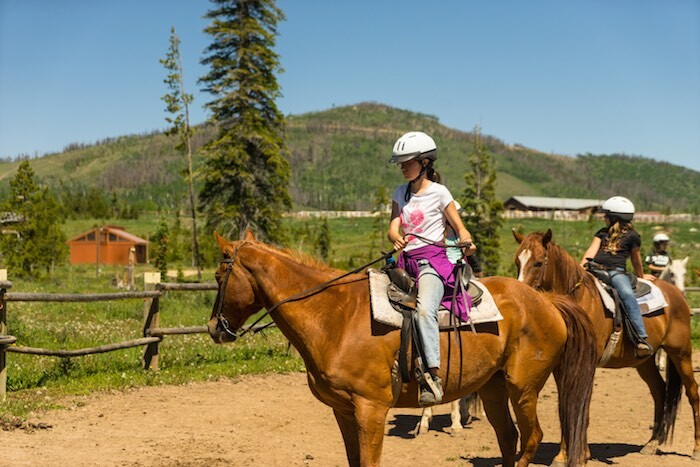 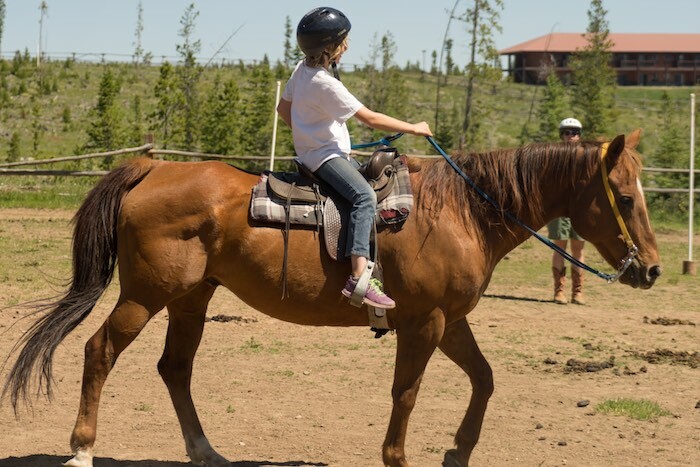 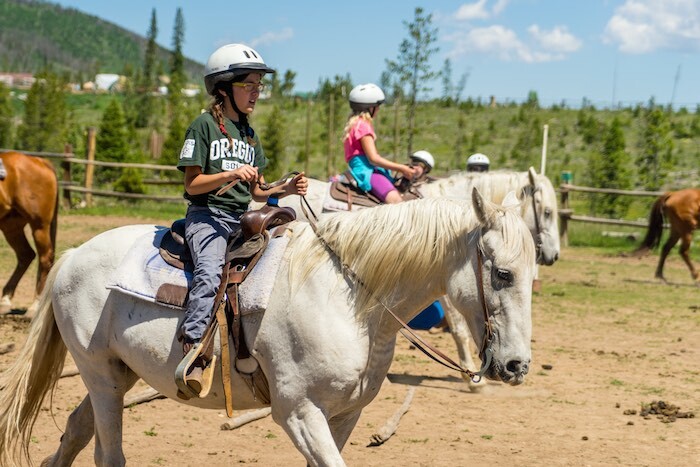 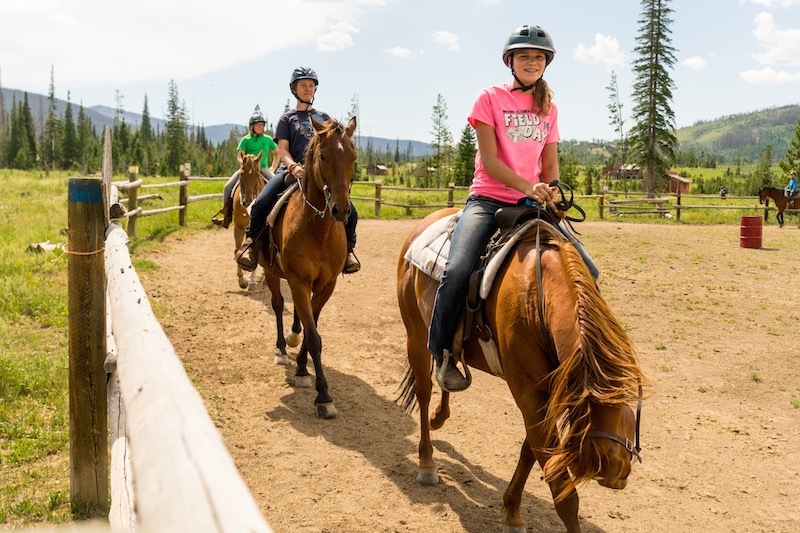 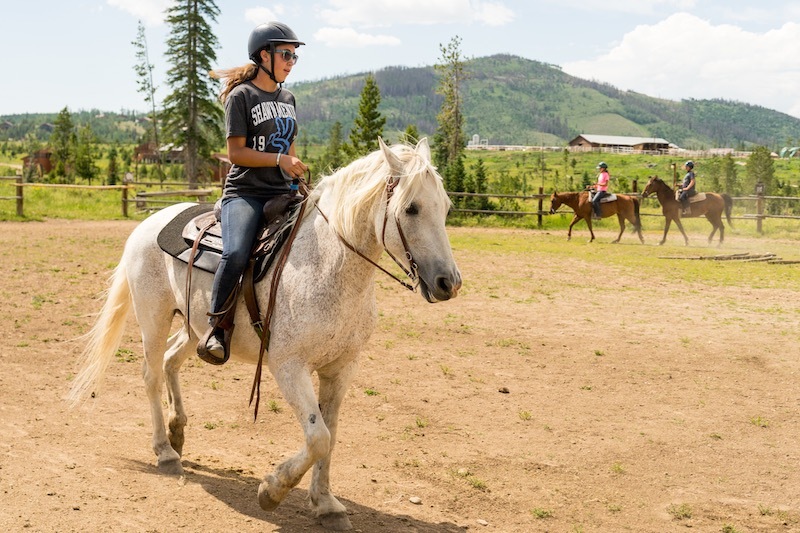 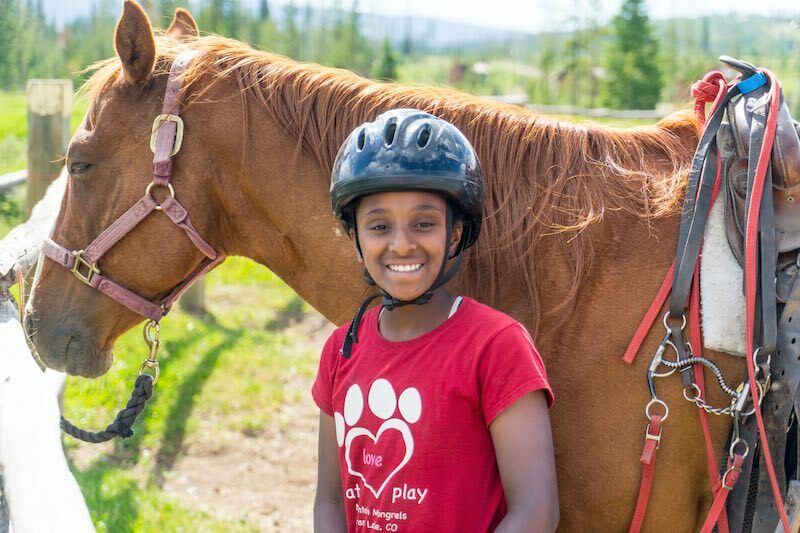 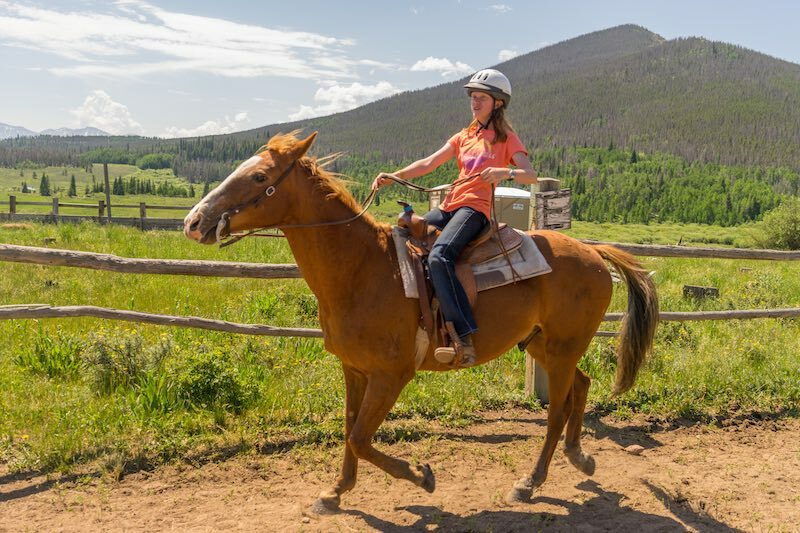 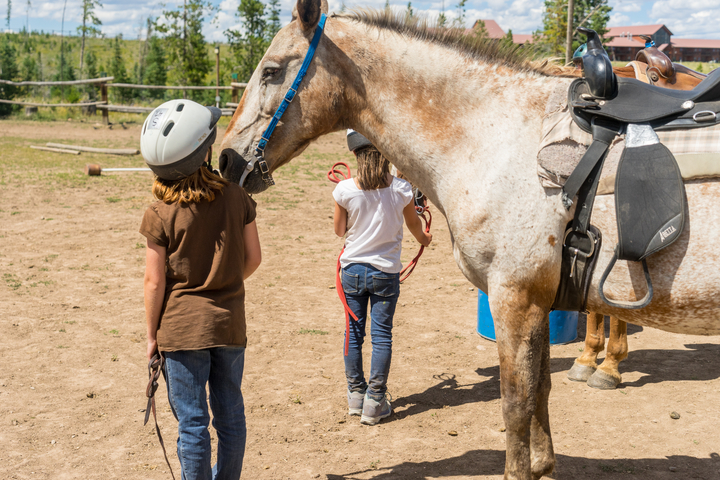 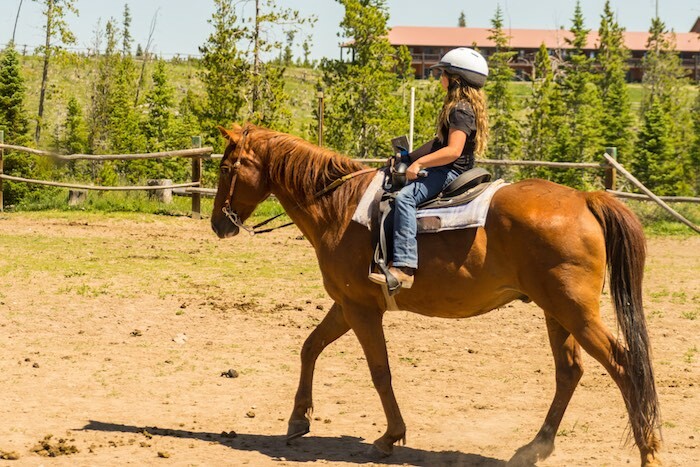 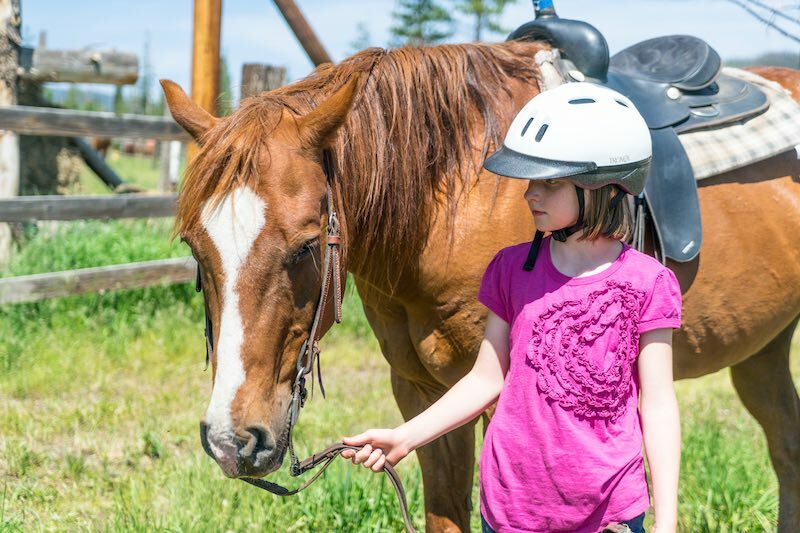 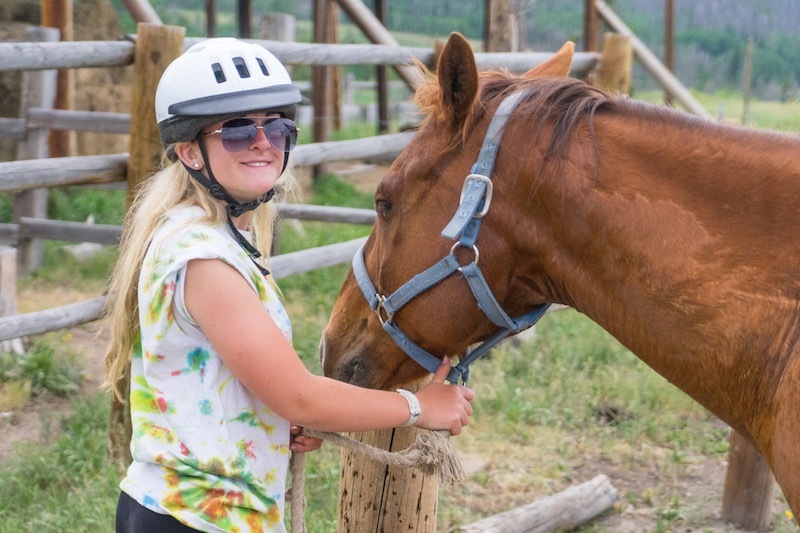 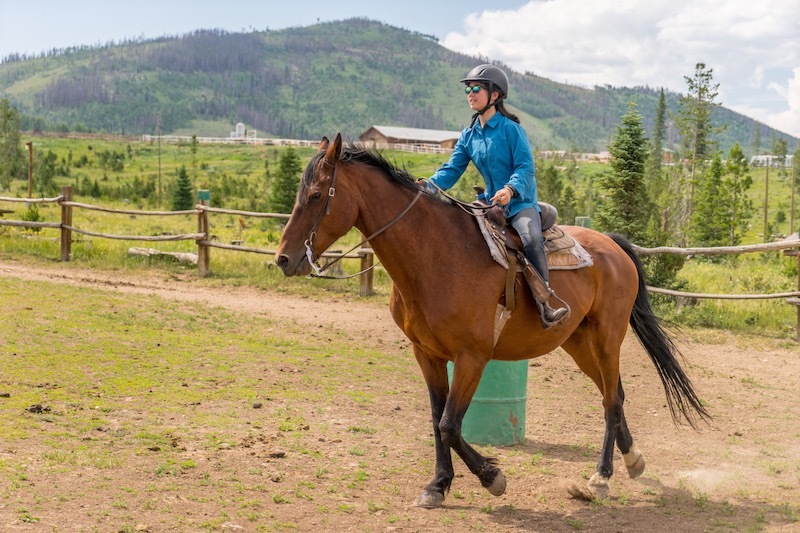 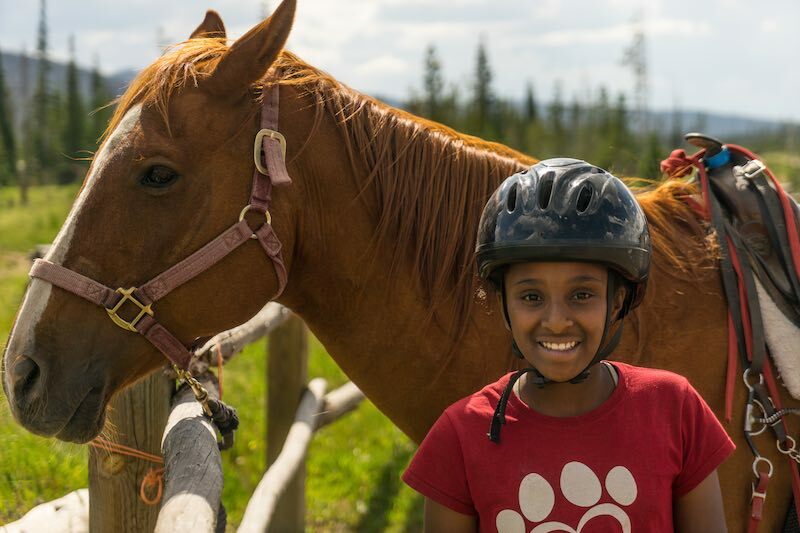 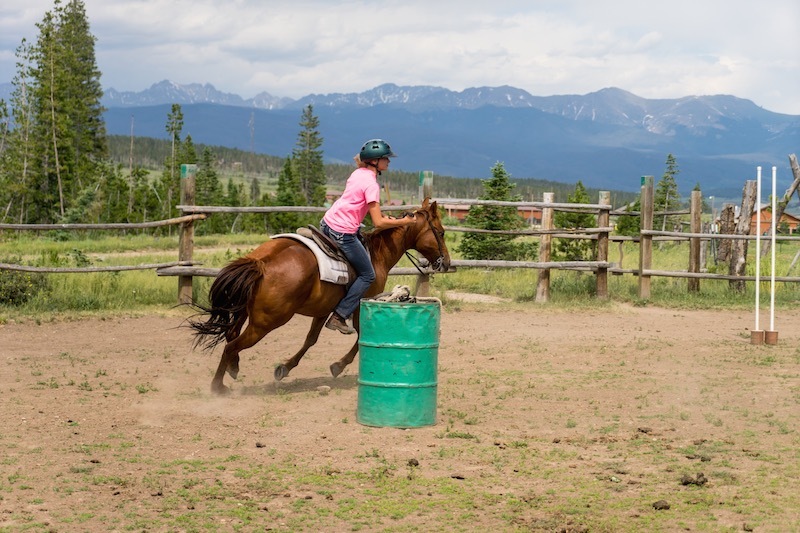 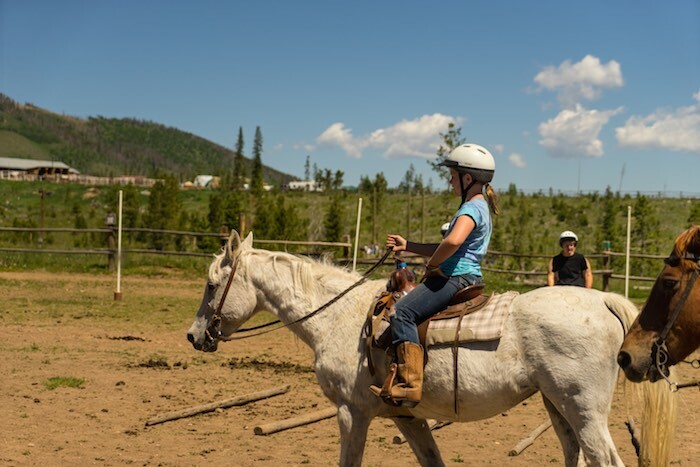 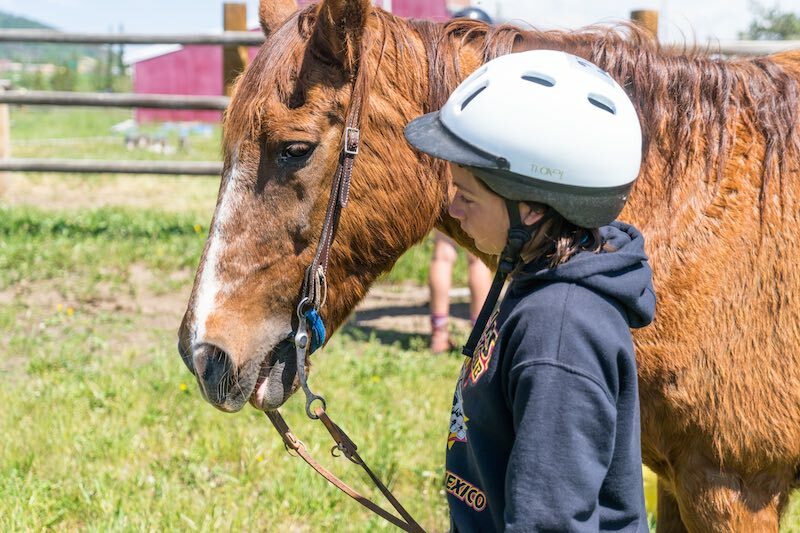 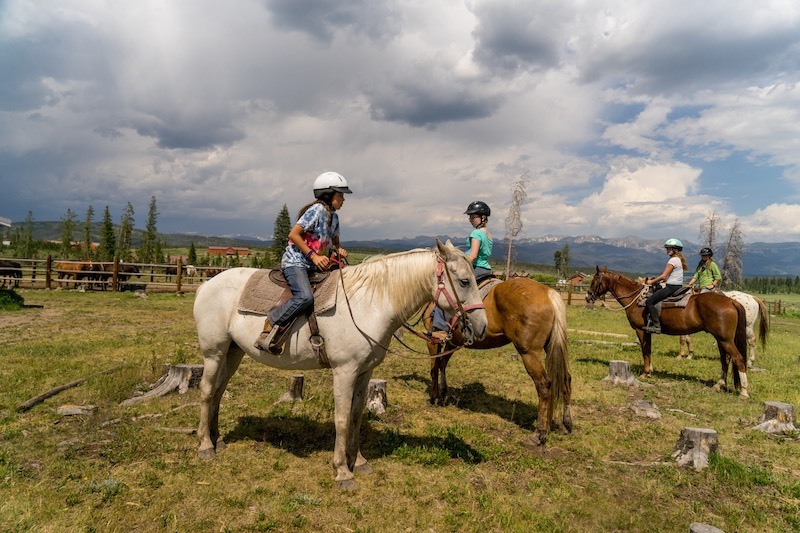 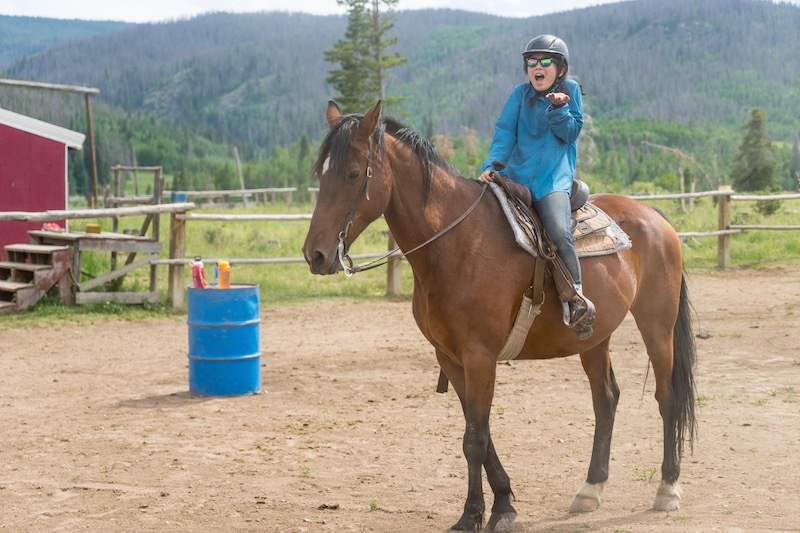 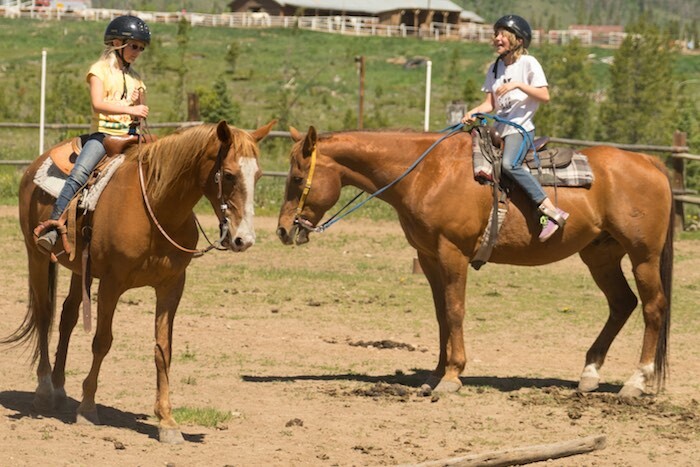 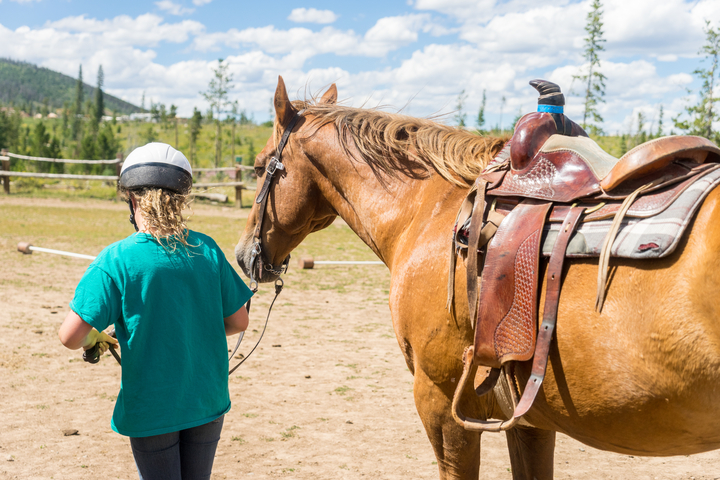 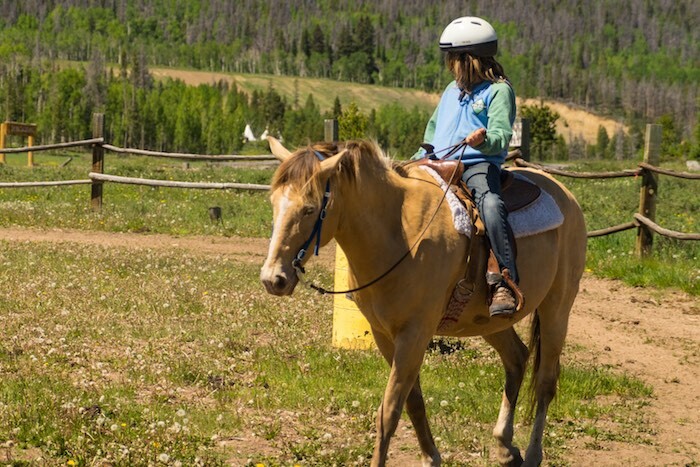 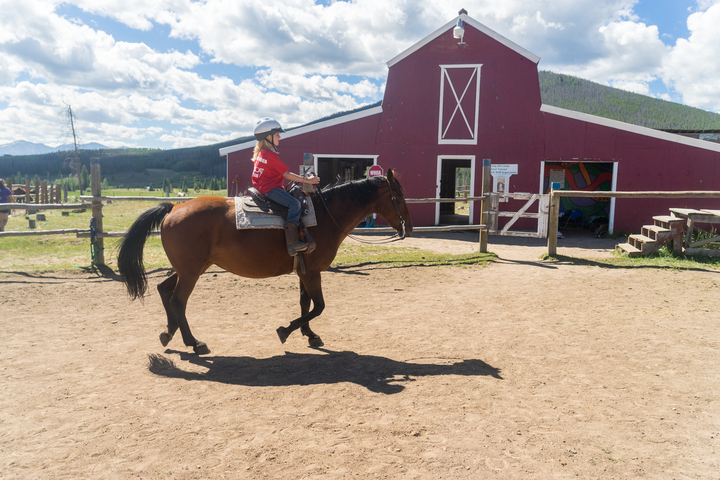 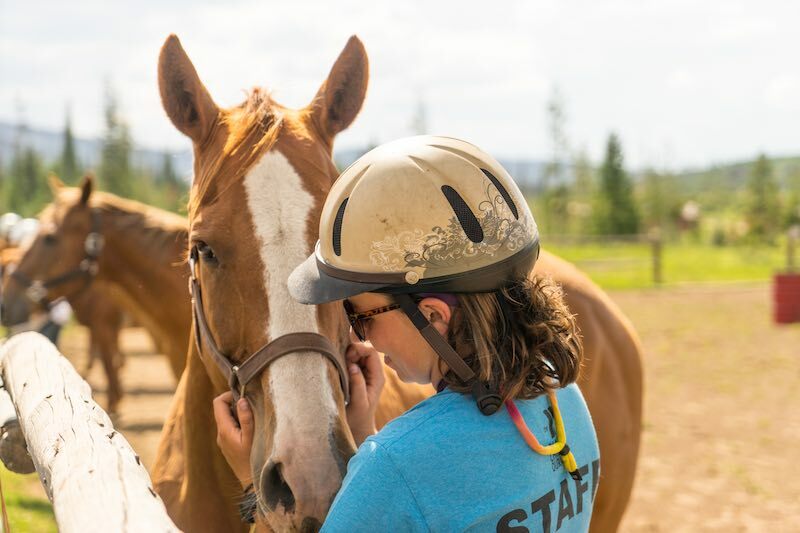 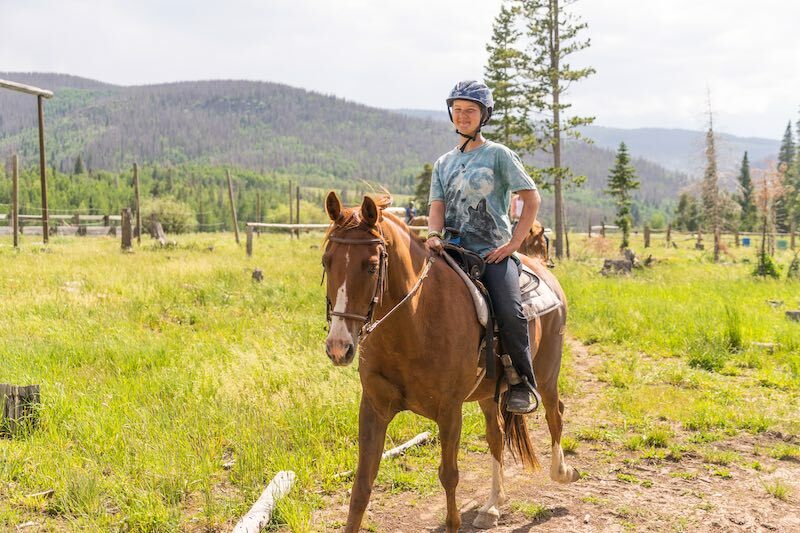 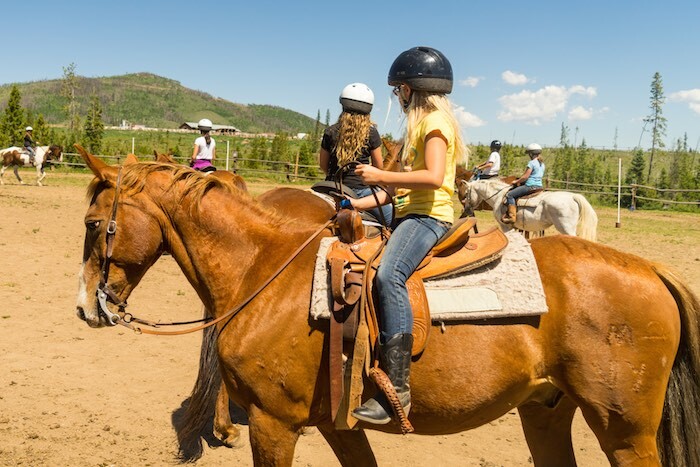 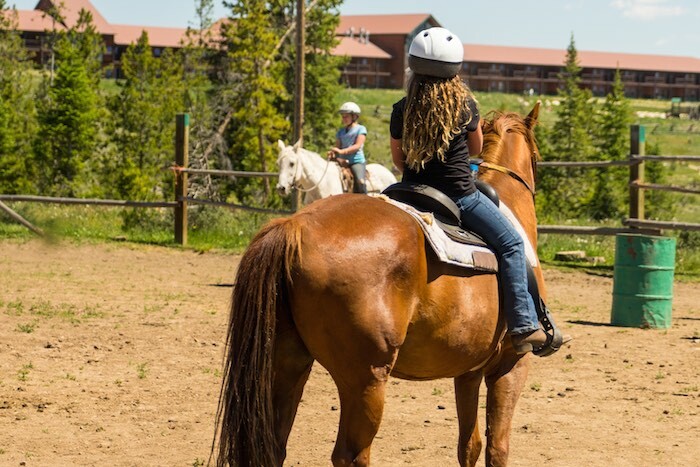 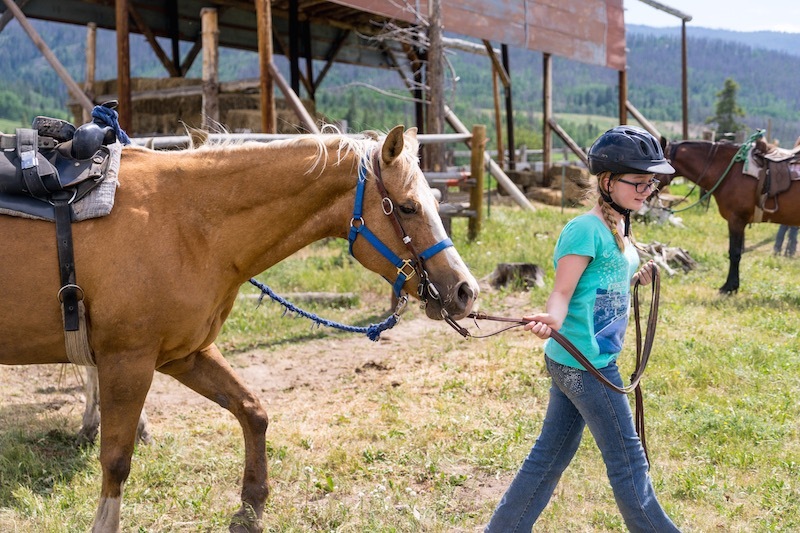 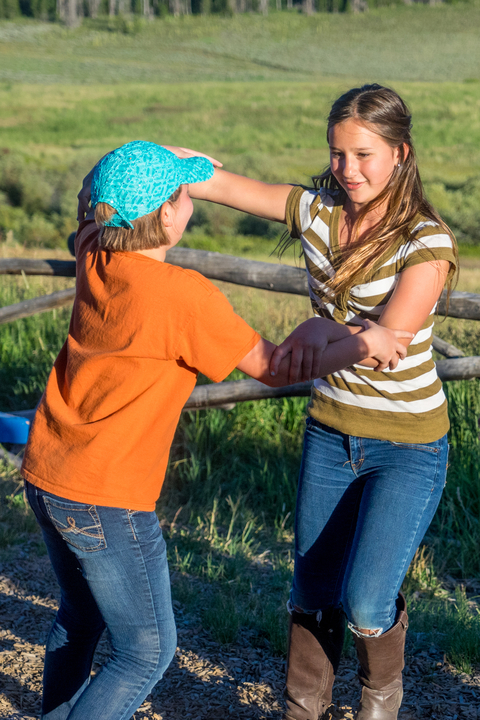 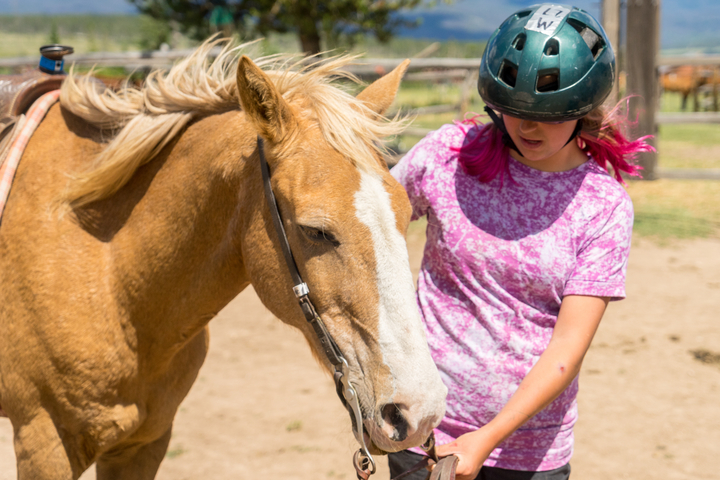 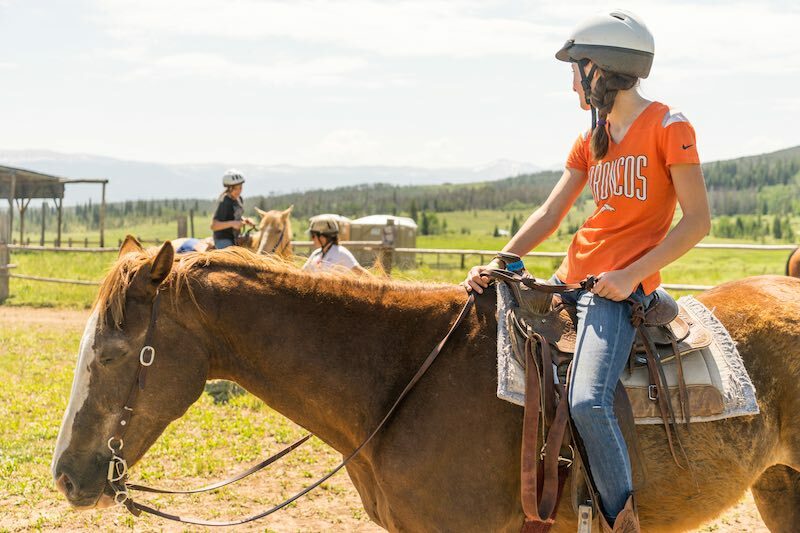 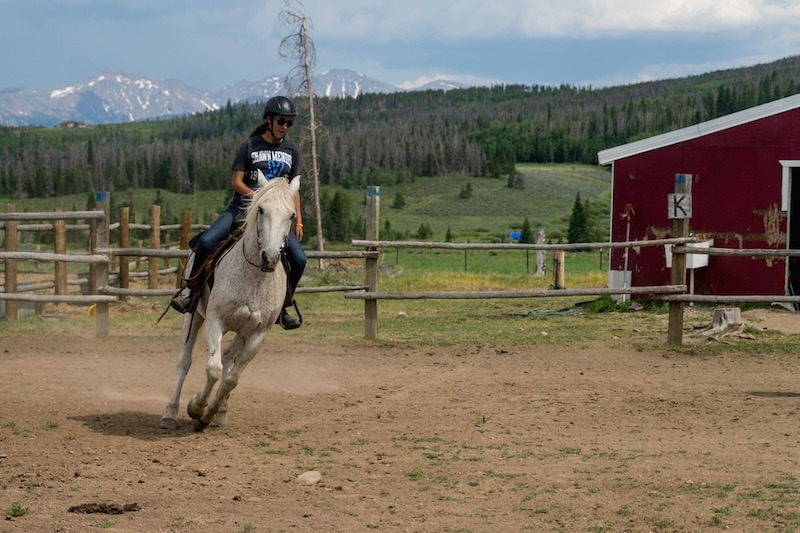 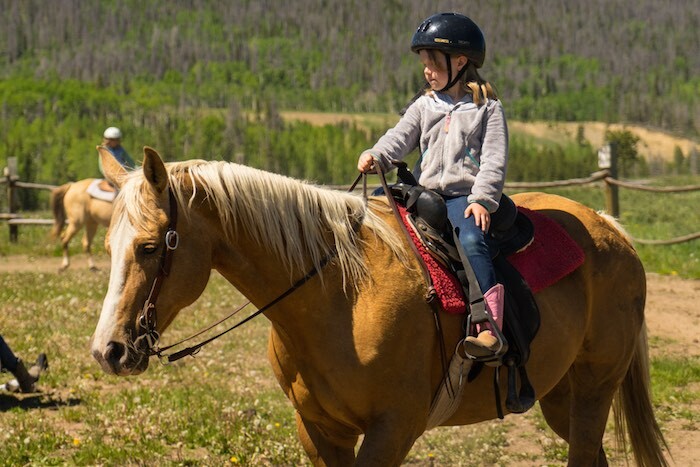 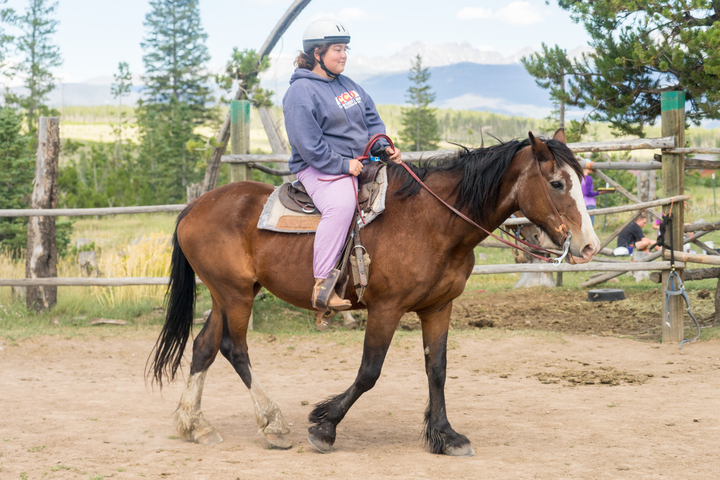 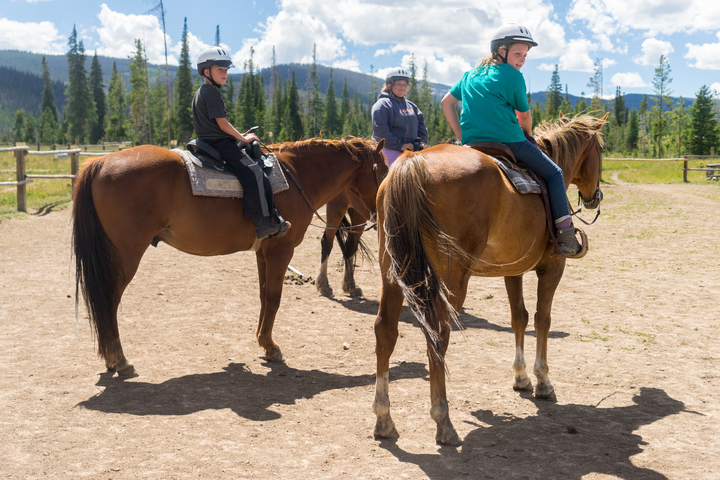 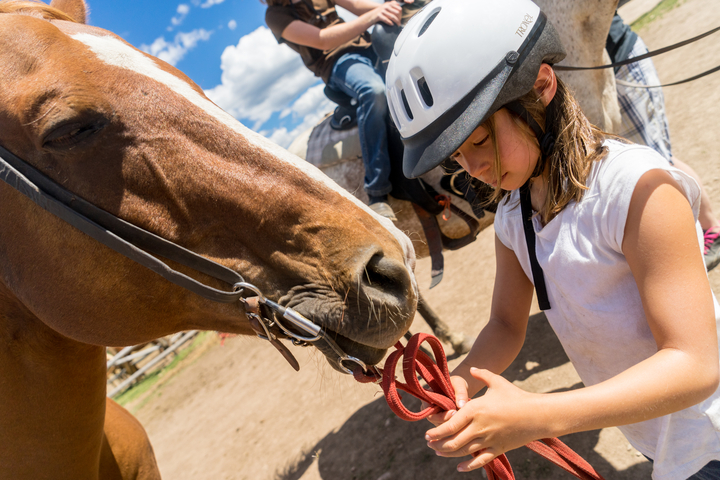 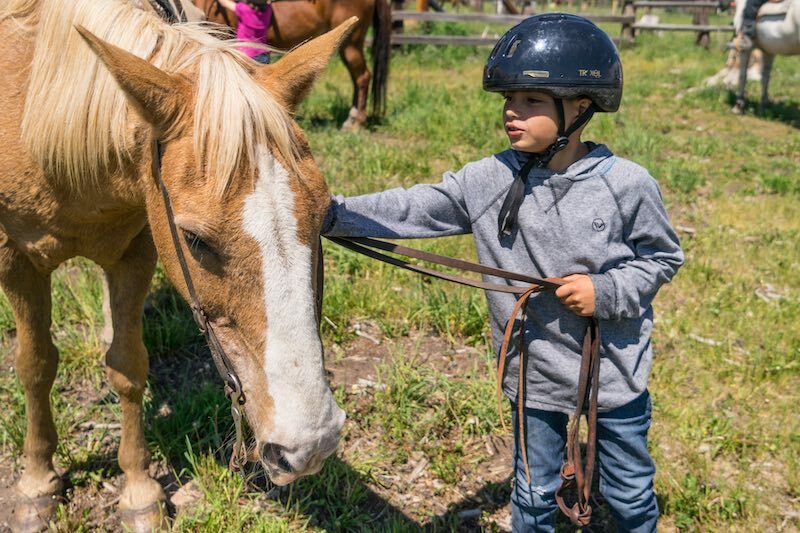 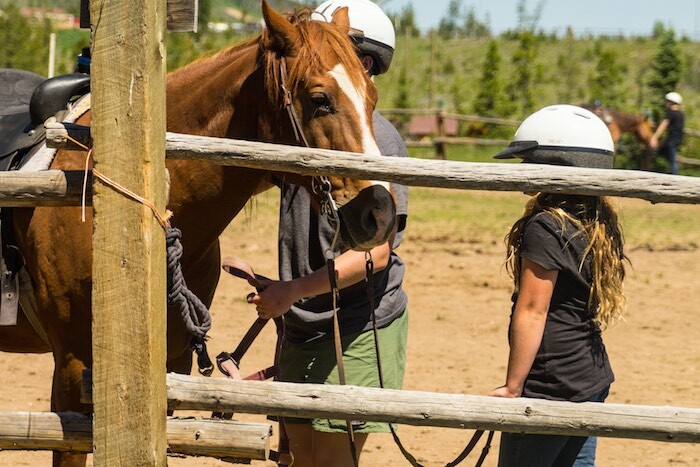 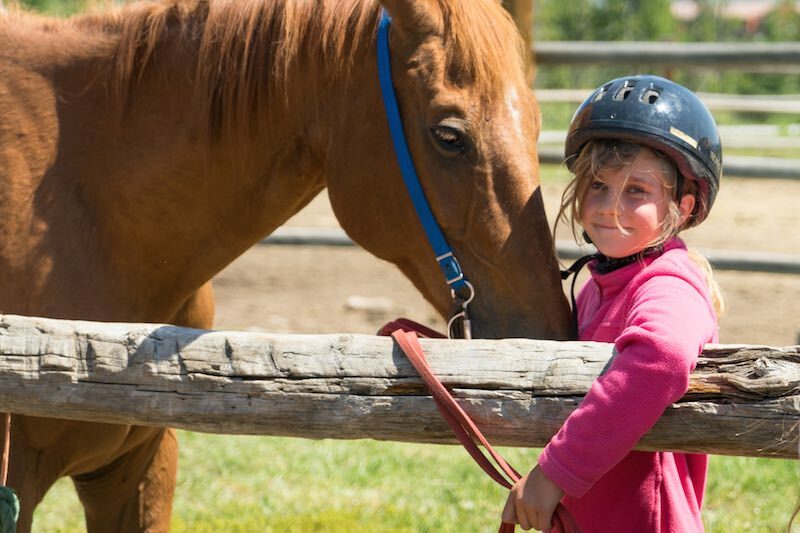 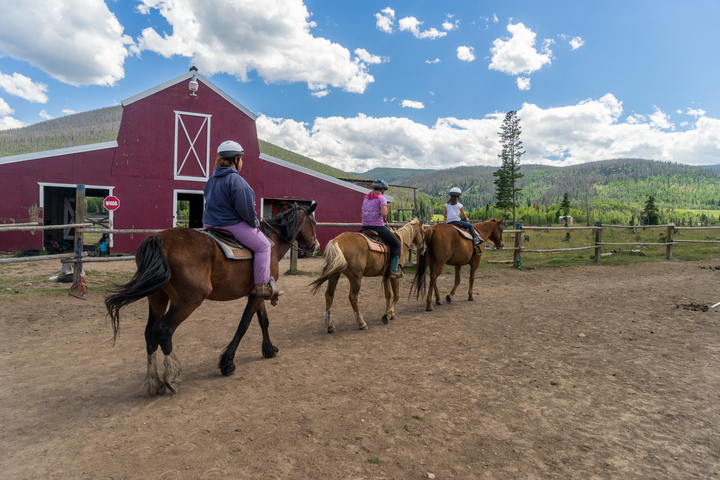 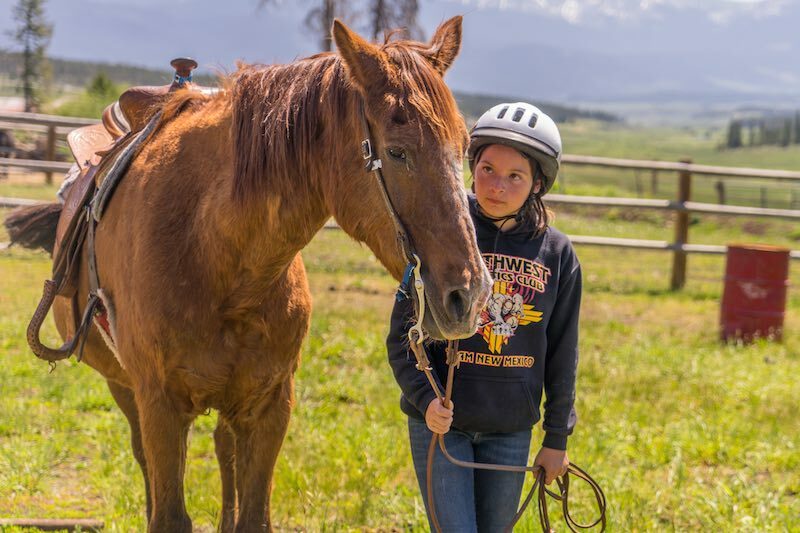 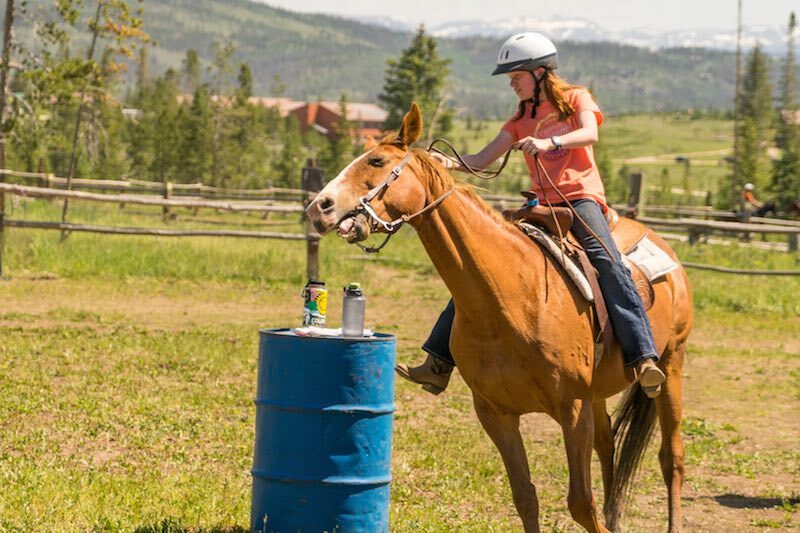 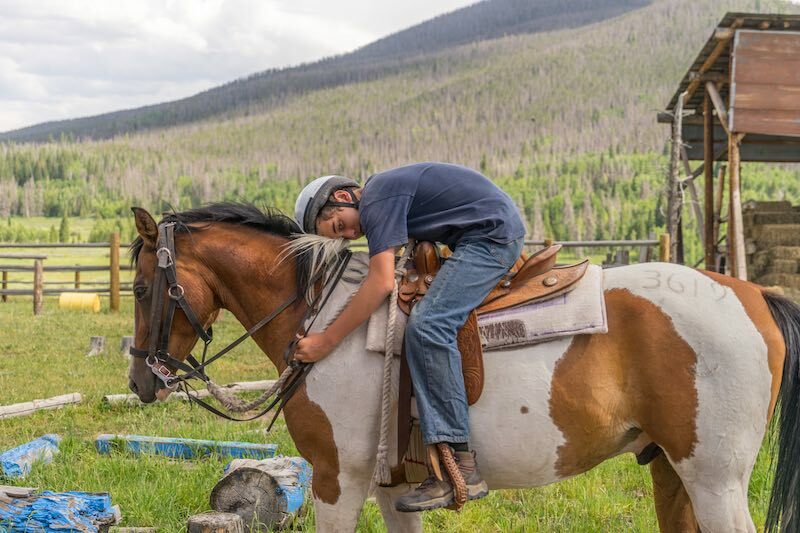 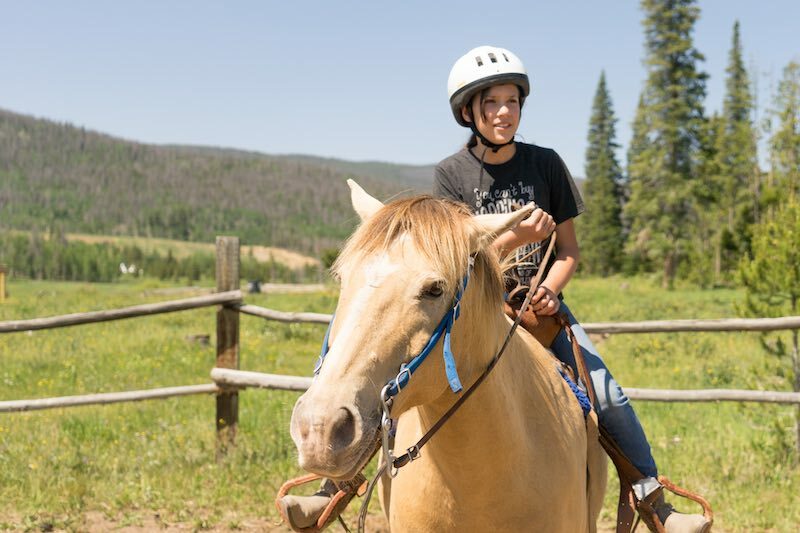 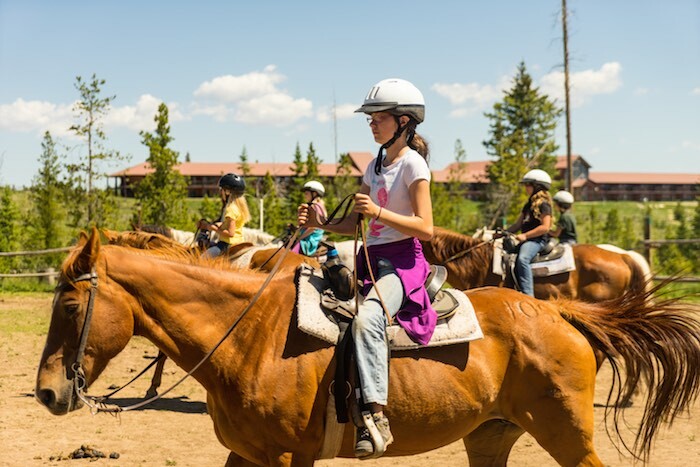 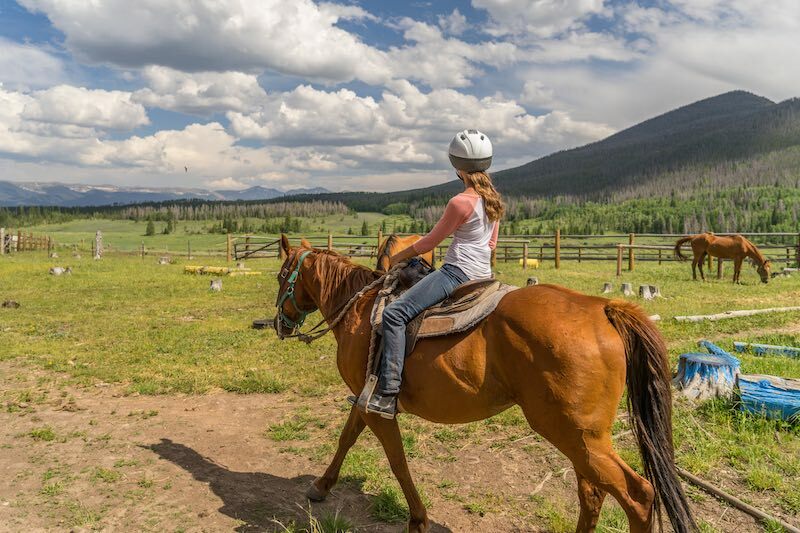 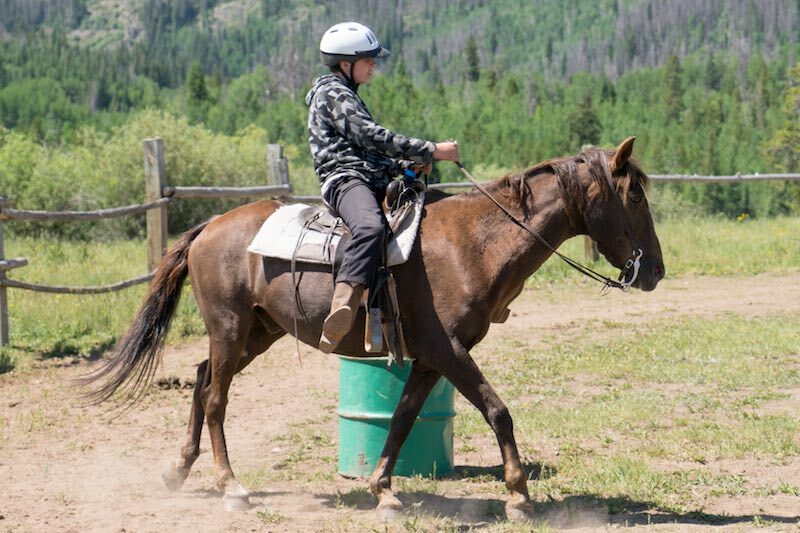 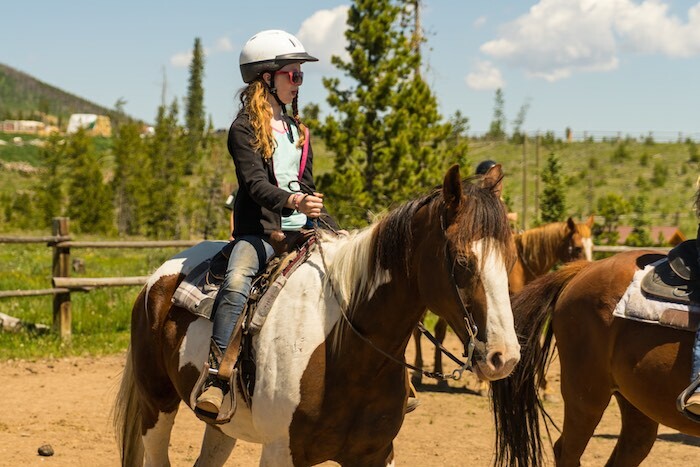 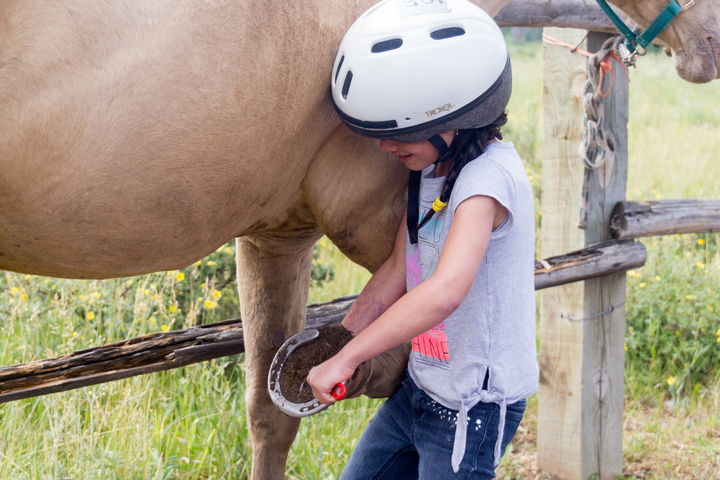 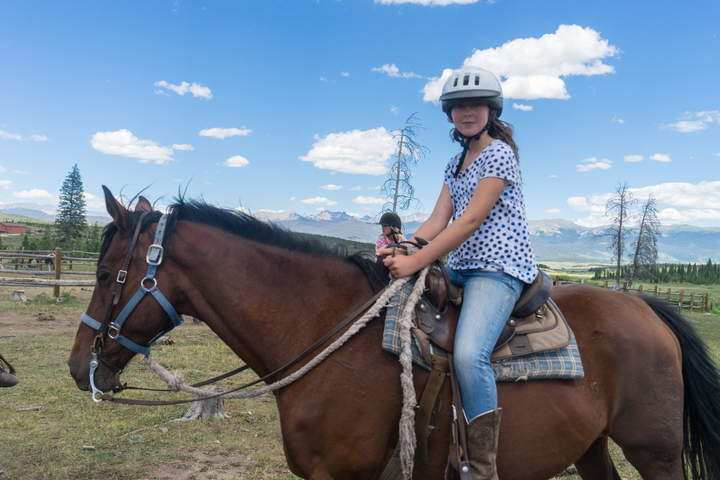 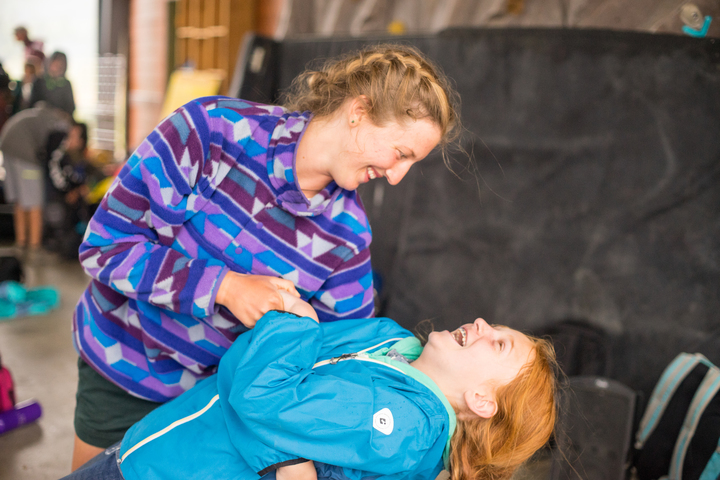 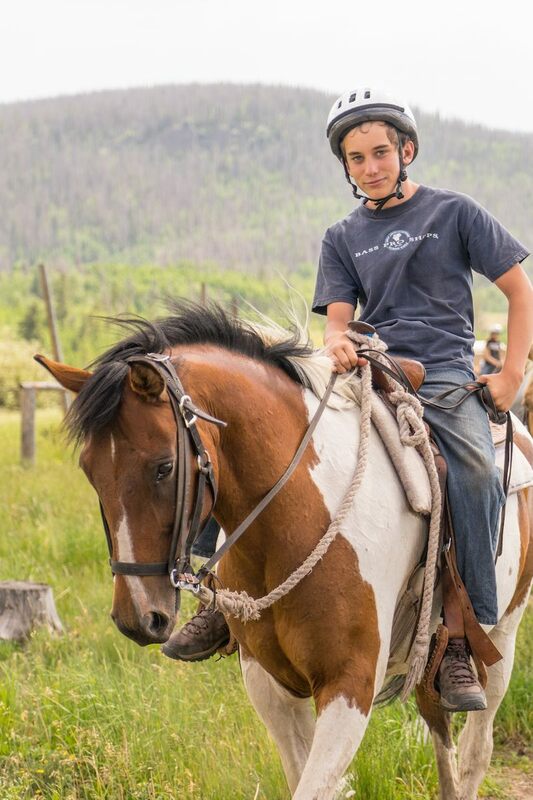 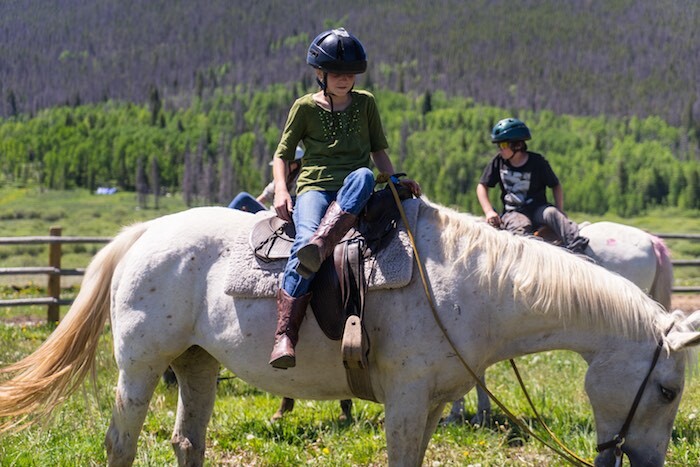 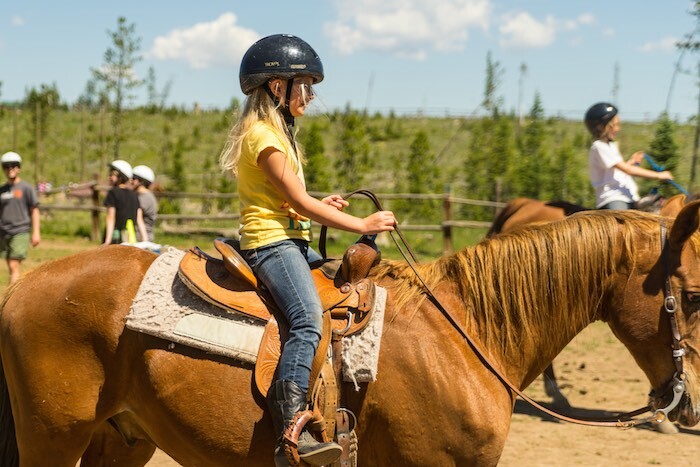 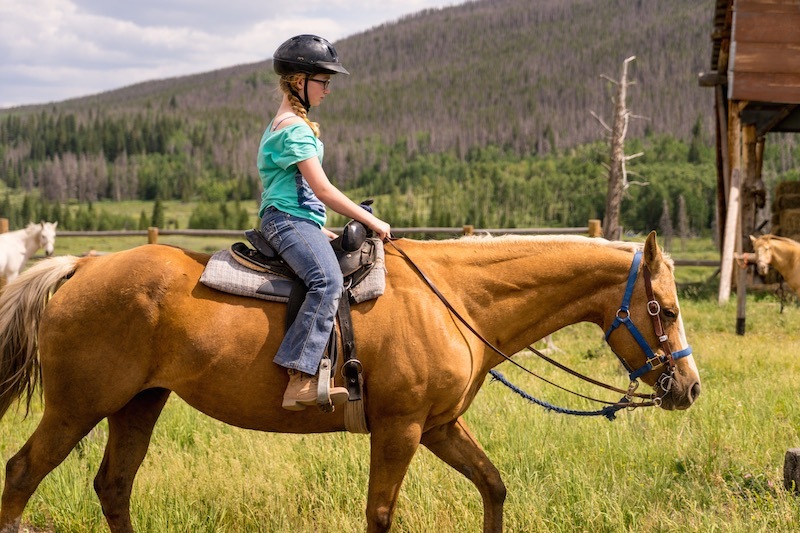 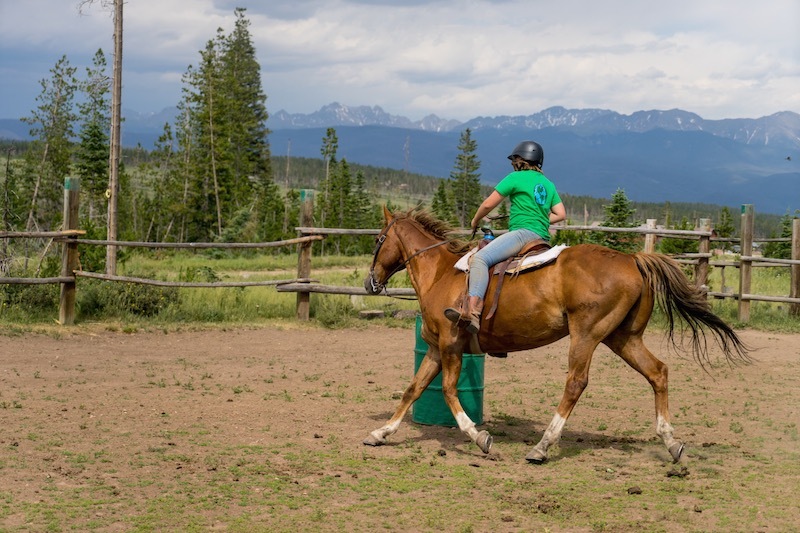 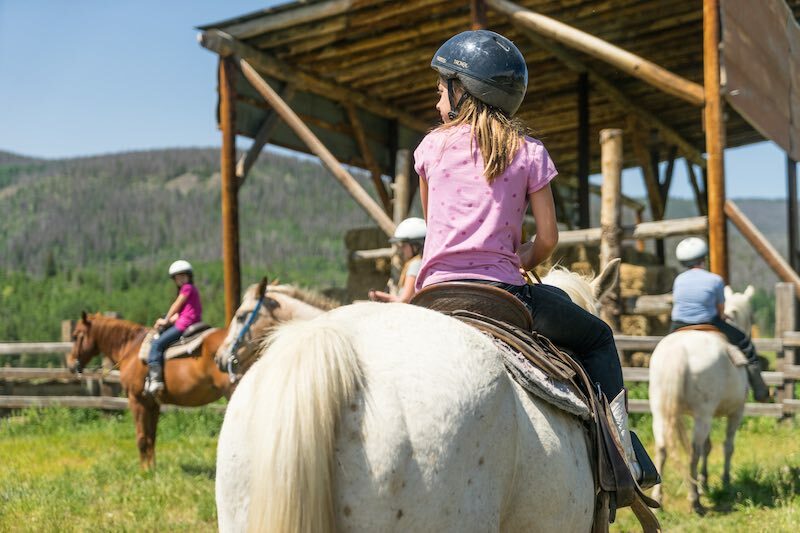 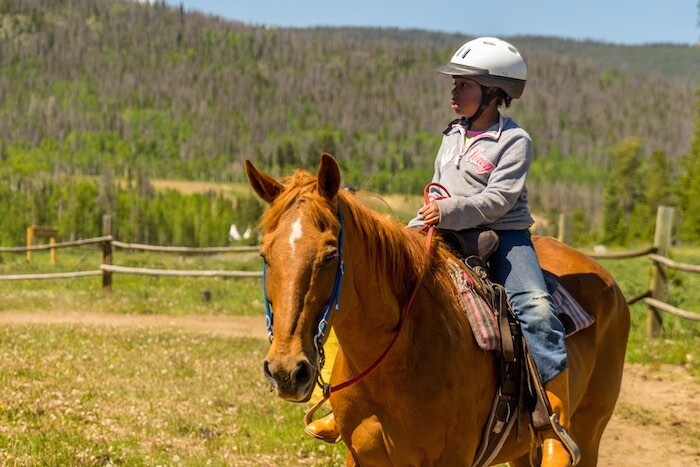 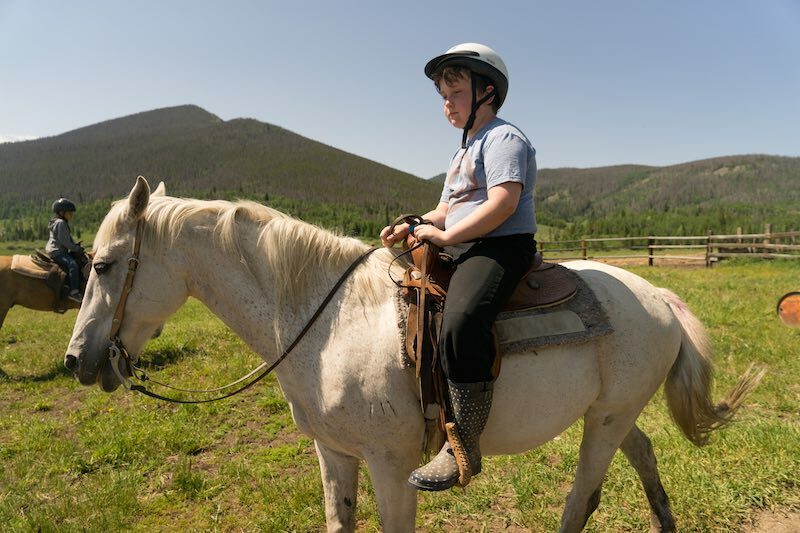 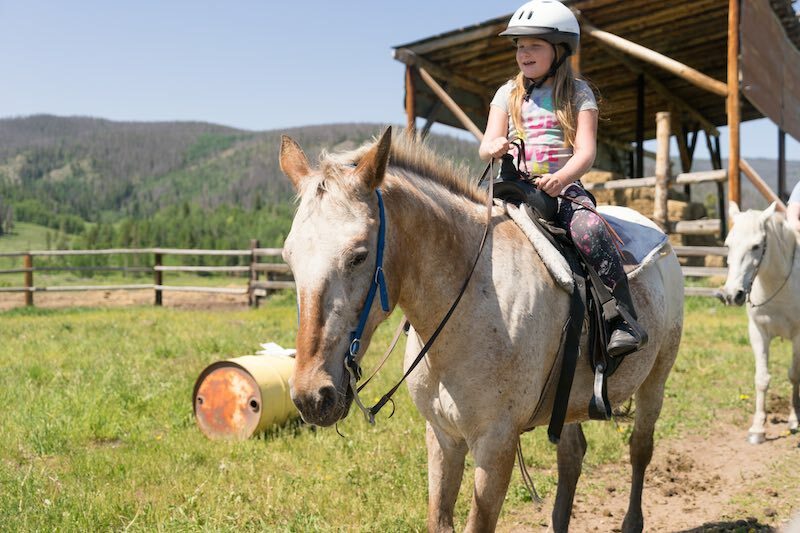 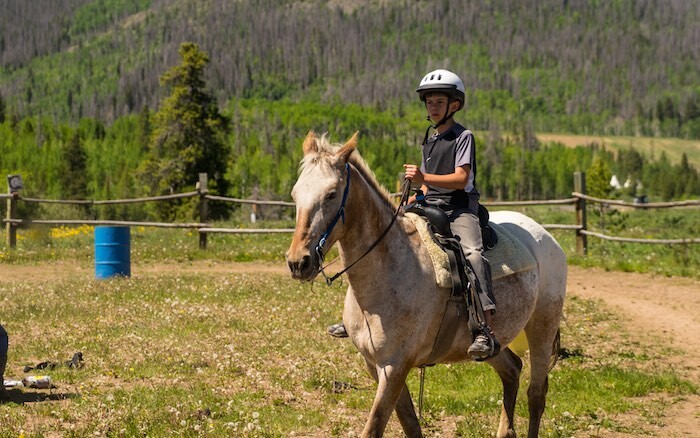 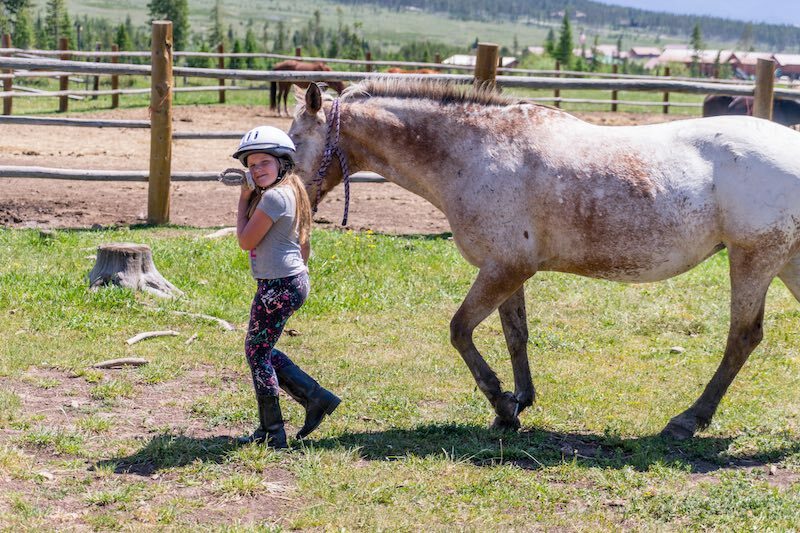 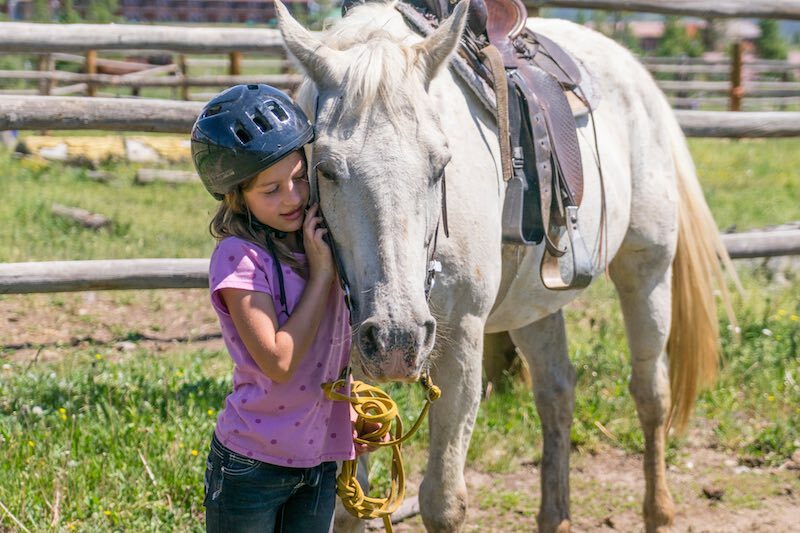 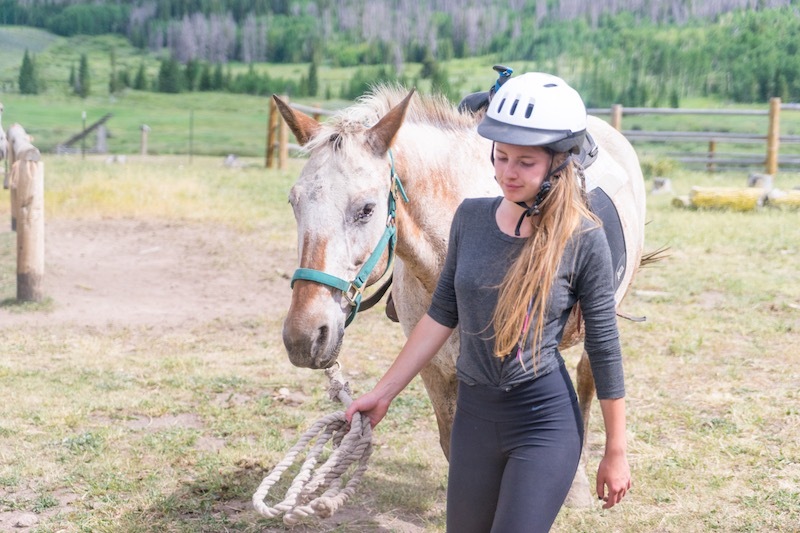 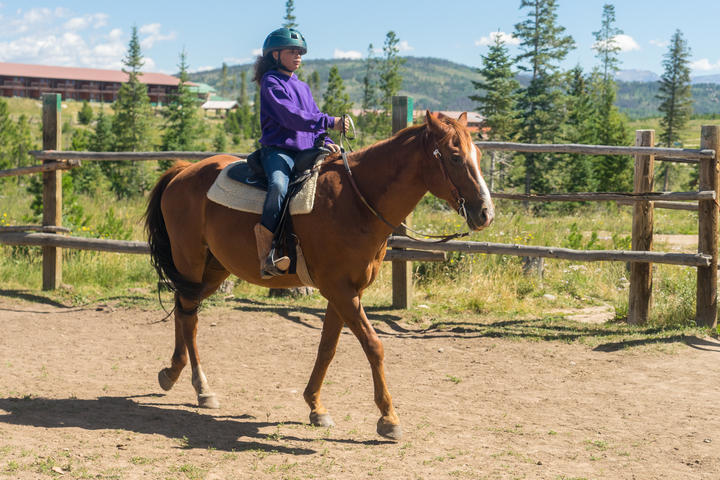 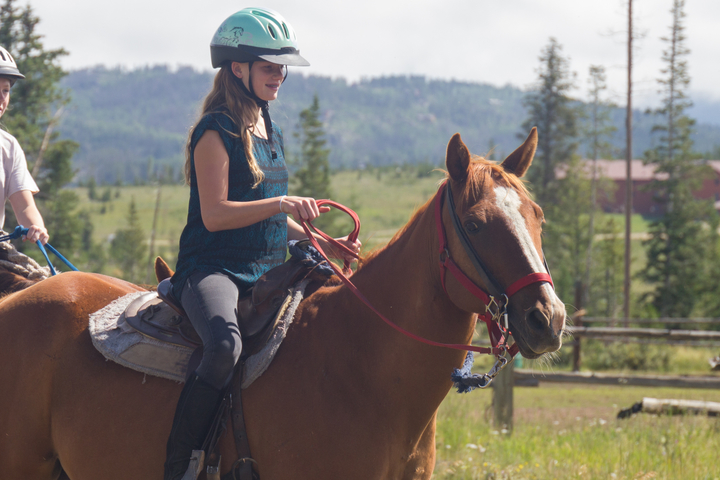 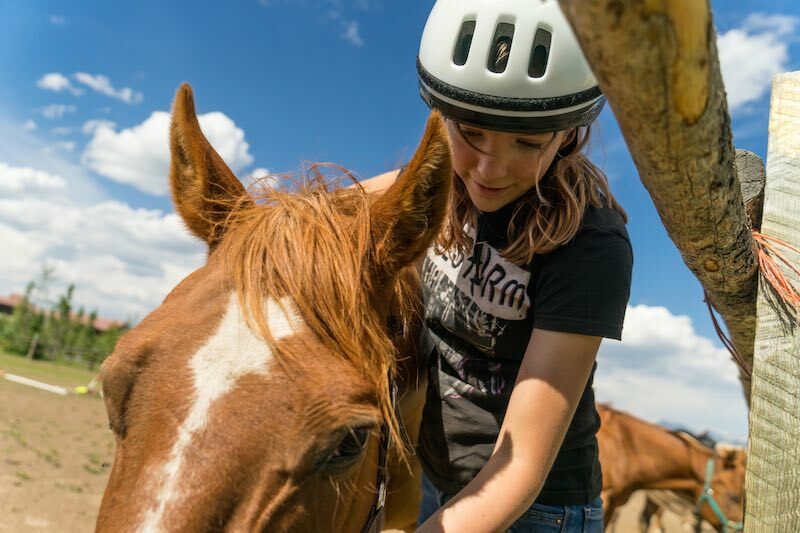 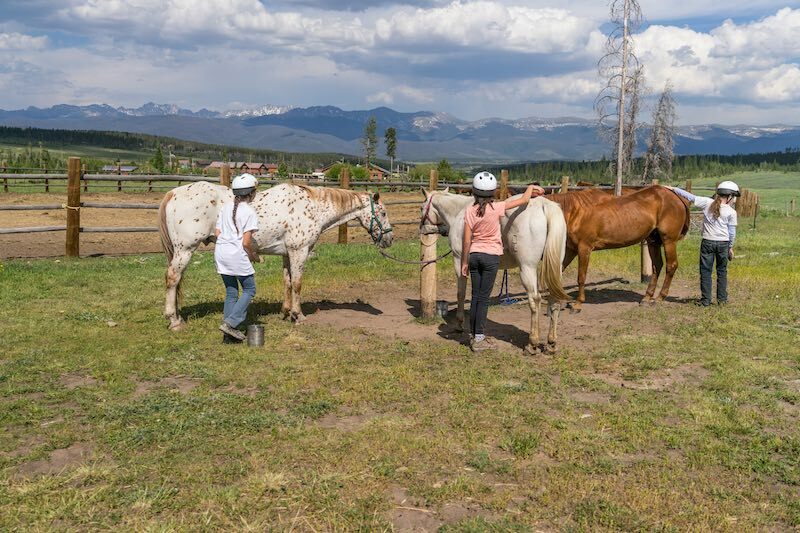 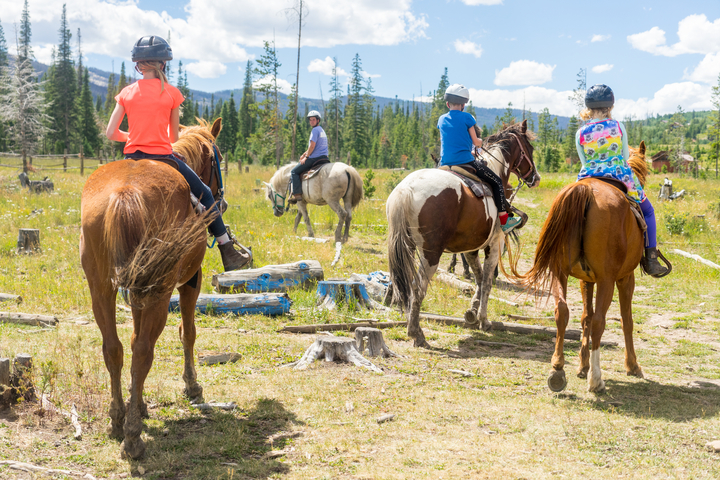 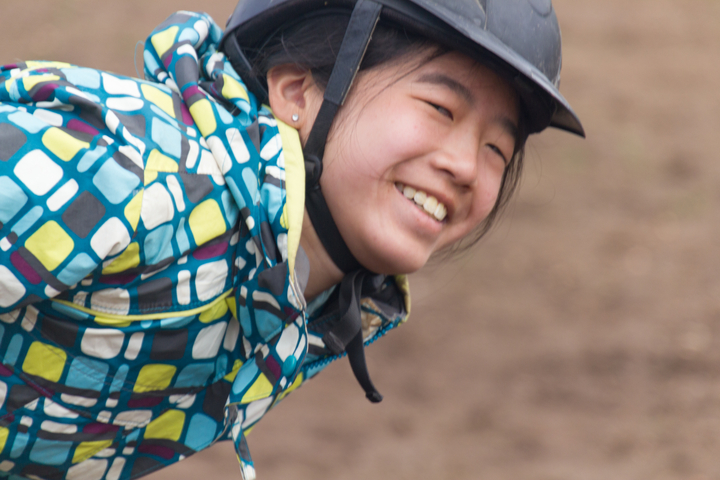 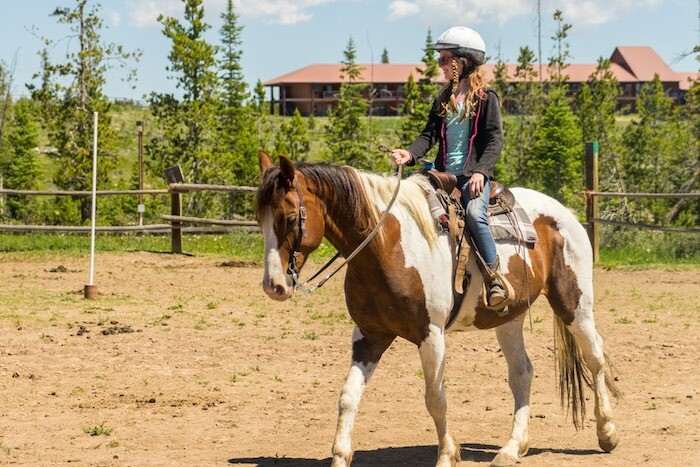 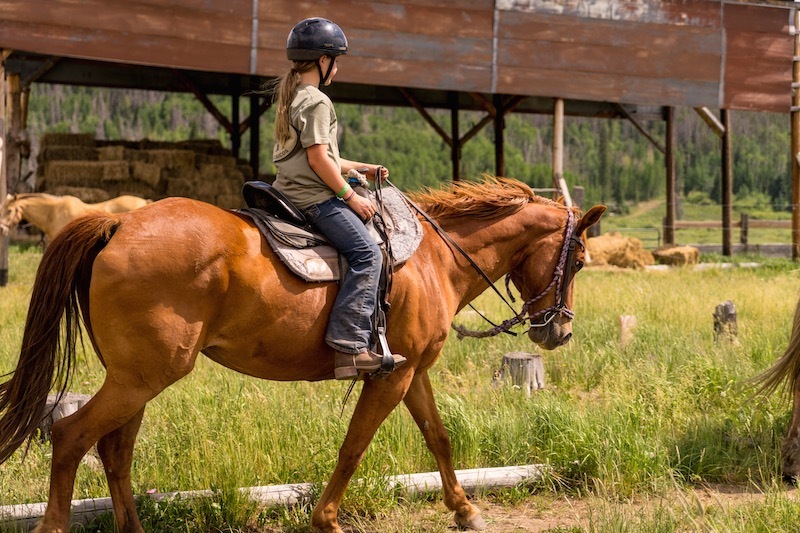 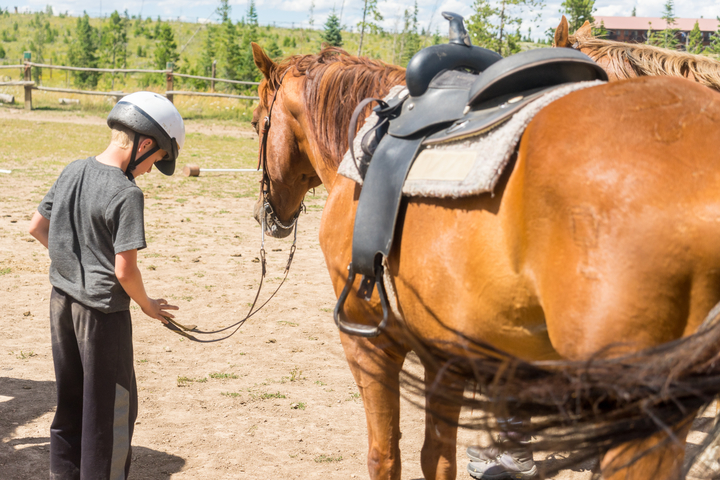 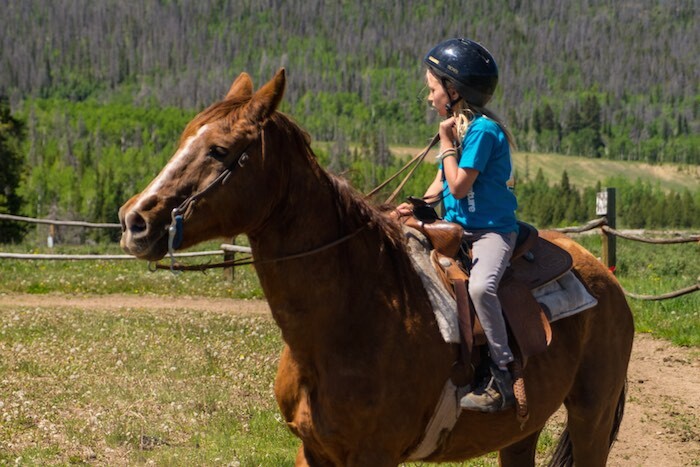 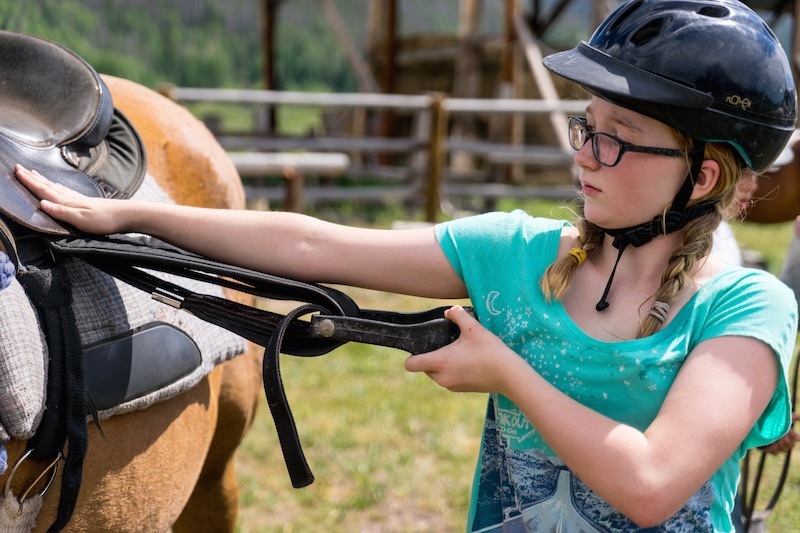 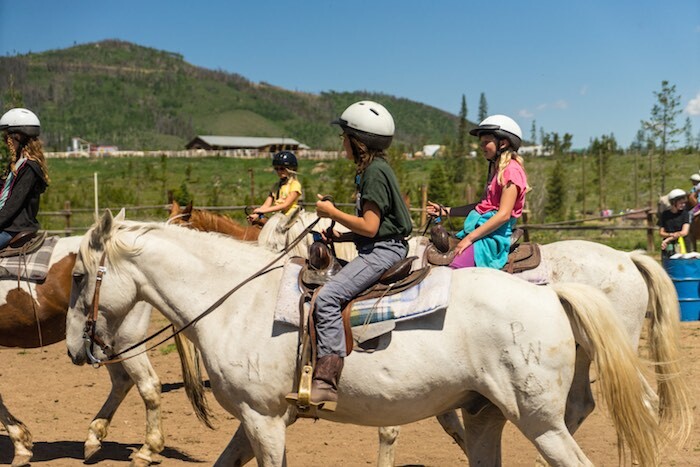 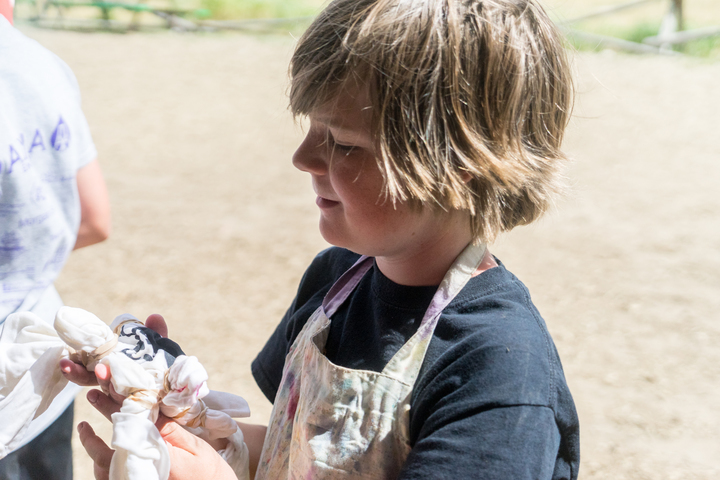 The campers spend two weeks working and caring for the horses while helping lead lessons and trail rides. 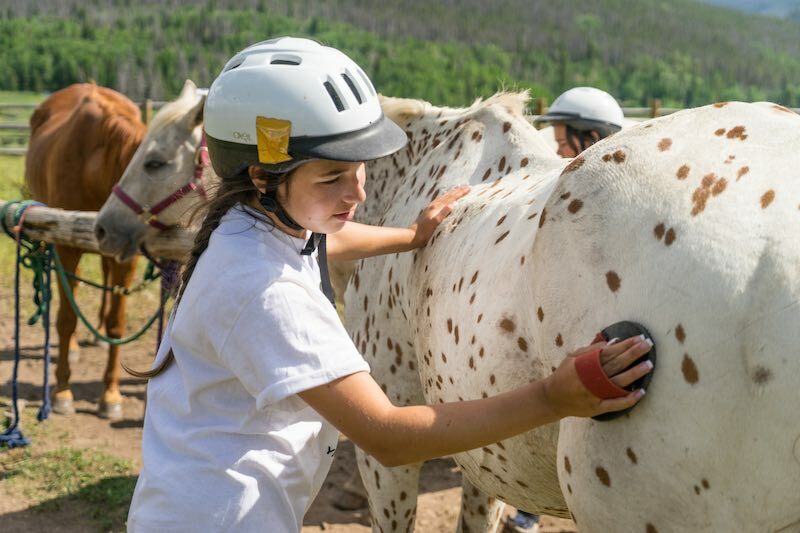 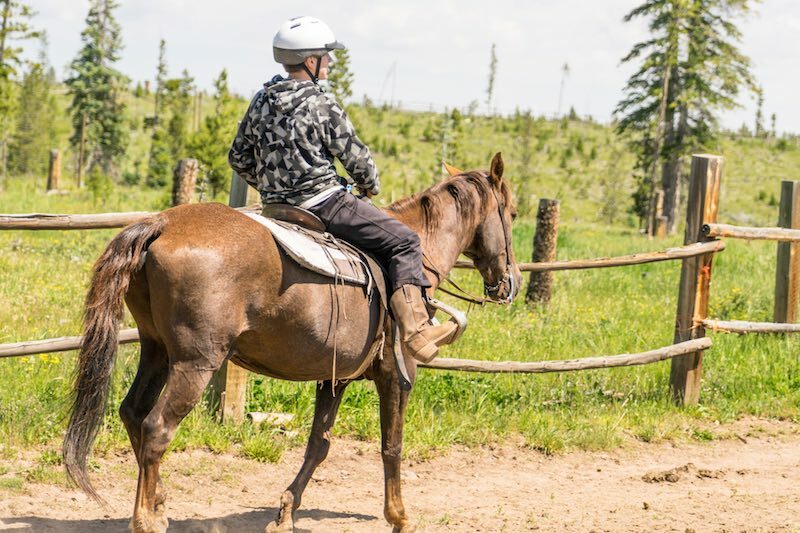 Even if not that in to horses, this is a great way to learn how to work with live animals around smaller campers as well as the safety and logistics of how this happens. 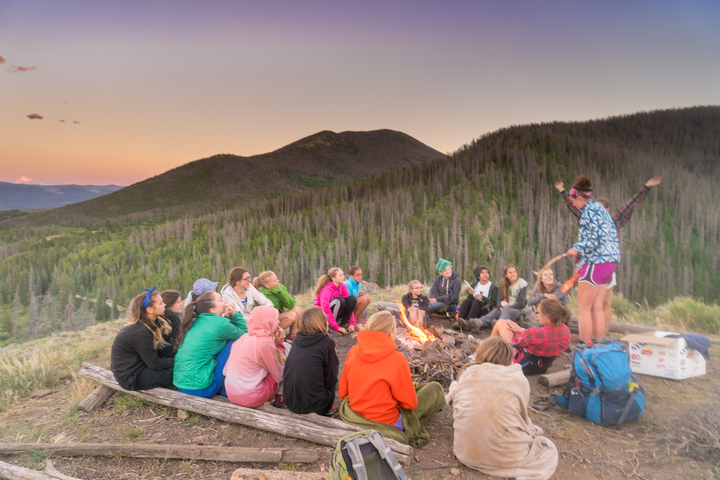 NEXT: Trekker Trips, Leaders-In-Training, Specialist-In-Training, Wilderness Leadership, and Counselor-In-Training. 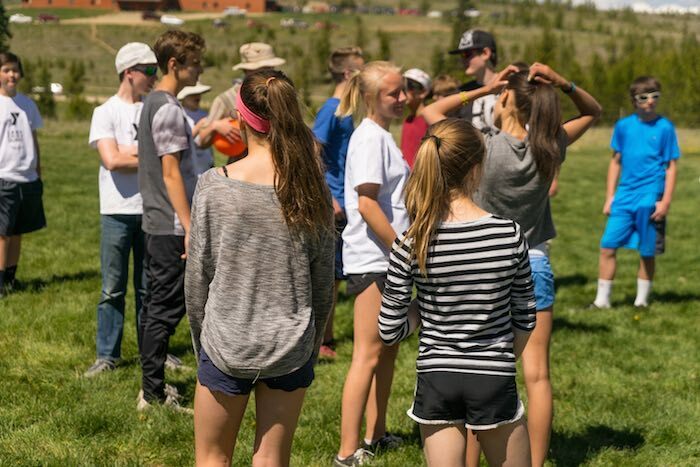 Leaders-In-Training (ages 15-16): This is the start of our leadership program. 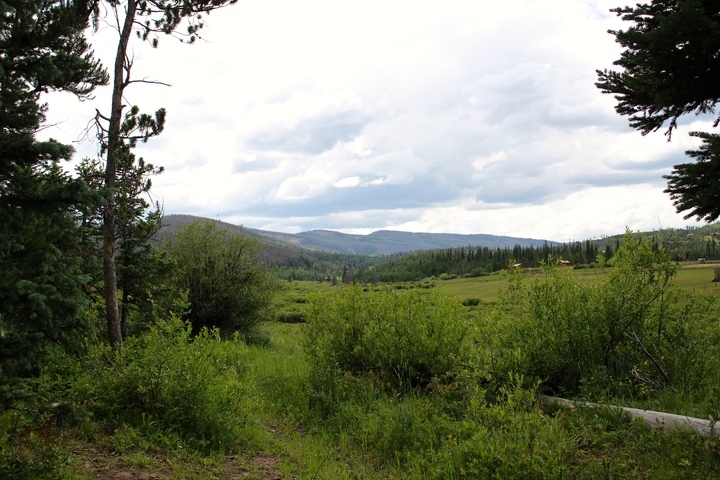 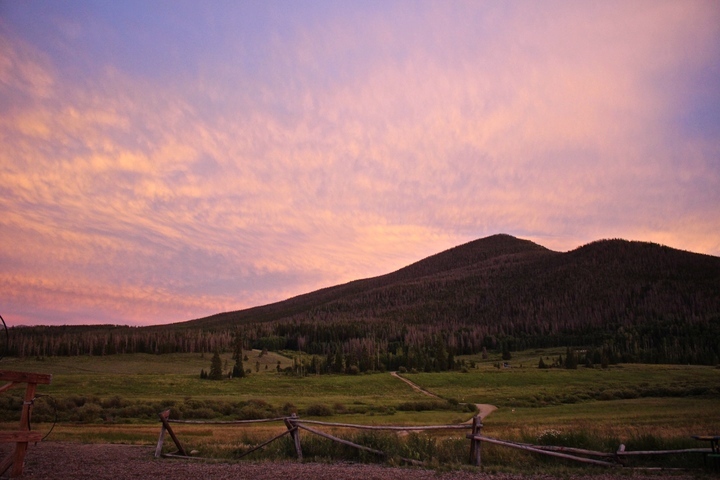 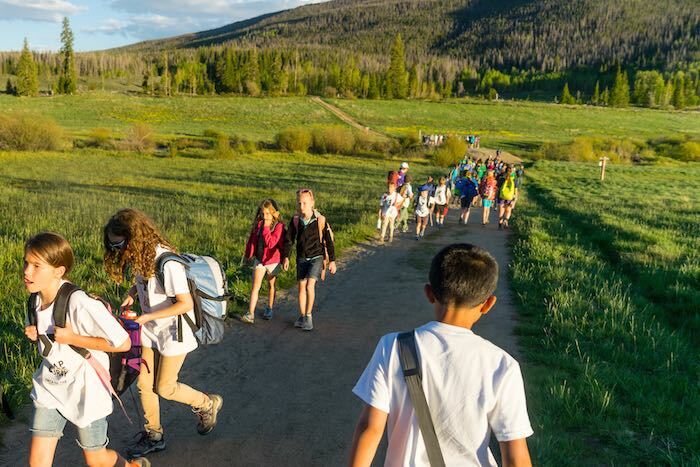 Campers will start the program with a 4 day/3 night backpacking trip in Rocky Mountain National Park. 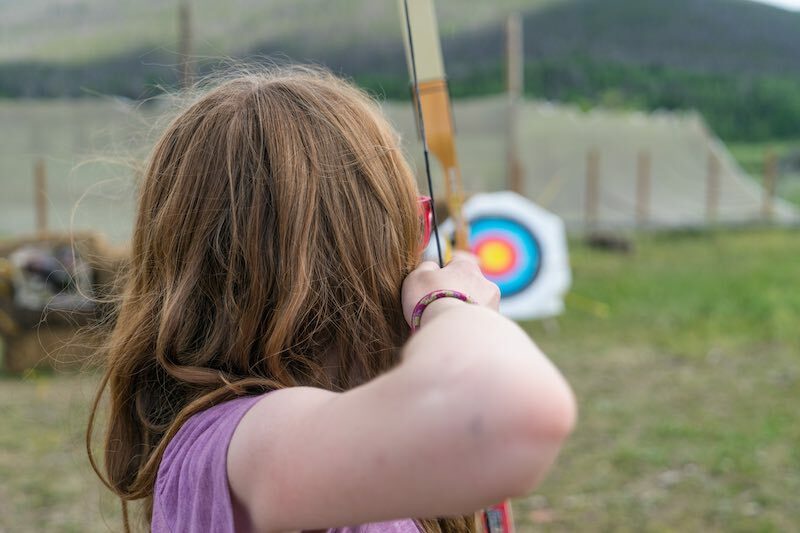 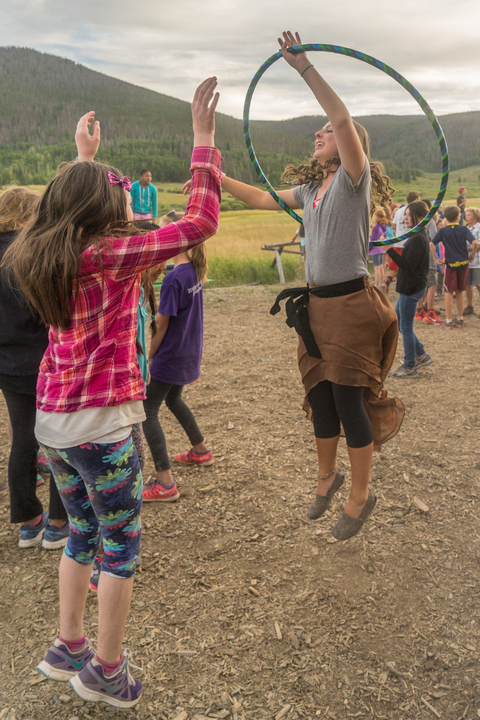 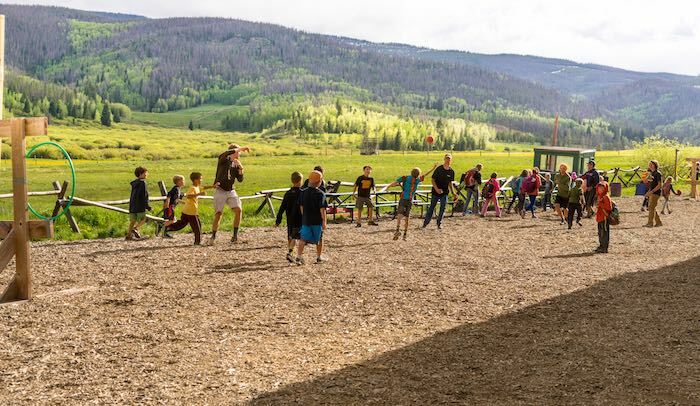 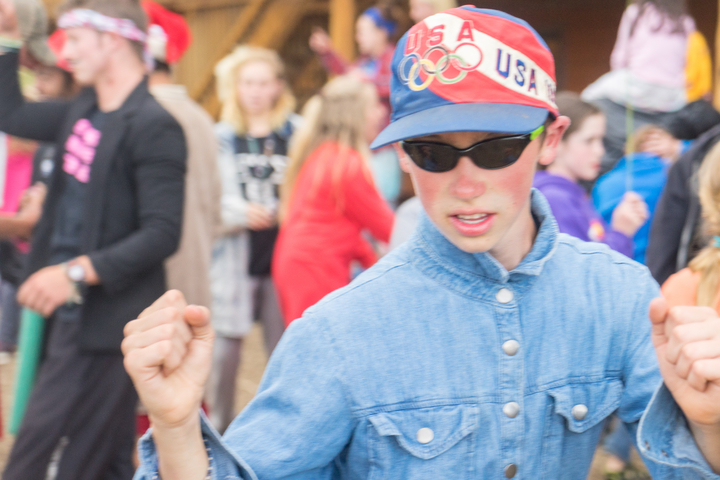 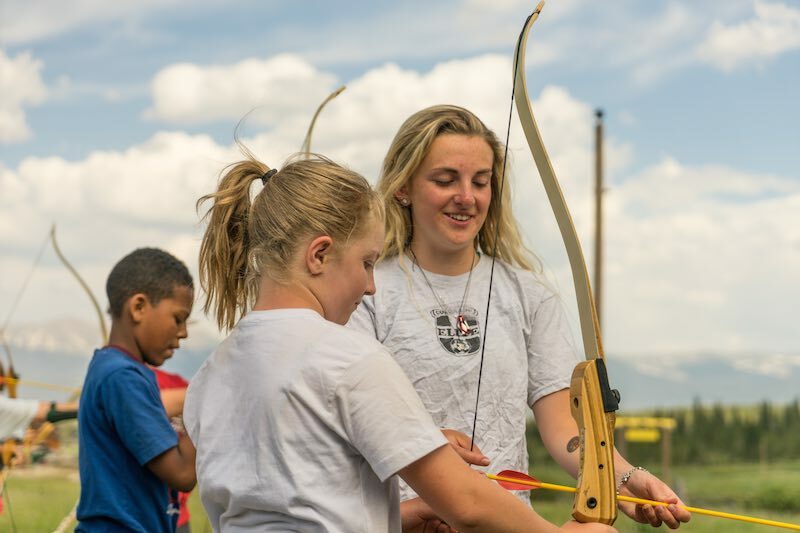 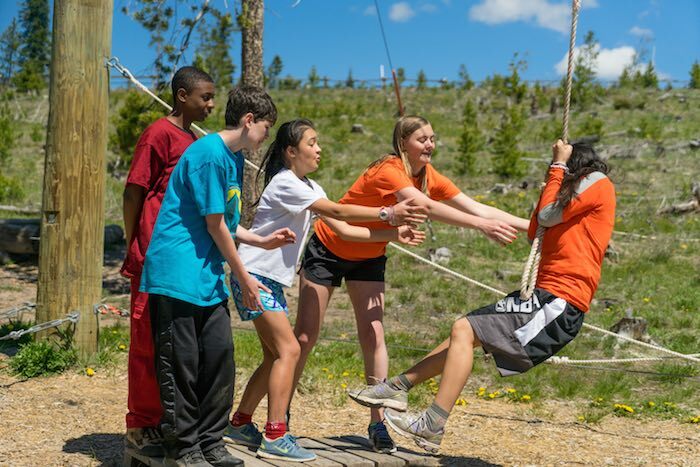 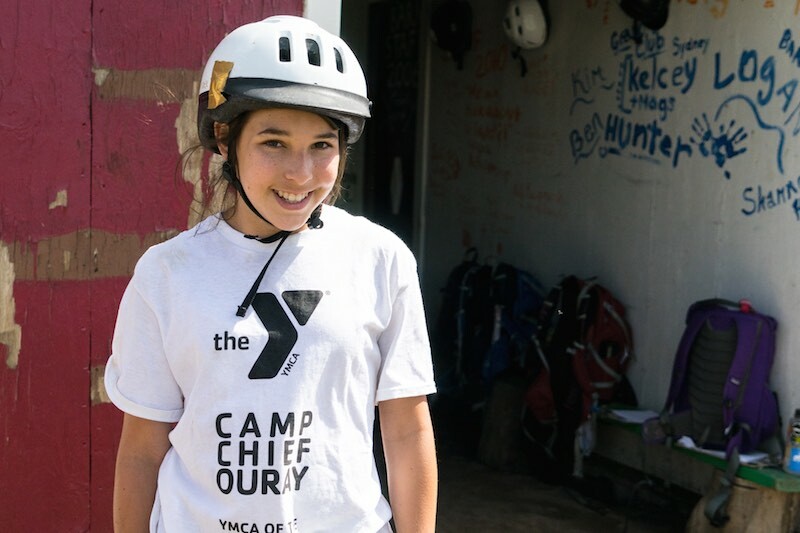 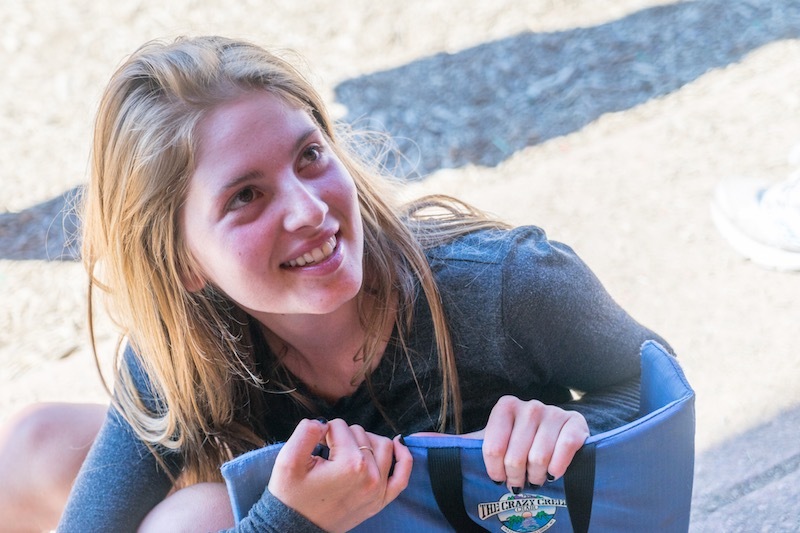 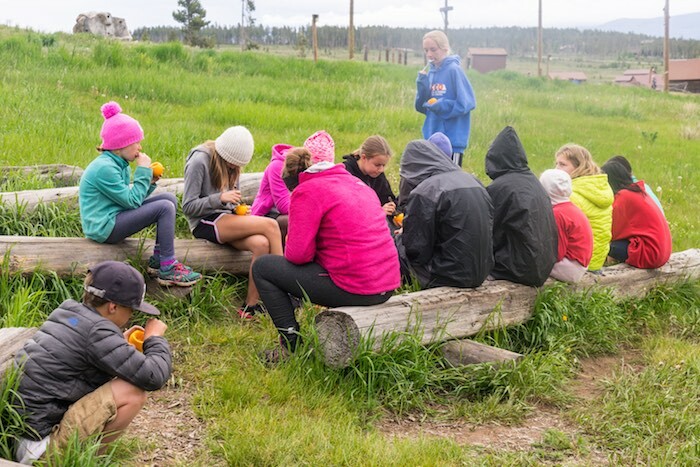 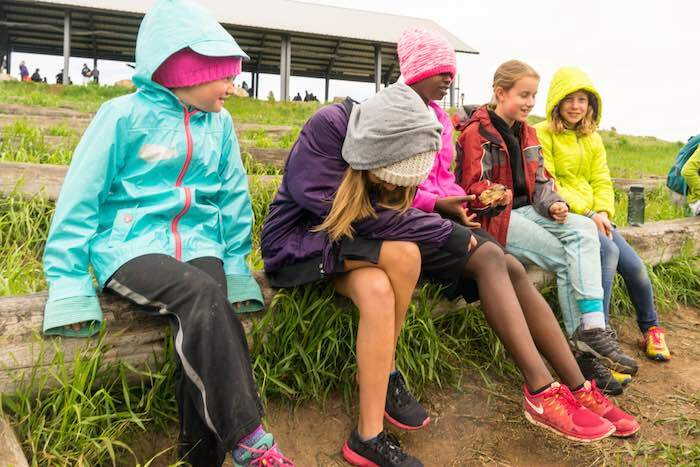 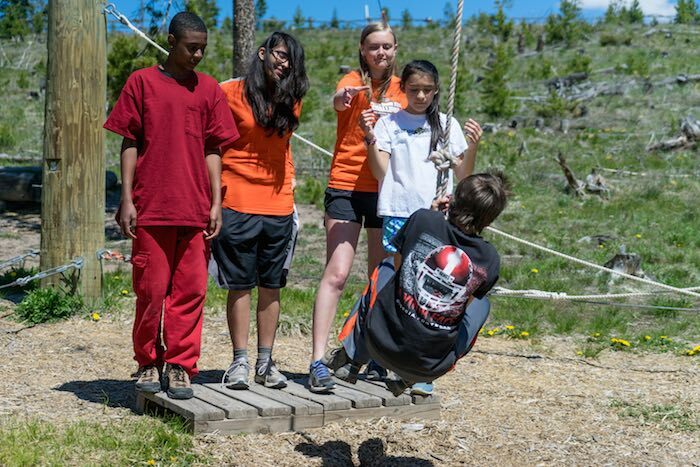 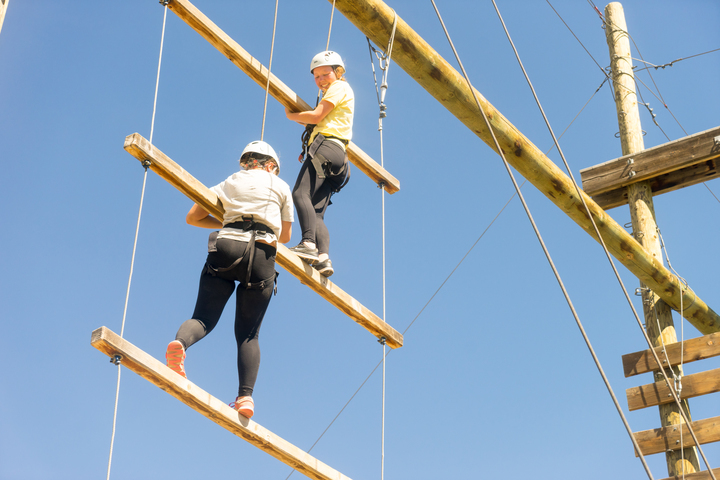 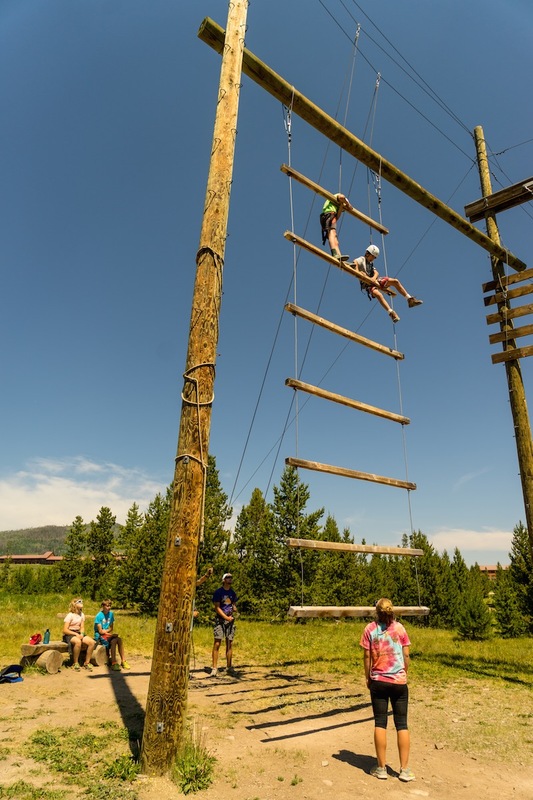 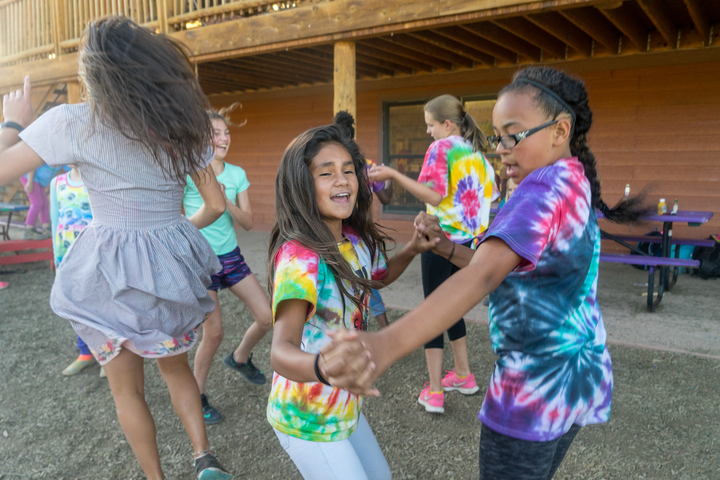 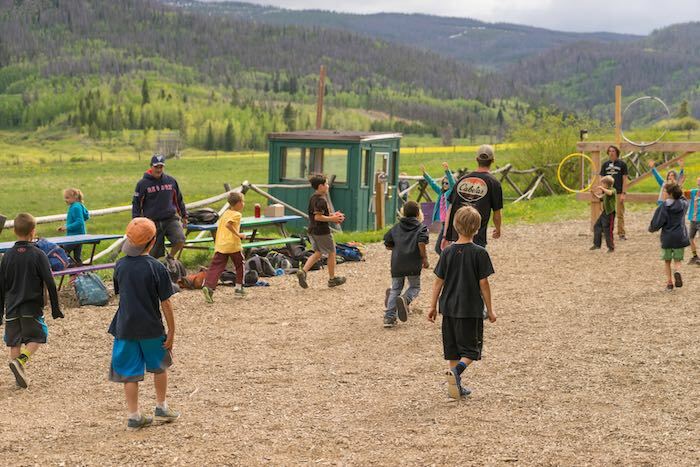 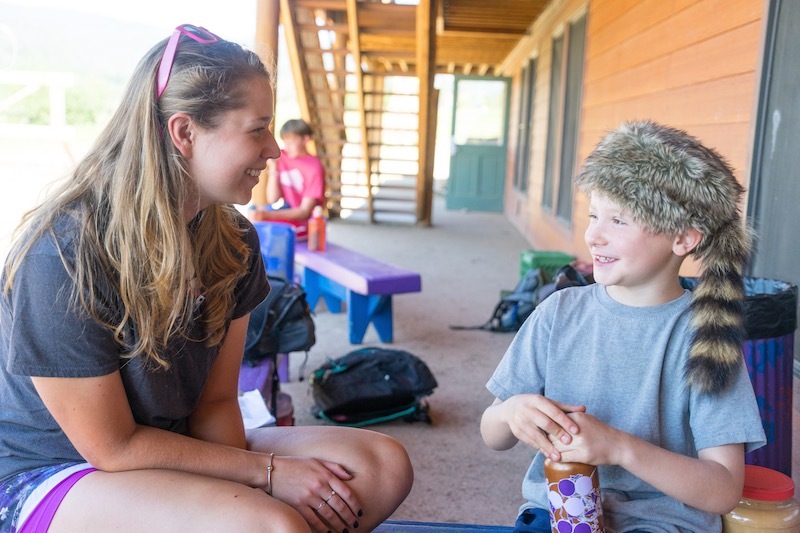 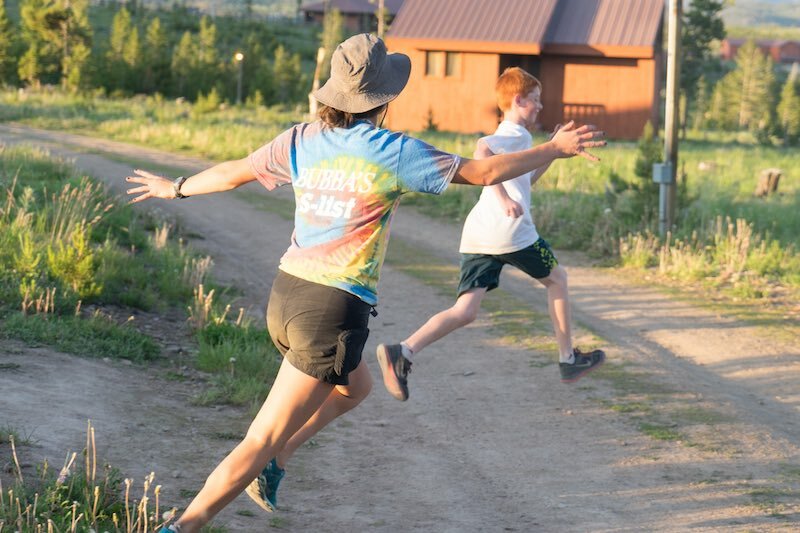 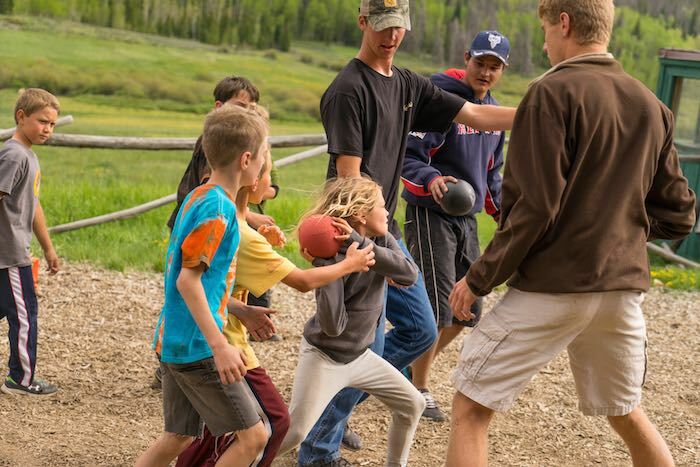 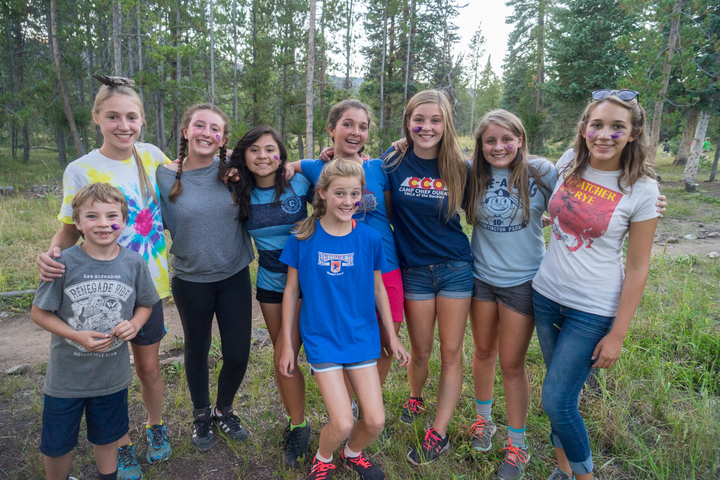 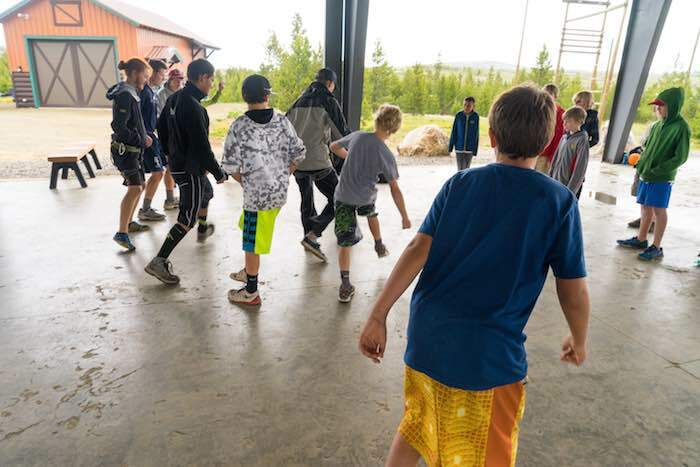 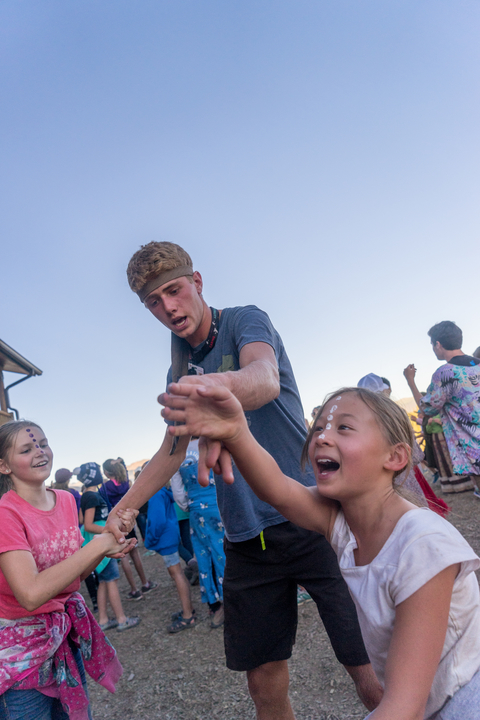 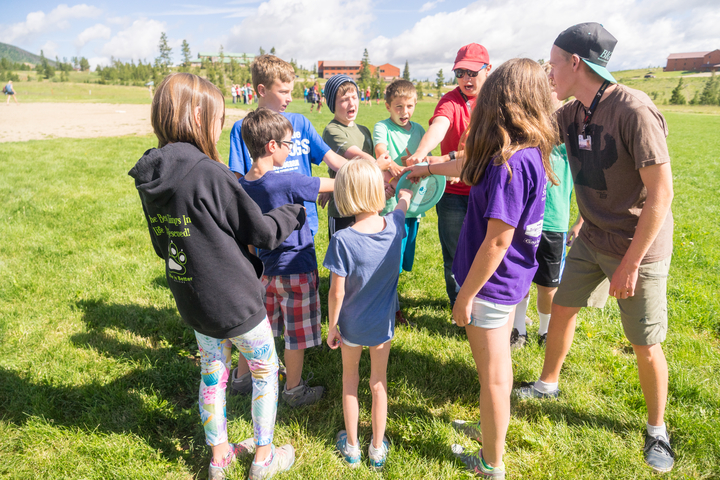 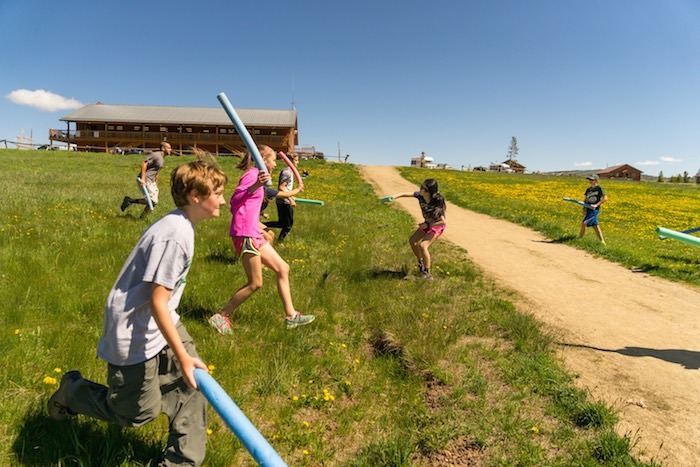 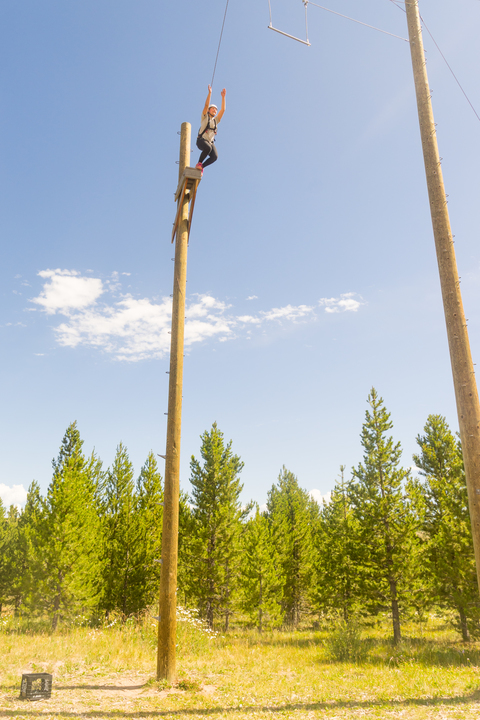 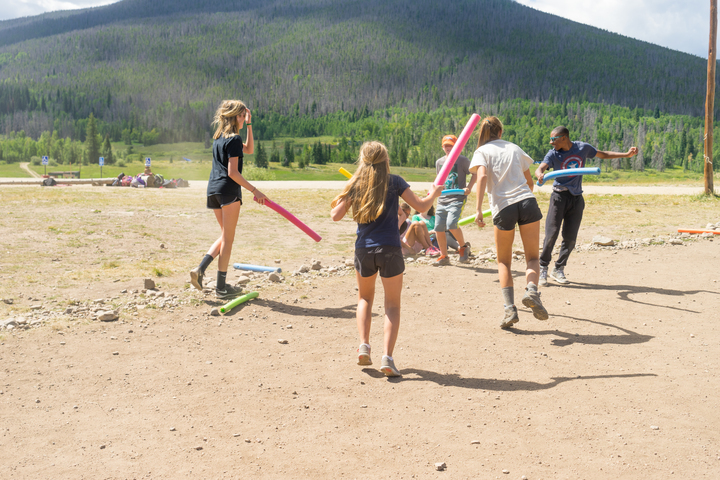 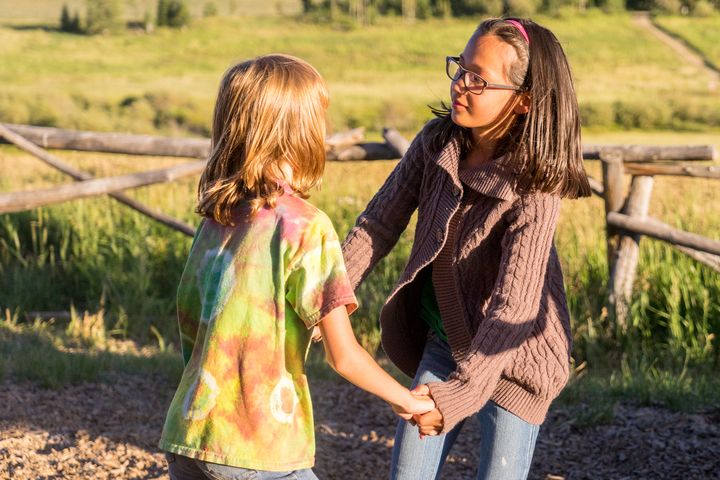 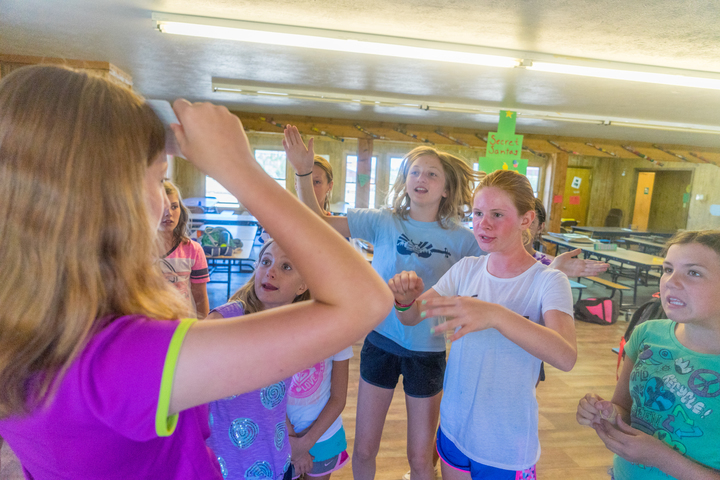 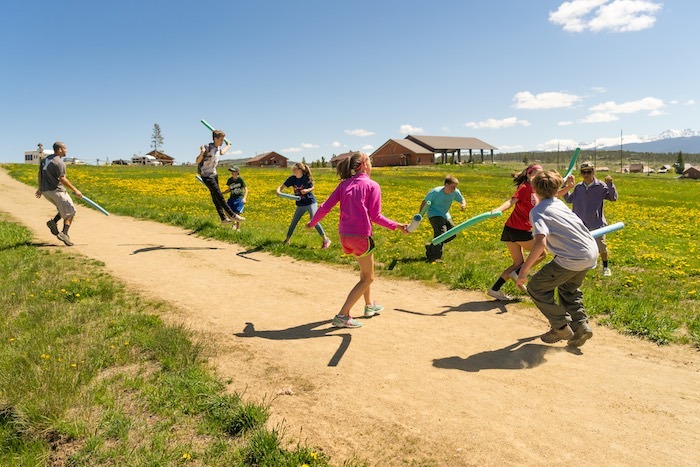 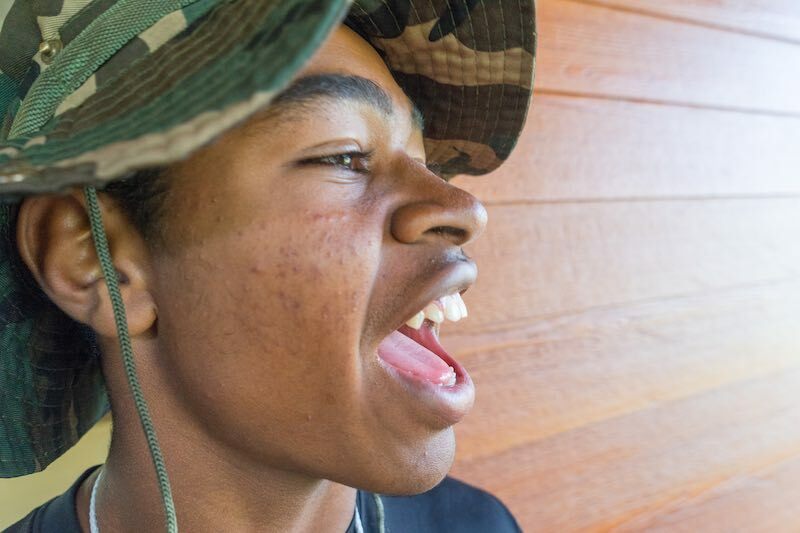 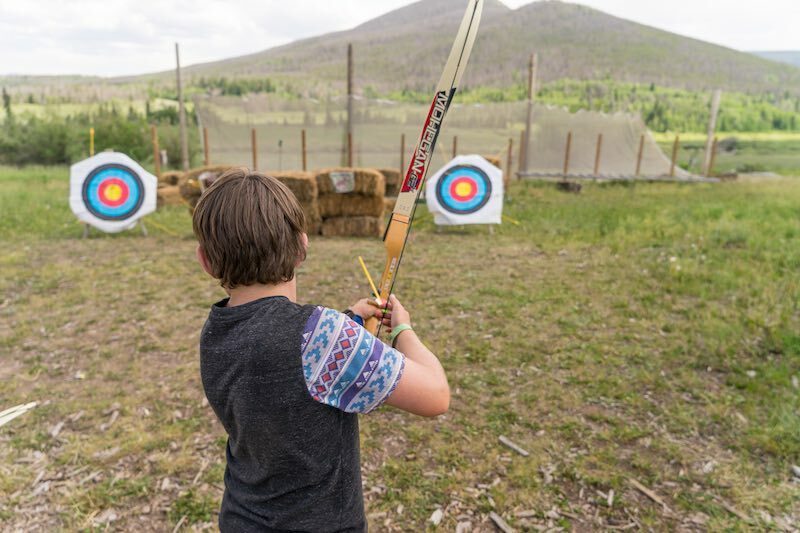 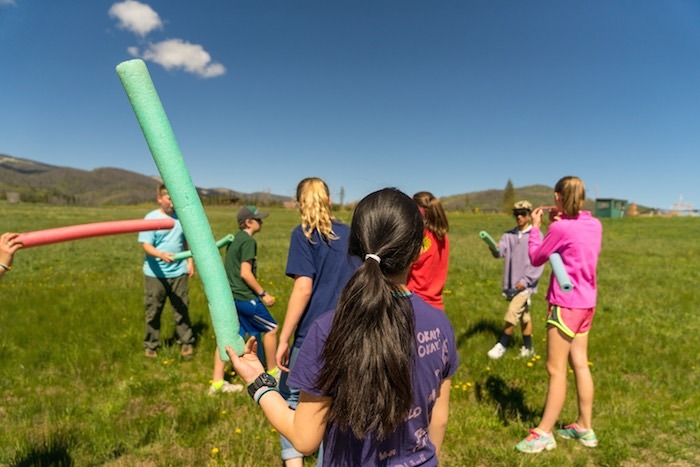 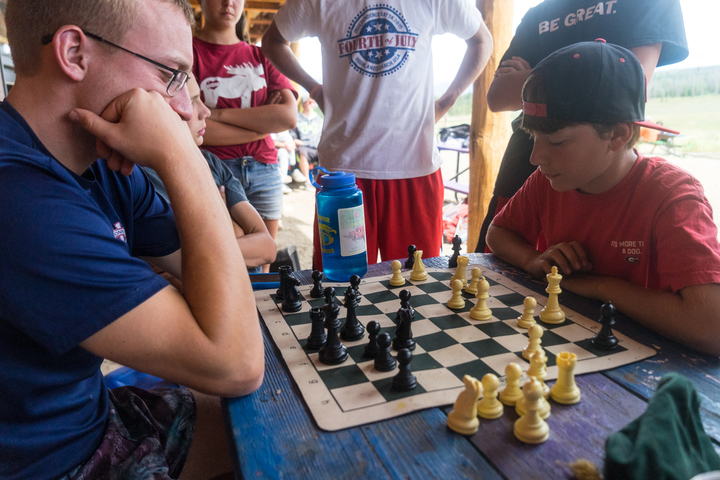 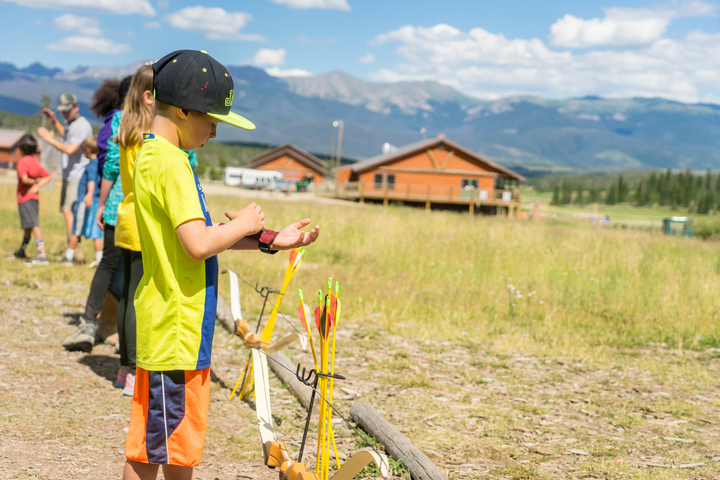 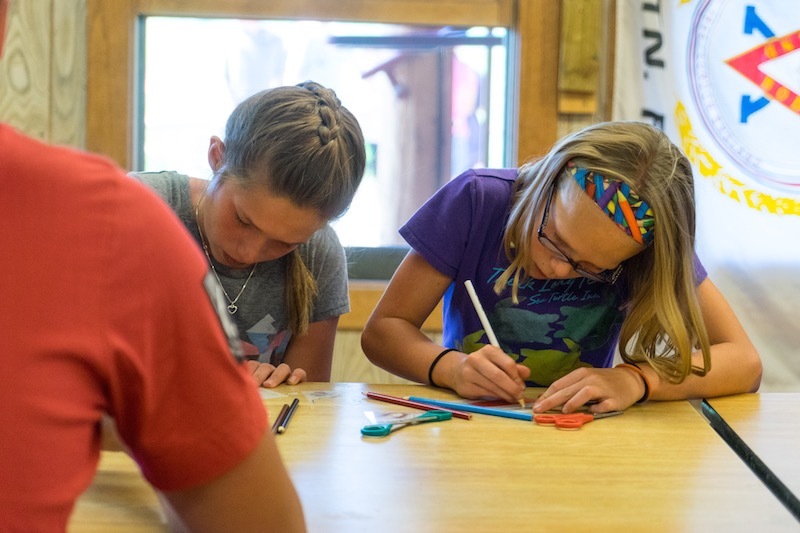 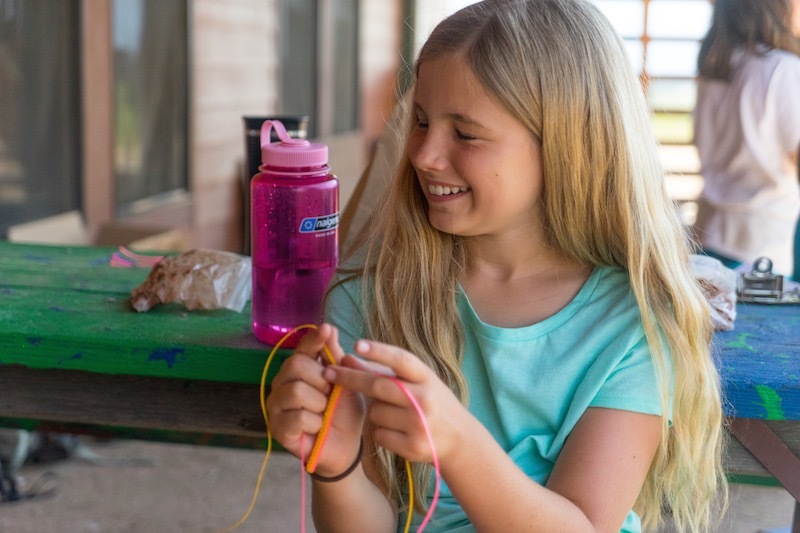 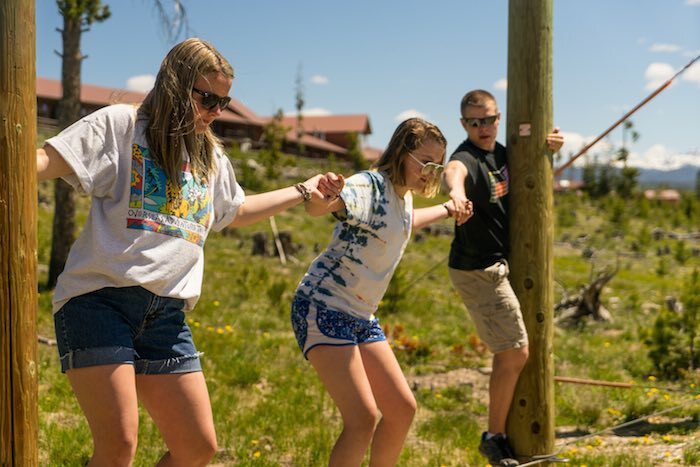 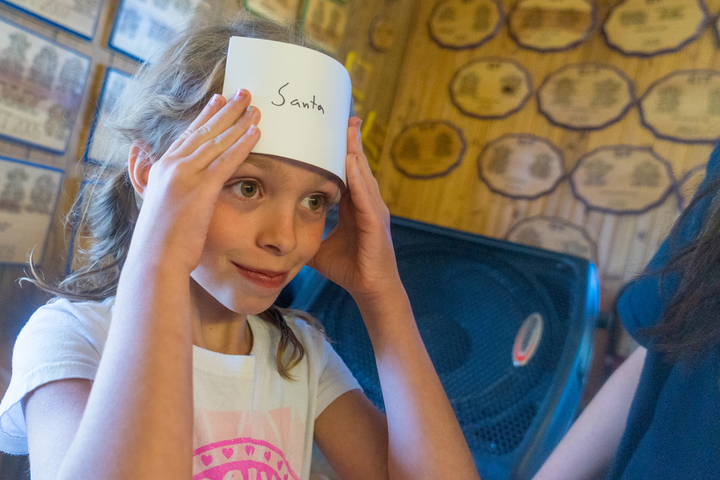 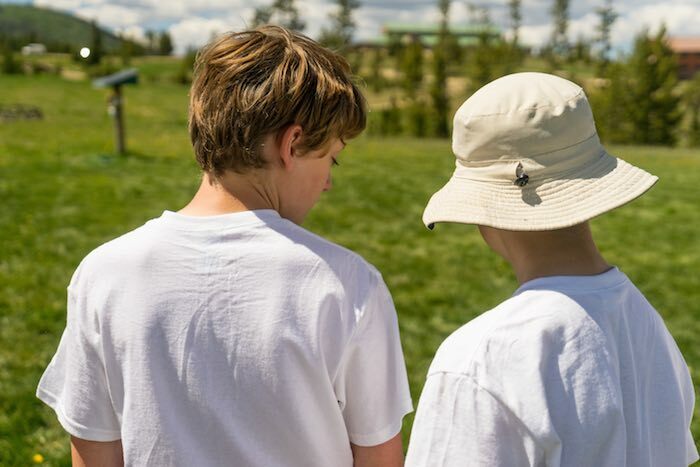 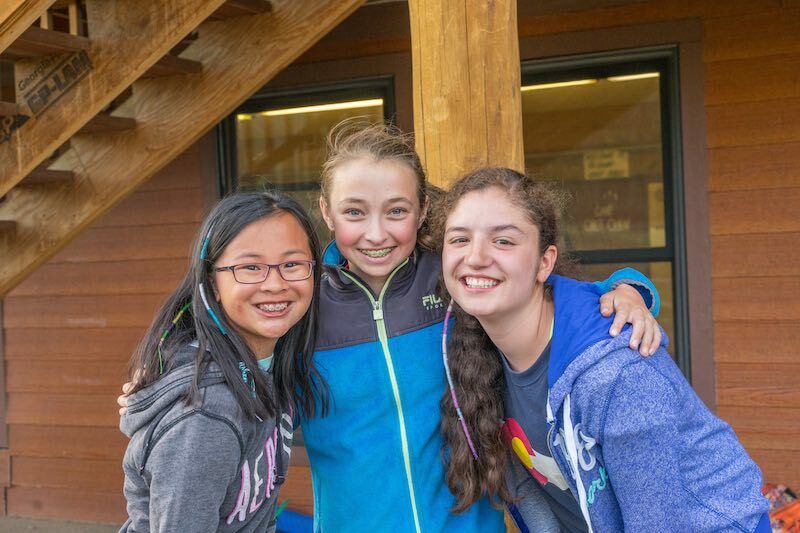 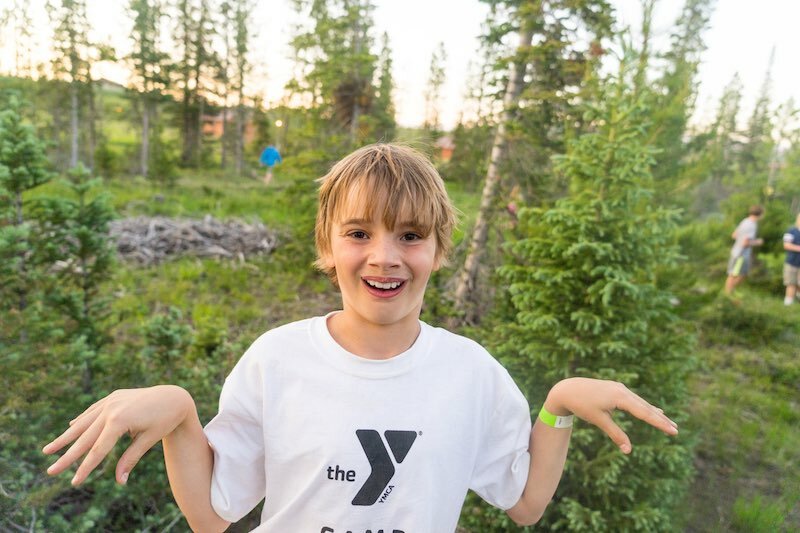 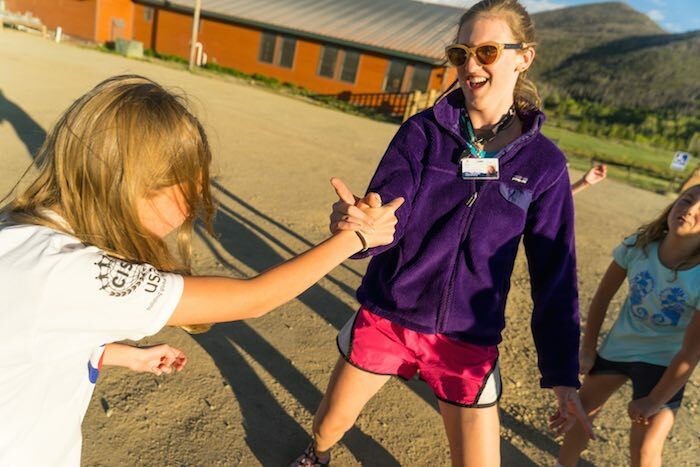 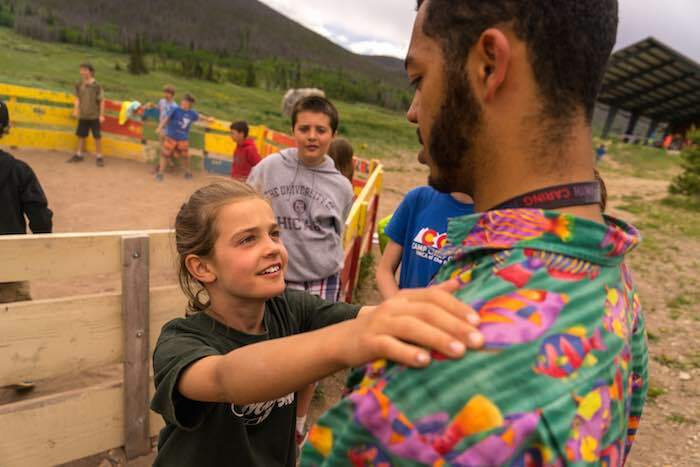 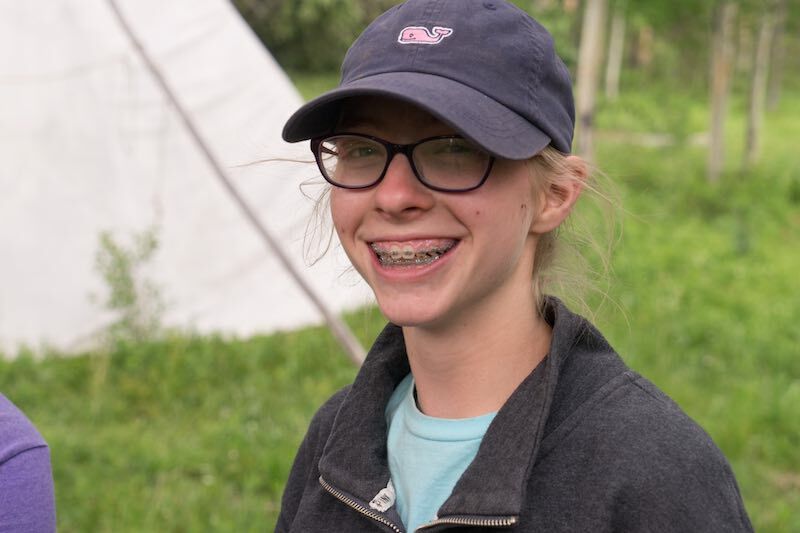 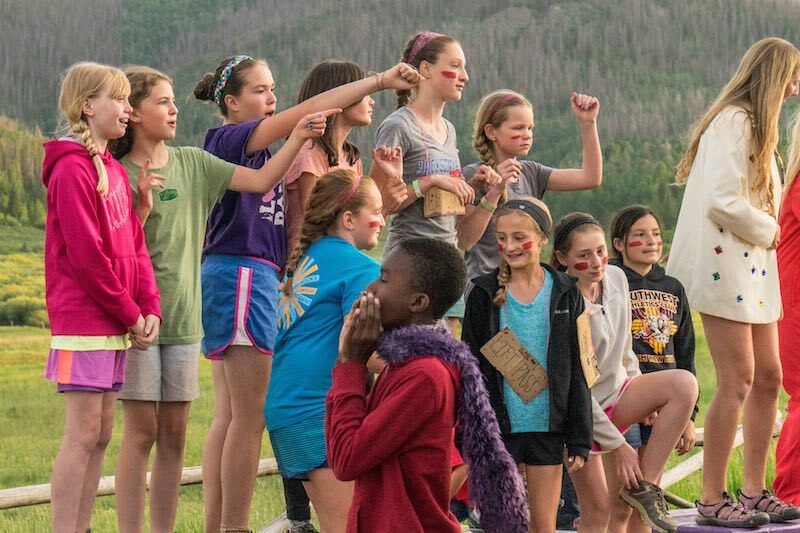 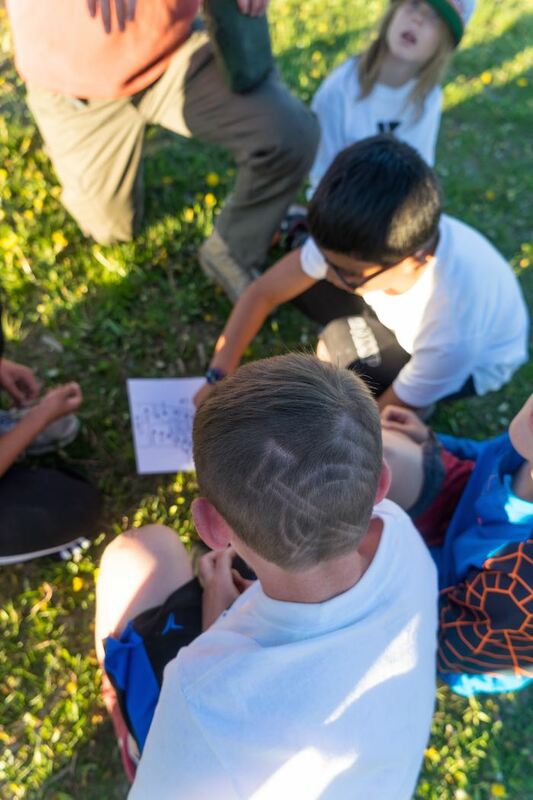 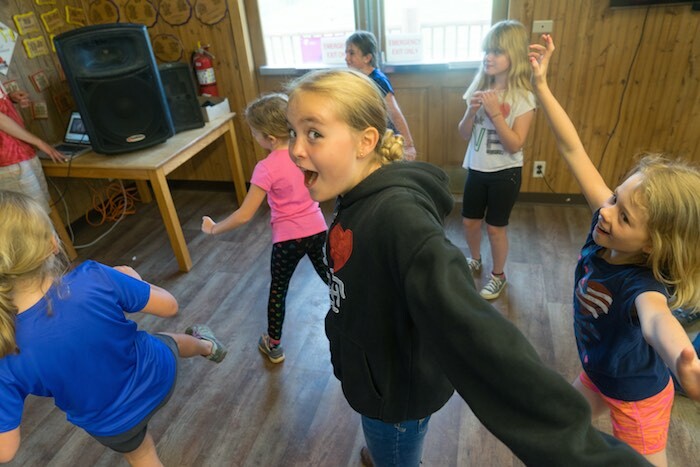 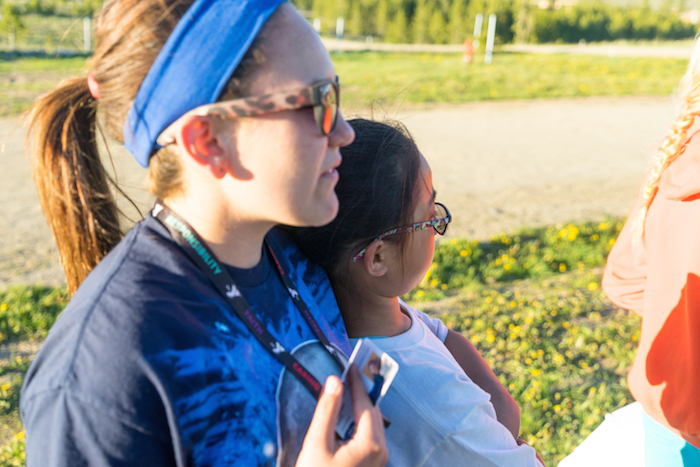 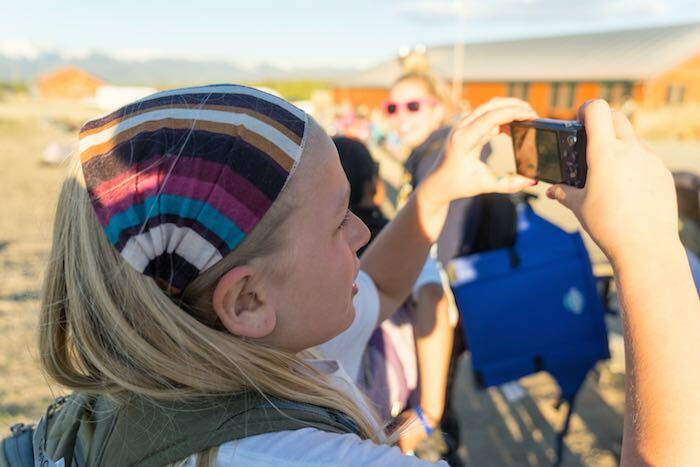 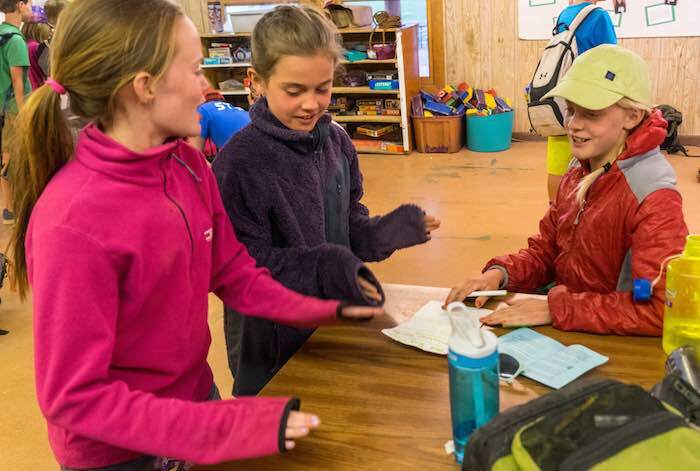 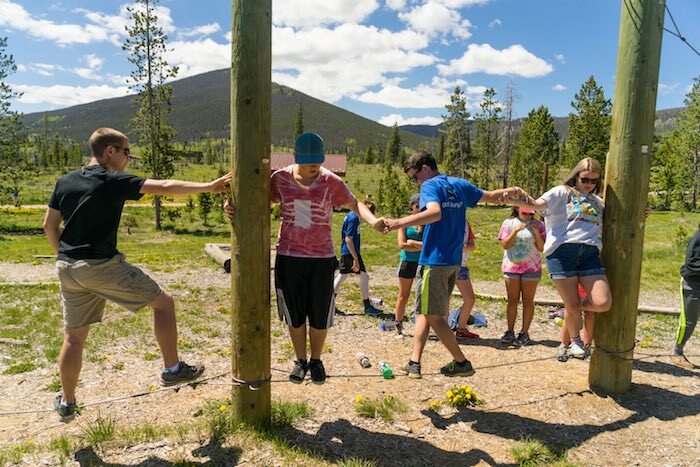 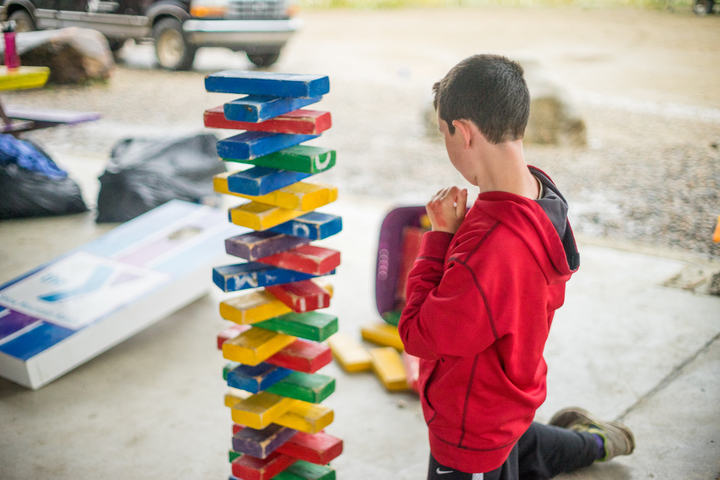 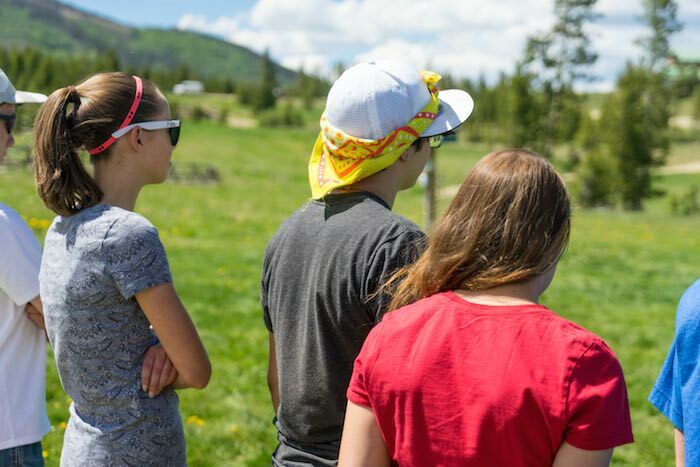 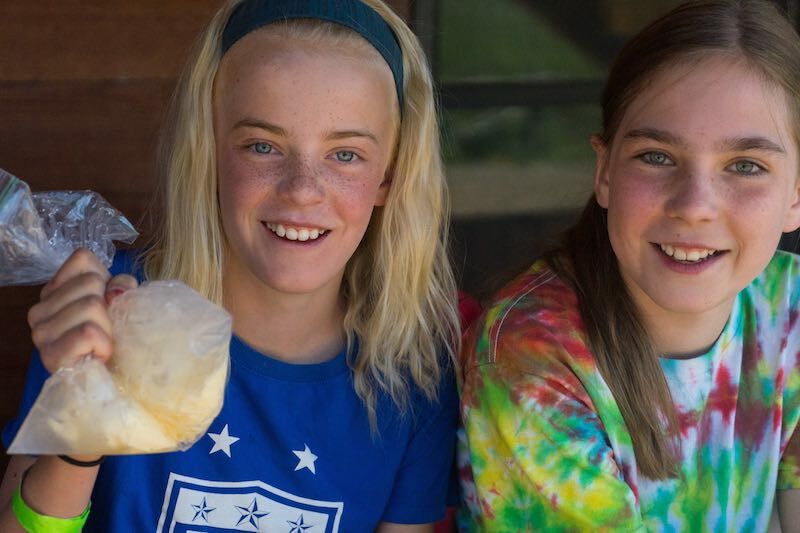 Once they return to camp, they will learn the basics of leadership through group activities, shadowing a cabin group, and volunteering at the day camp for an afternoon. 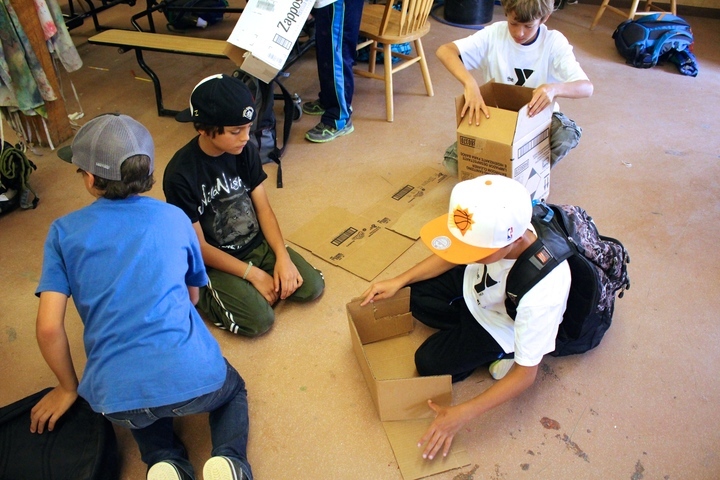 The goal is to work with large groups to better handle instructions and build the confidence needed for the next stage. 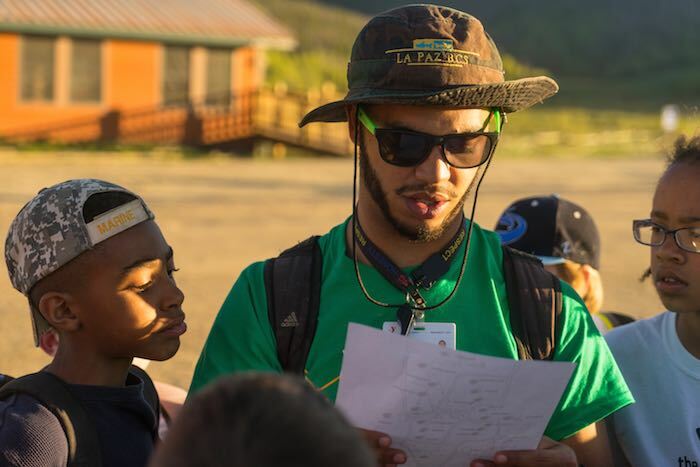 NEXT: Specialist-In-Training, Backcountry Leadership Training, Wilderness Leadership, and Counselor-In-Training. 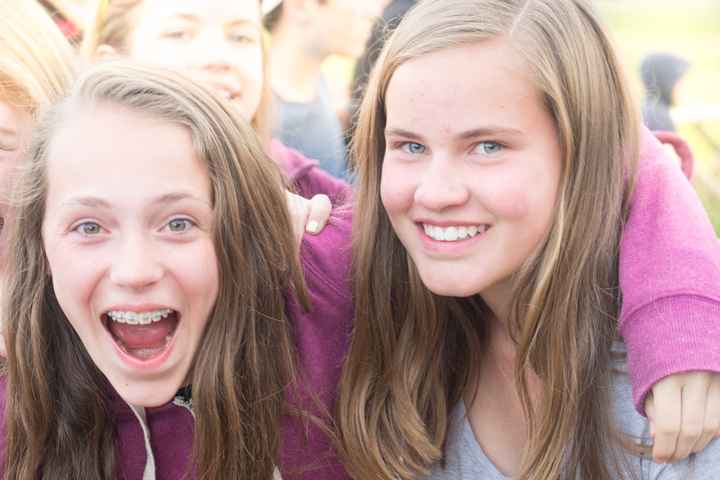 Specialist-In-Training (ages 16-17): This is the next stage in leadership development. 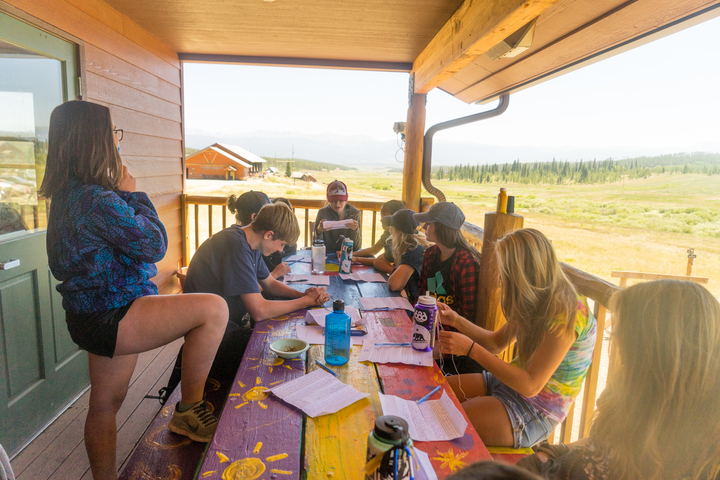 This program spends three weeks in specialized activities; rafting, backpacking, and mountain biking. 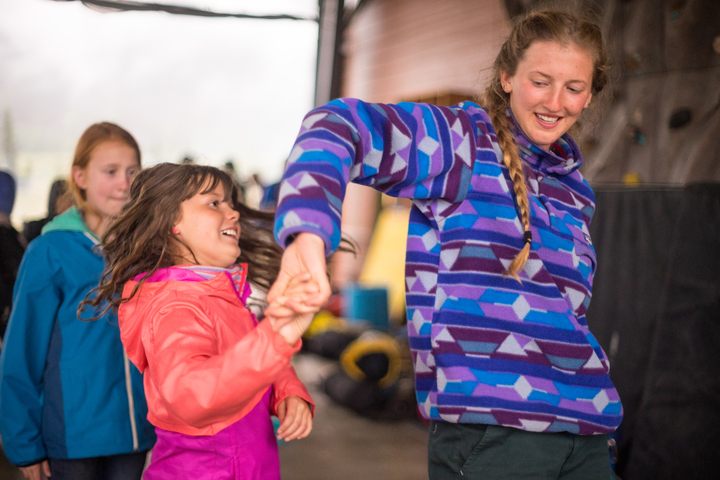 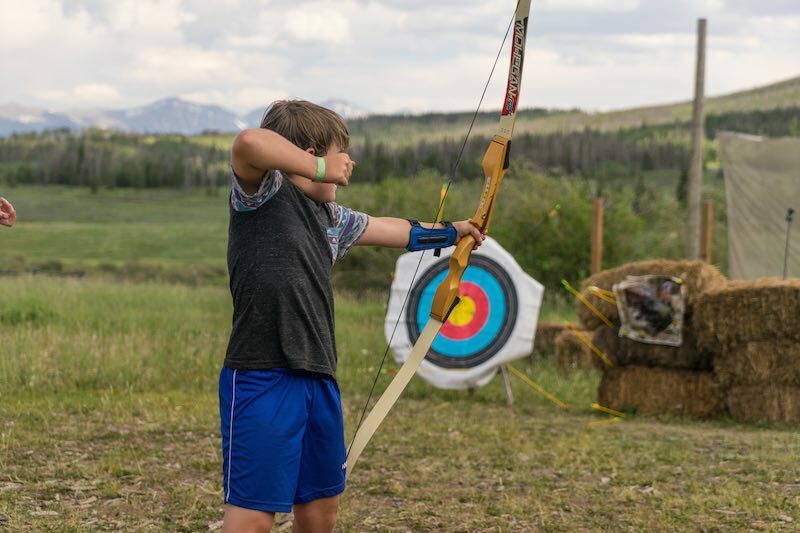 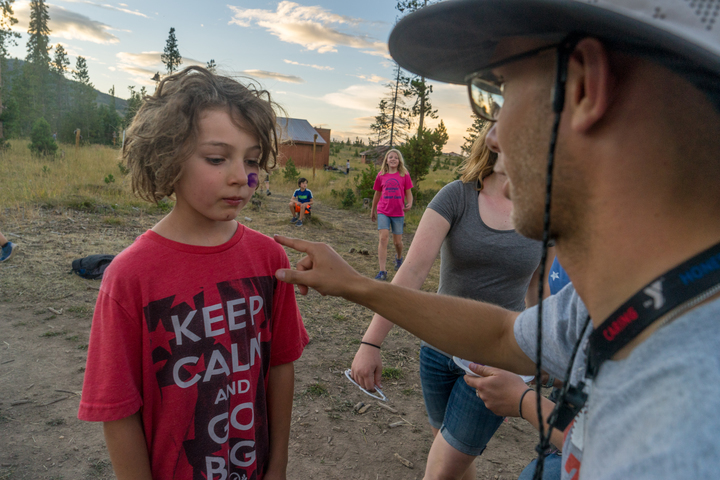 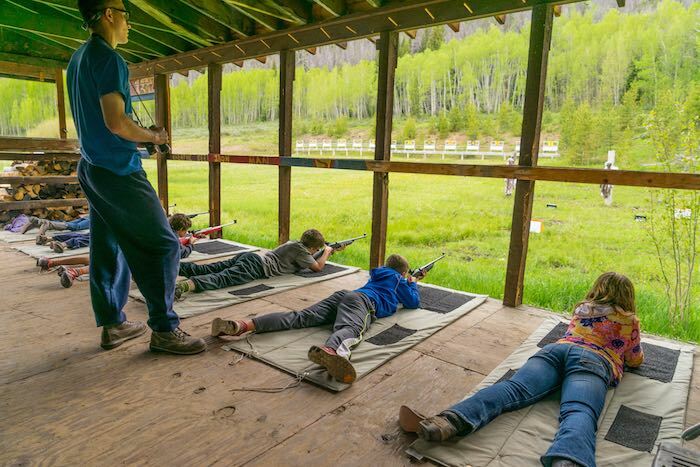 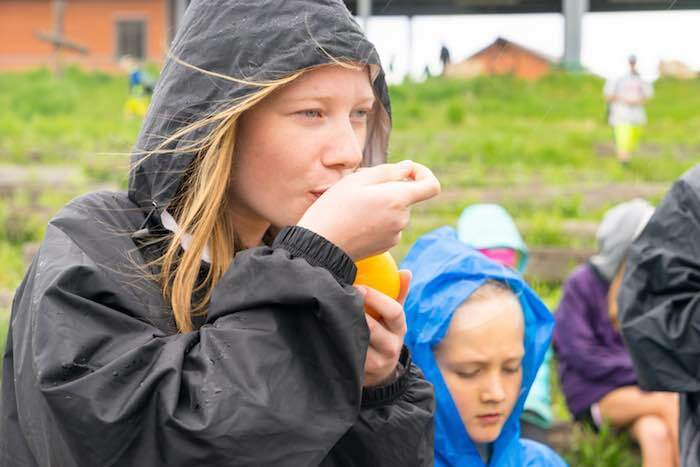 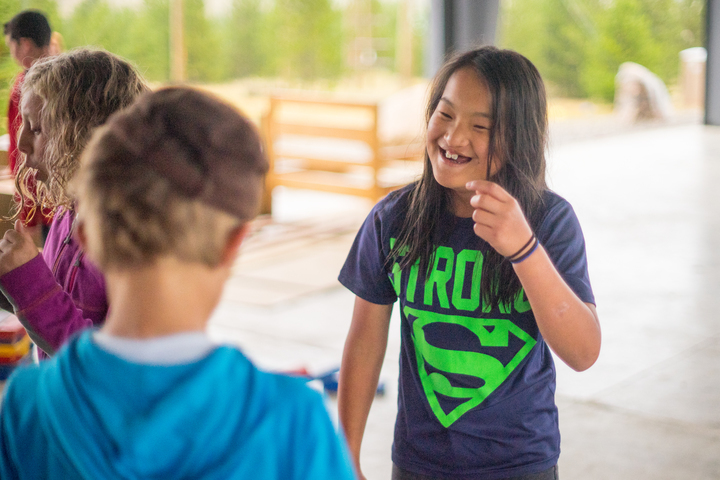 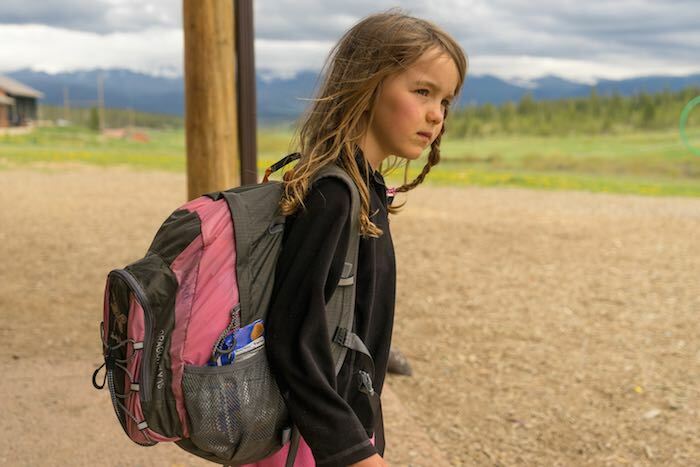 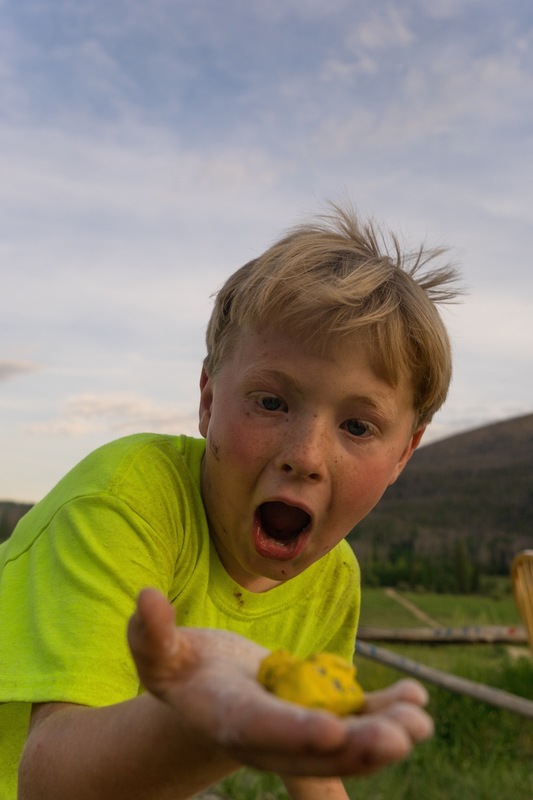 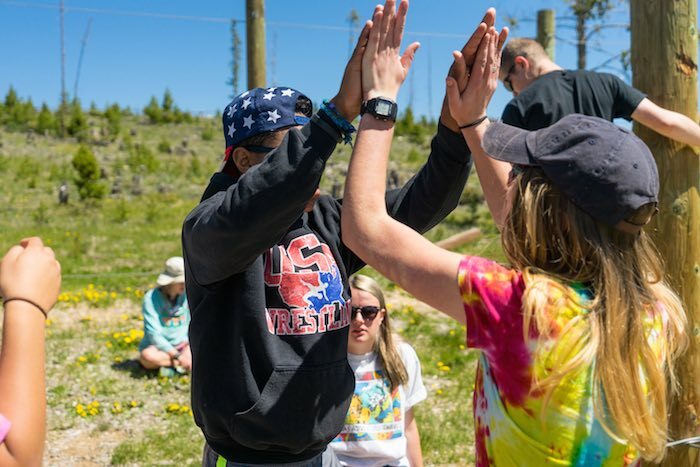 They are building up how to intentionally build the campers up to work through back country situations and gain confidence in their outdoor ability. 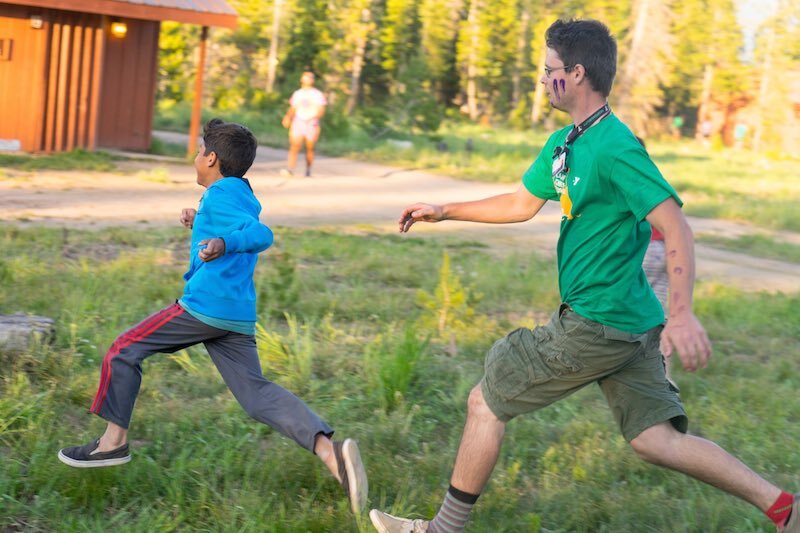 NEXT: Wilderness Leadership and Counselor-In-Training. 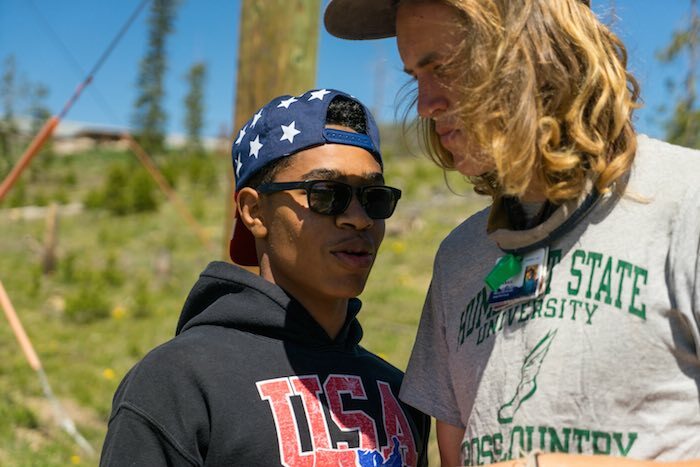 Backcountry Leadership Training (ages 16-17): This program is similar in design to the Specialist in Training, except it focuses in on backpacking through the backcountry. 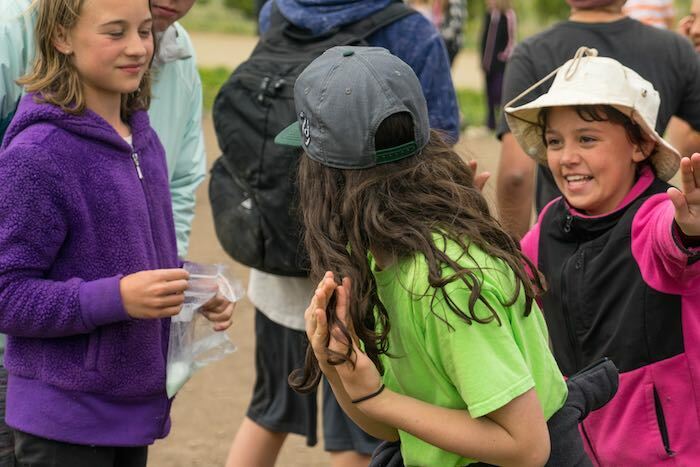 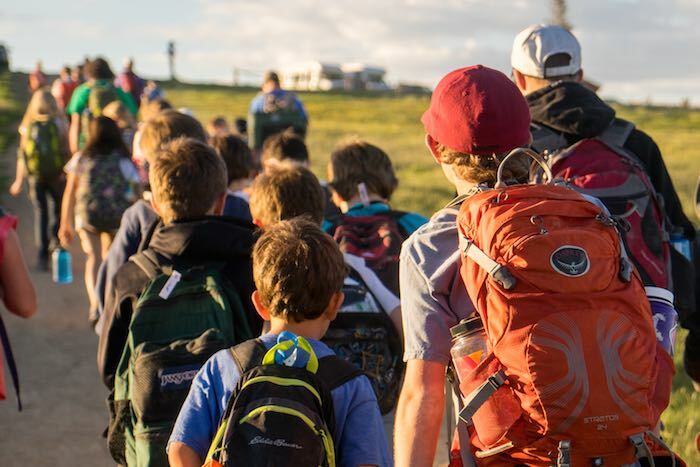 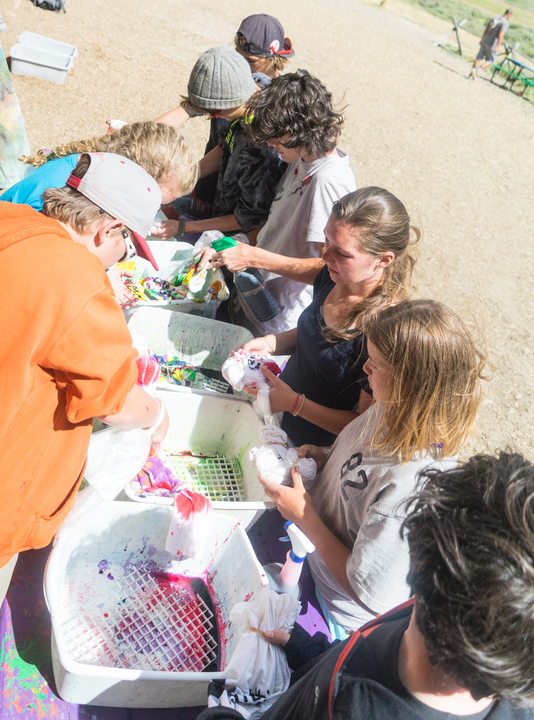 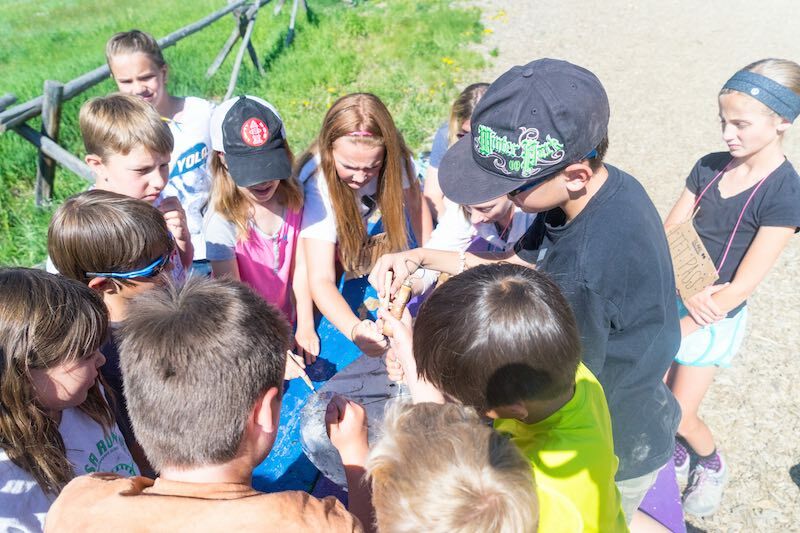 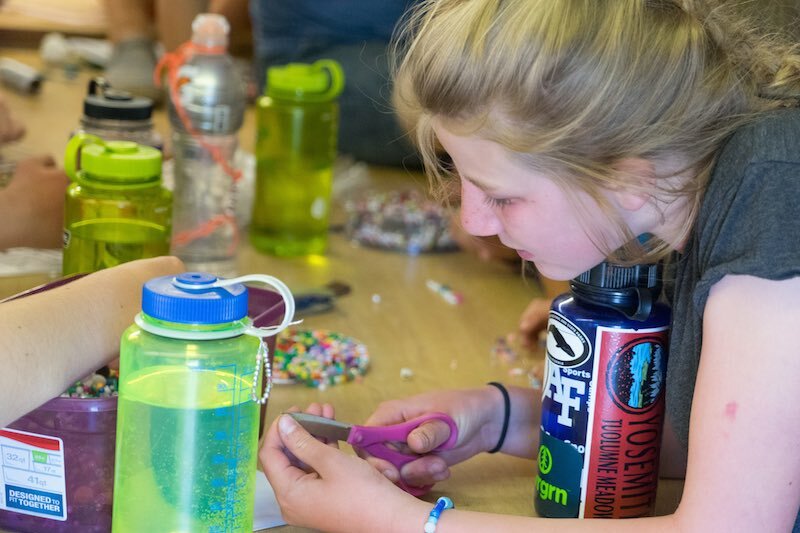 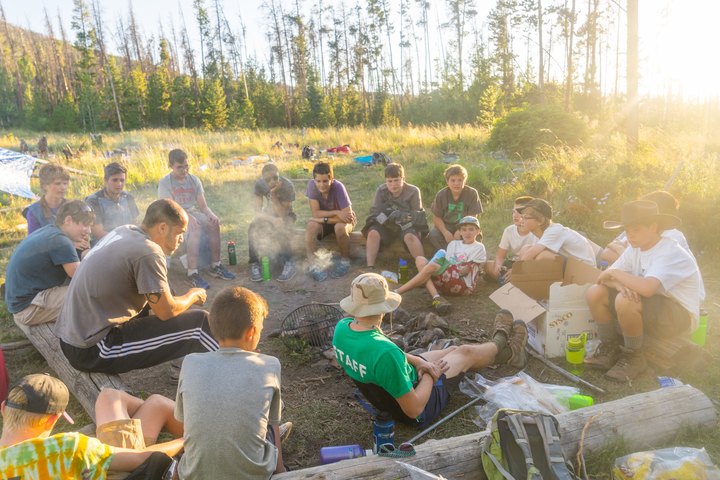 Campers will learn about Leave No Trace principles, backcountry risk management, group dynamics and development, and hard-skills specific to the activities on the trip. 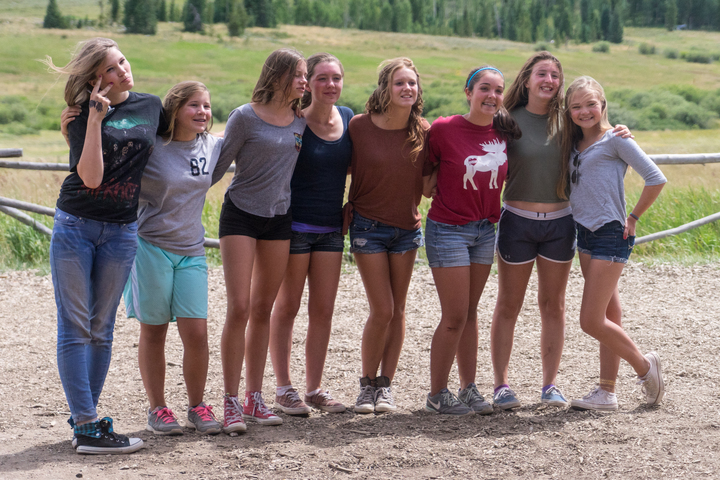 Campers will then spend four (4) days rafting the Upper Colorado River. 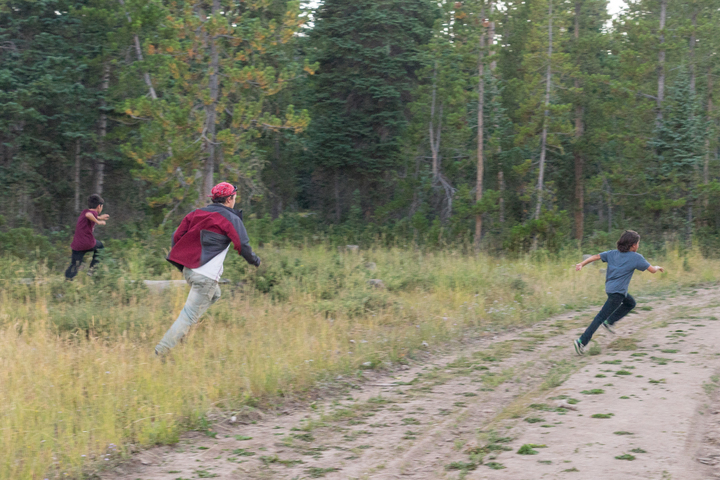 NEXT: Wilderness Leadership, Counselor-In-Training. 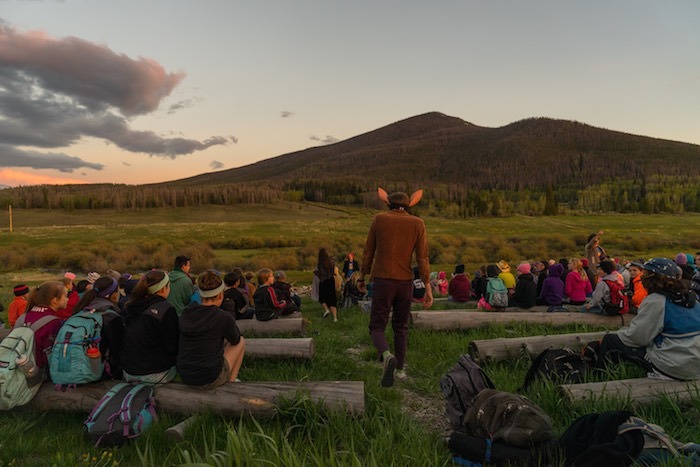 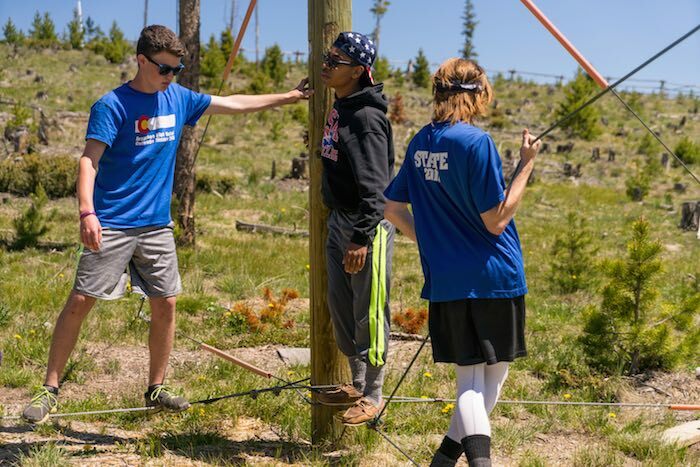 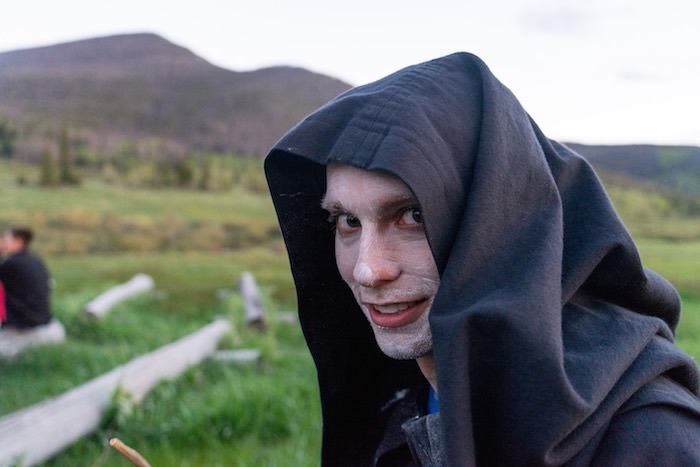 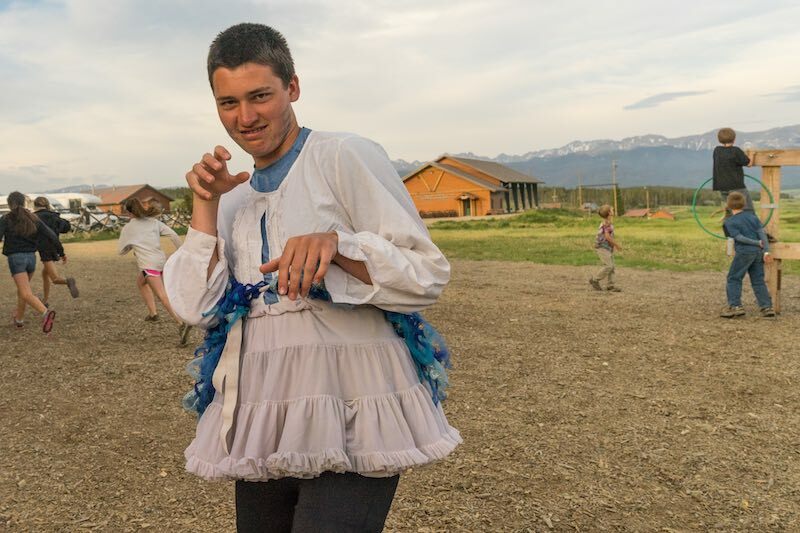 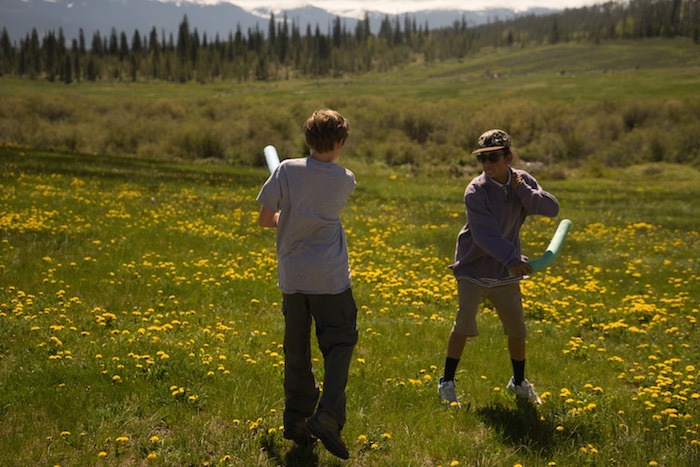 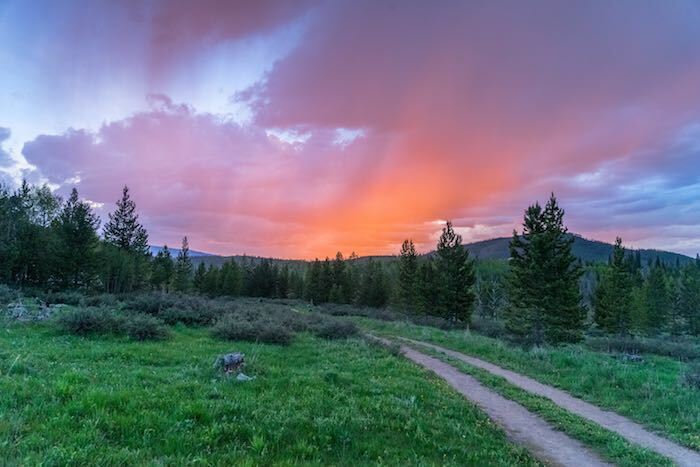 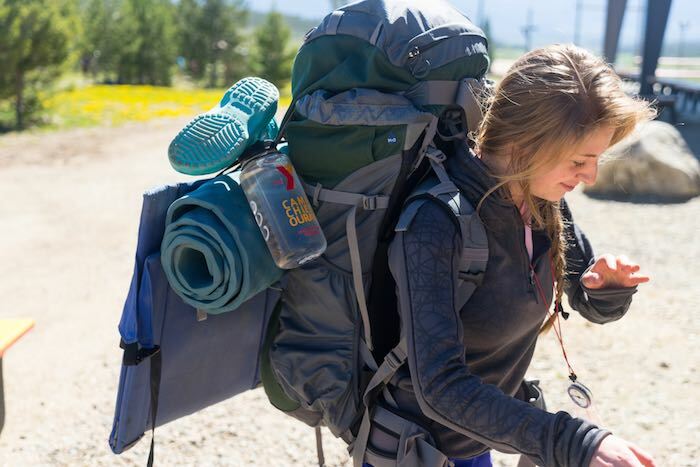 Wilderness Leadership (ages 16-18): Wilderness Leadership is a 14-day backpacking trip into Wyoming to build confidence and backcountry skills. 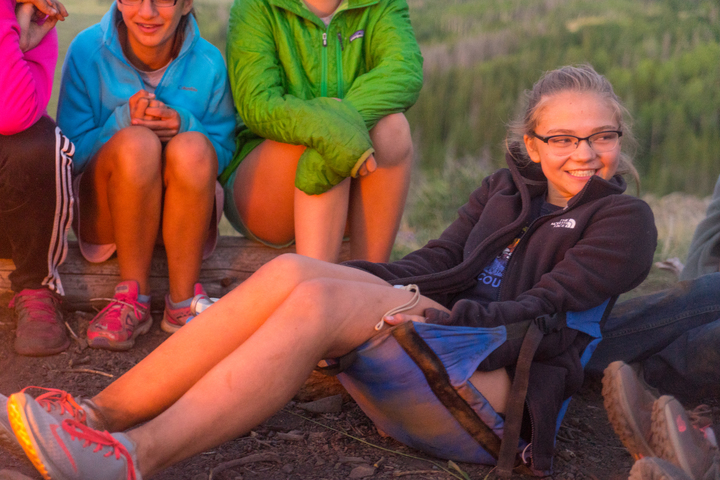 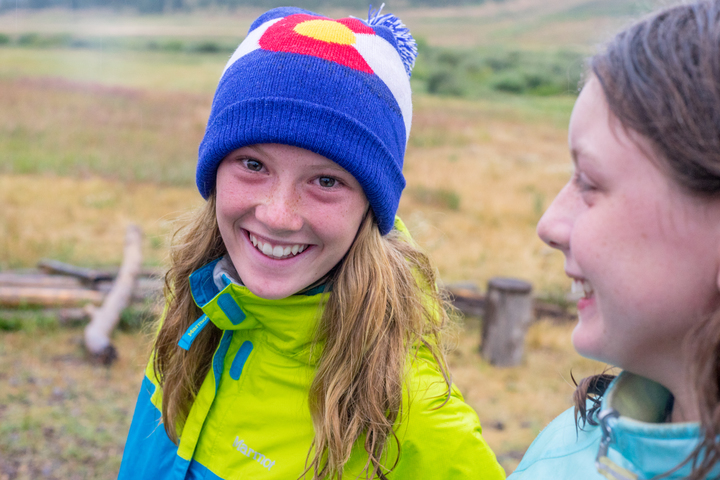 The campers will learn all about leading trips into the backcountry with campers or friends. 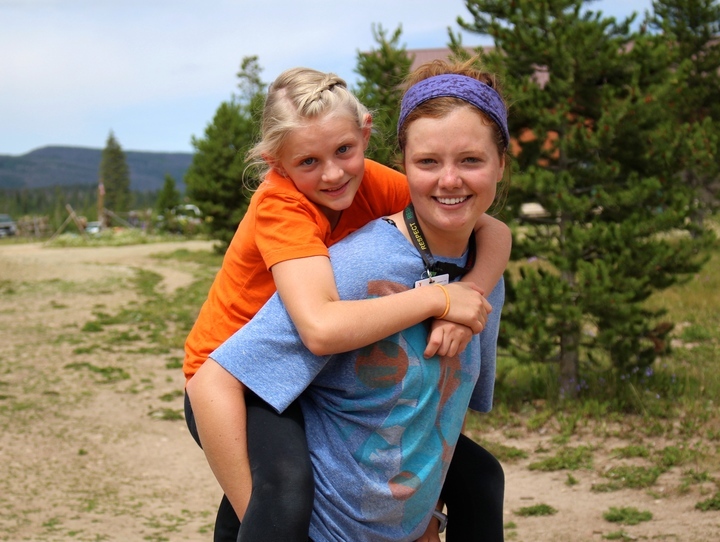 NEXT: Counselor-In-Training, Interview to be a staff member at CCO! 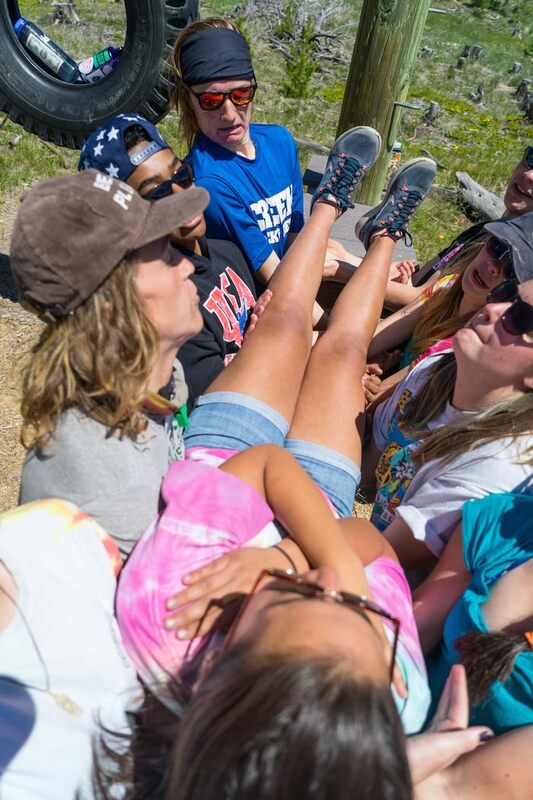 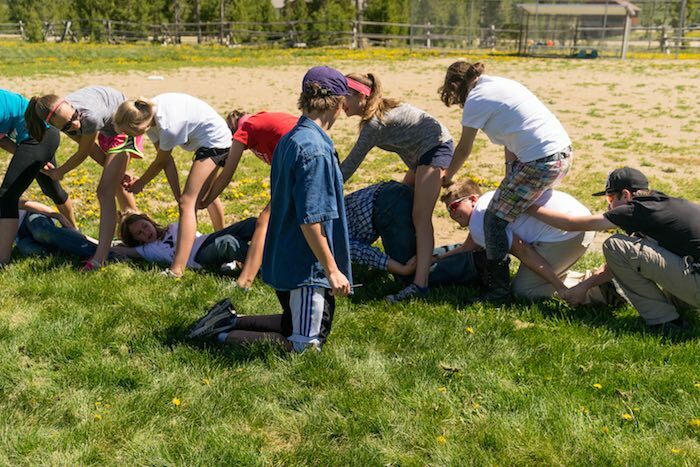 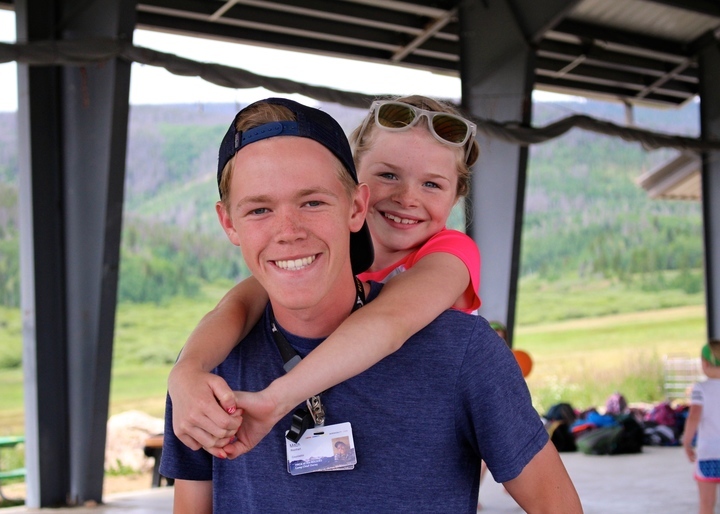 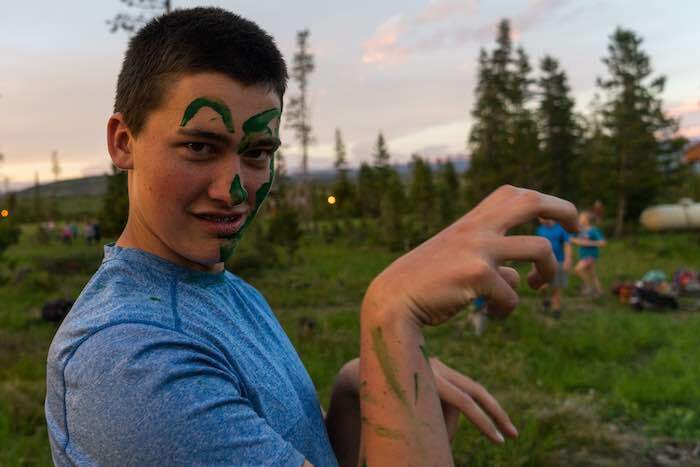 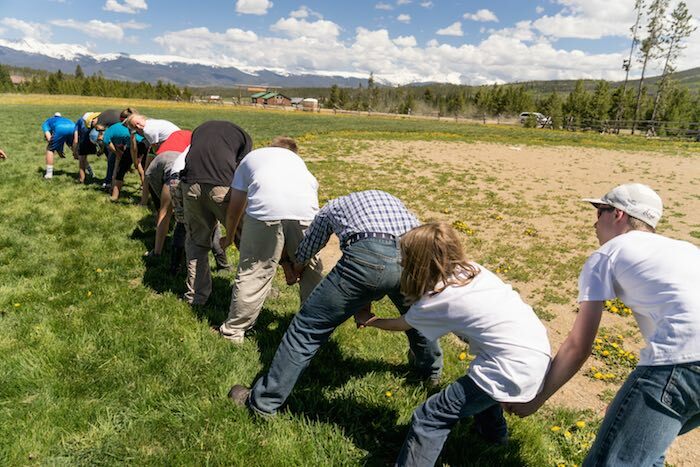 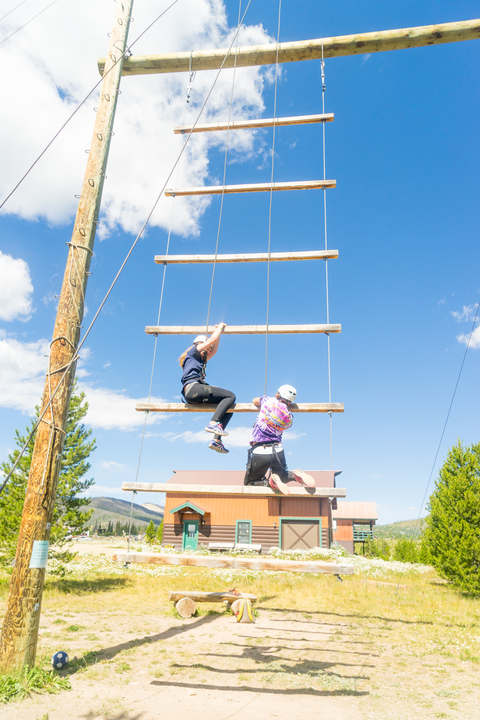 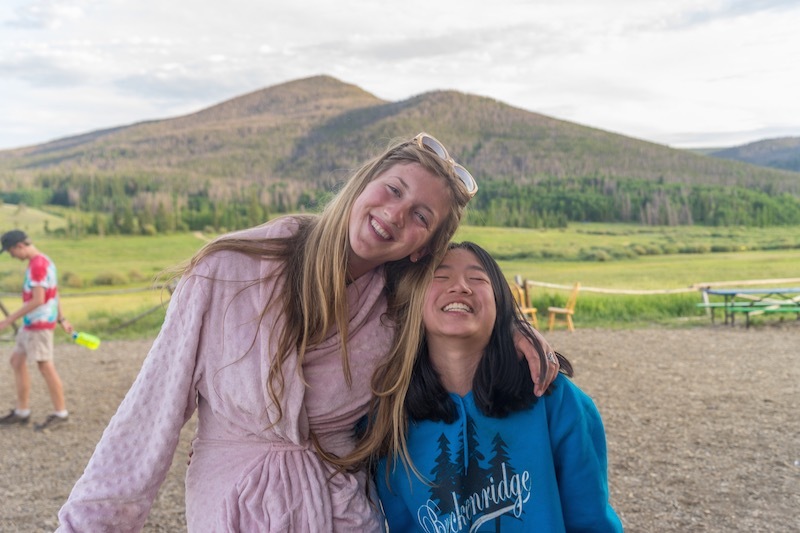 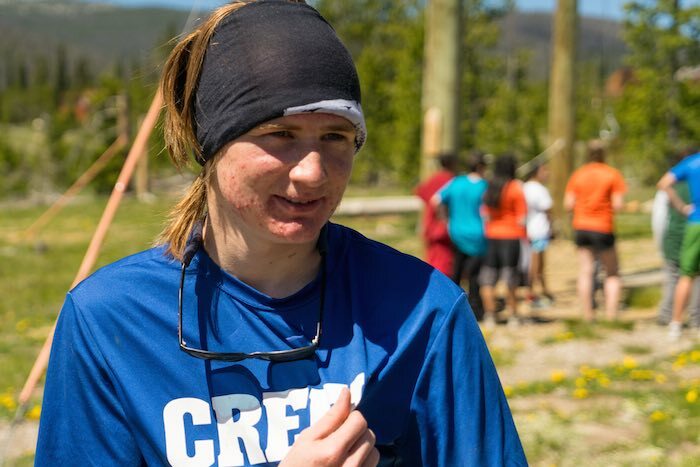 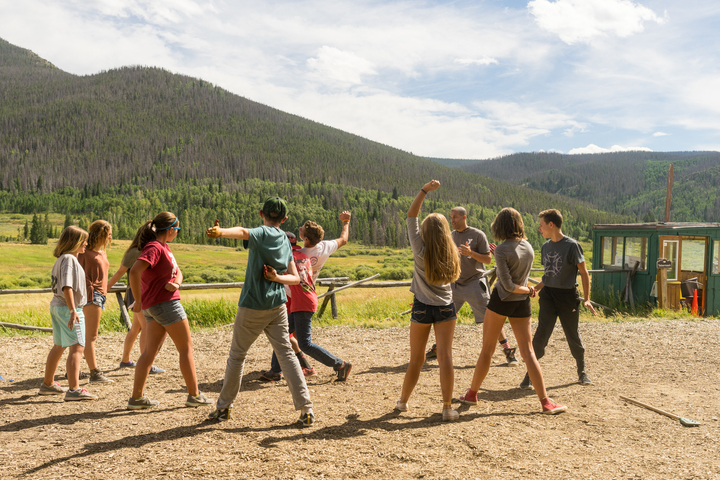 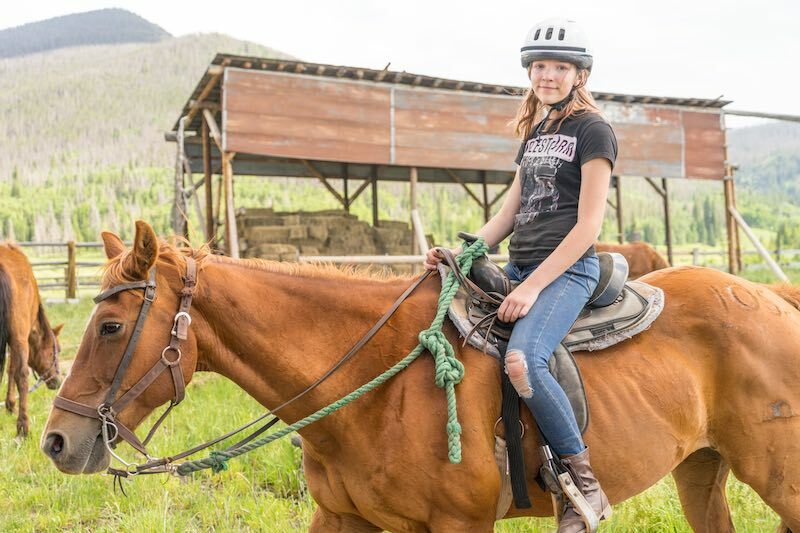 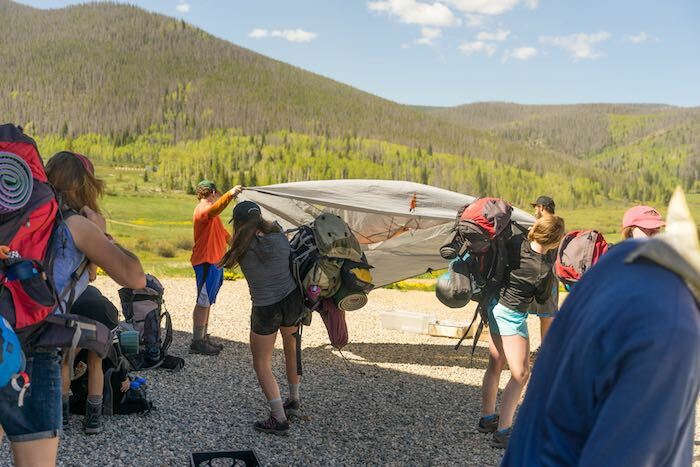 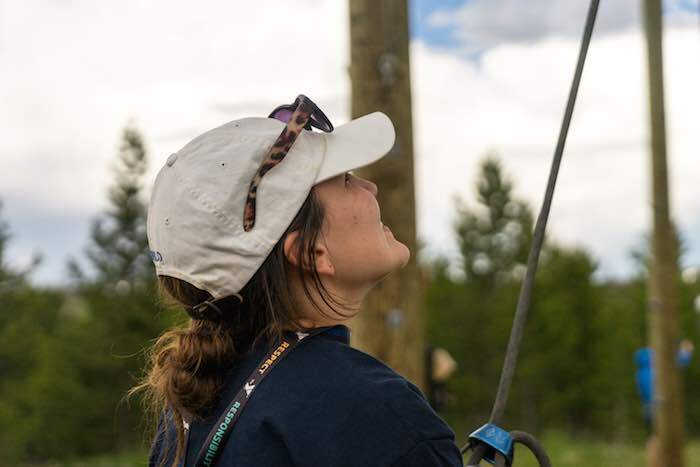 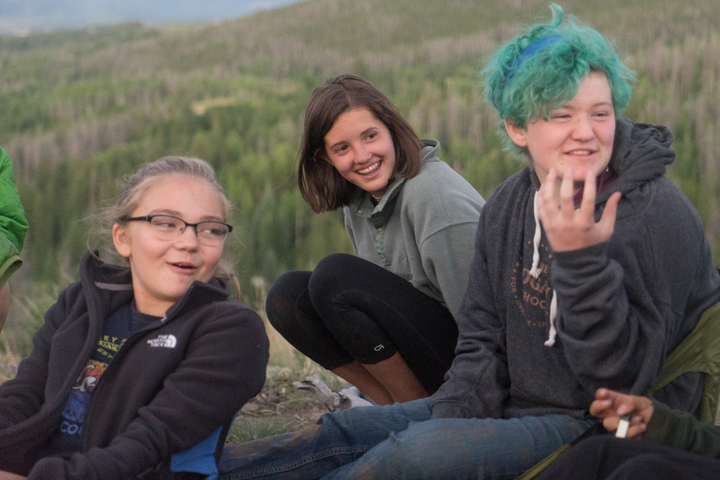 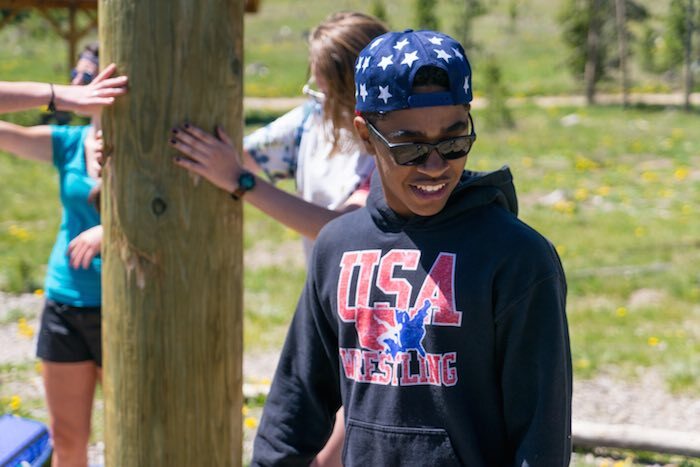 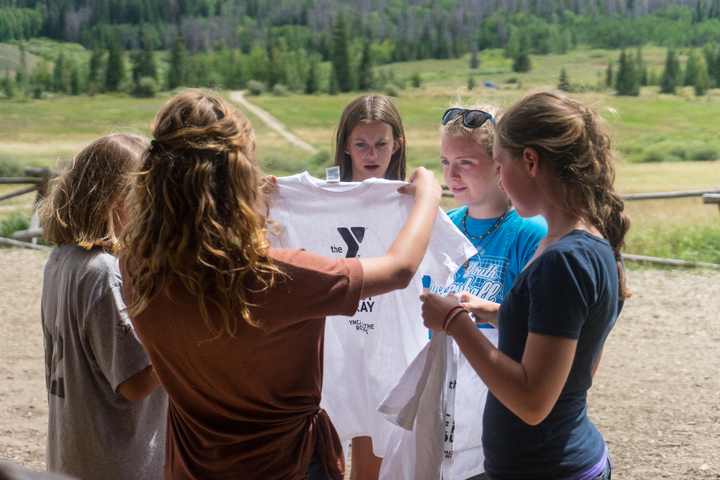 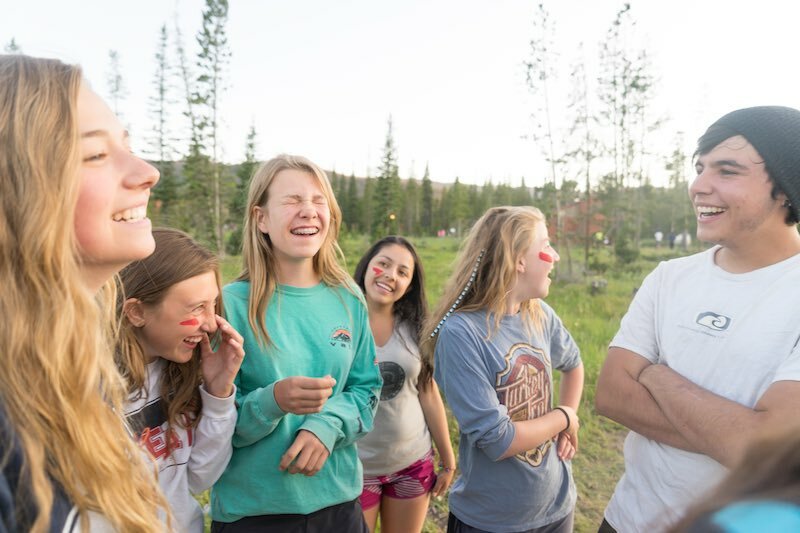 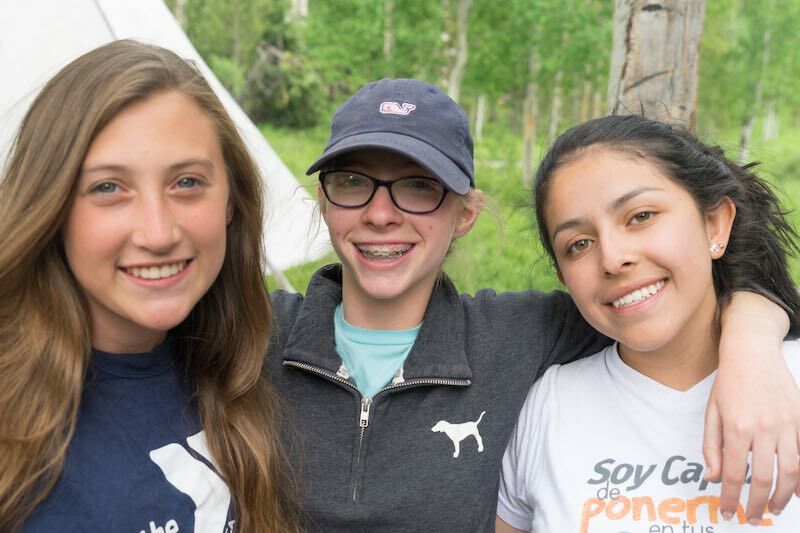 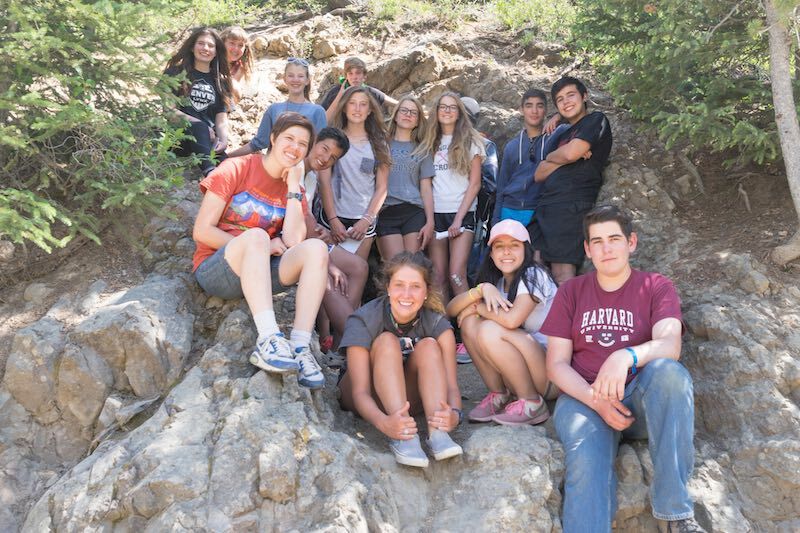 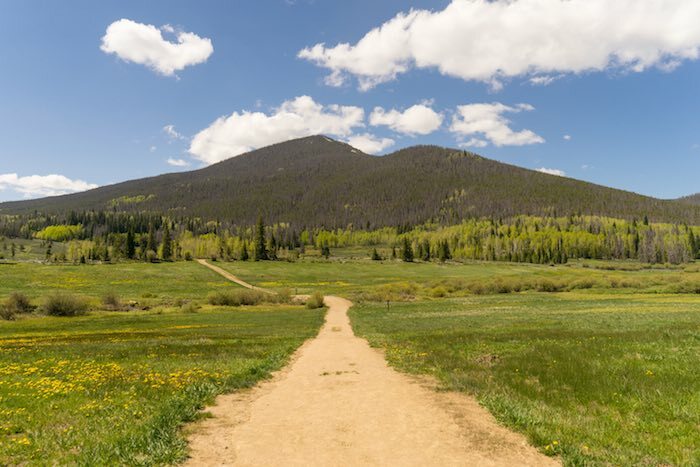 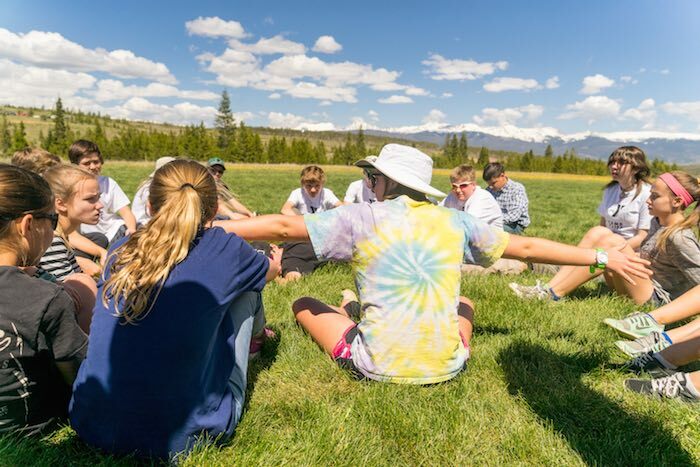 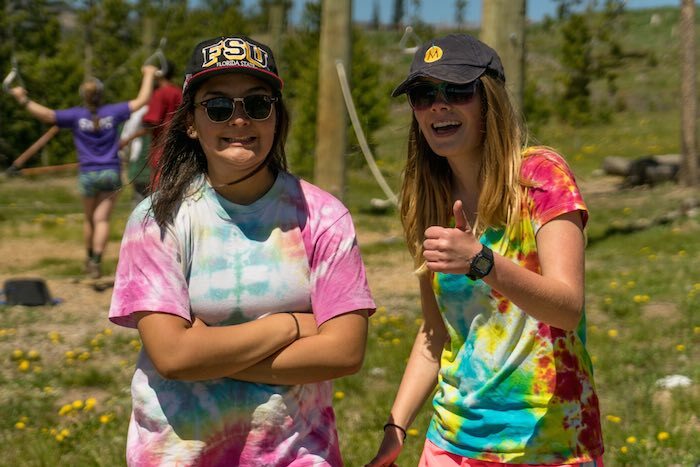 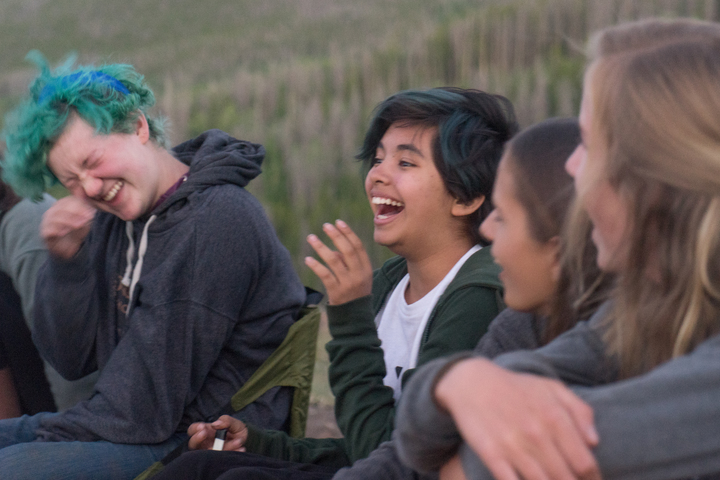 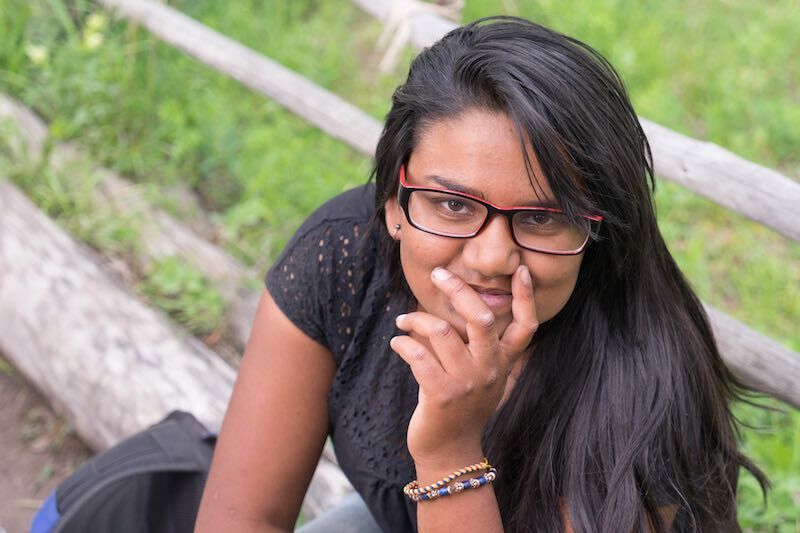 Counselor-In-Training (ages 16-18): The culmination of our leadership program, these campers will spend one week backpacking in Rocky Mountain National Park. 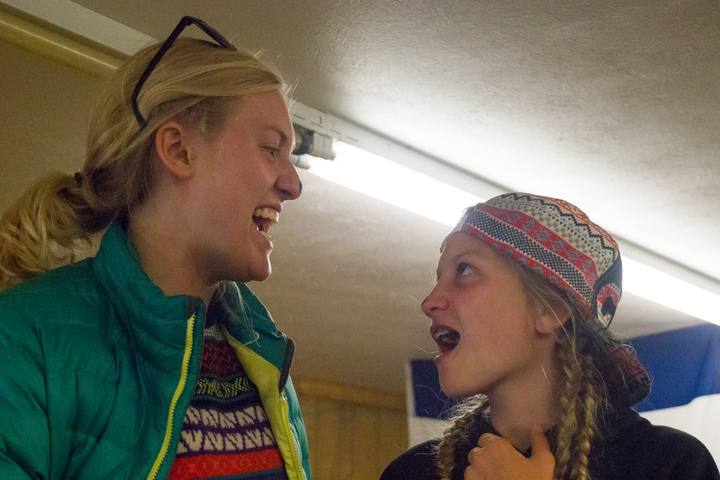 Once they return to CCO, they spend three weeks shadowing a cabin. 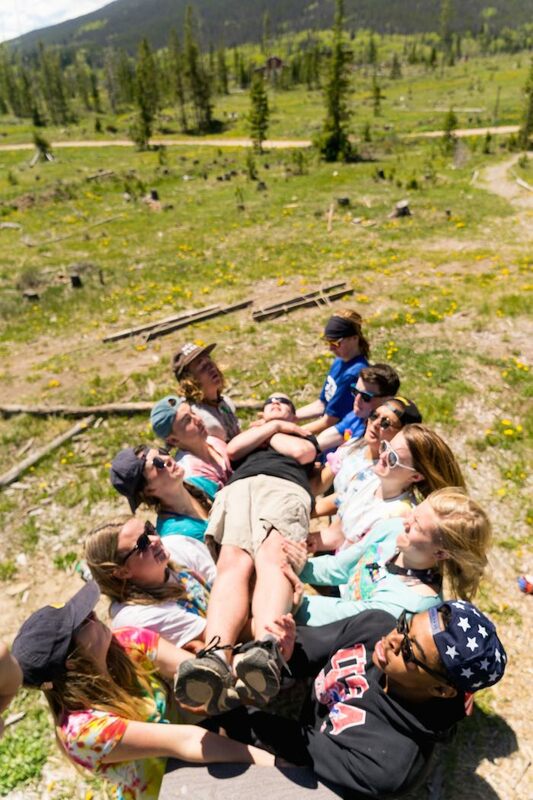 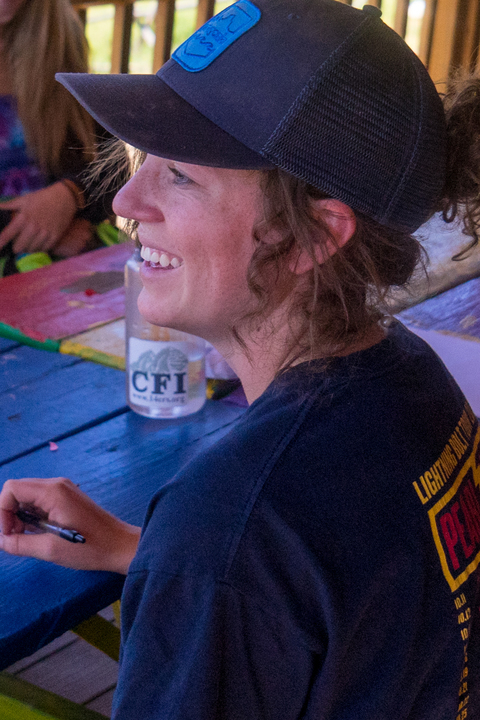 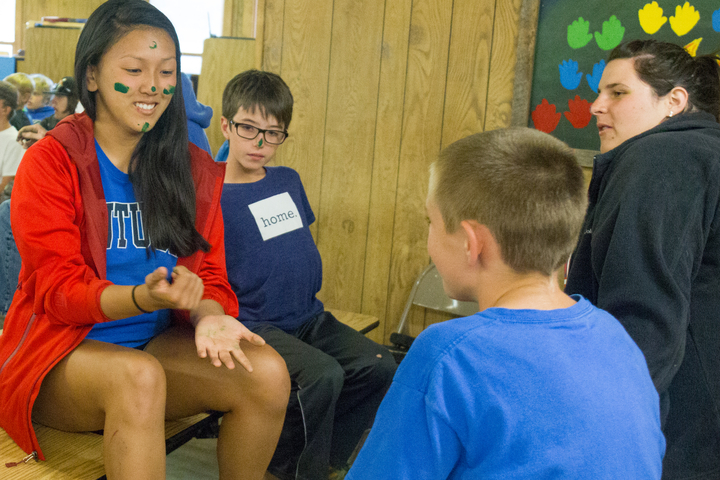 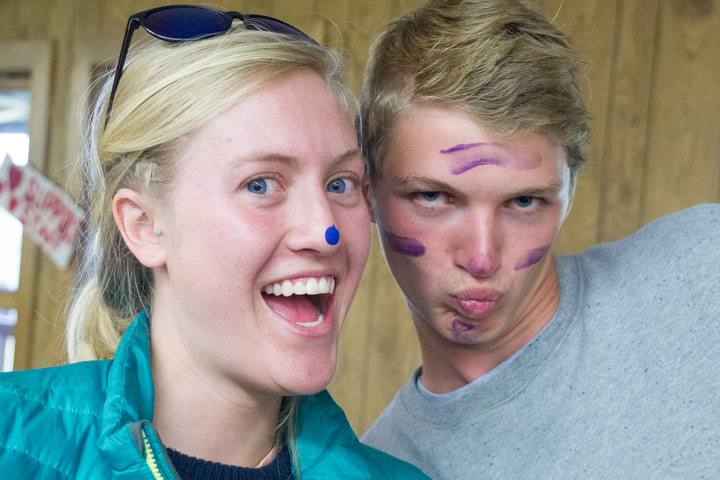 By the end of their session, CIT’s will know the basics of being a counselor here at CCO. 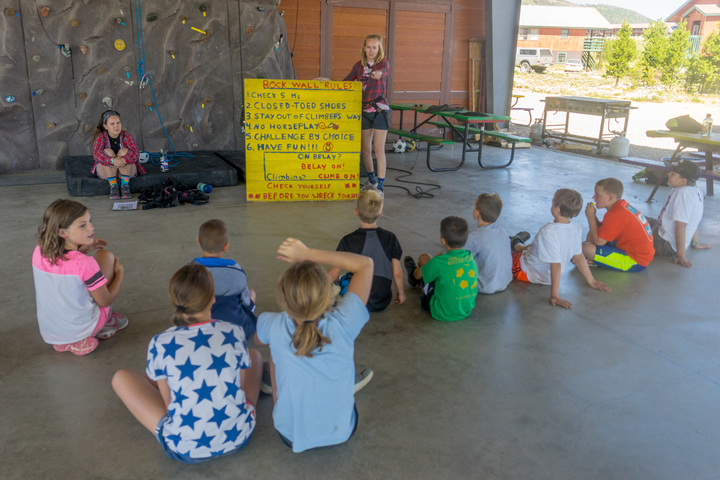 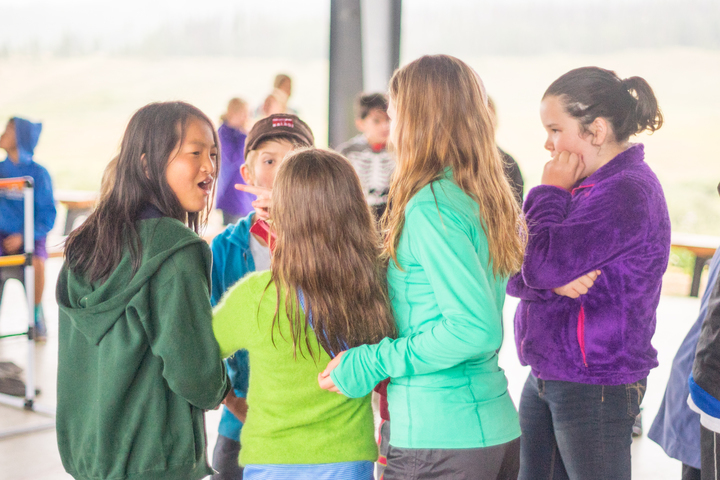 This will show the campers how to best deal with issues in small groups and with developmental characteristics between ages. 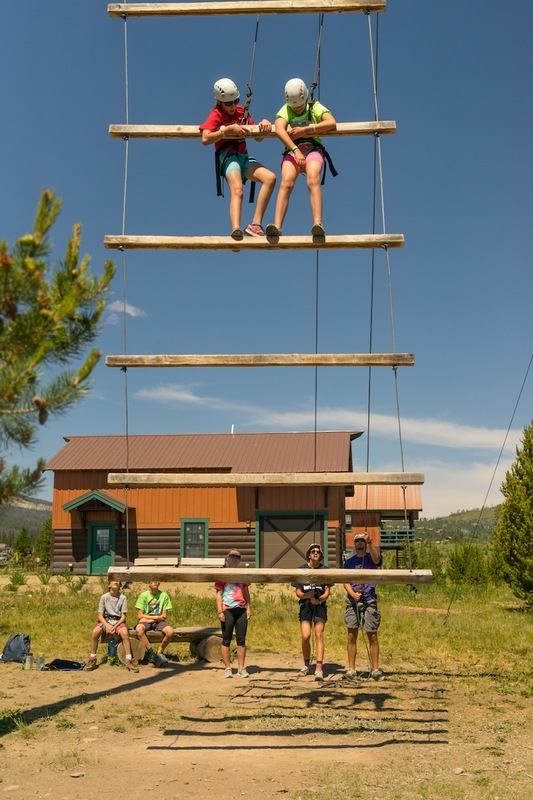 NEXT: Wilderness Leadership, Interview to be a staff member at CCO!